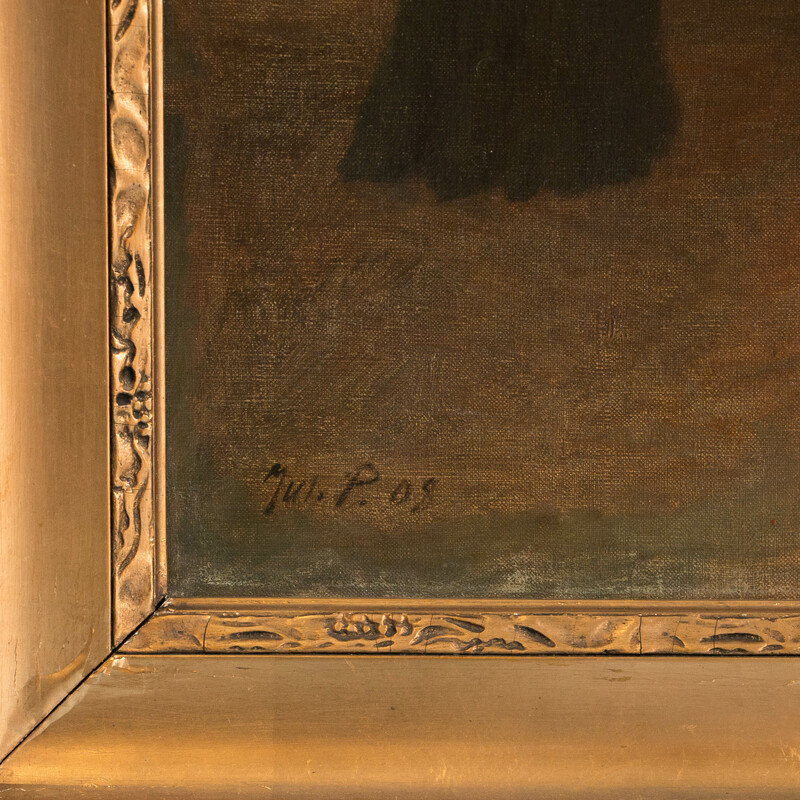 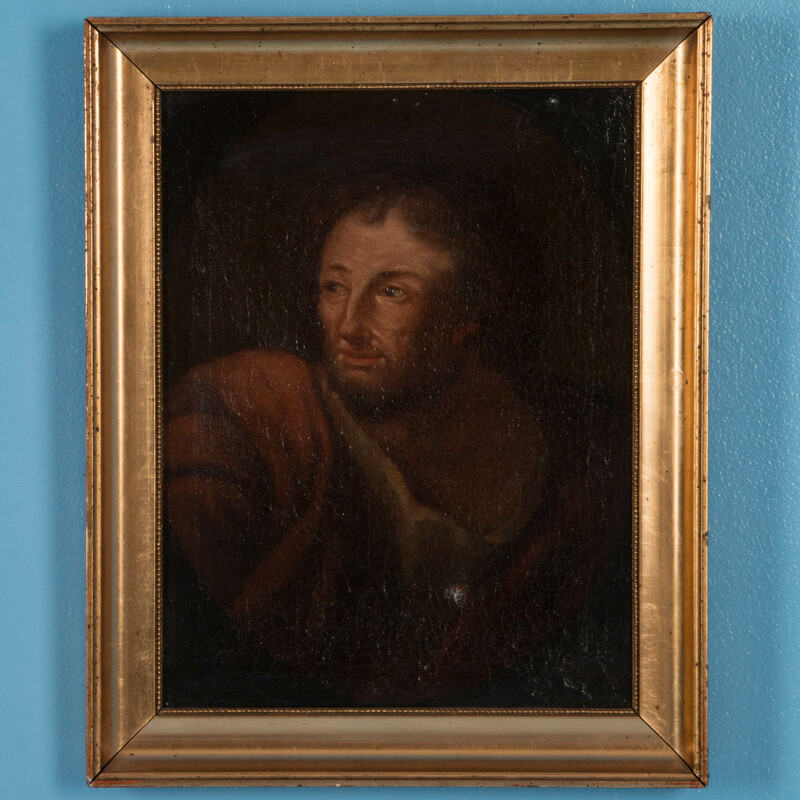 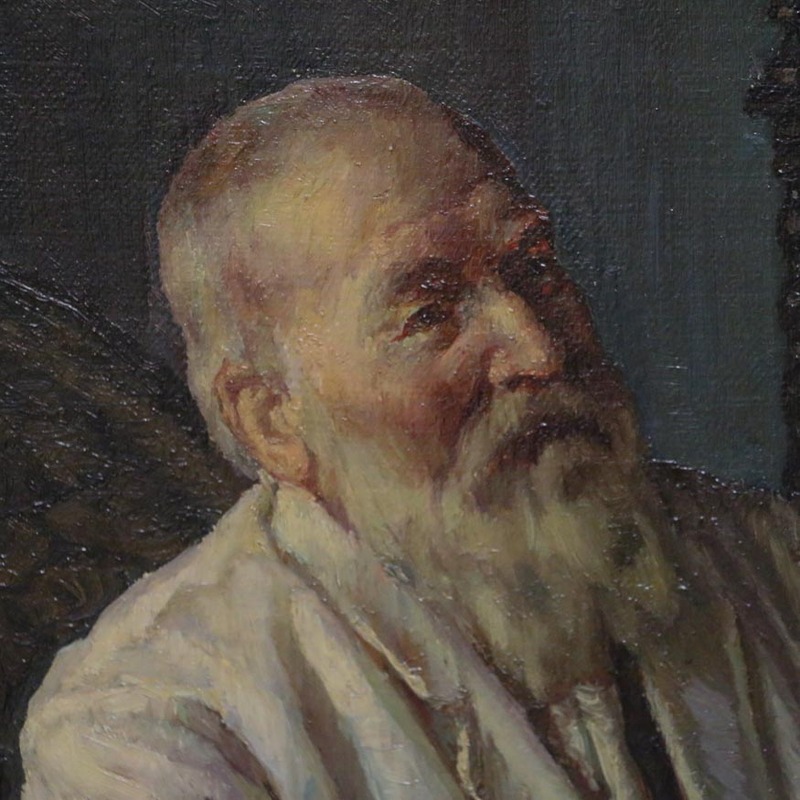 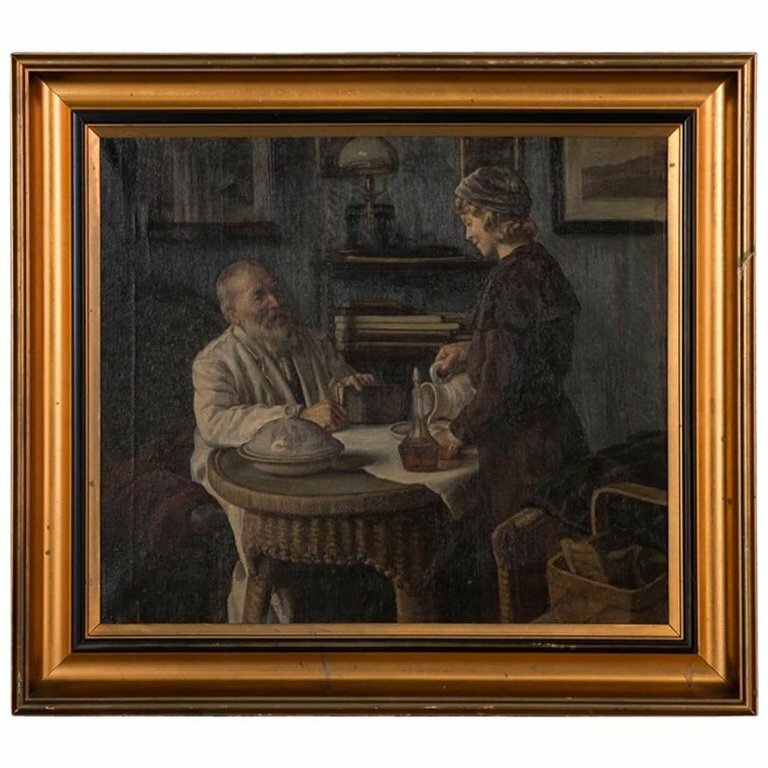 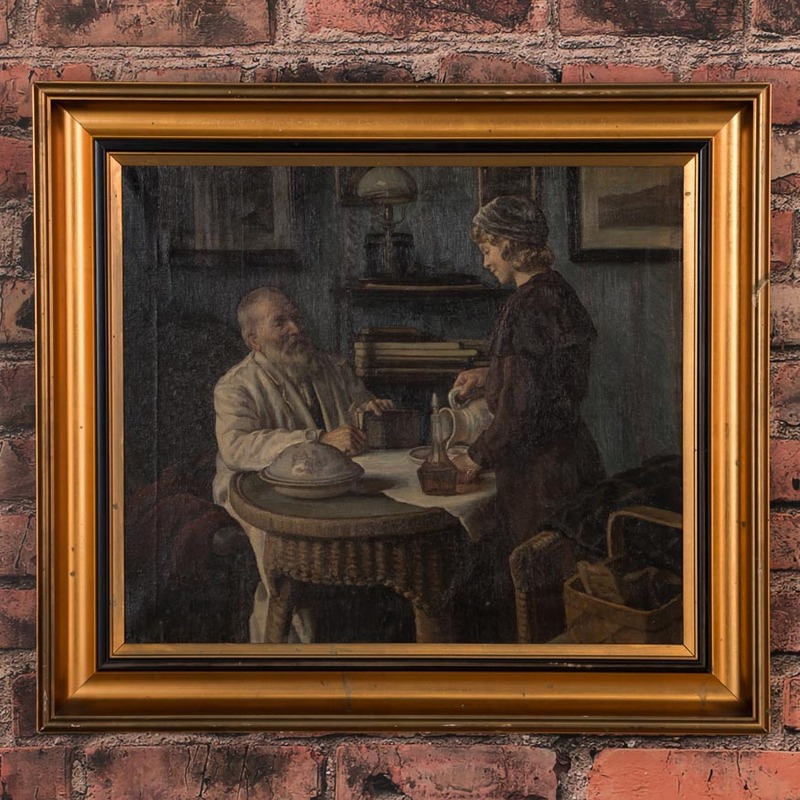 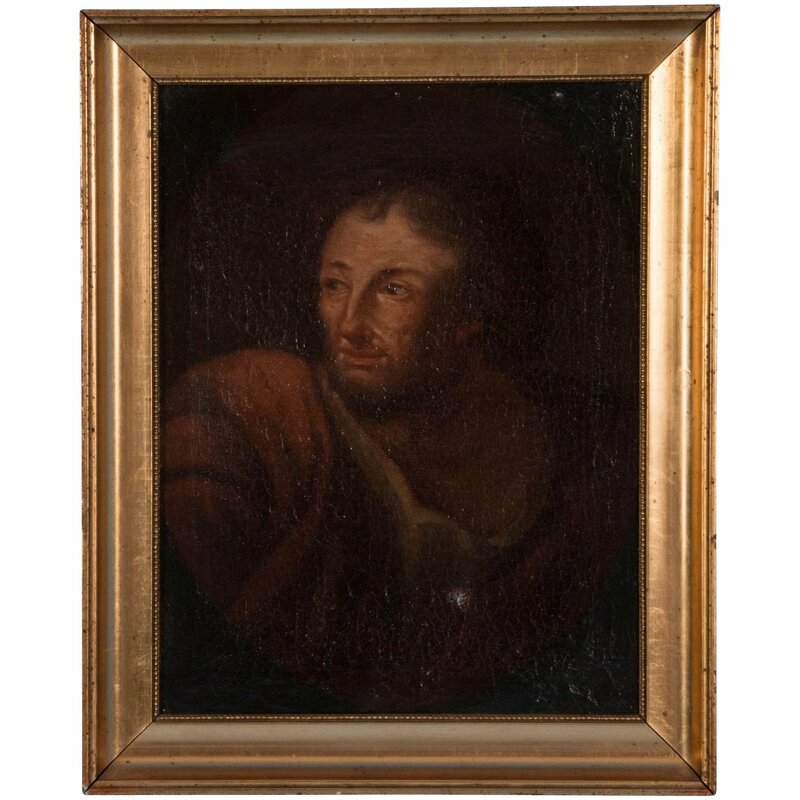 An unsigned antique oil painting portrait of a bearded man in robes. 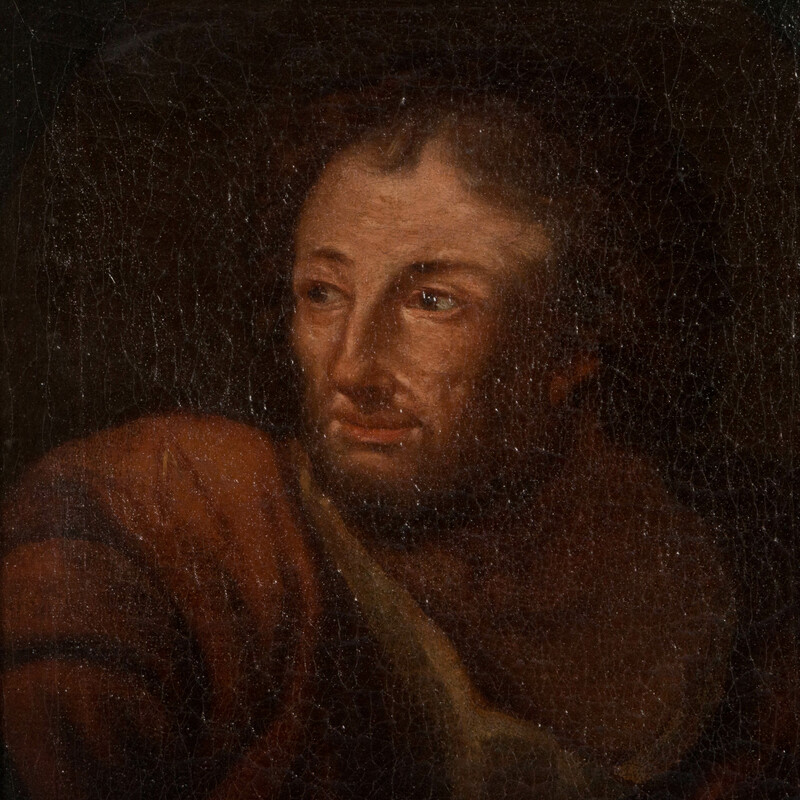 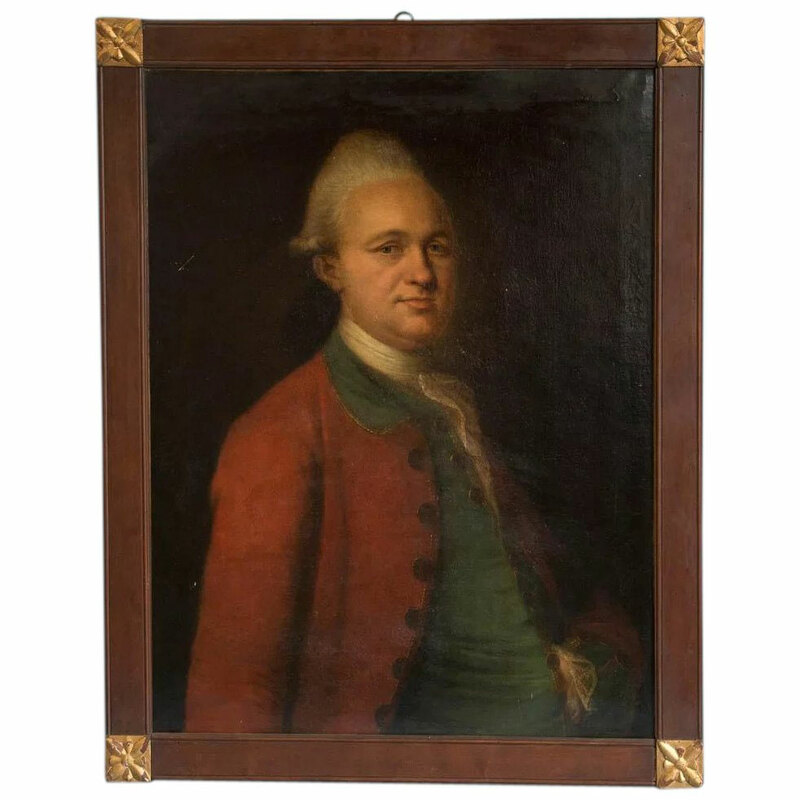 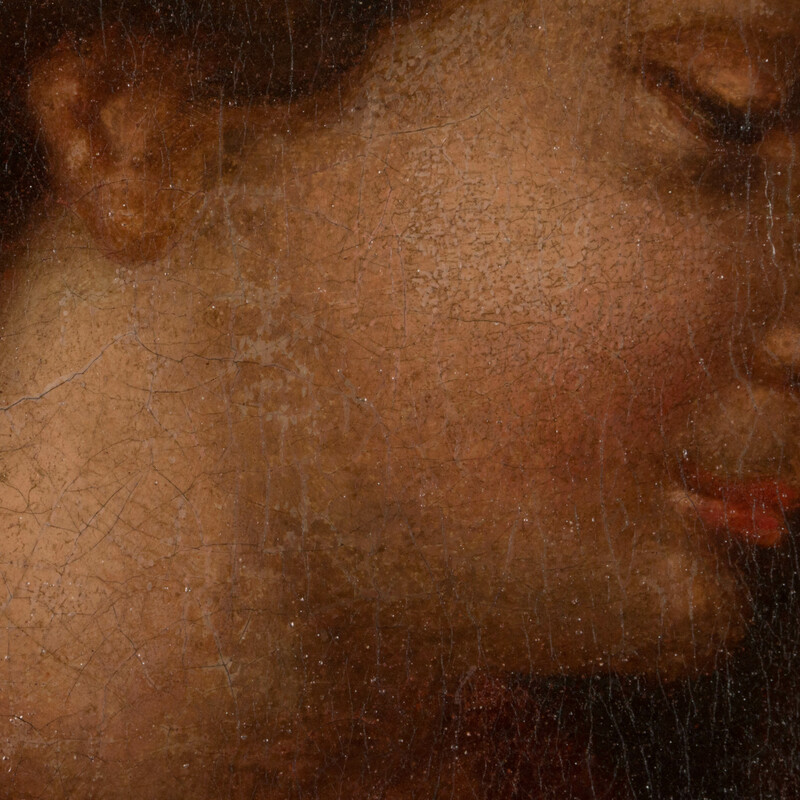 The painting is in the style of the Italian school with craquelure throughout the canvas and mounted in a giltwood frame. 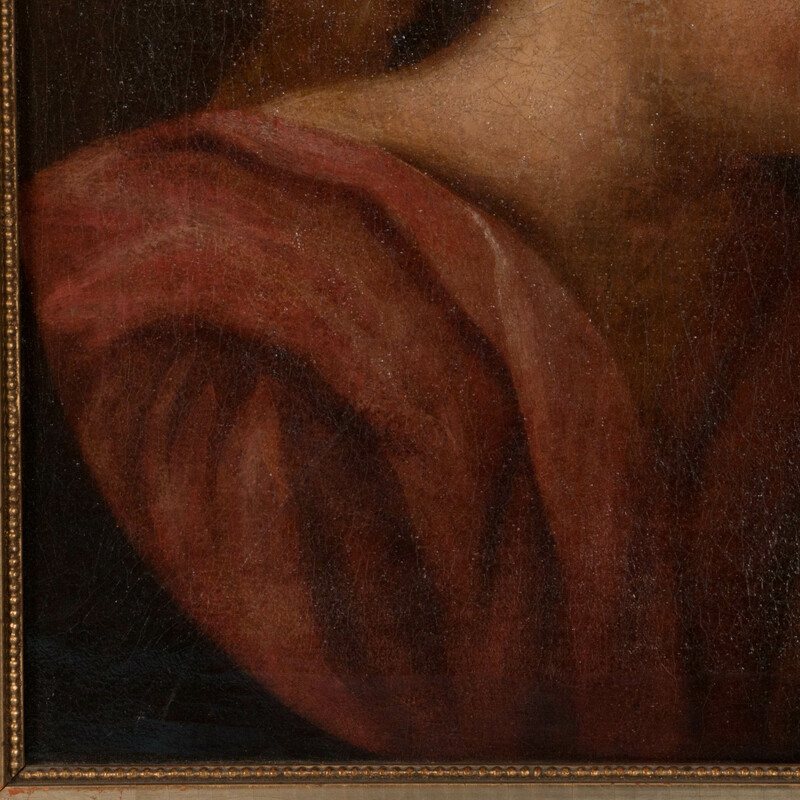 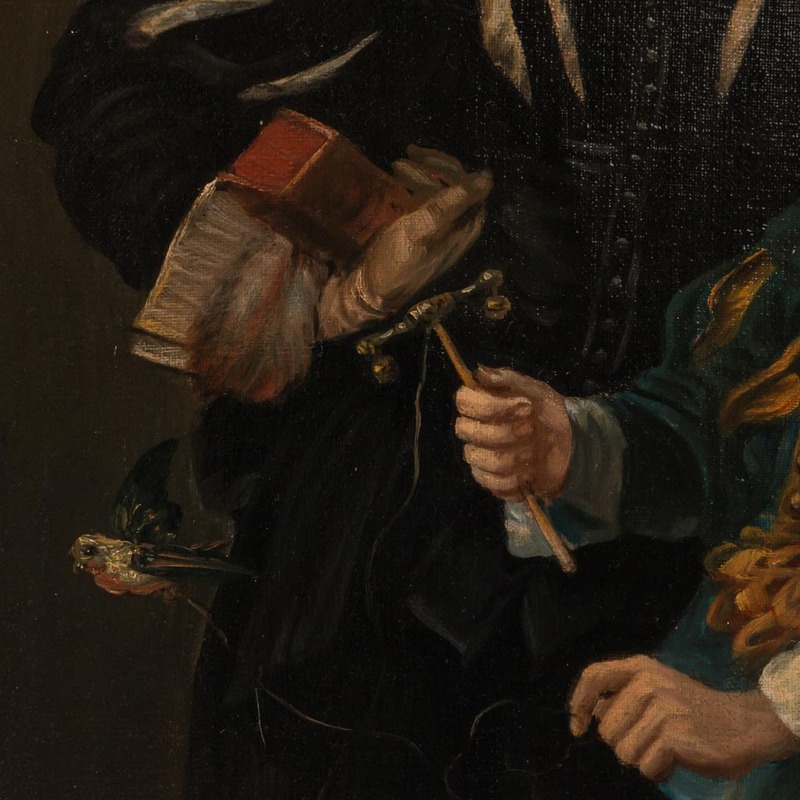 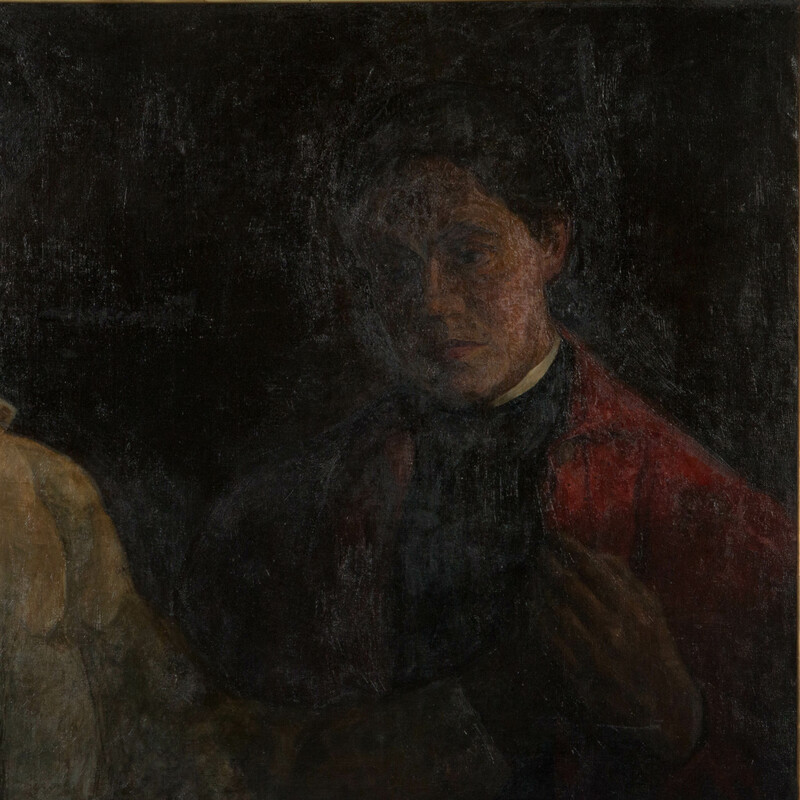 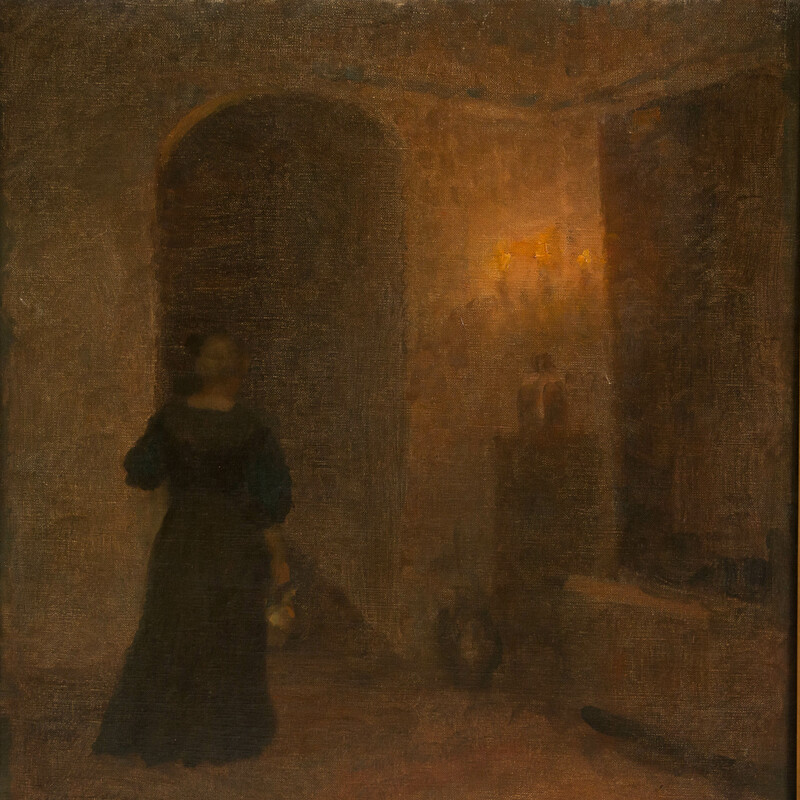 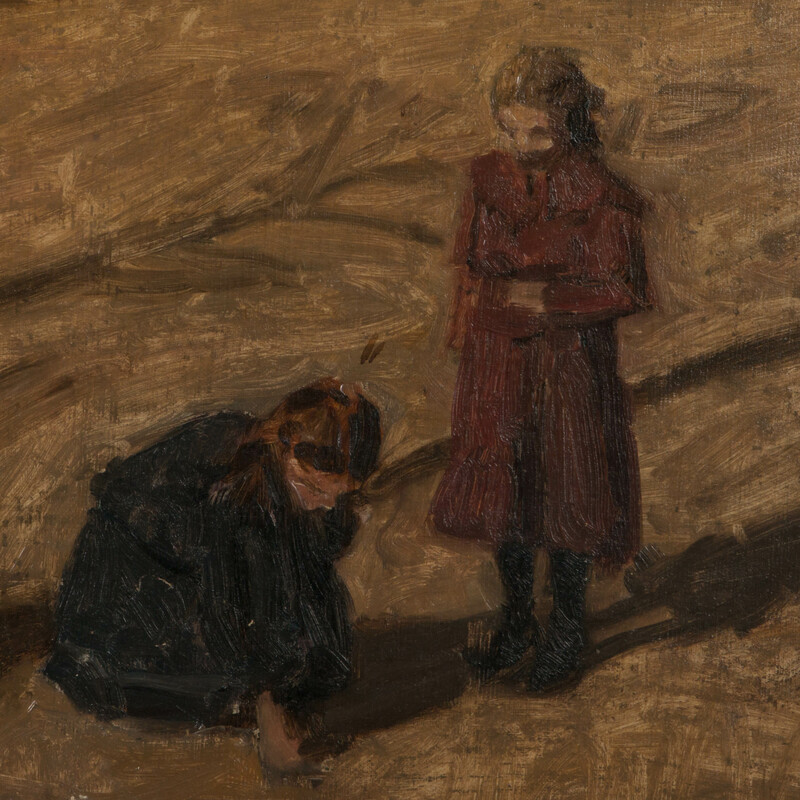 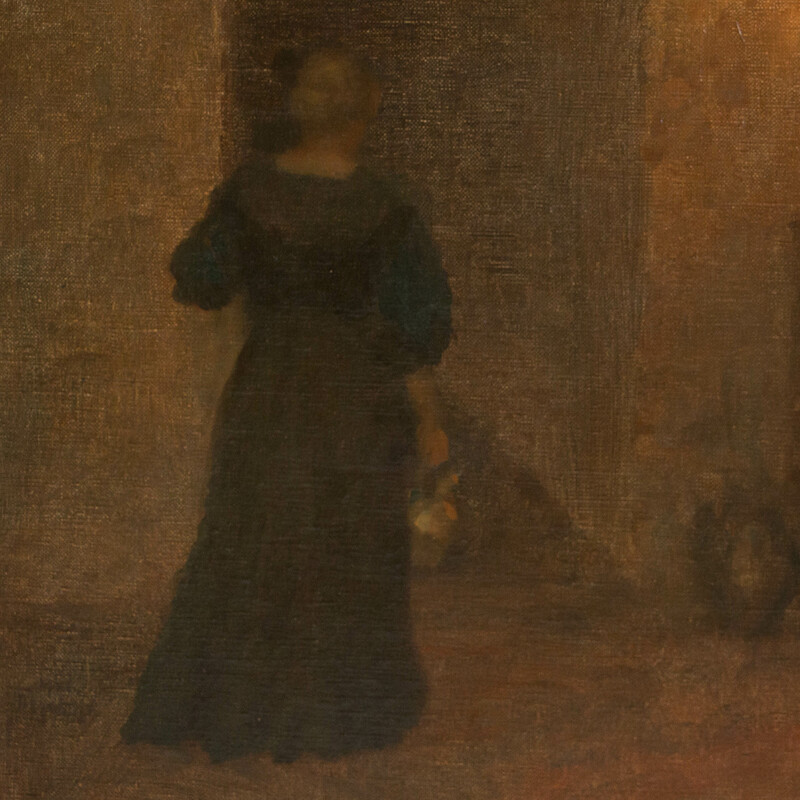 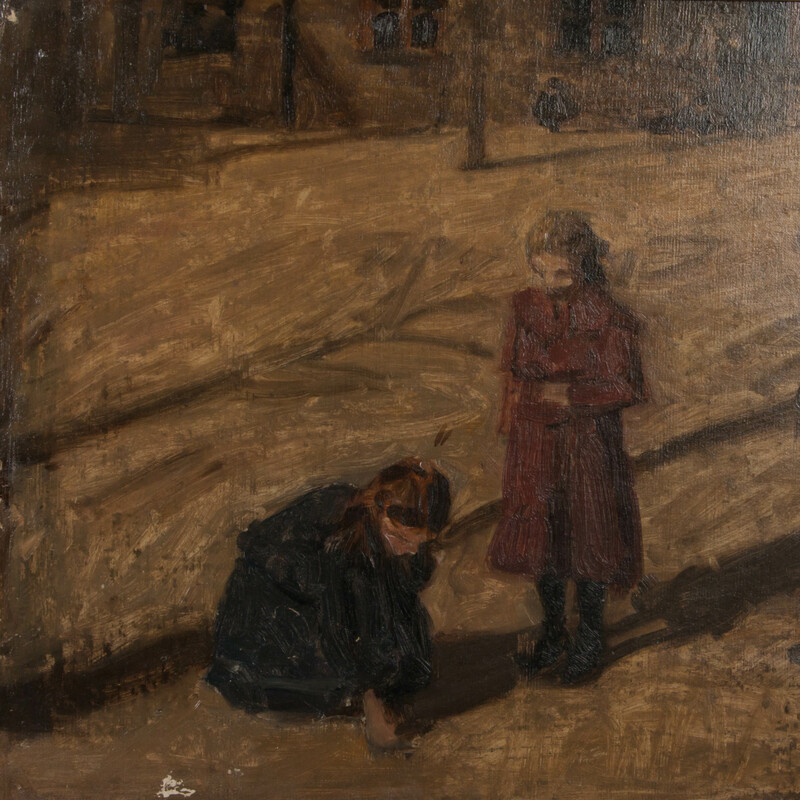 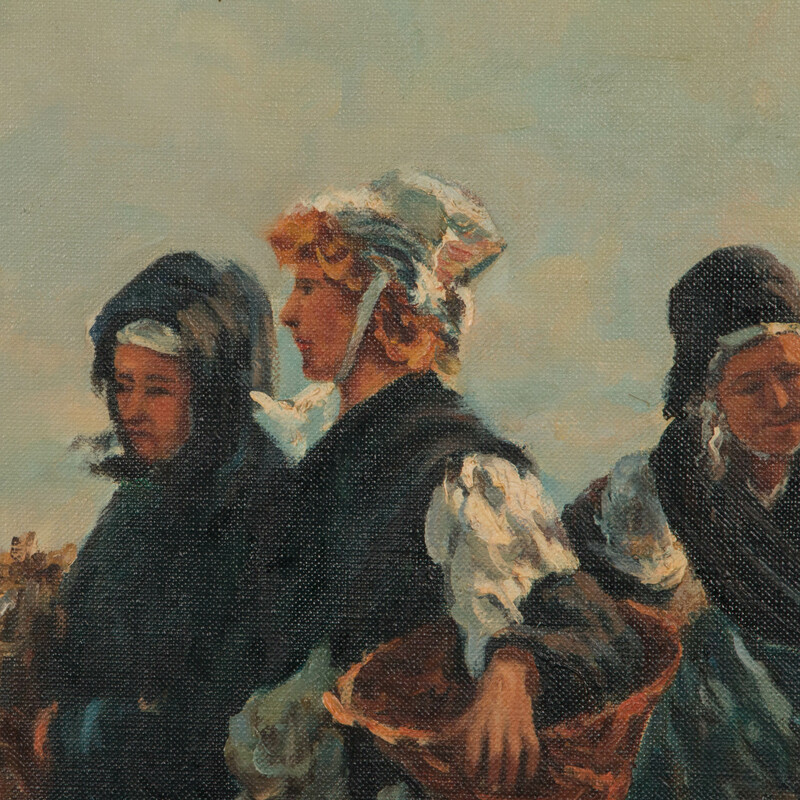 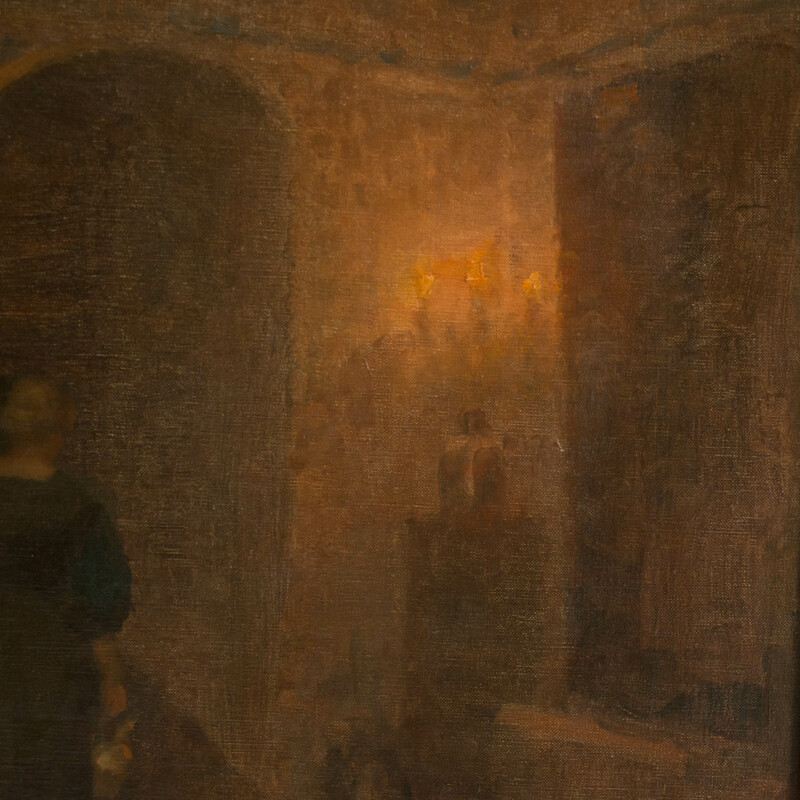 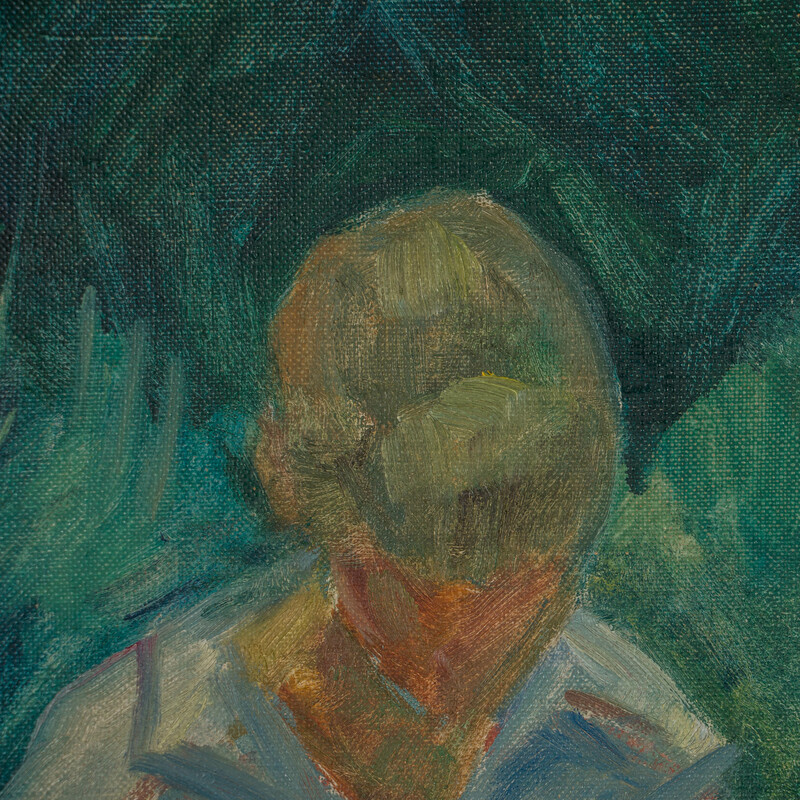 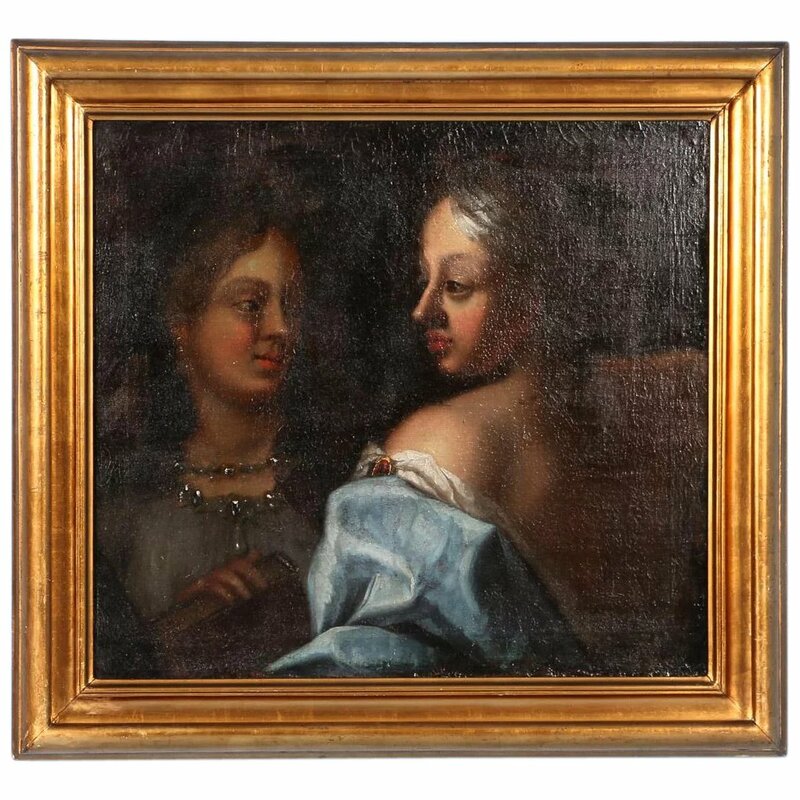 In this oil on canvas rendering of two women, the artist's use of light focuses the attention on the face and shoulder of the young woman in blue gown. 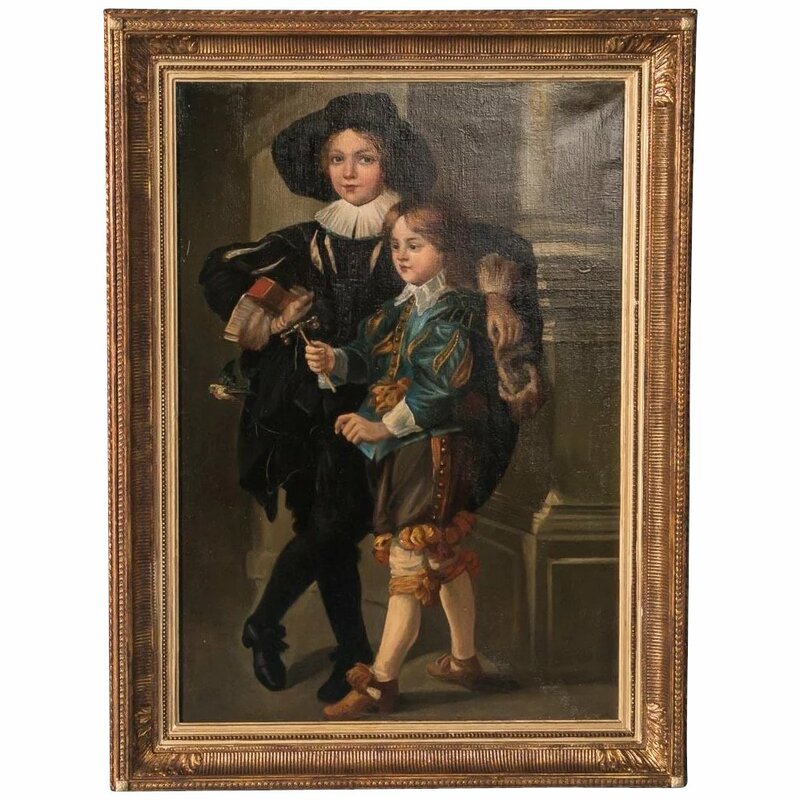 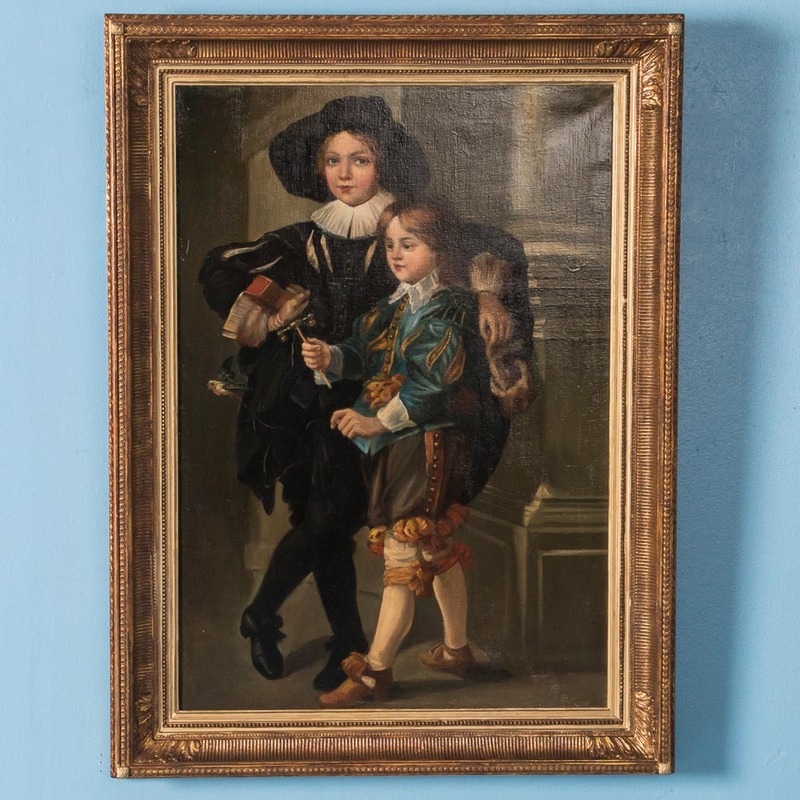 18th century original German oil on canvas portrait of two young boys in period clothing, one holding a bird on a string. 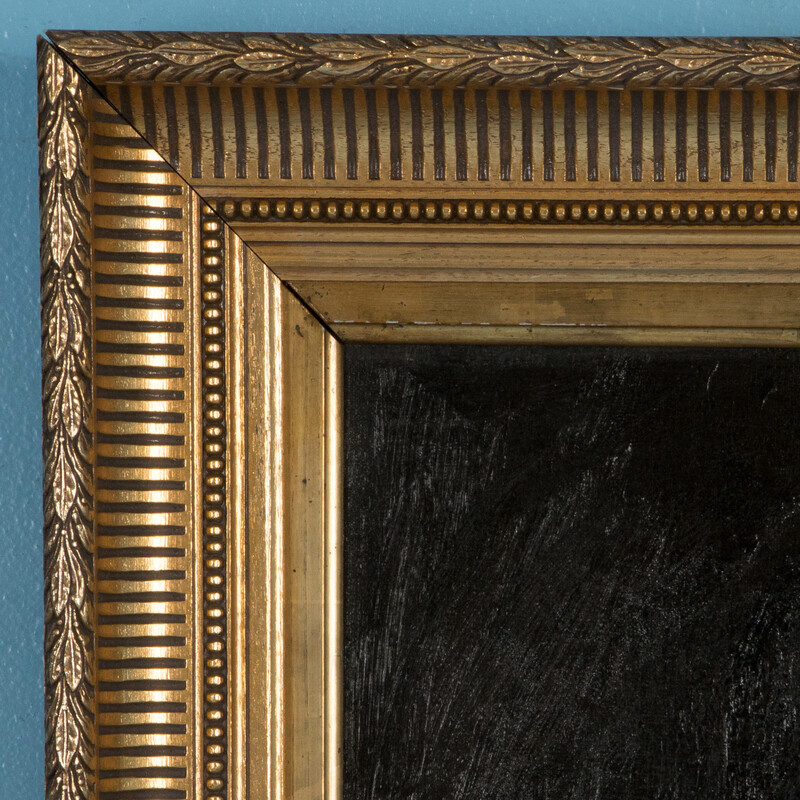 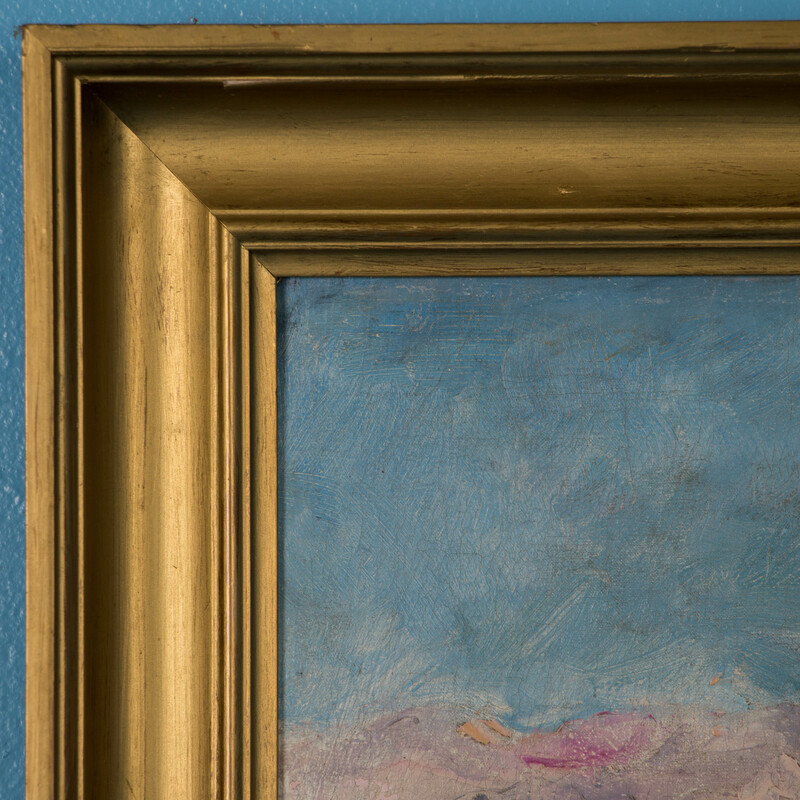 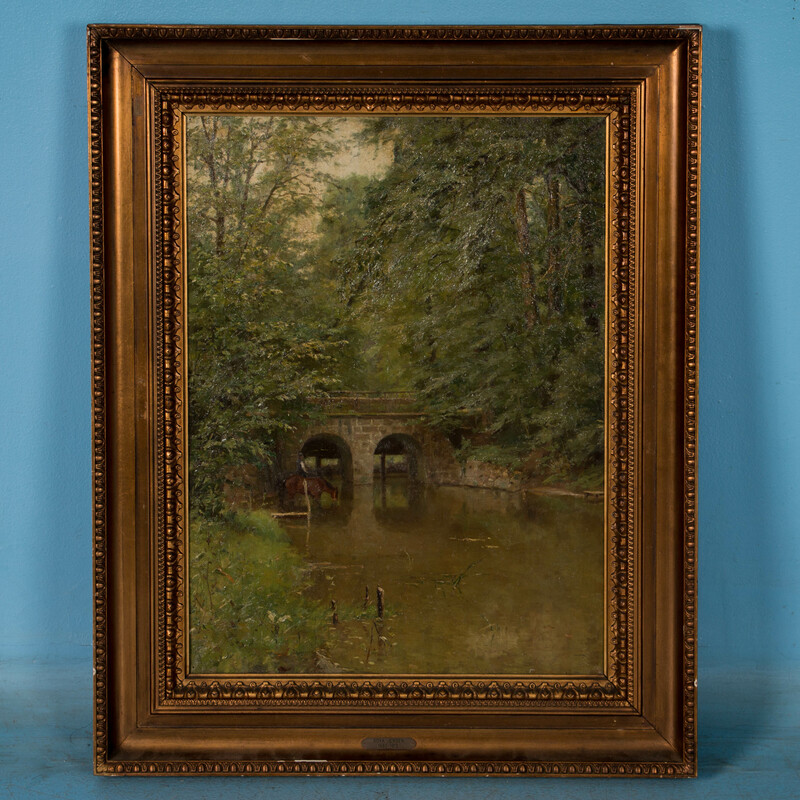 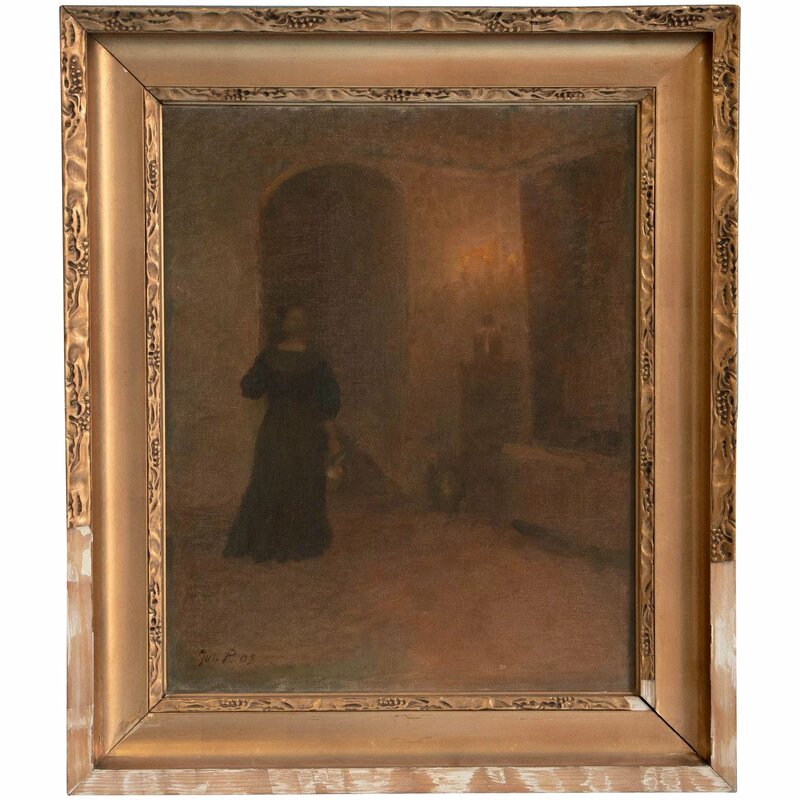 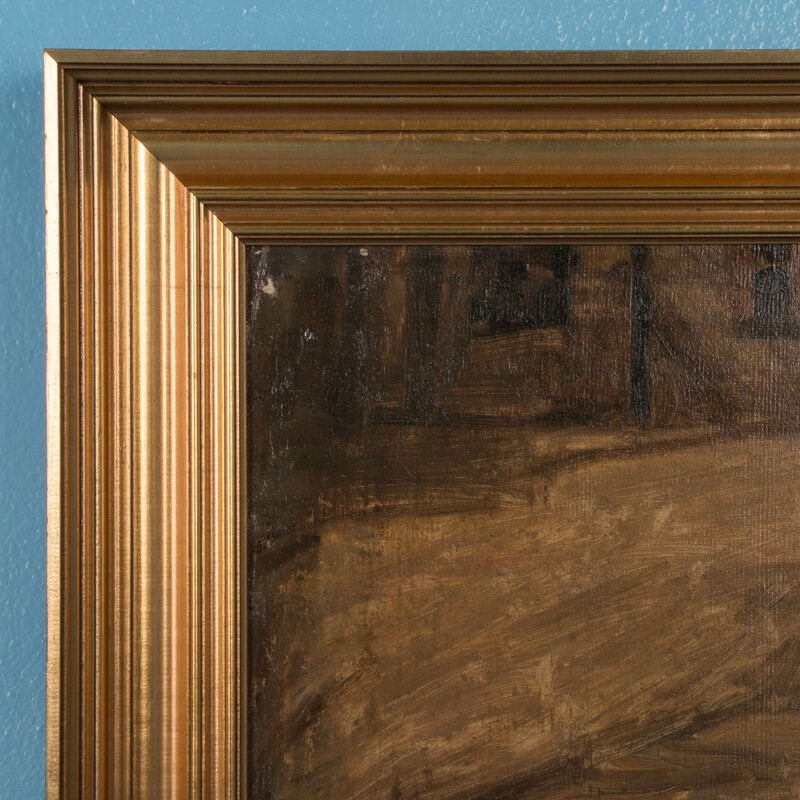 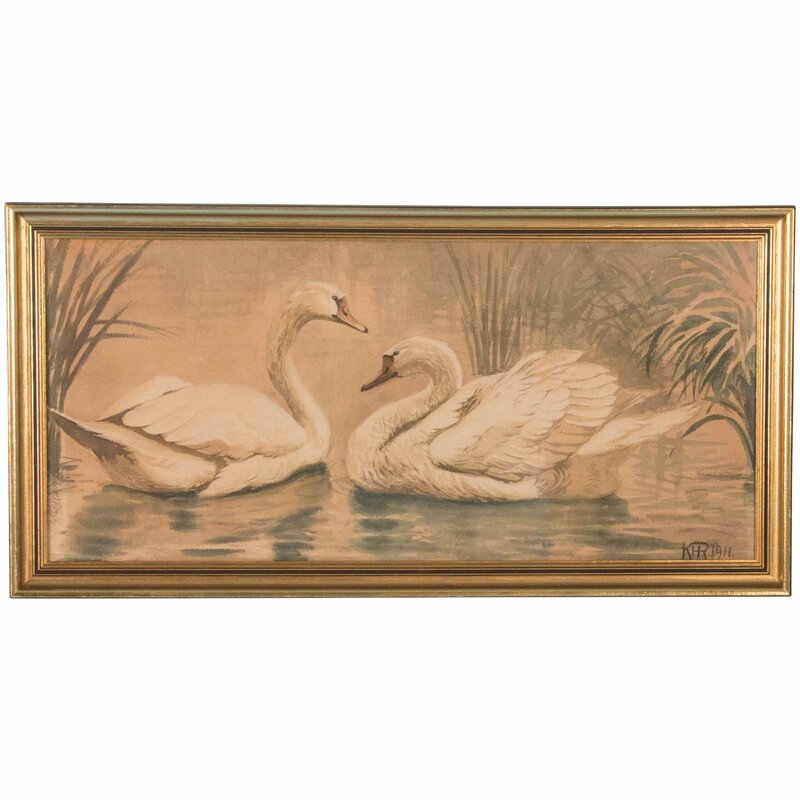 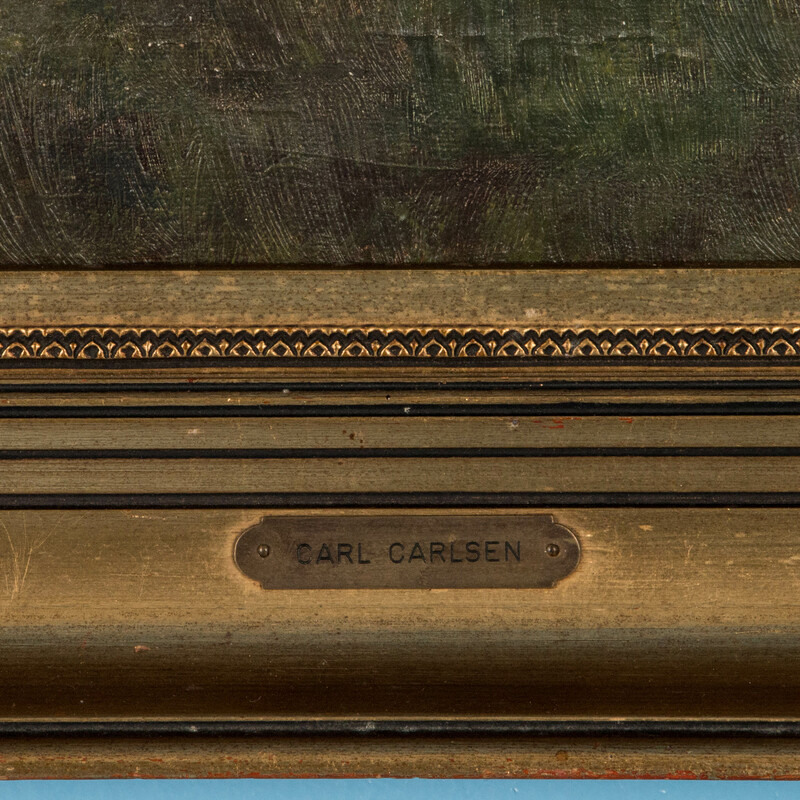 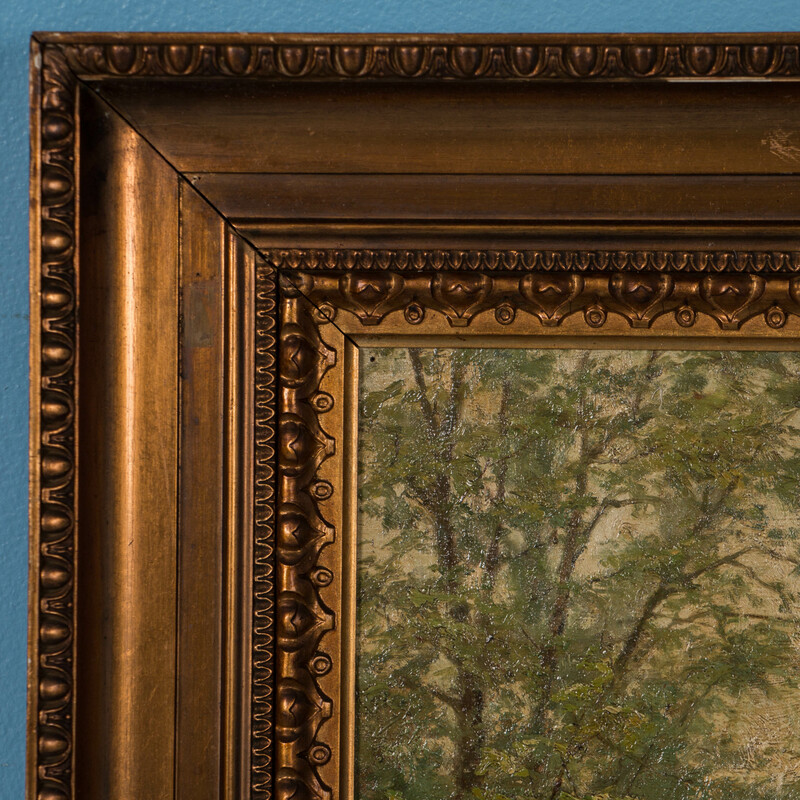 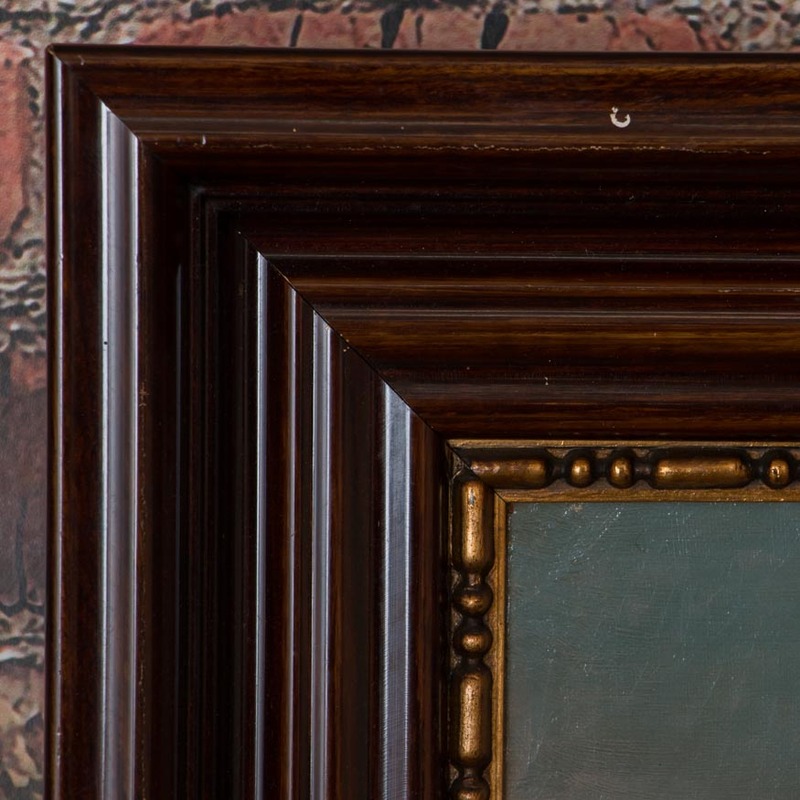 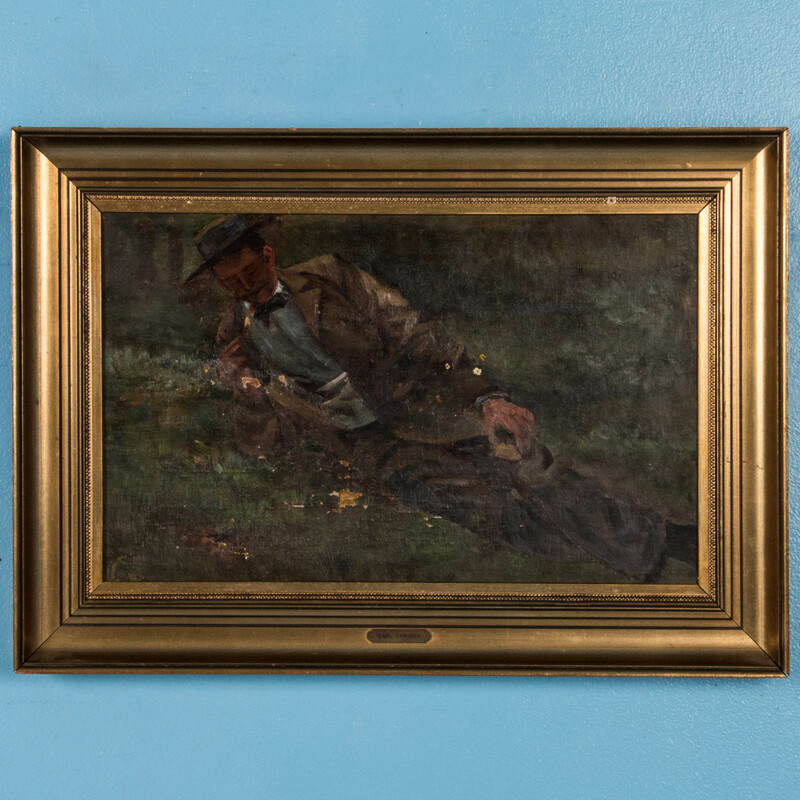 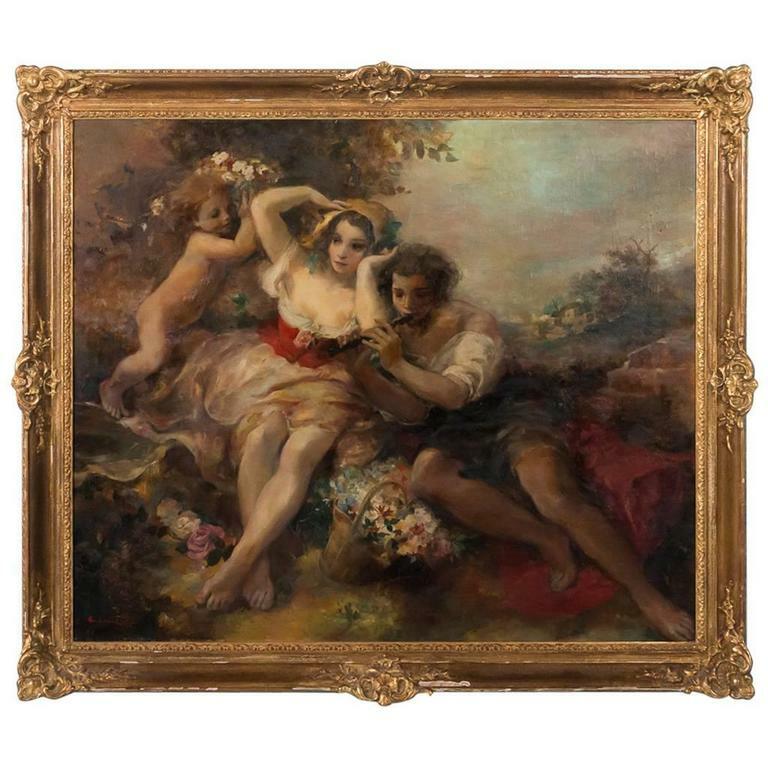 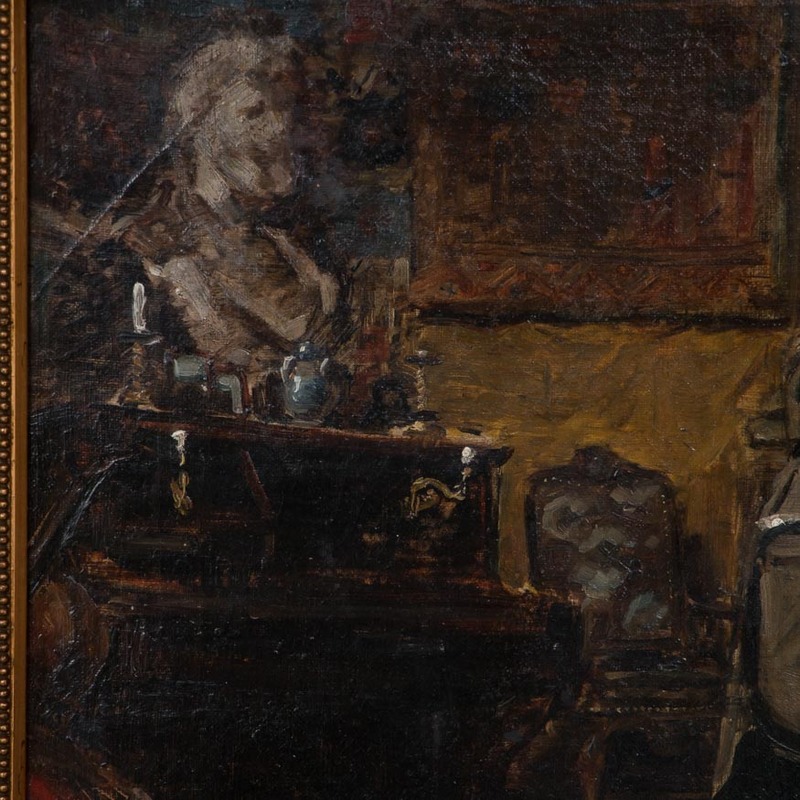 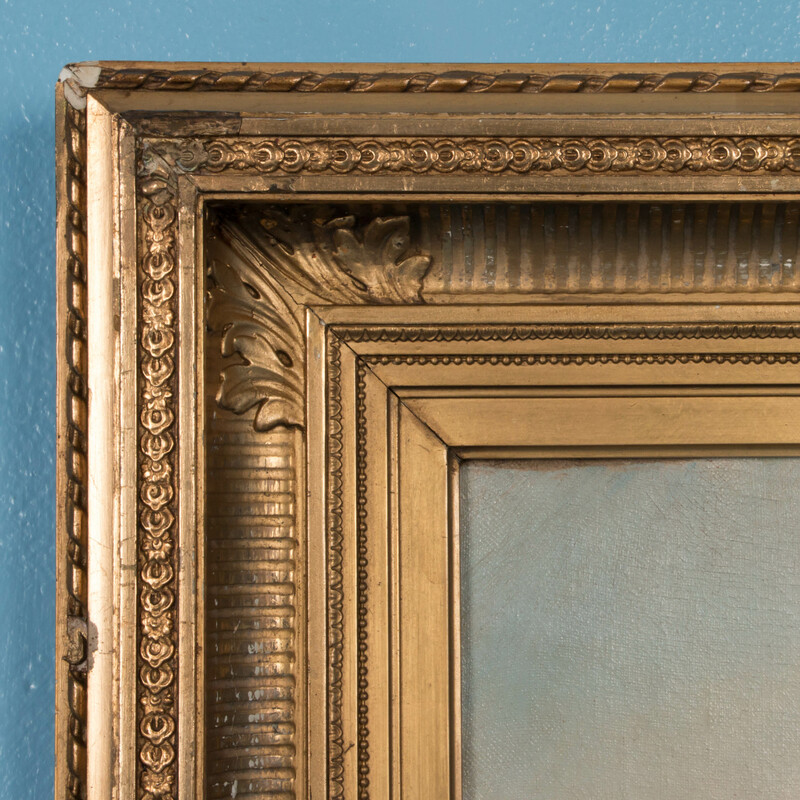 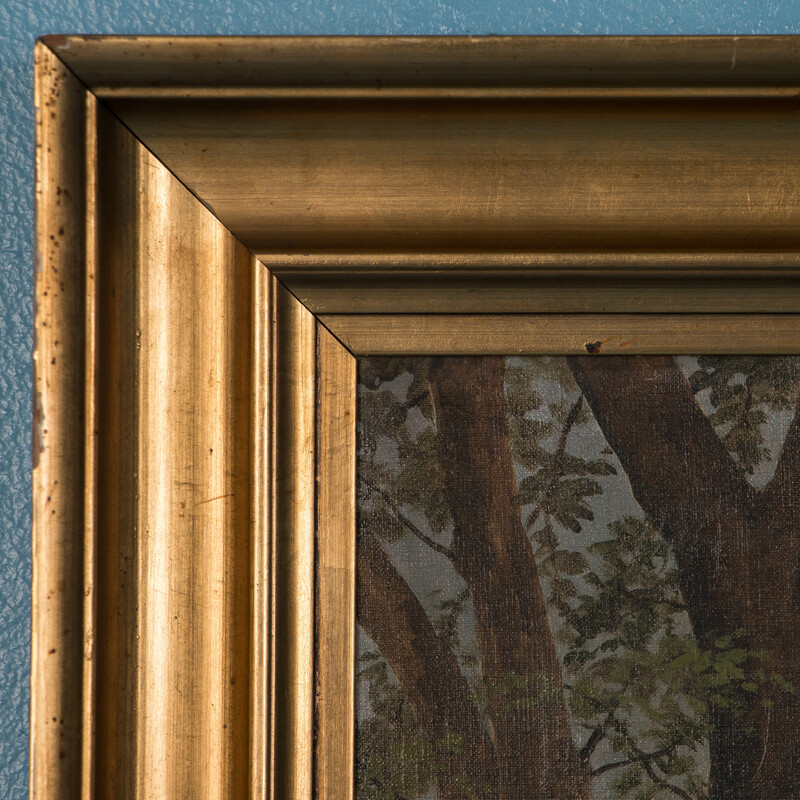 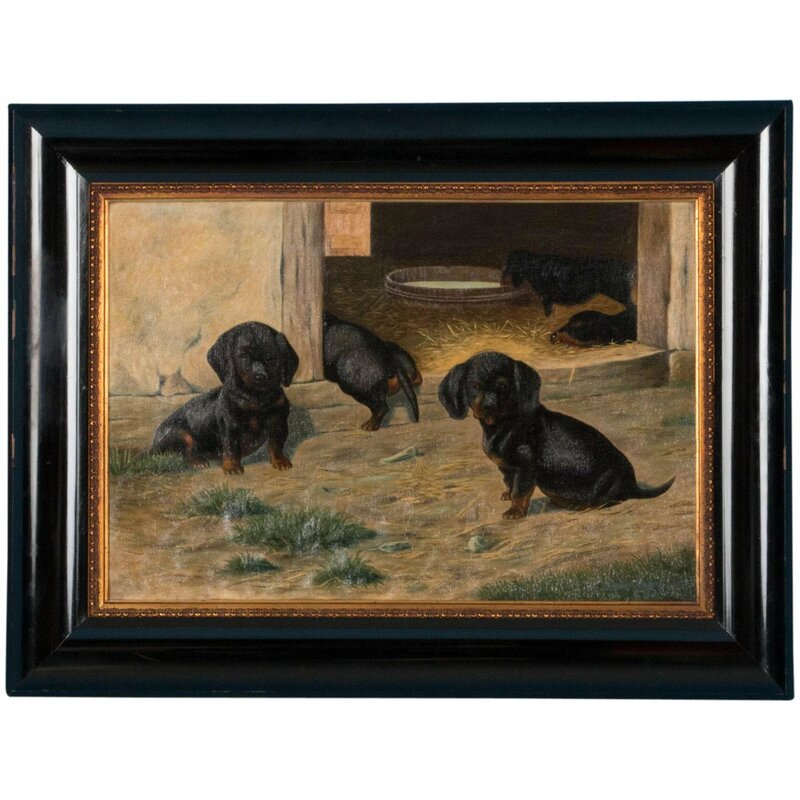 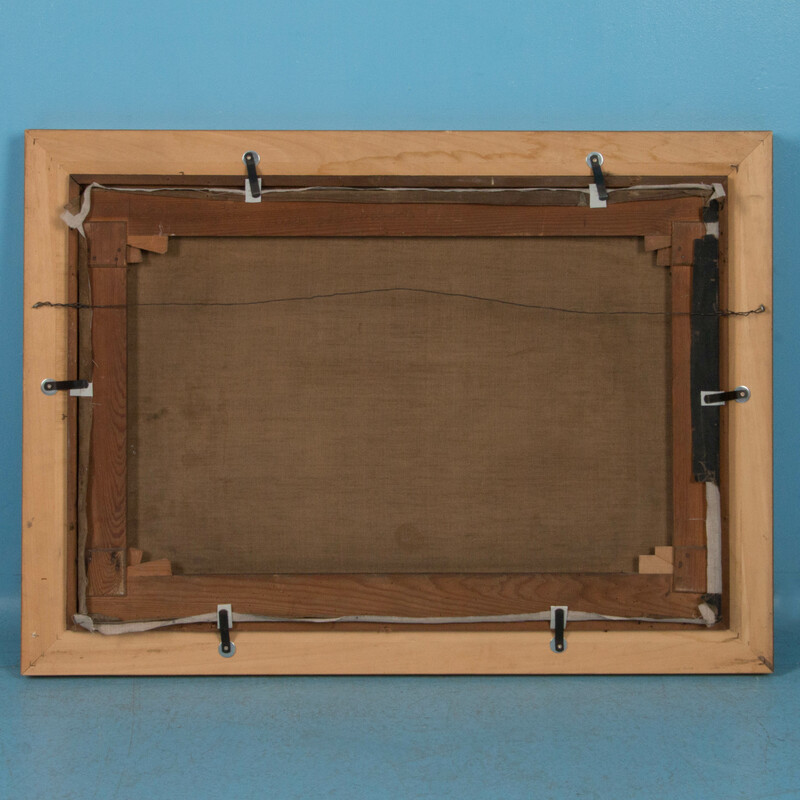 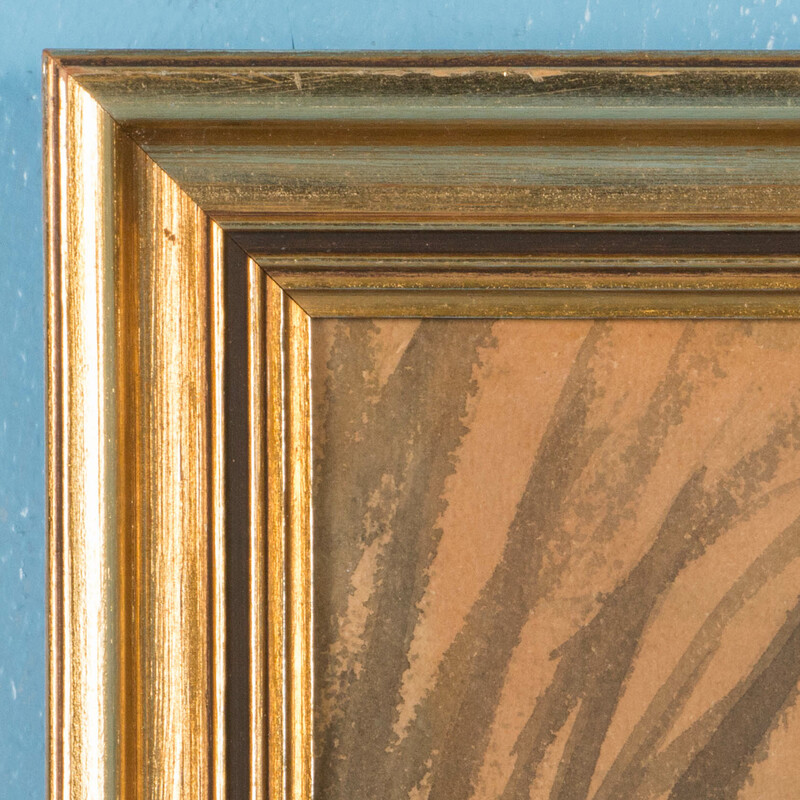 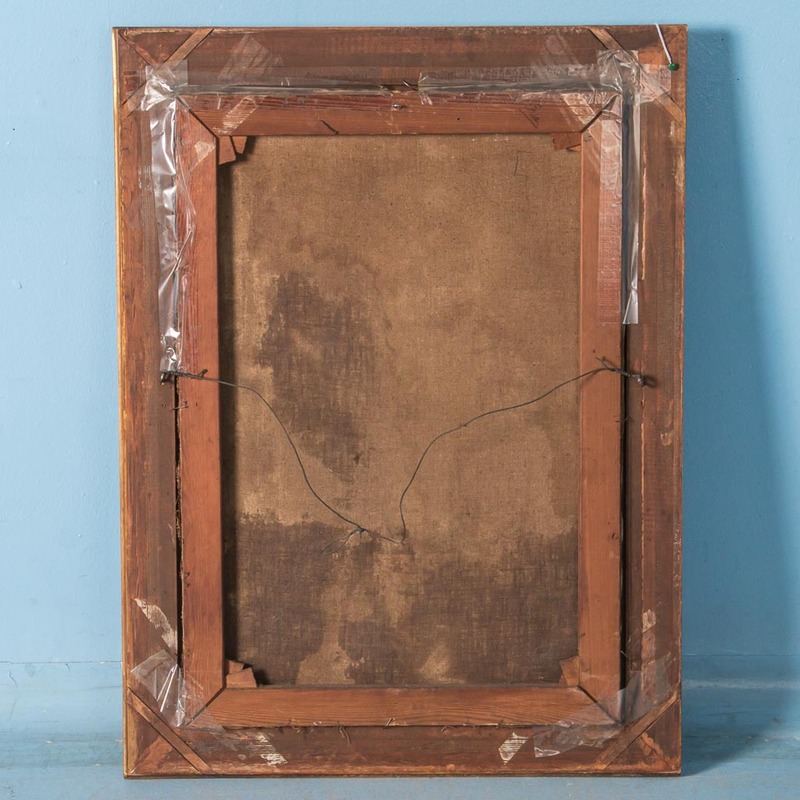 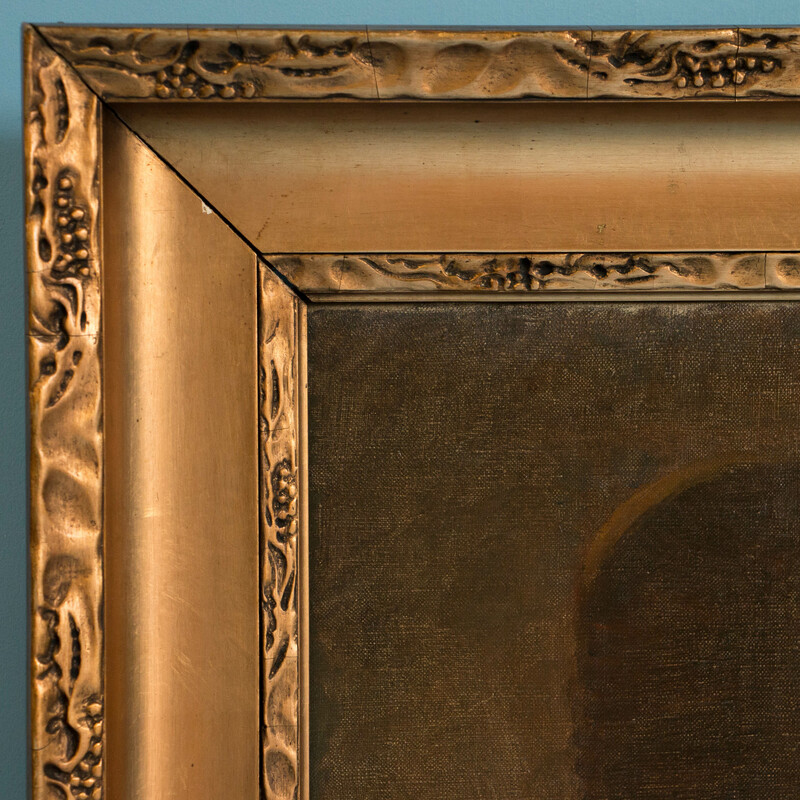 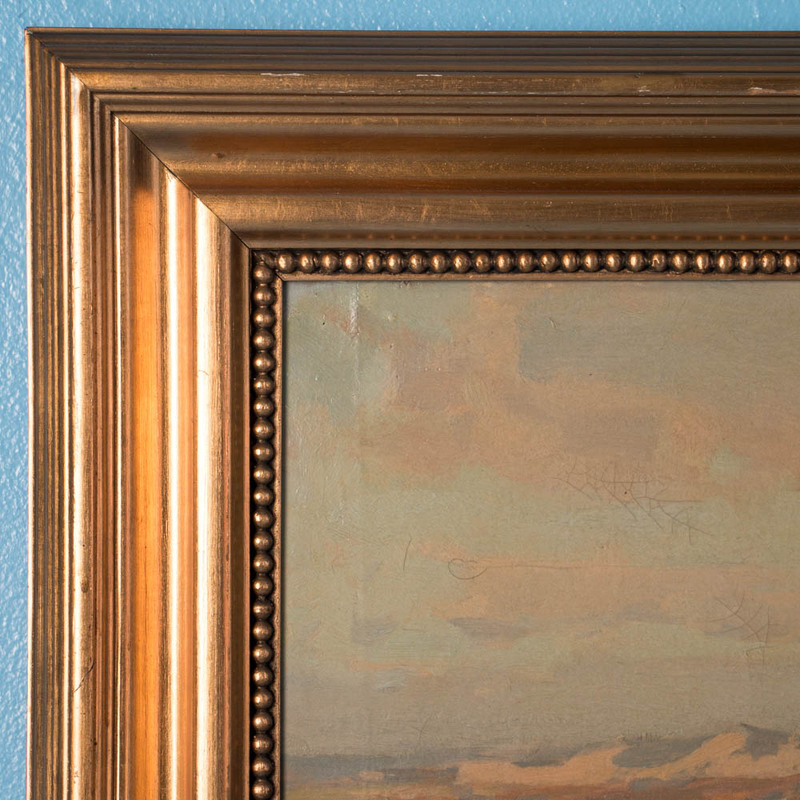 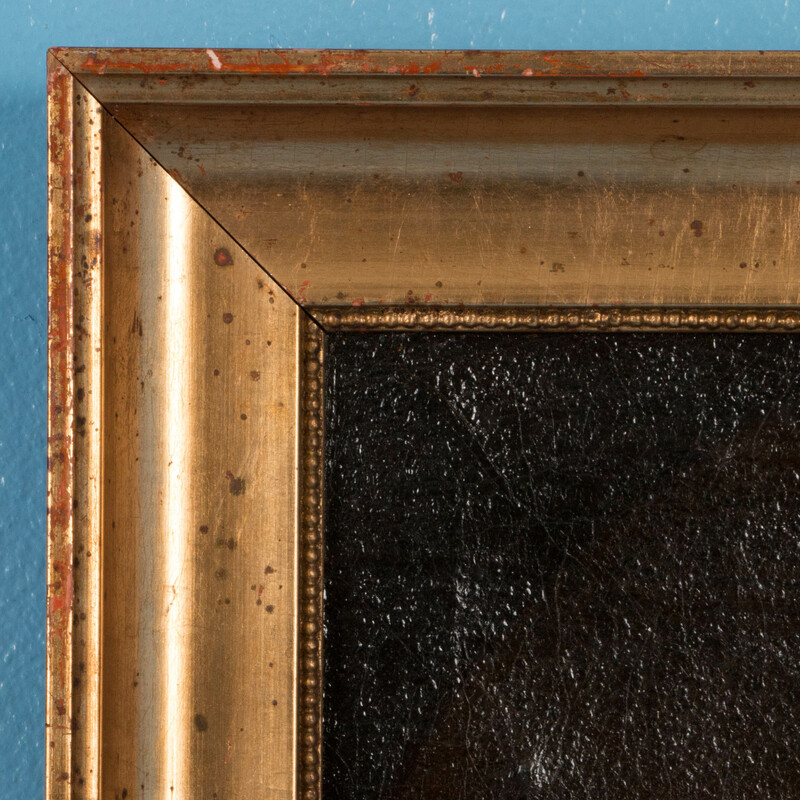 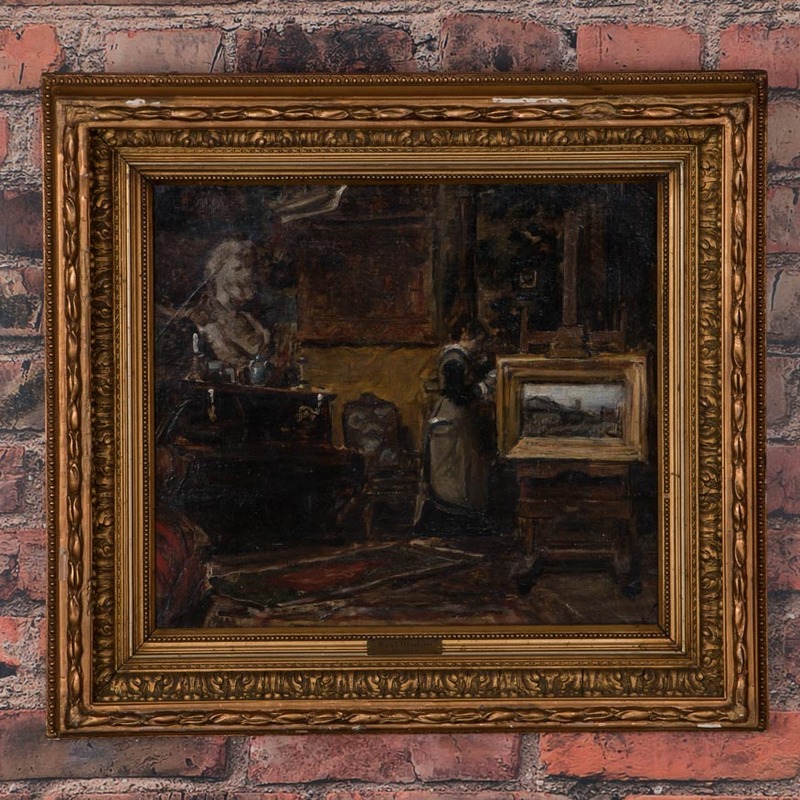 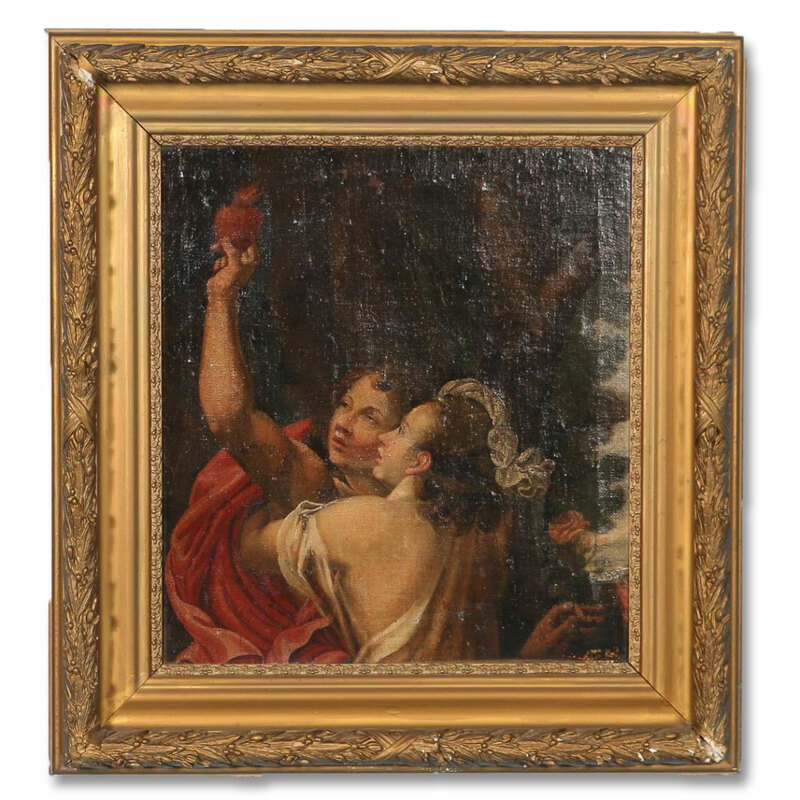 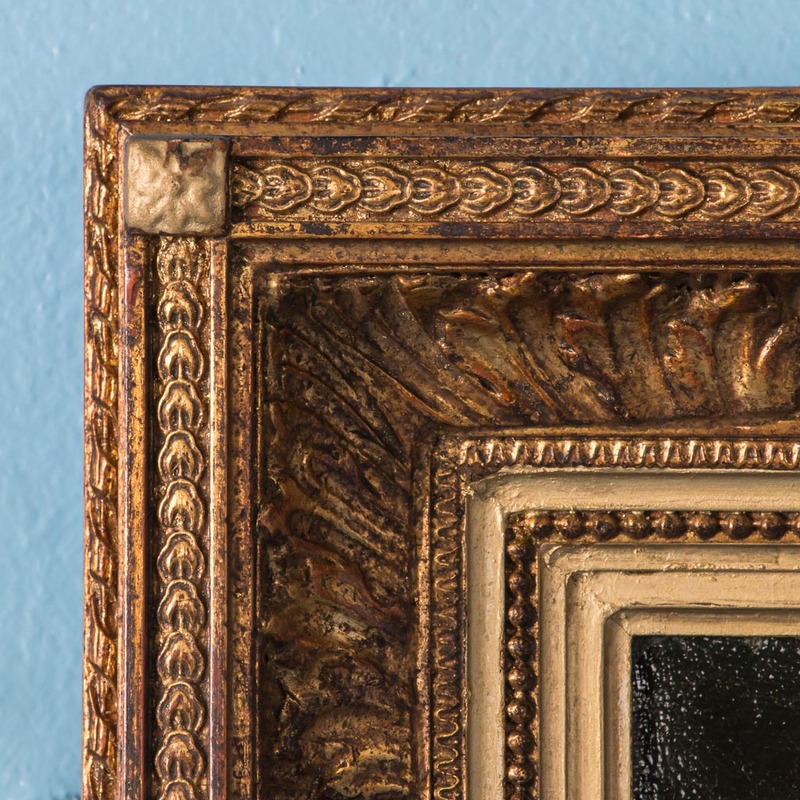 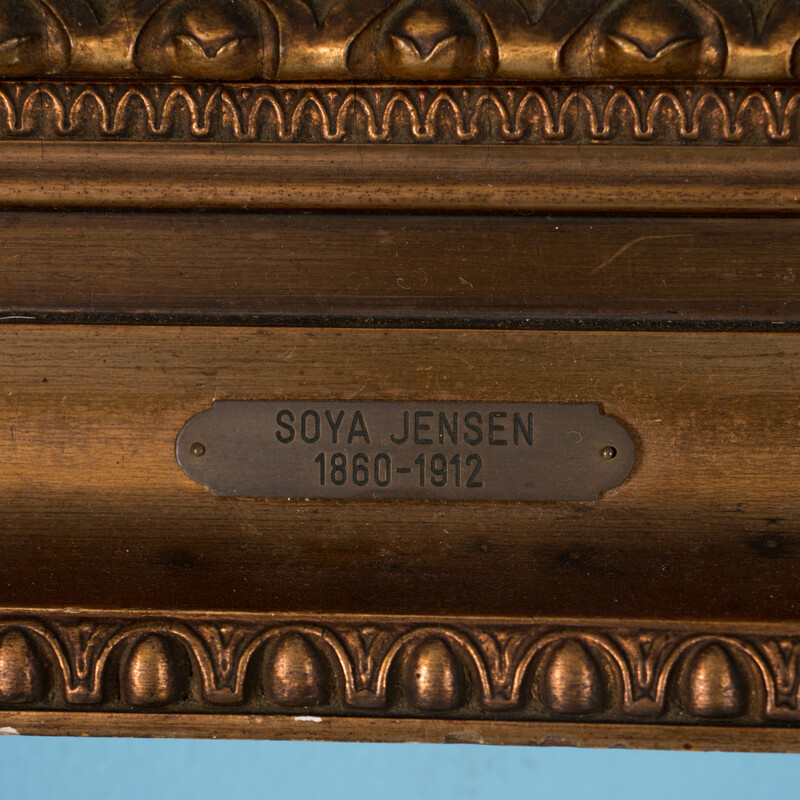 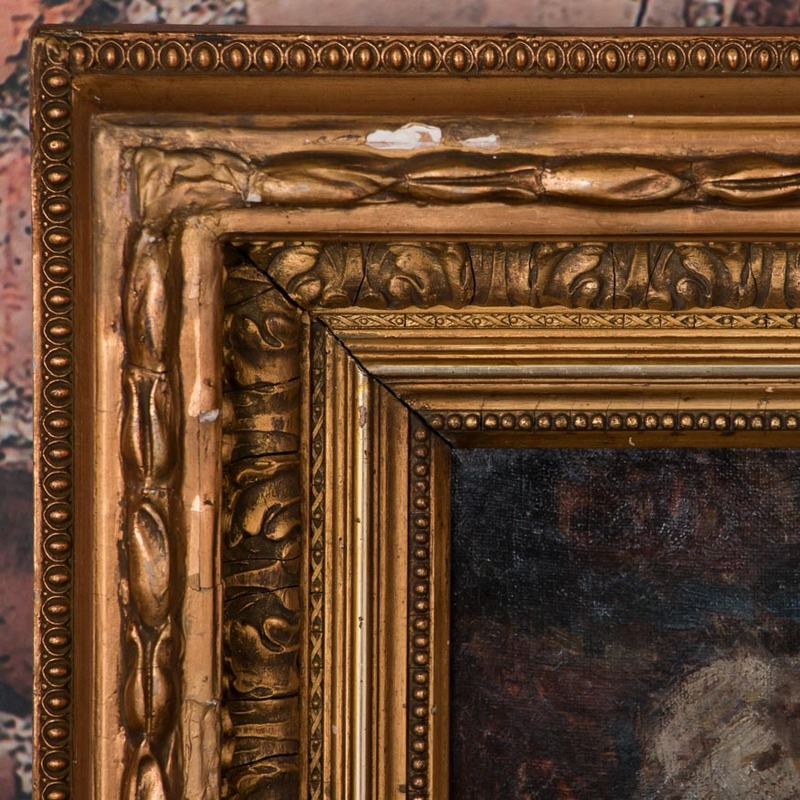 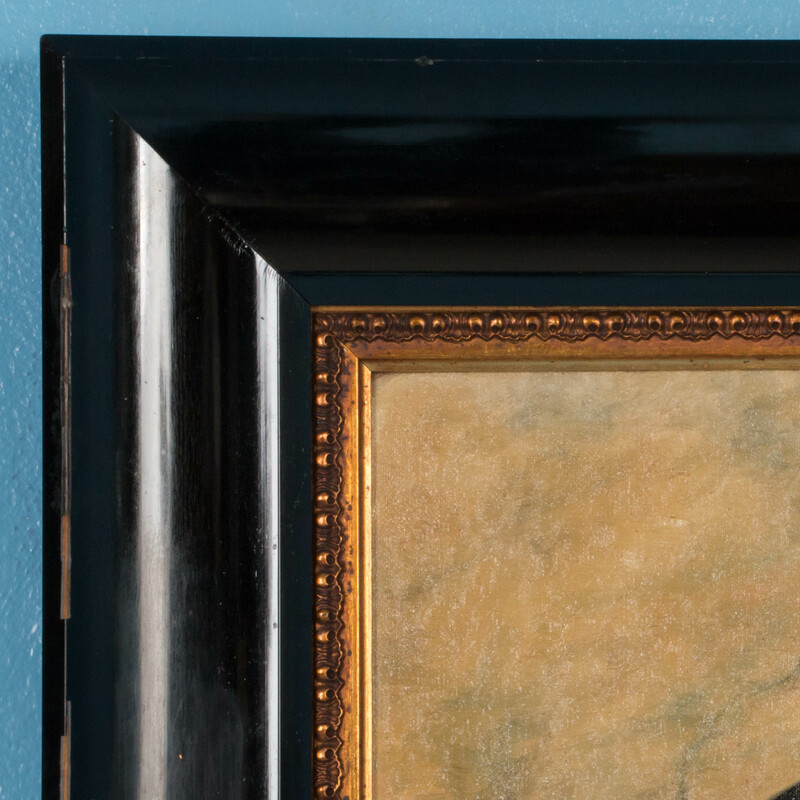 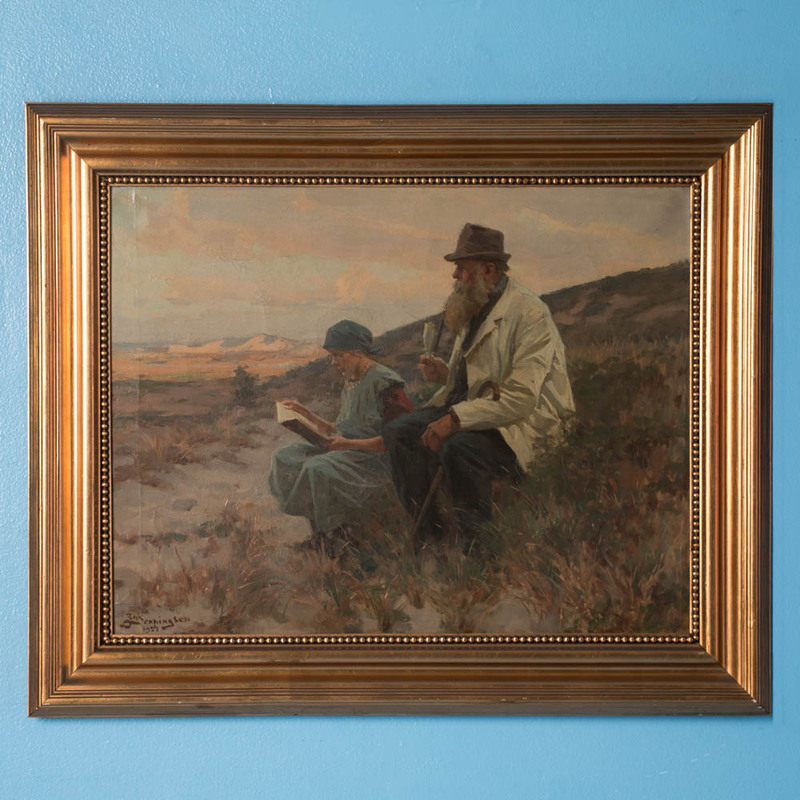 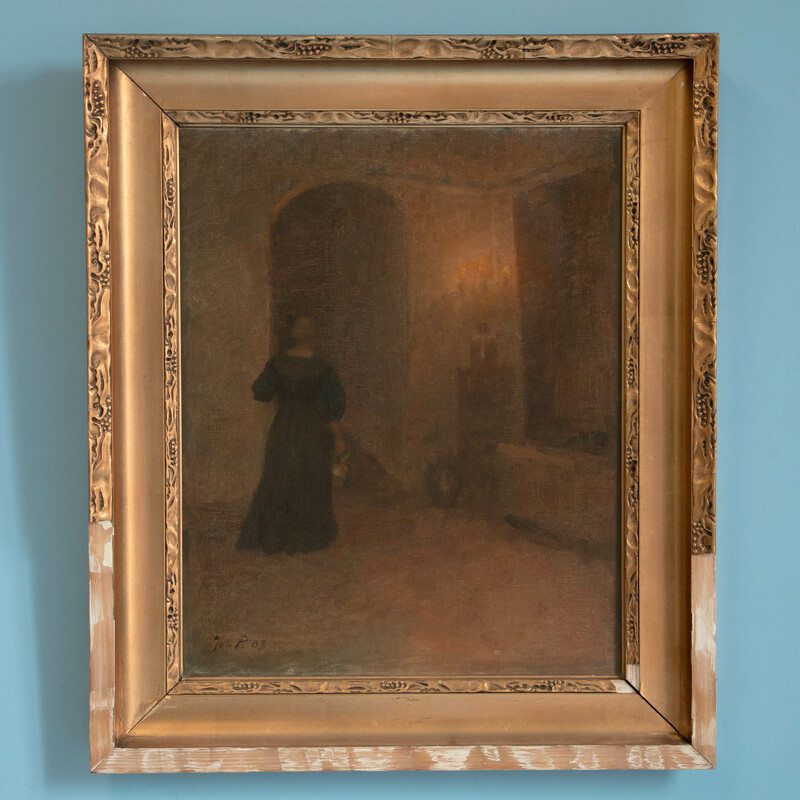 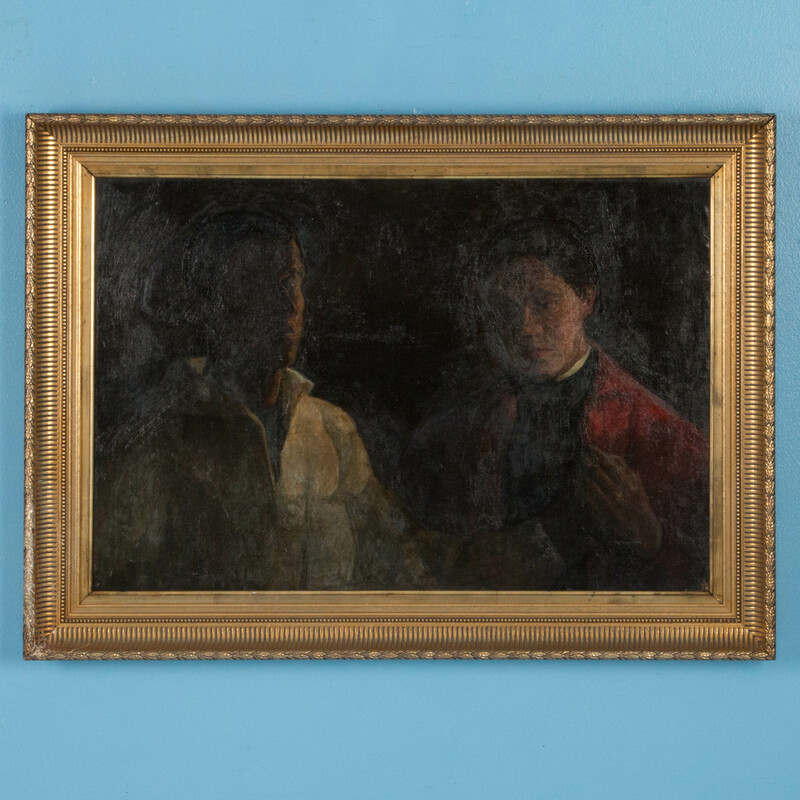 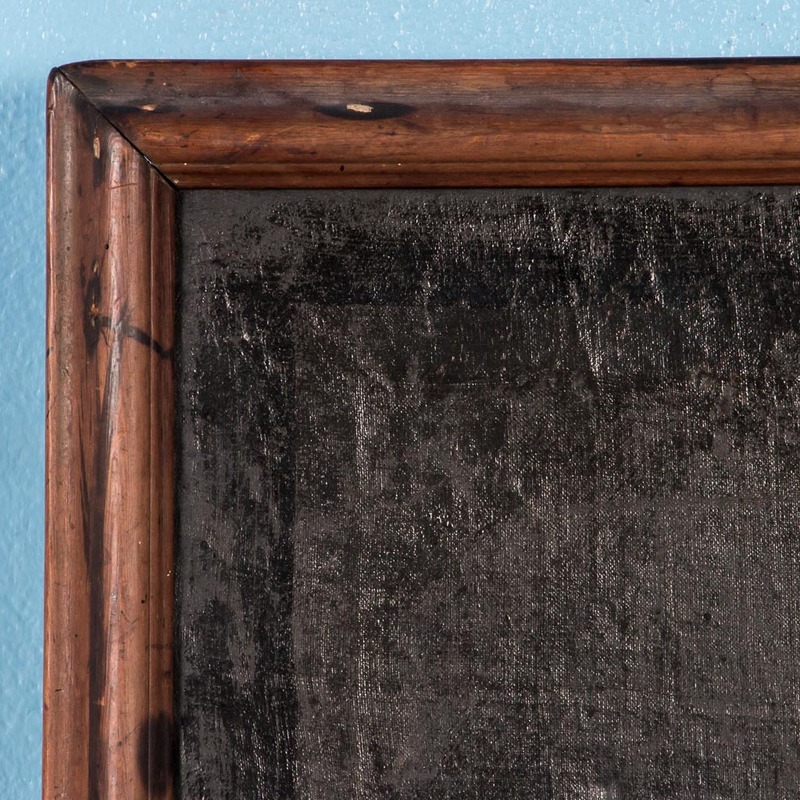 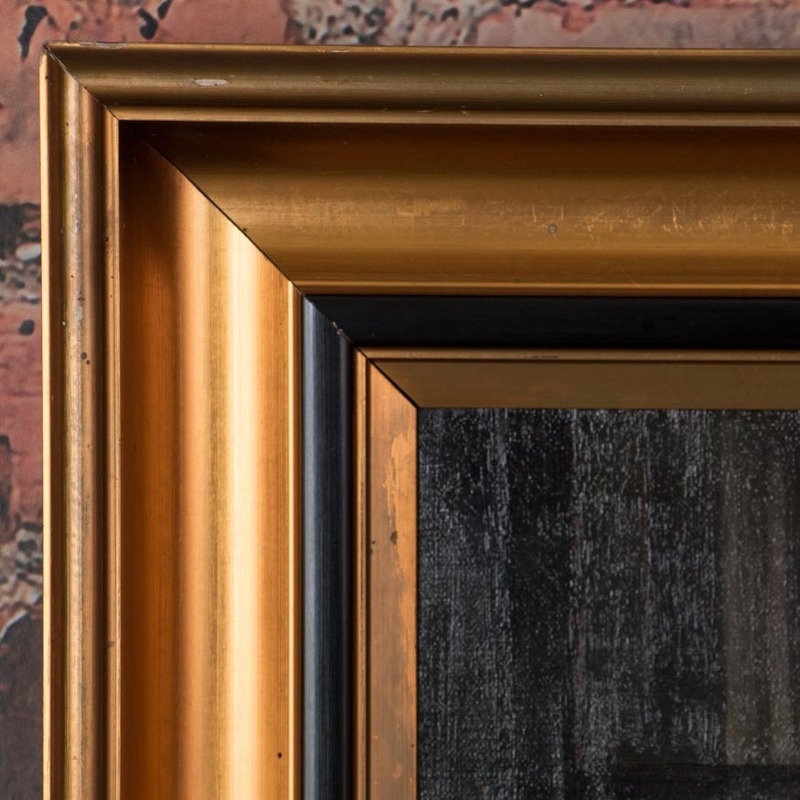 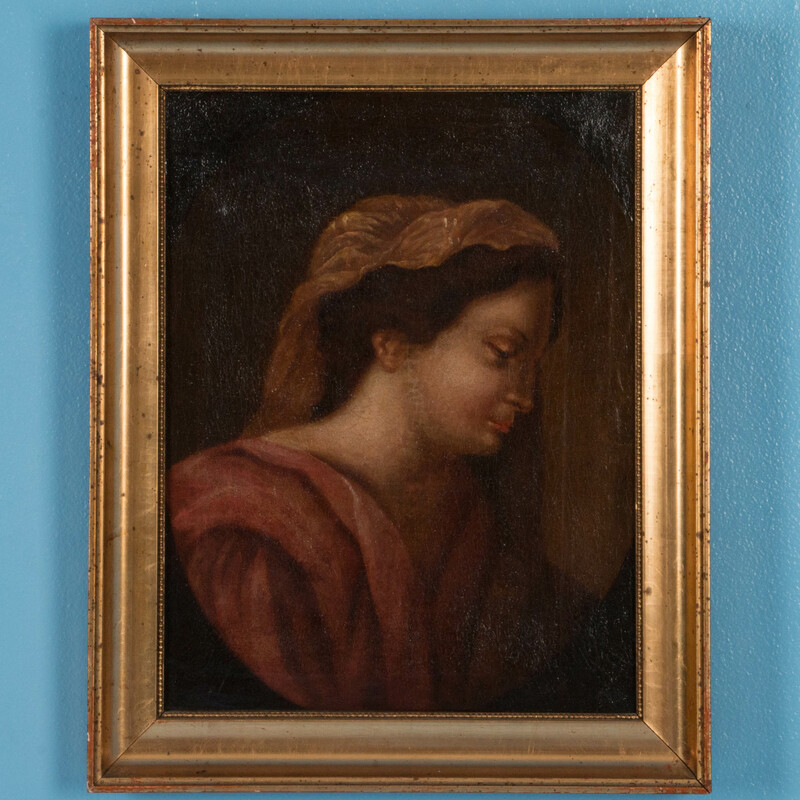 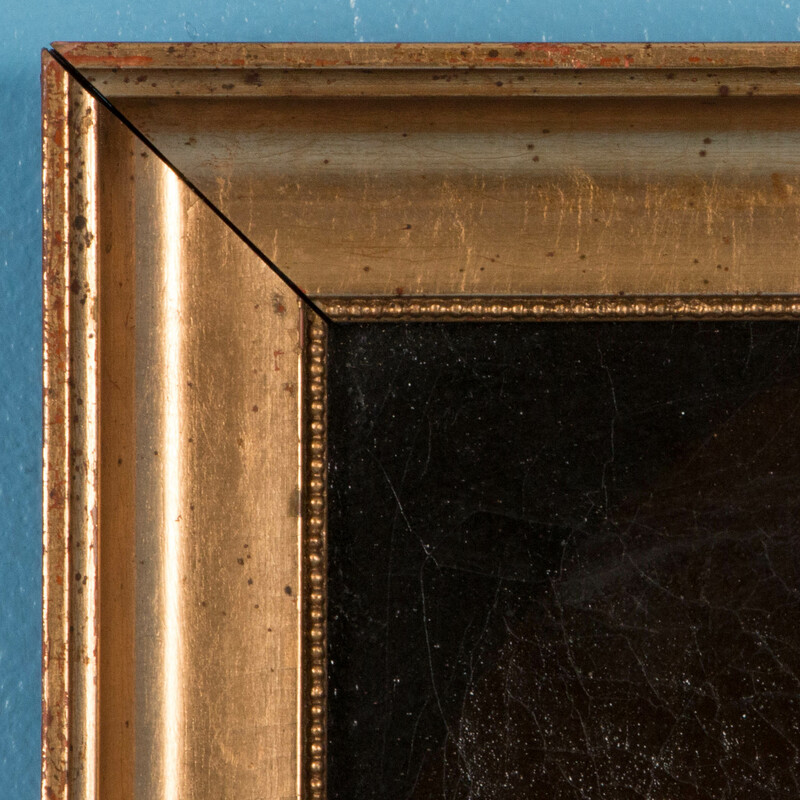 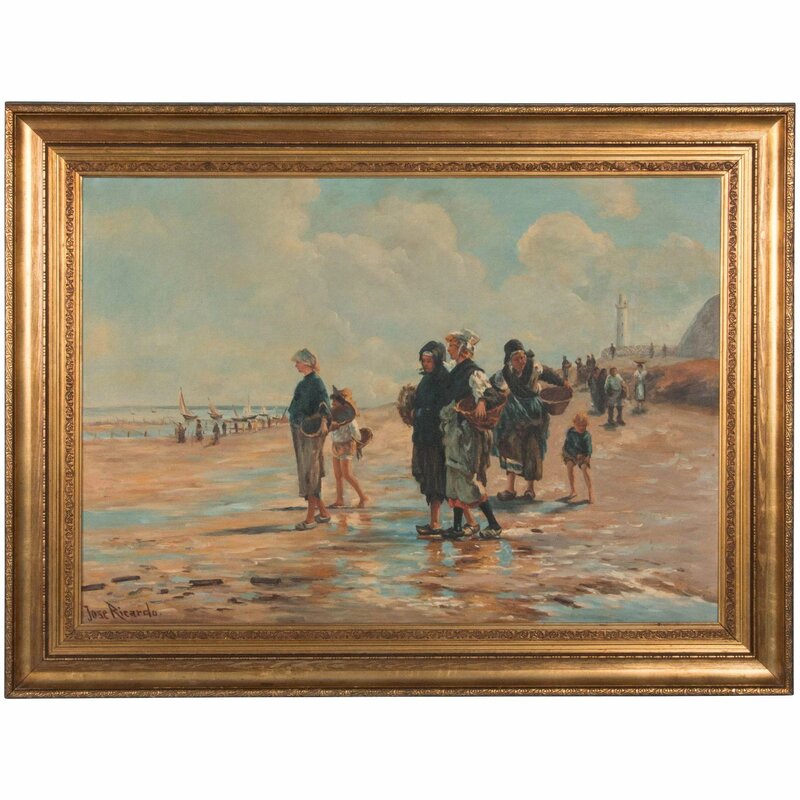 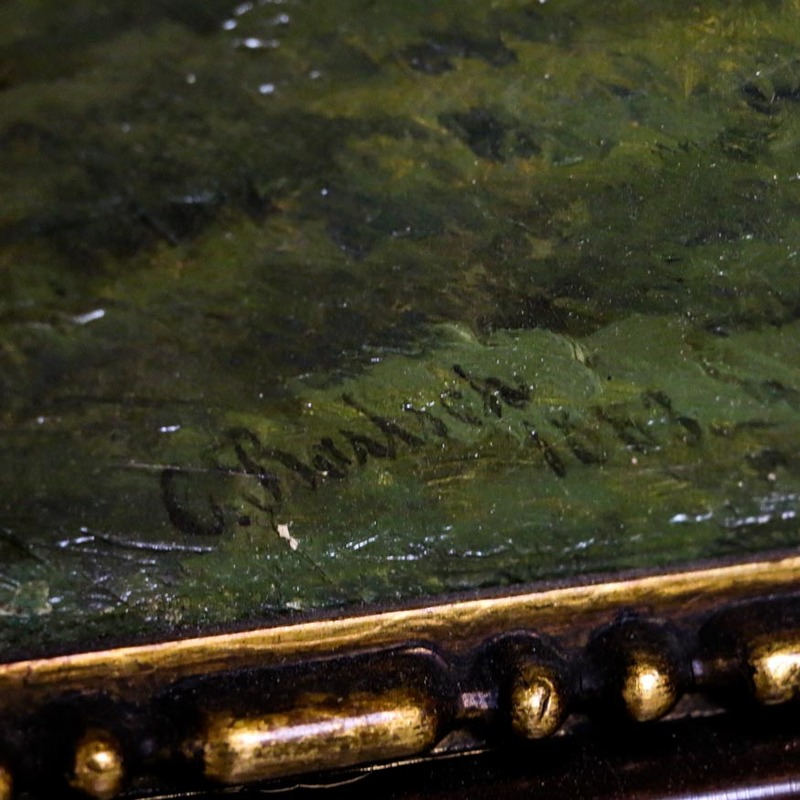 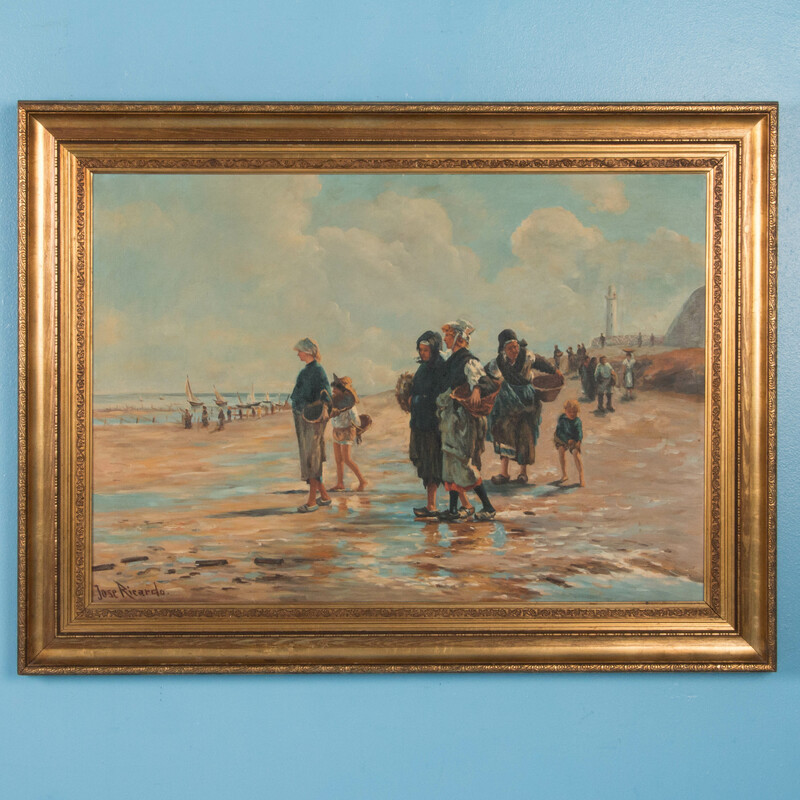 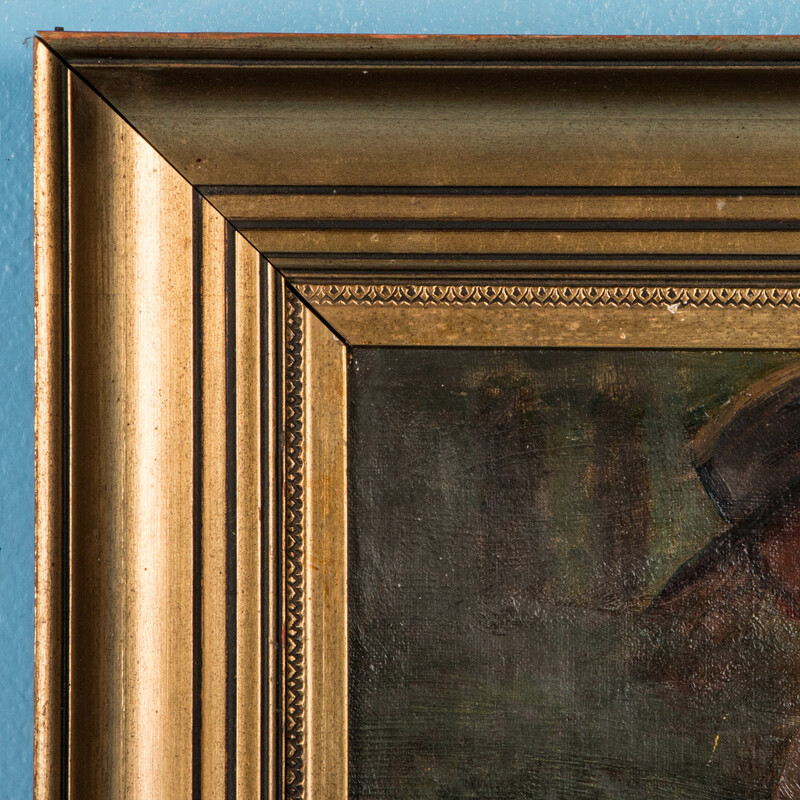 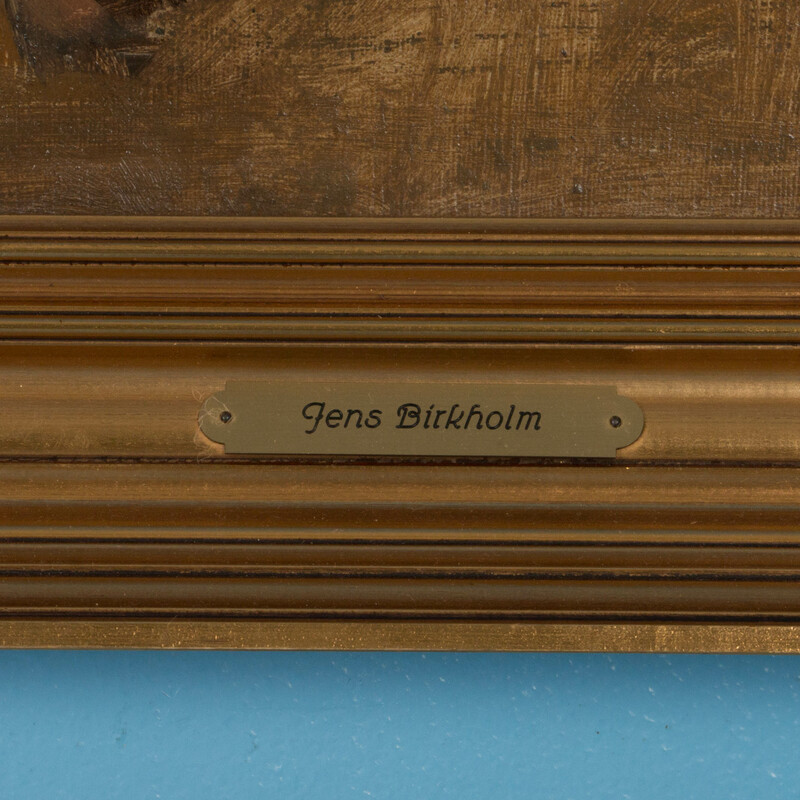 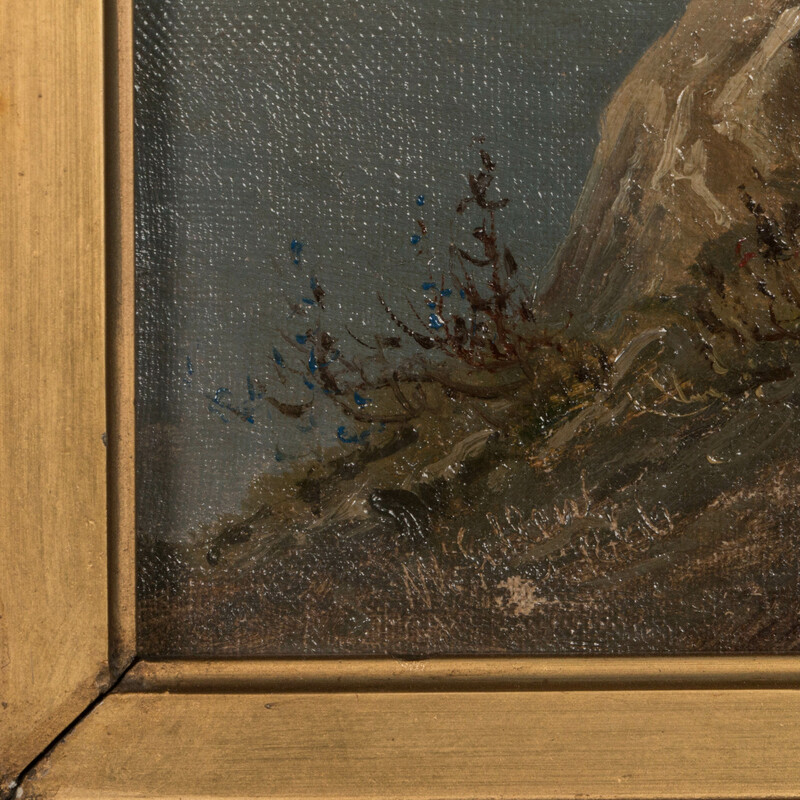 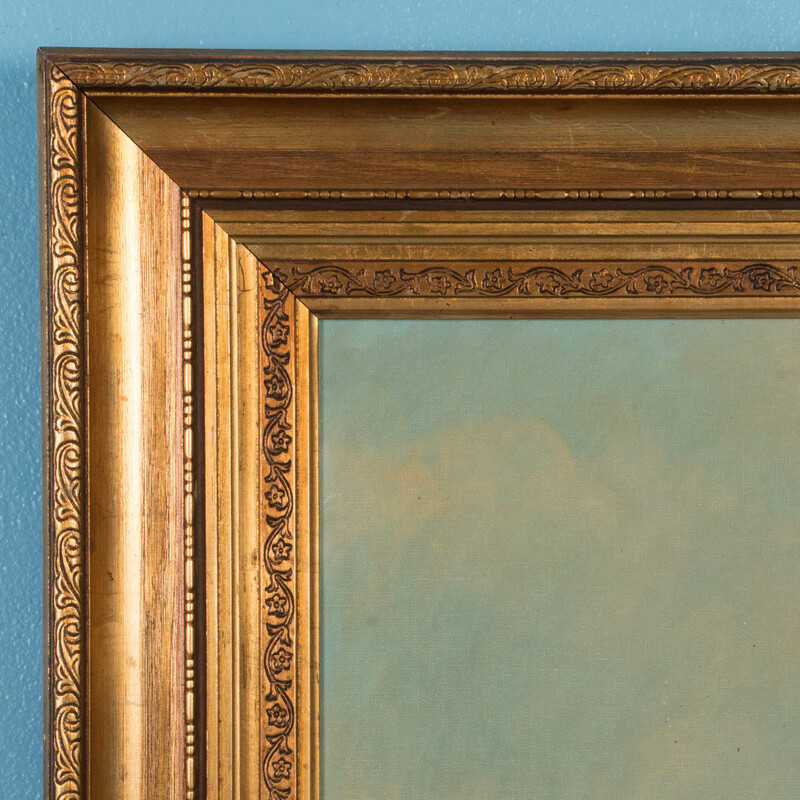 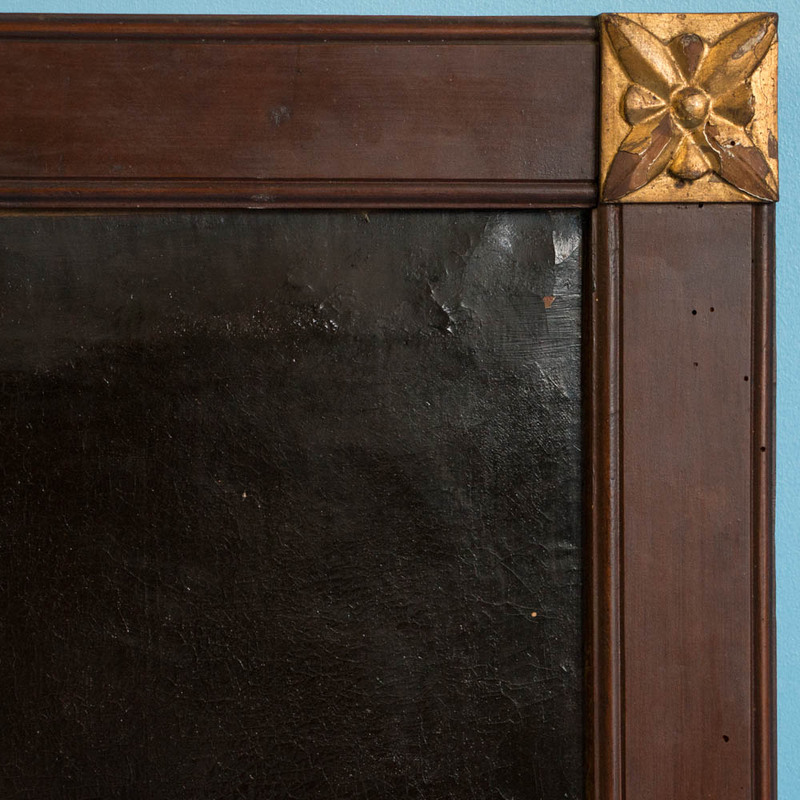 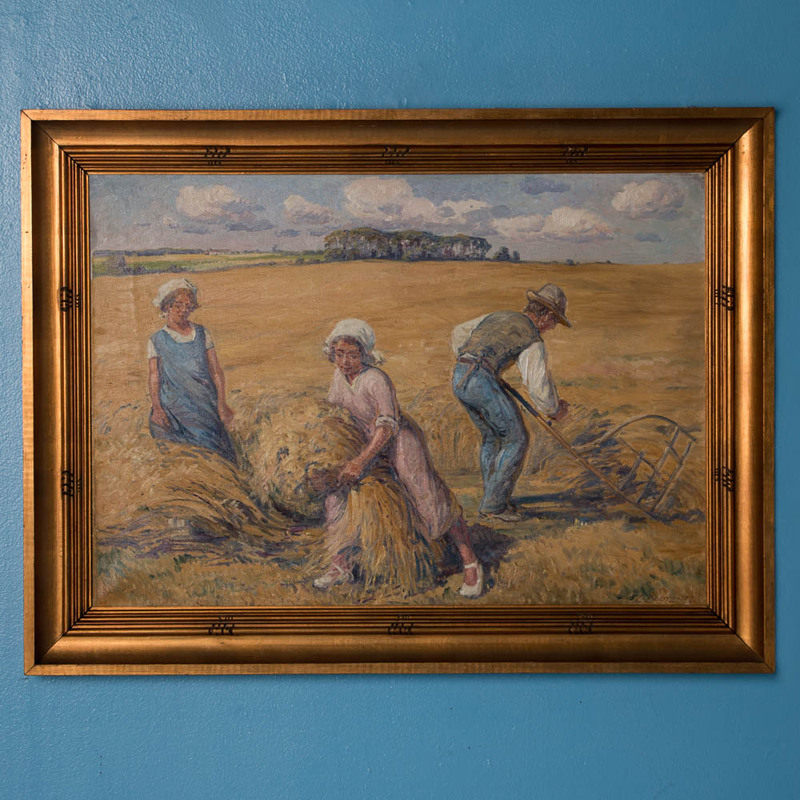 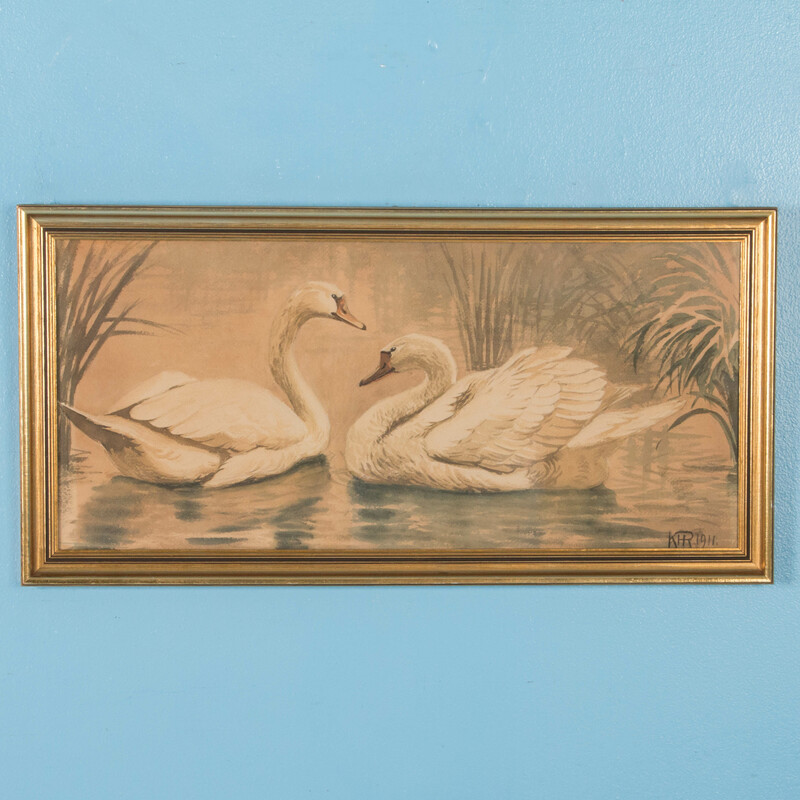 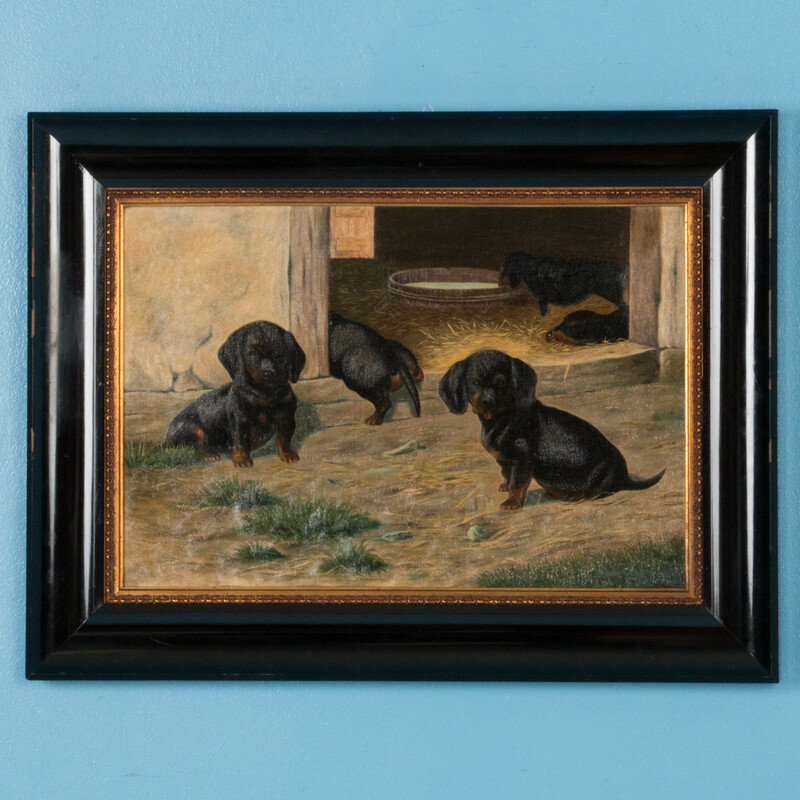 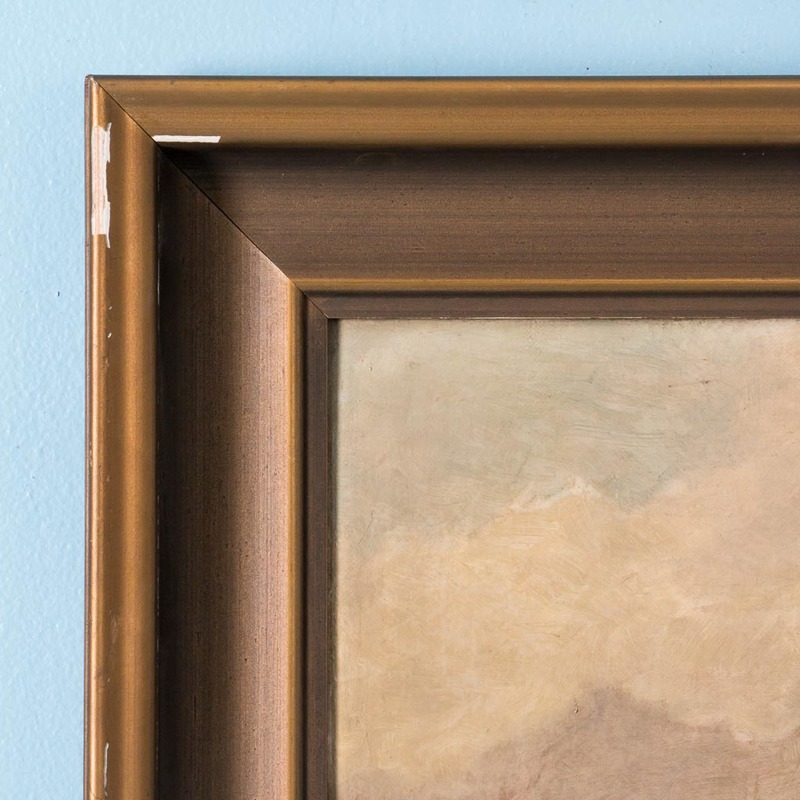 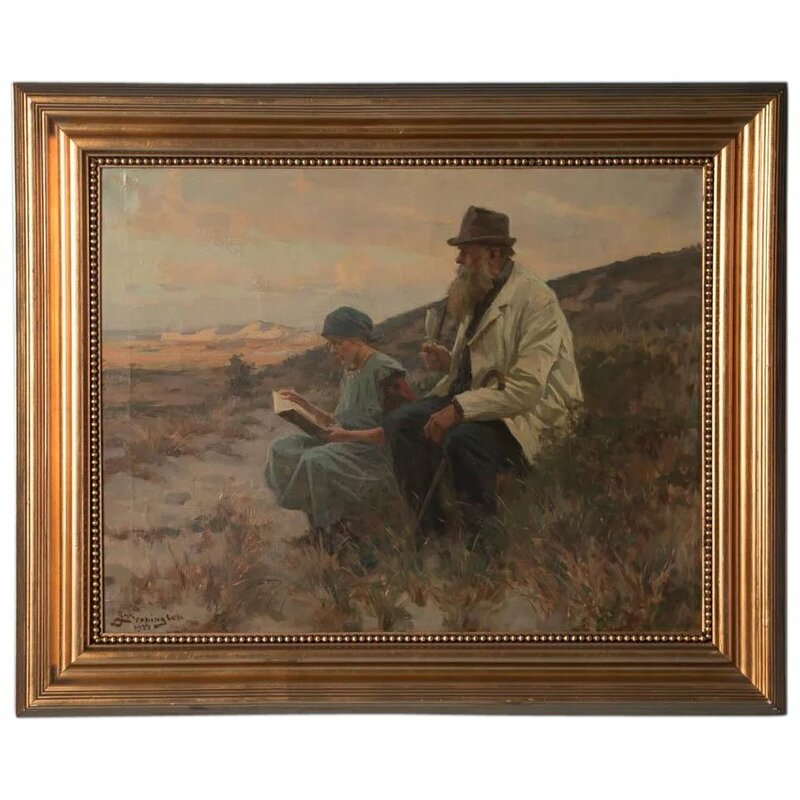 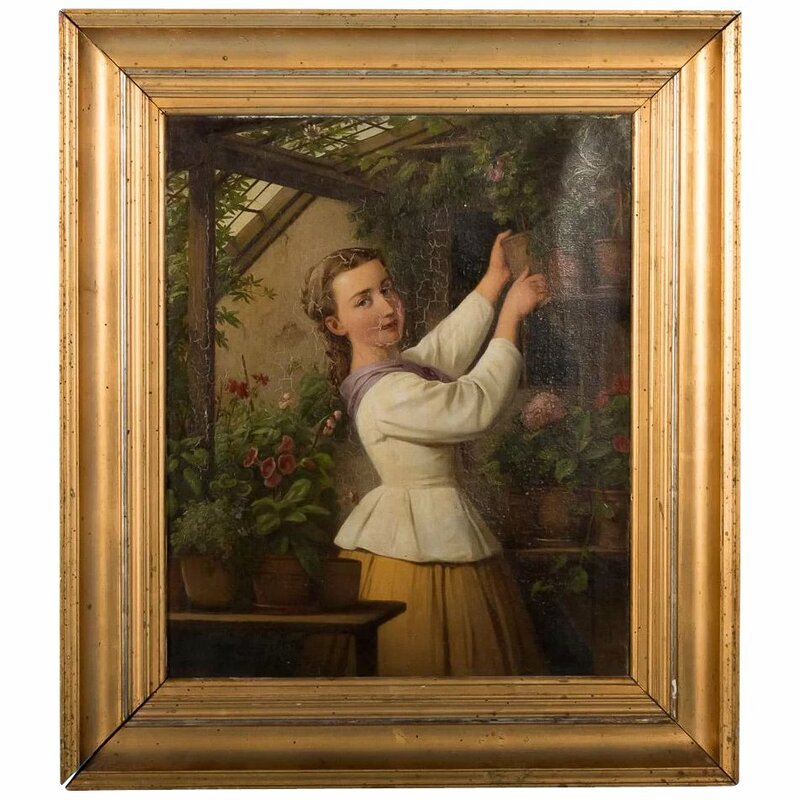 The painting is unsigned and mounted in an antique gilt wood frame. 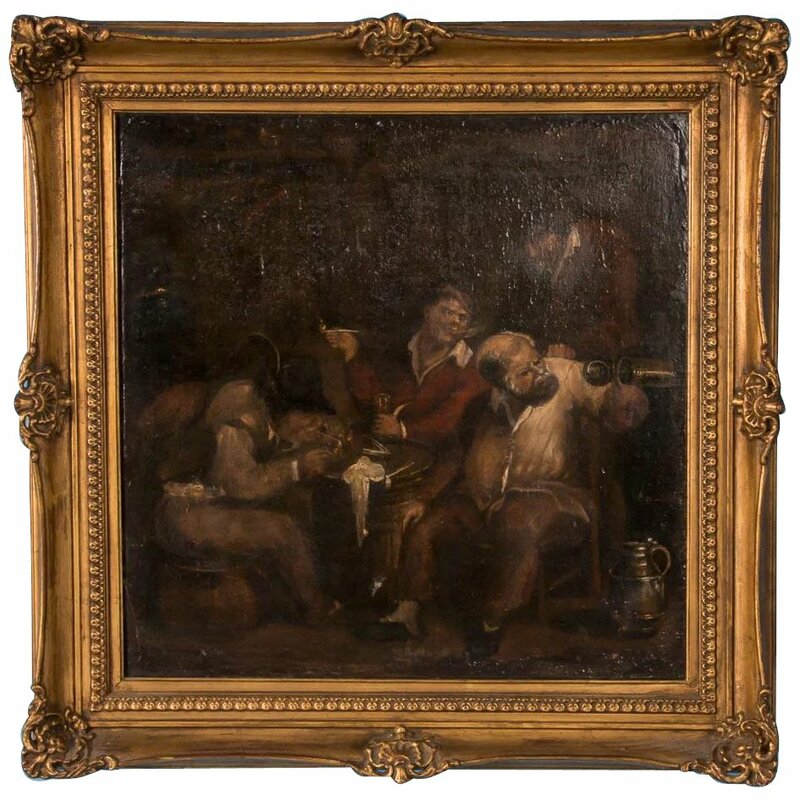 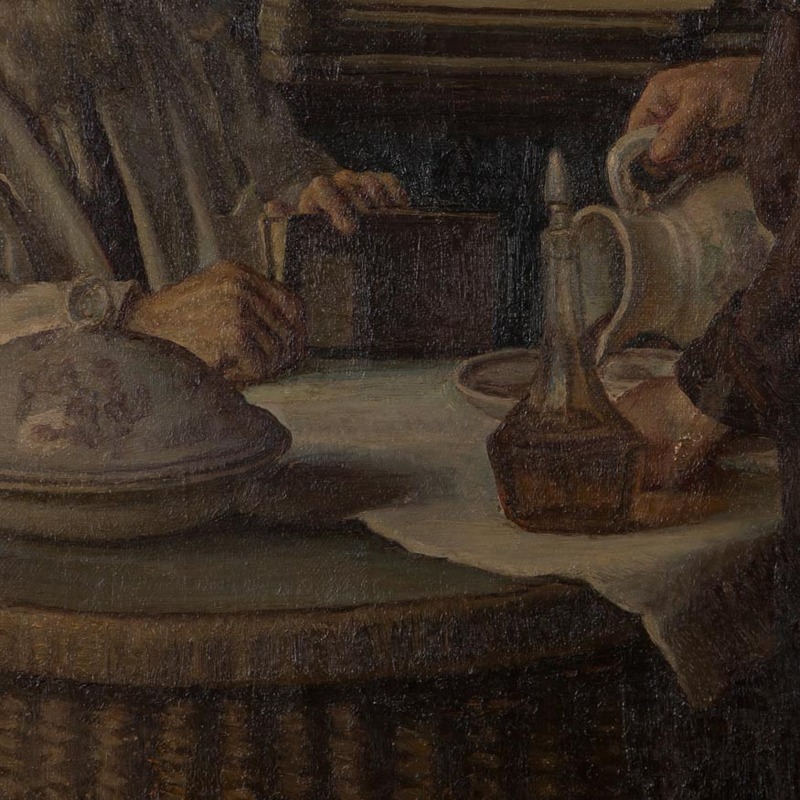 Antique 19th century French oil on canvas interior scene of 4 men drinking and smoking in a tavern. 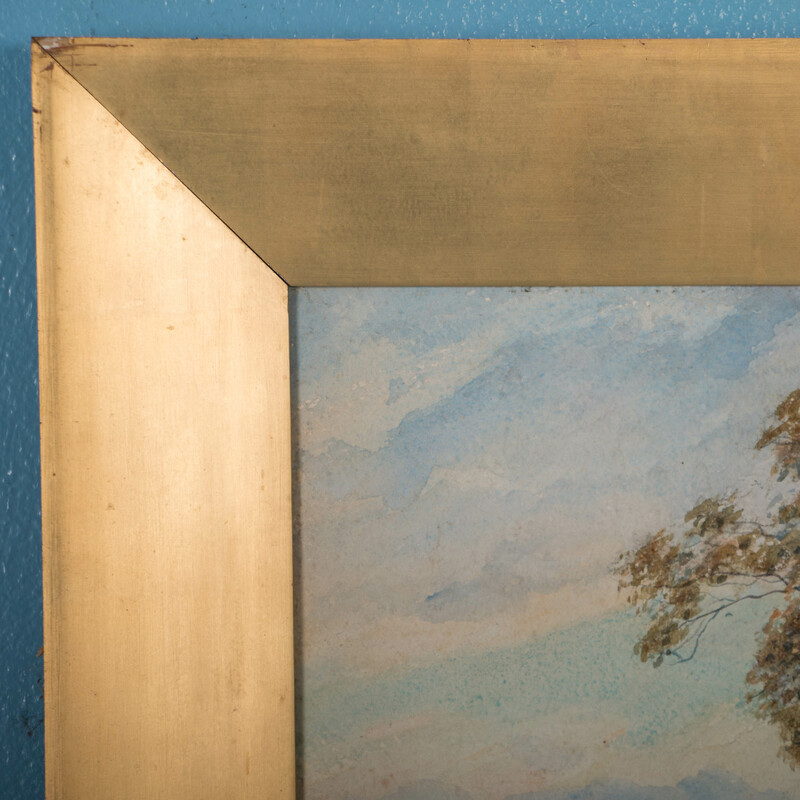 Mounted in an antique gold painted wood and plaster frame. 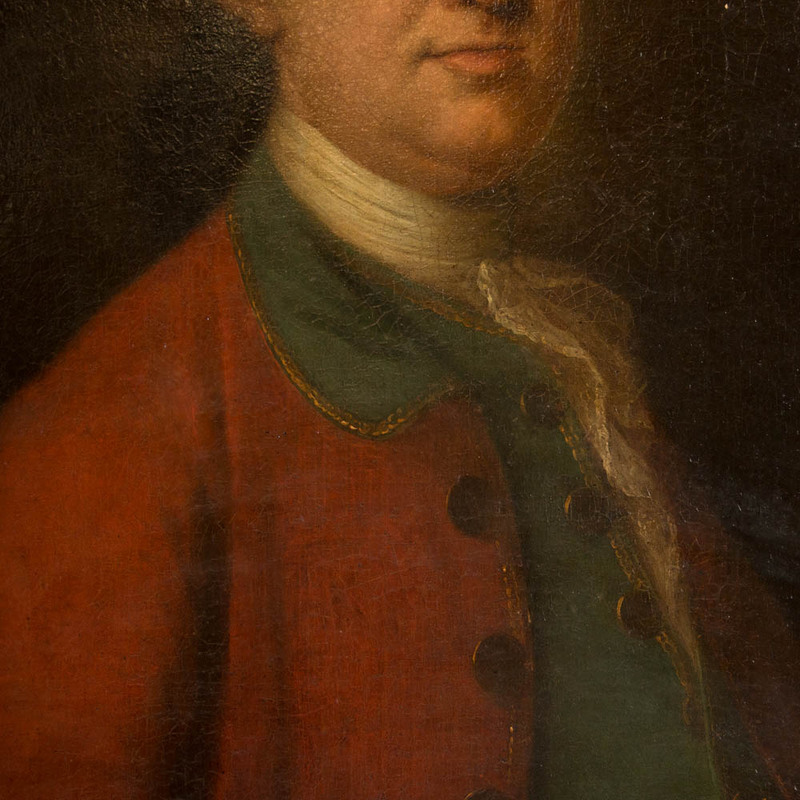 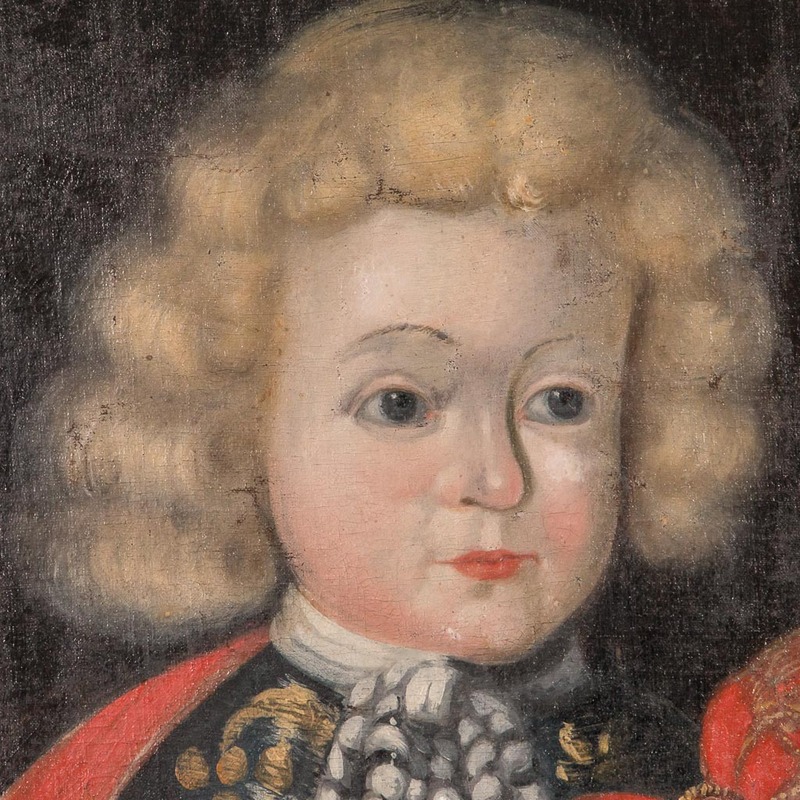 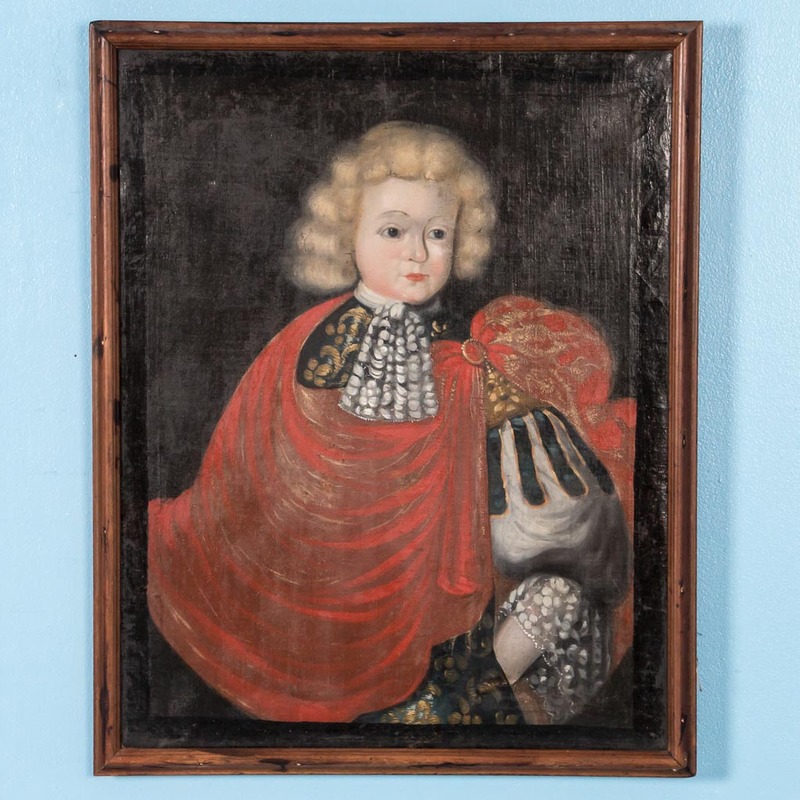 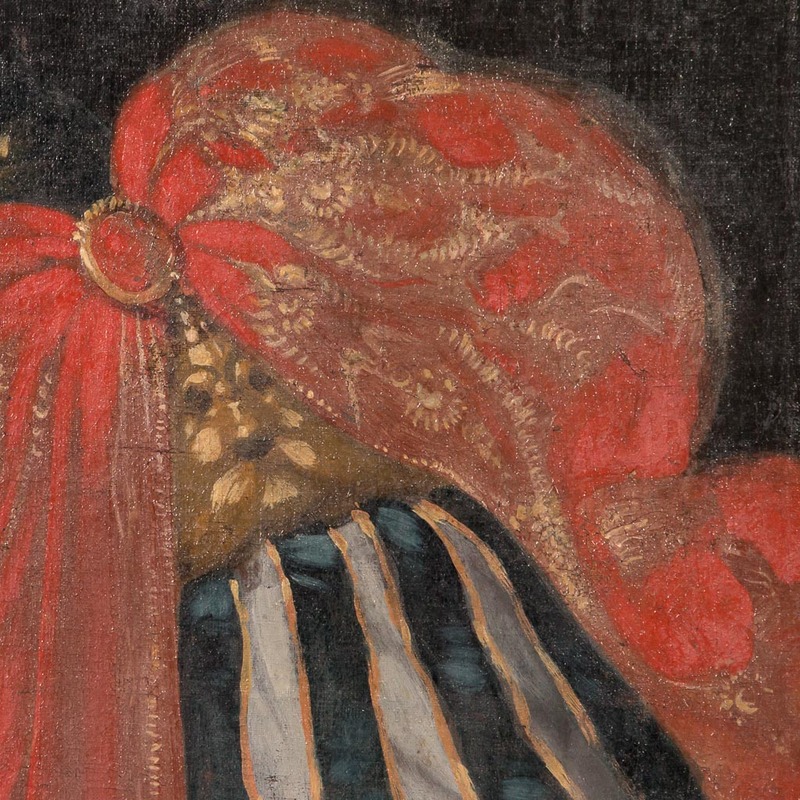 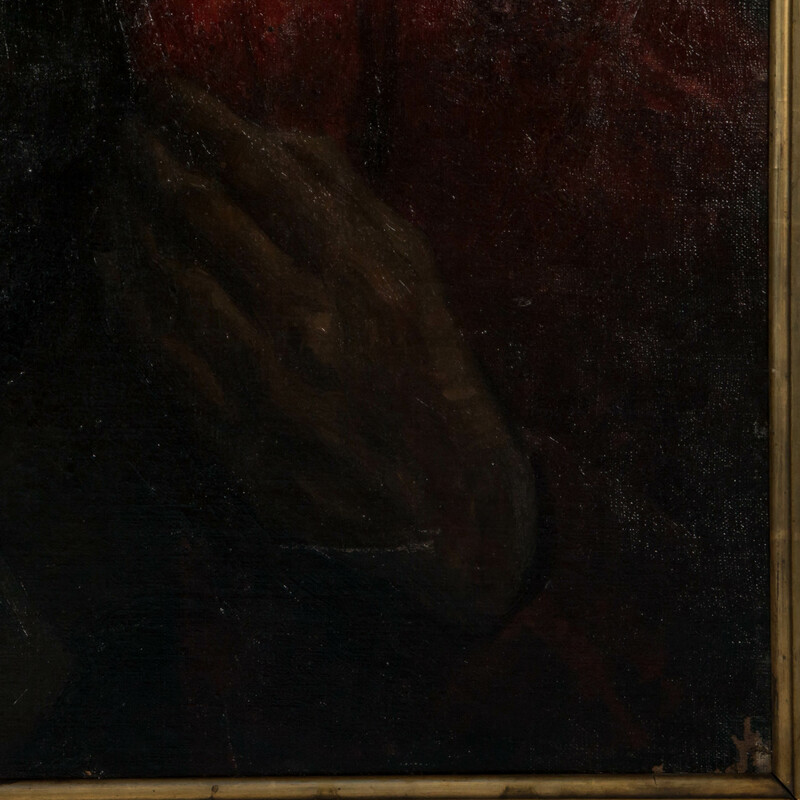 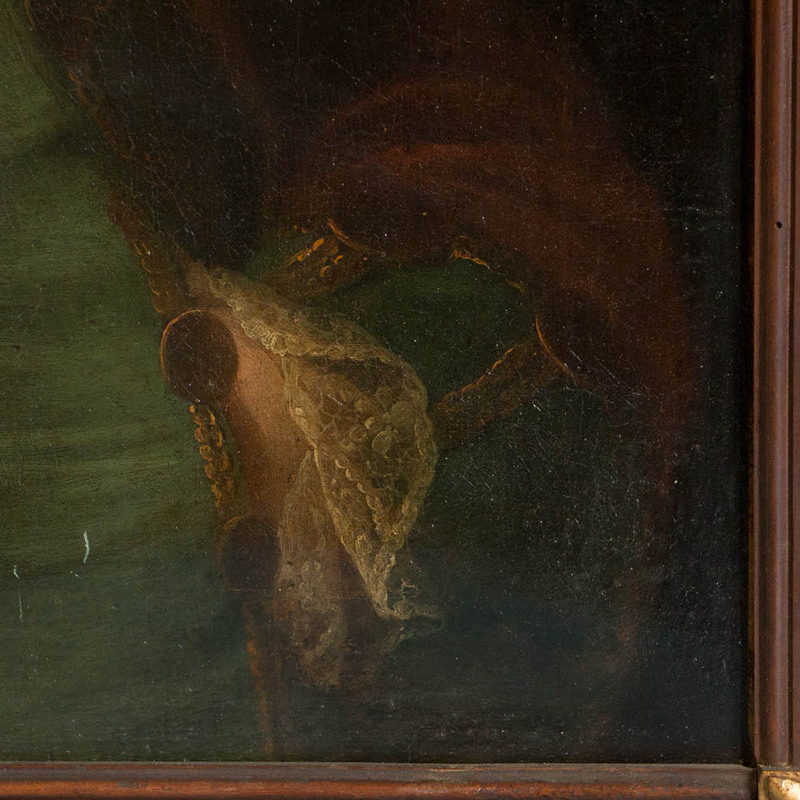 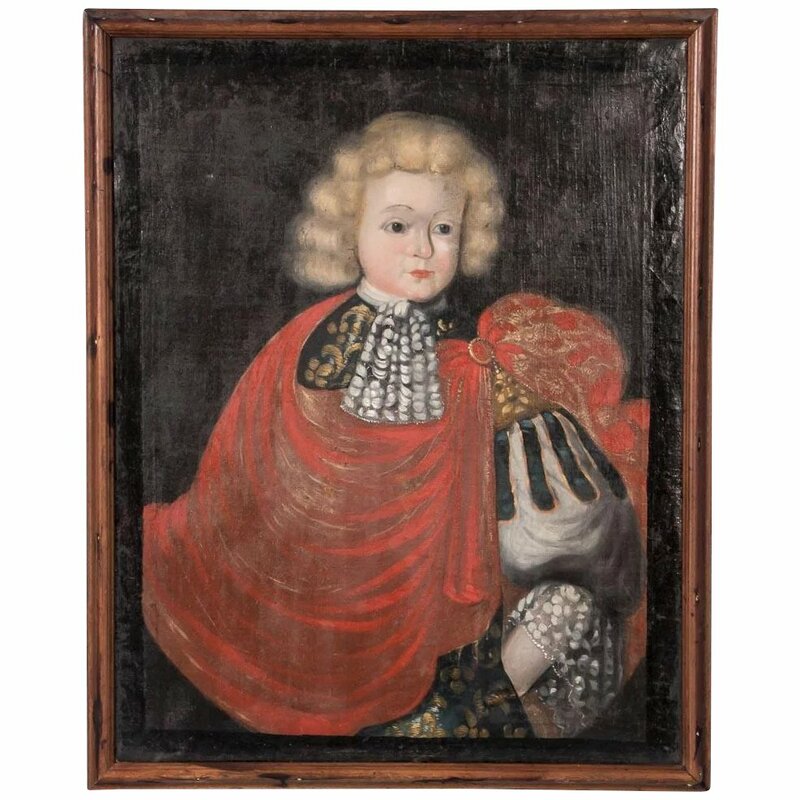 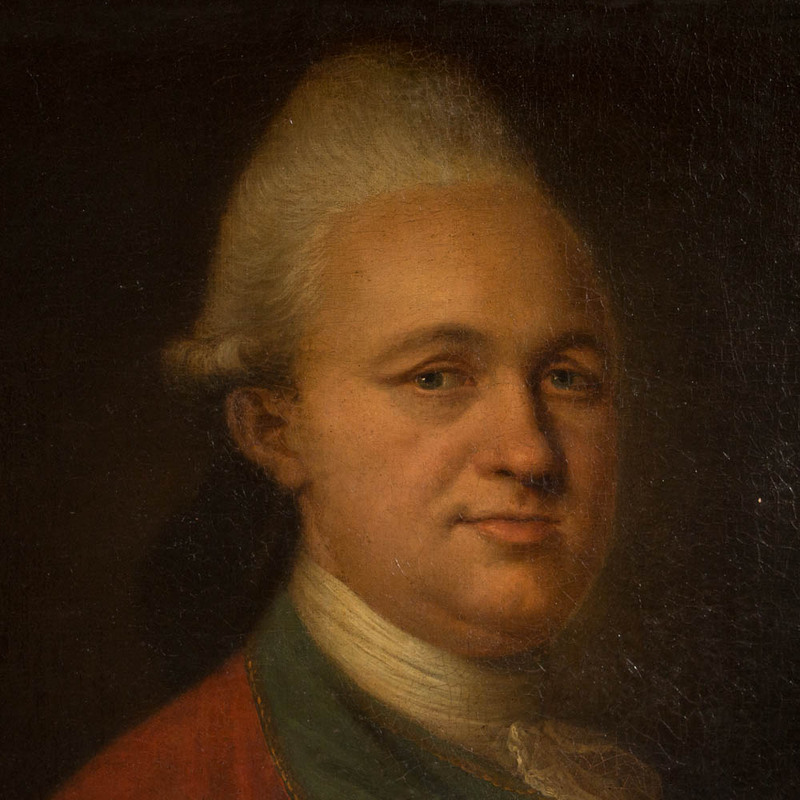 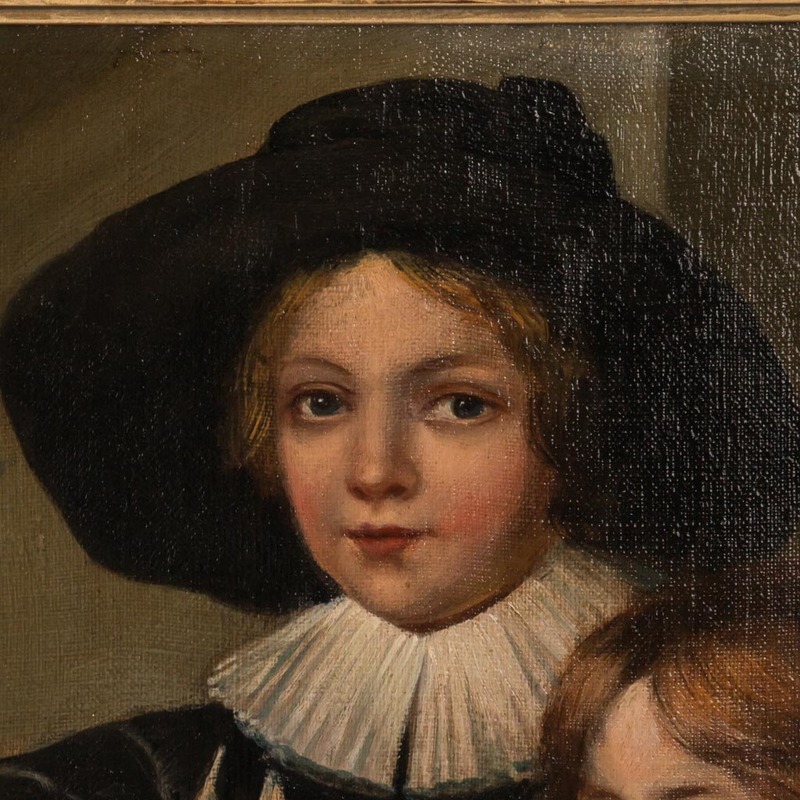 Original oil on canvas portrait painting of a child, likely royalty, dressed in a red cape, circa 1760-1800. 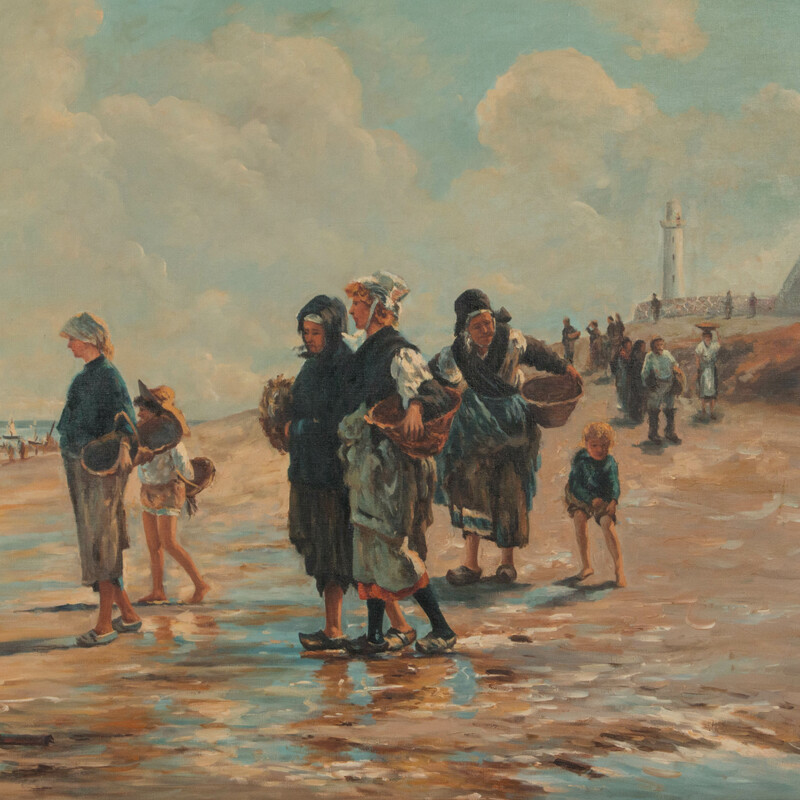 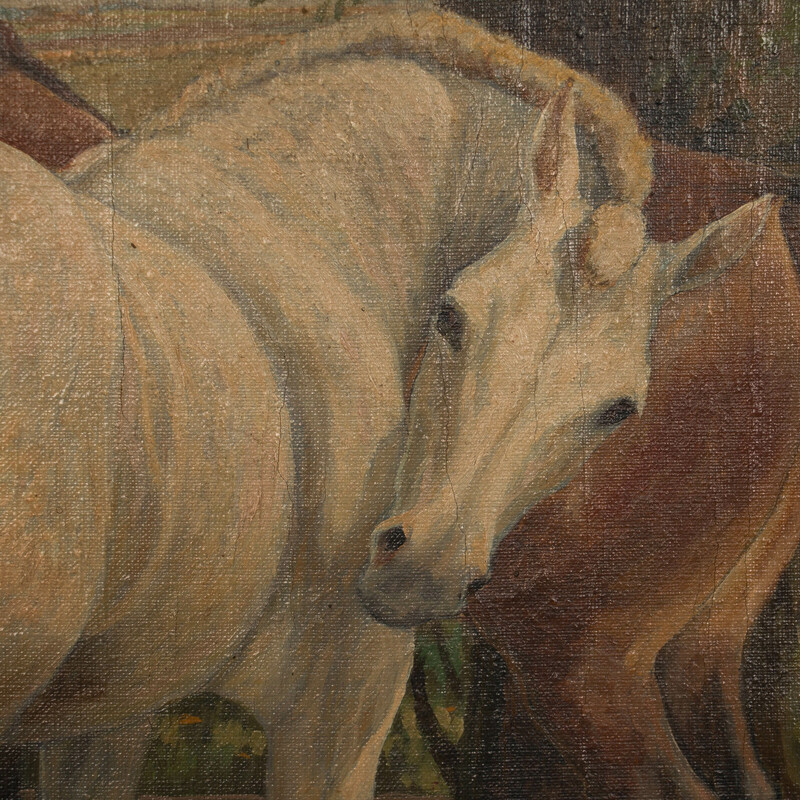 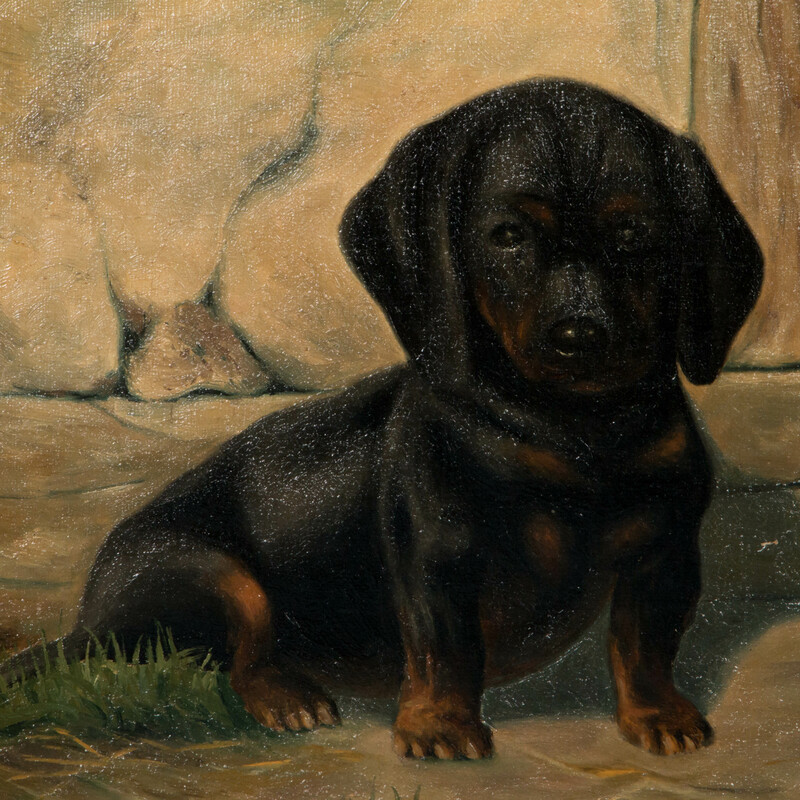 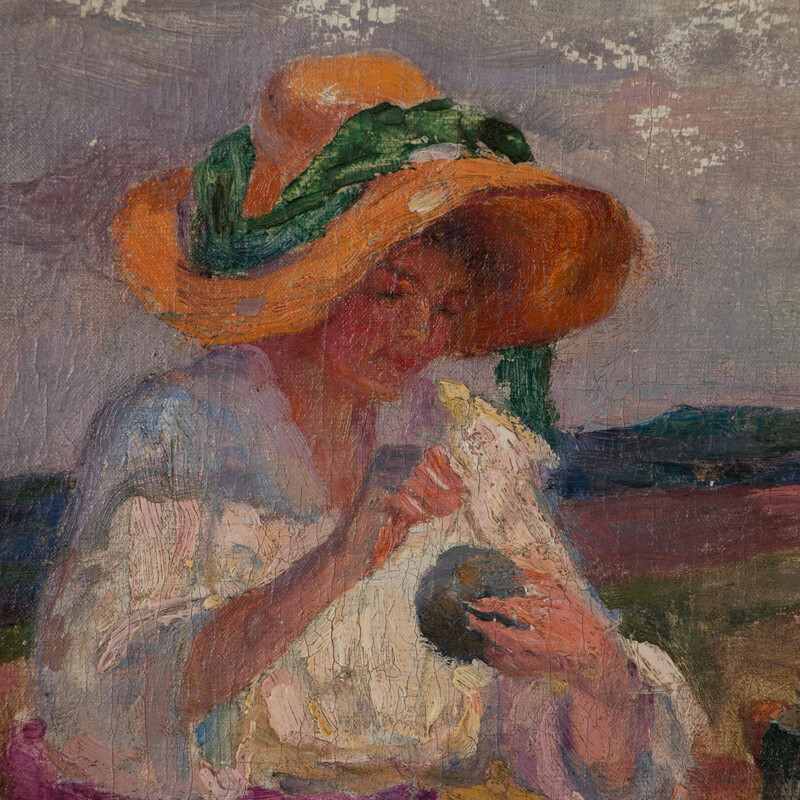 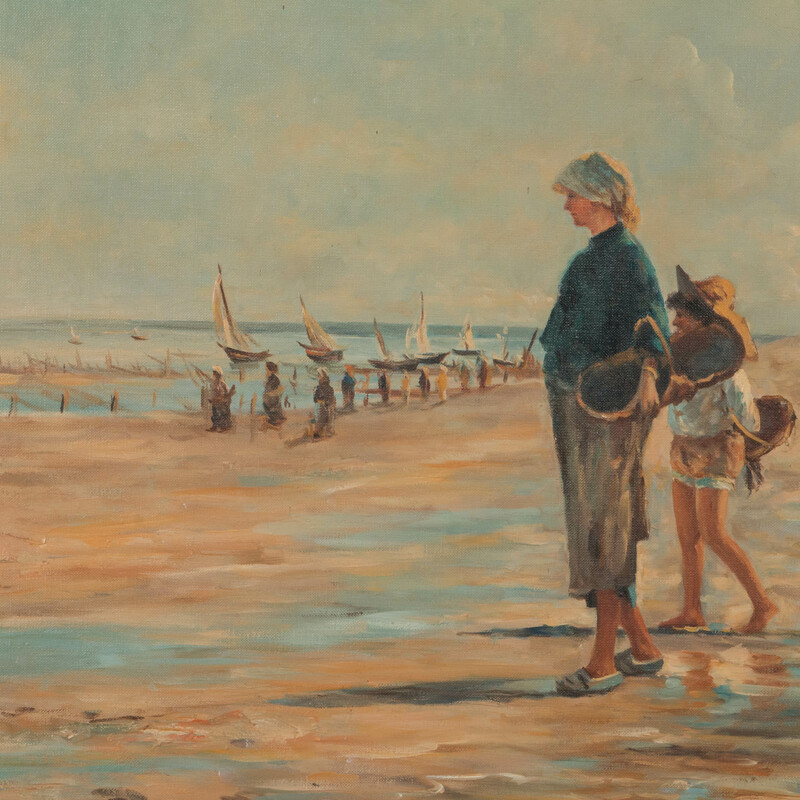 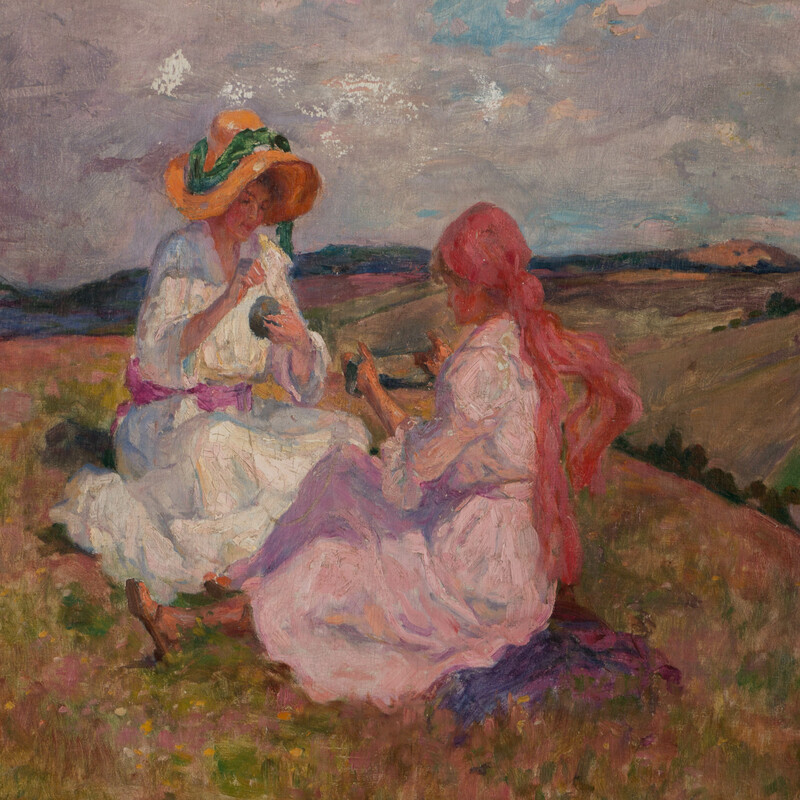 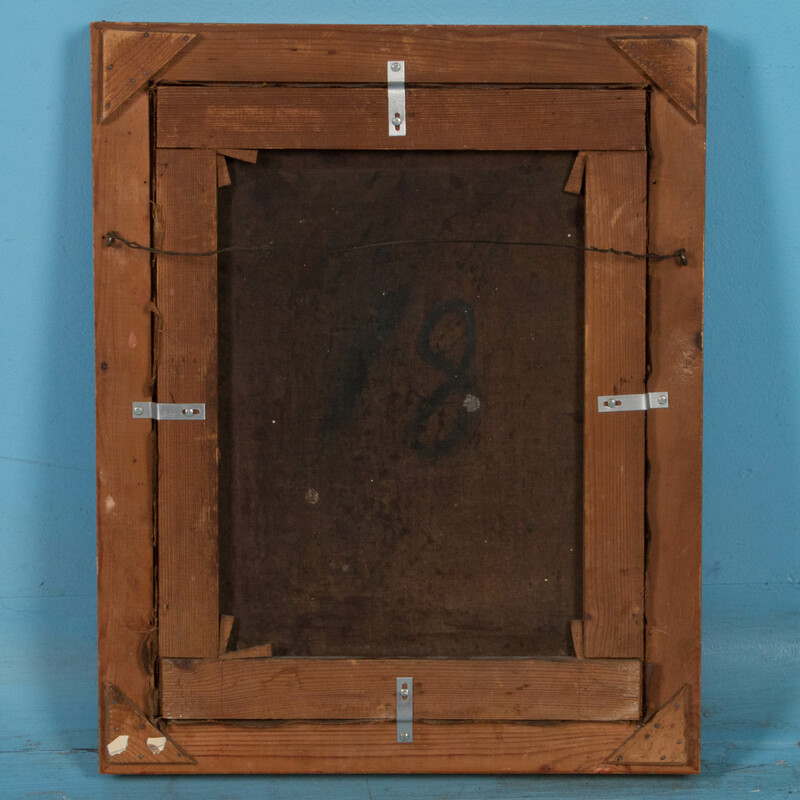 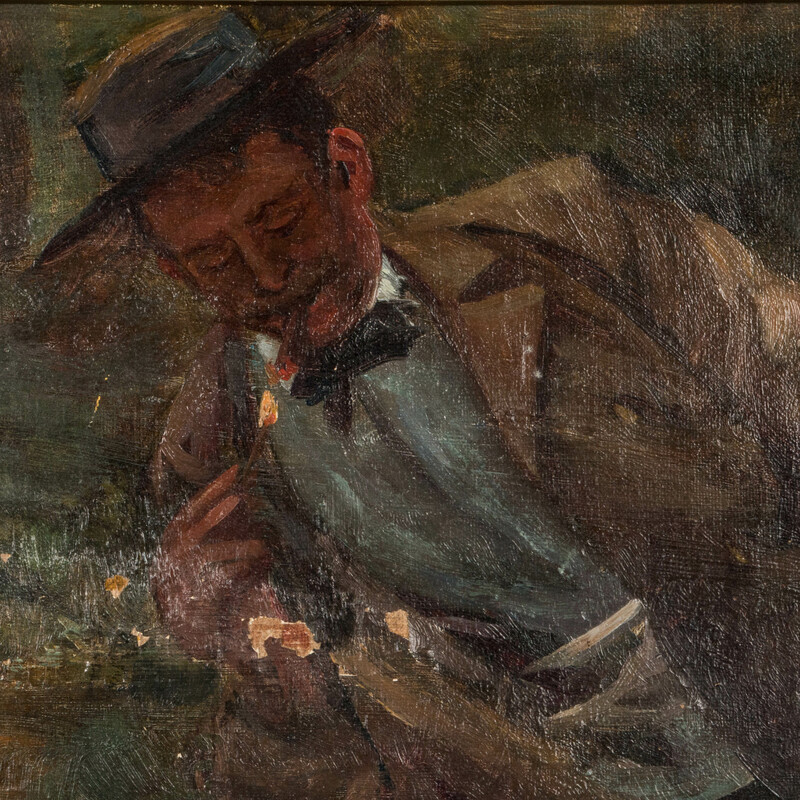 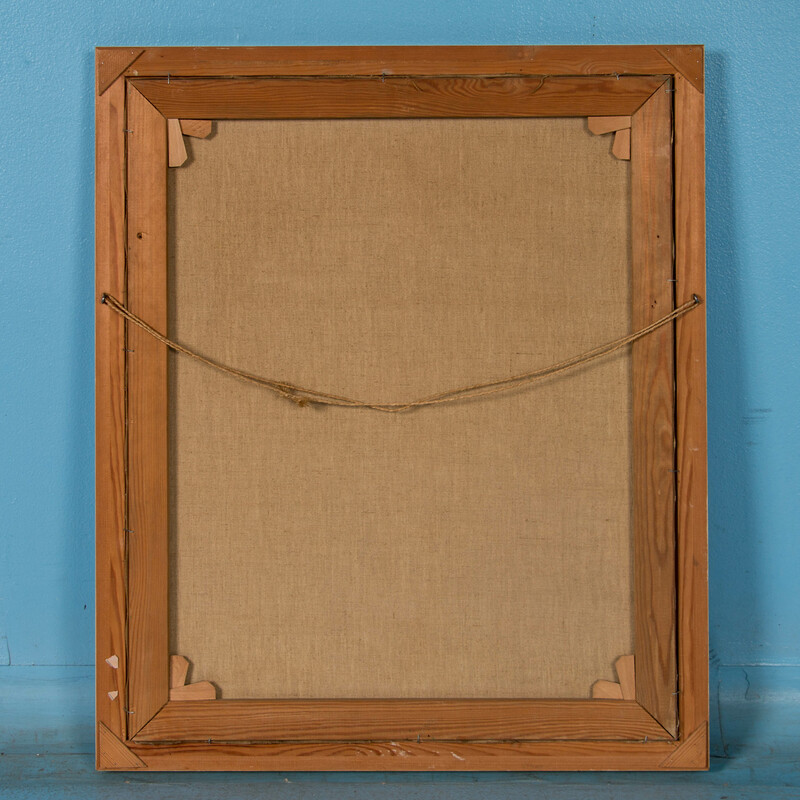 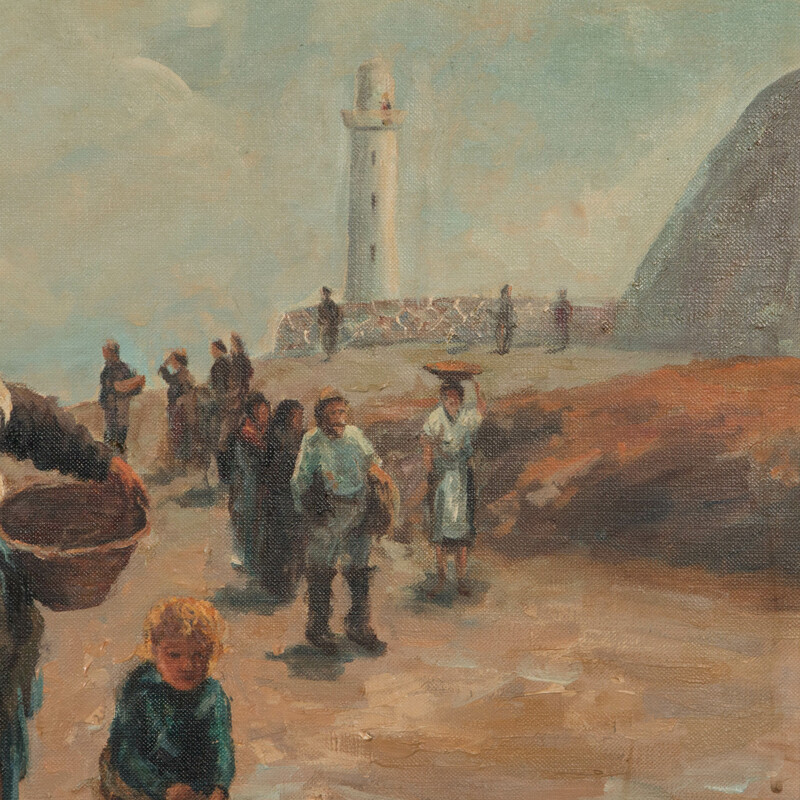 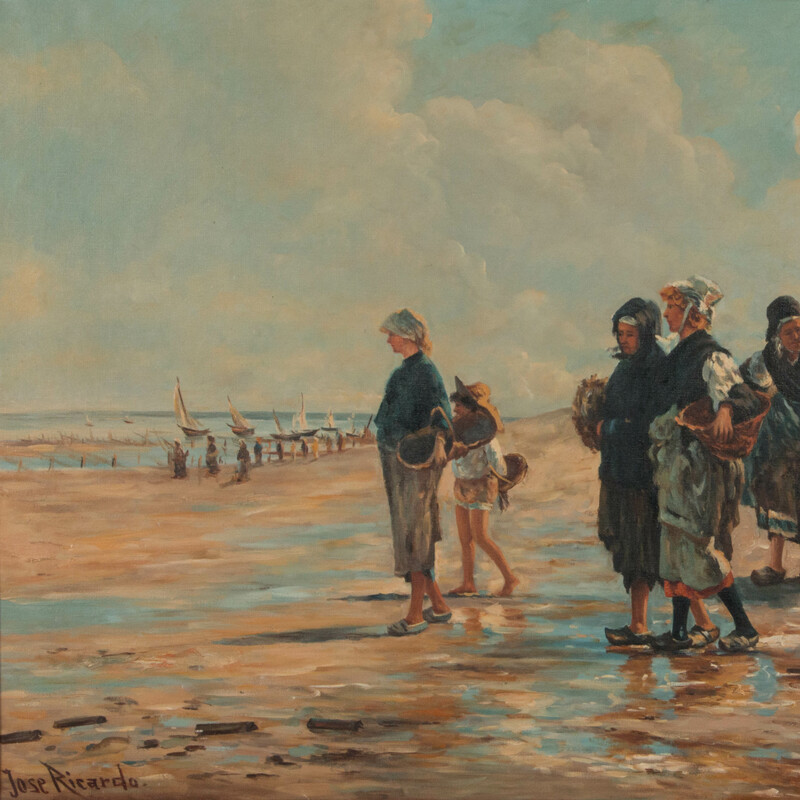 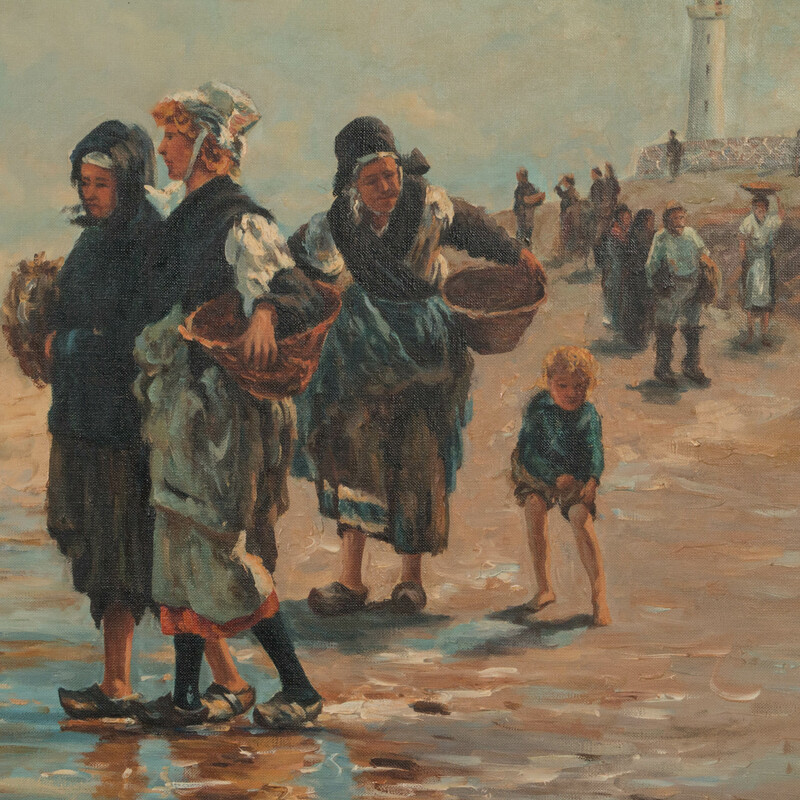 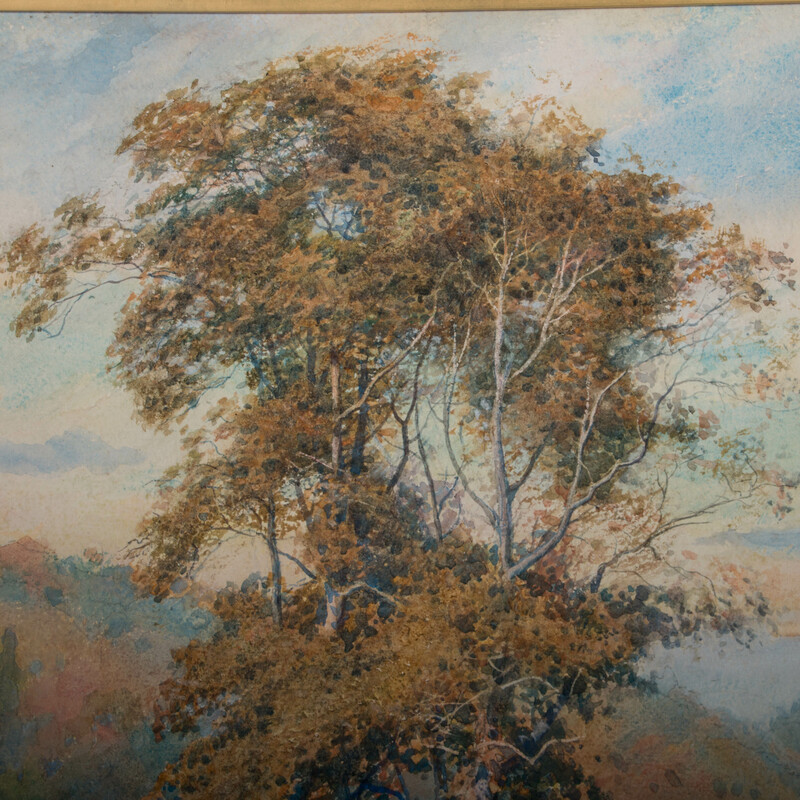 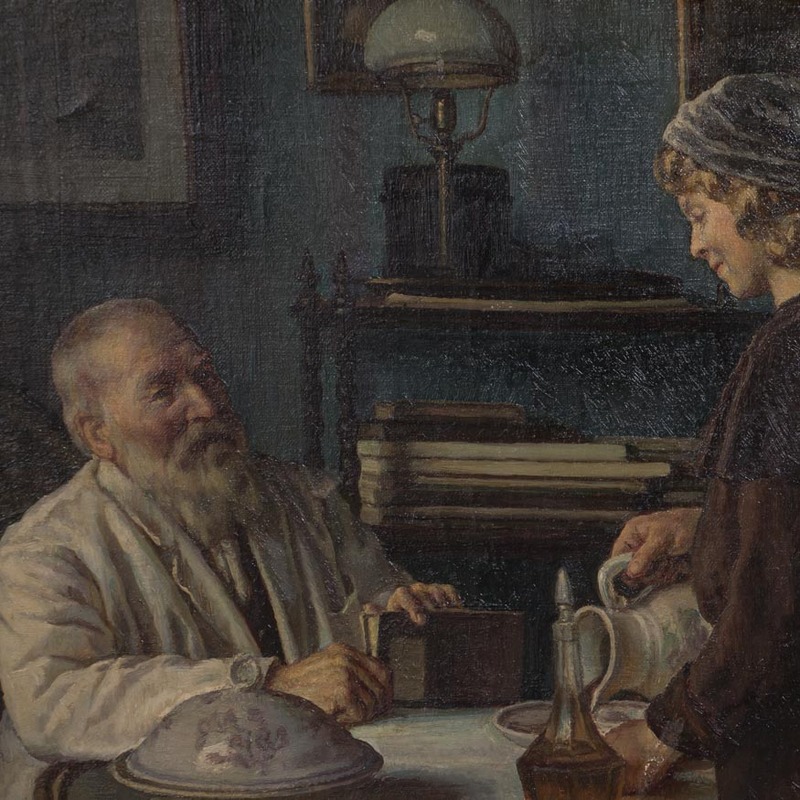 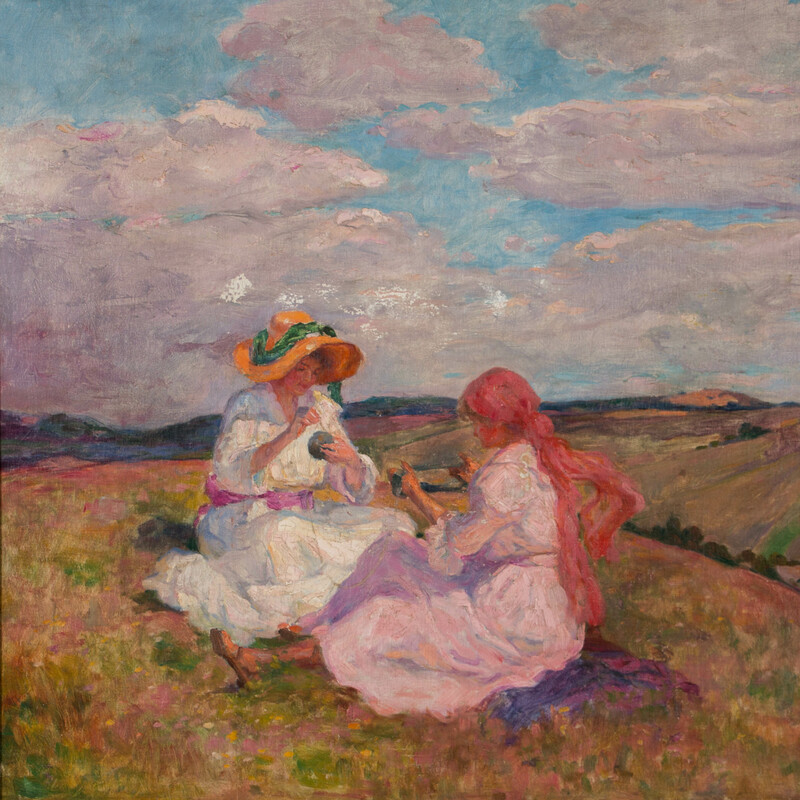 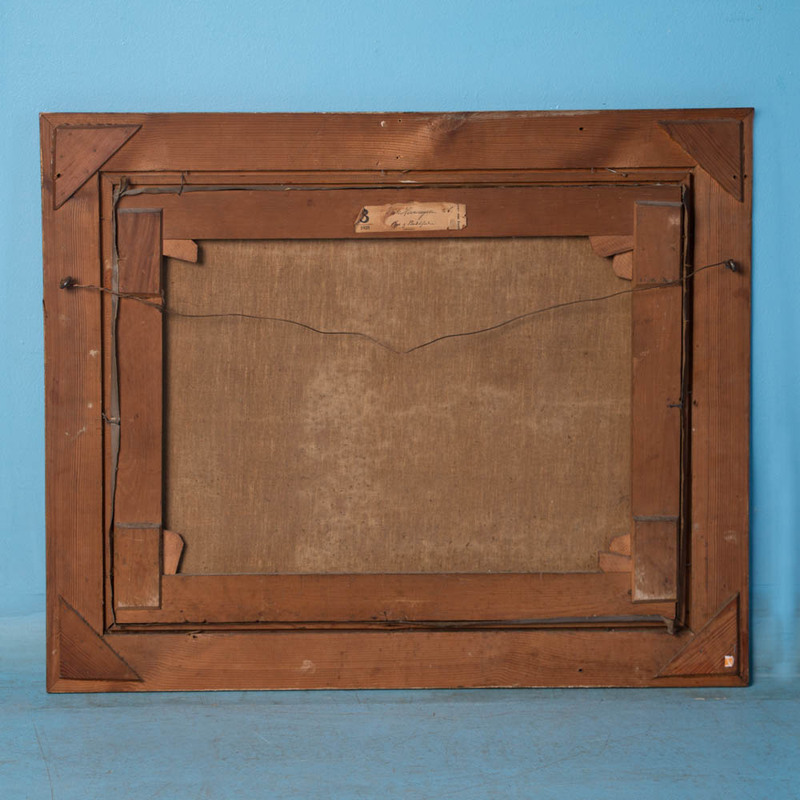 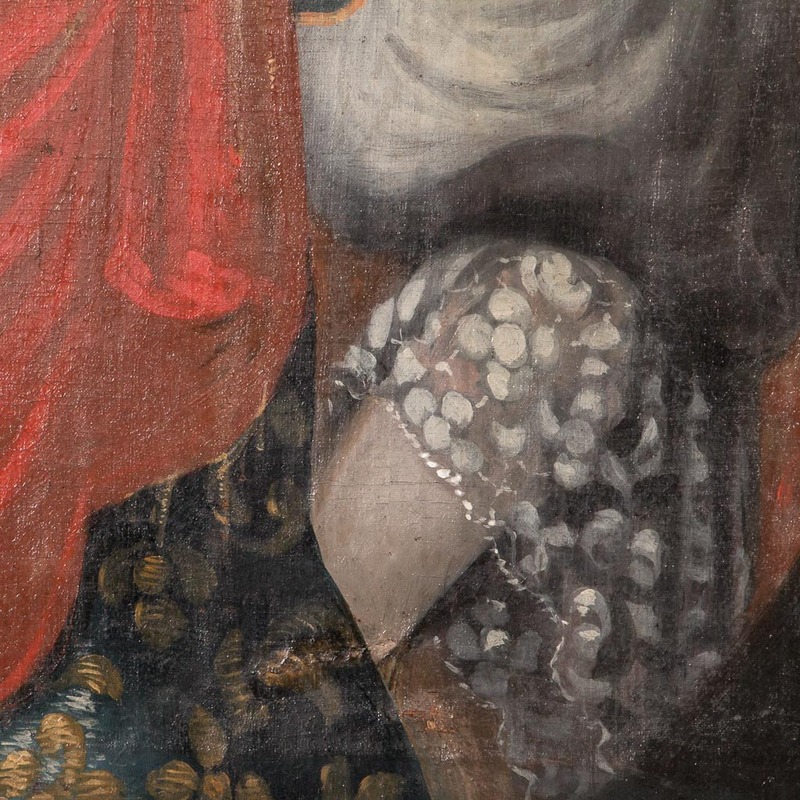 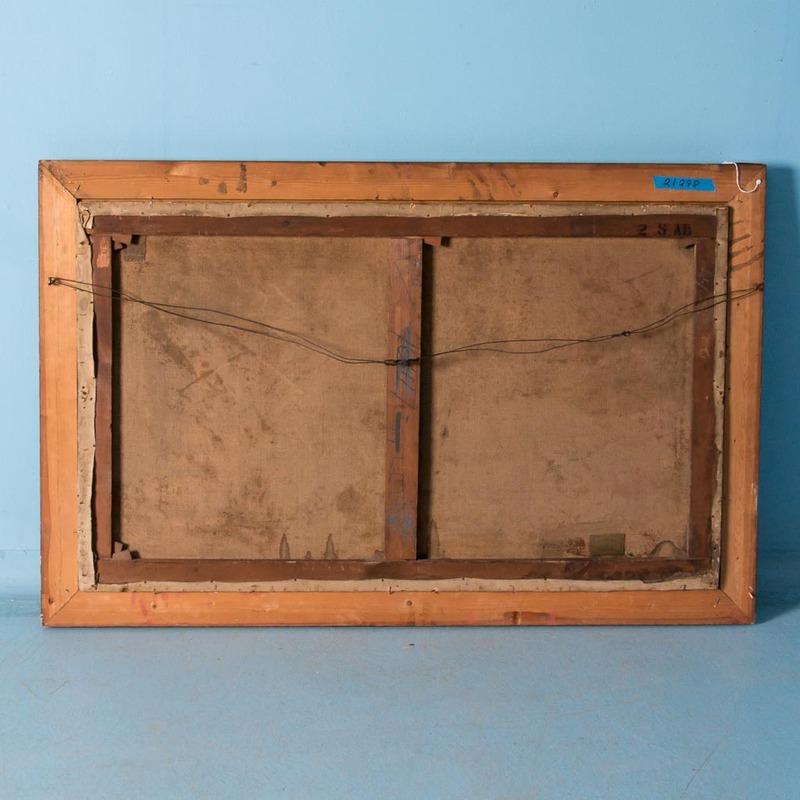 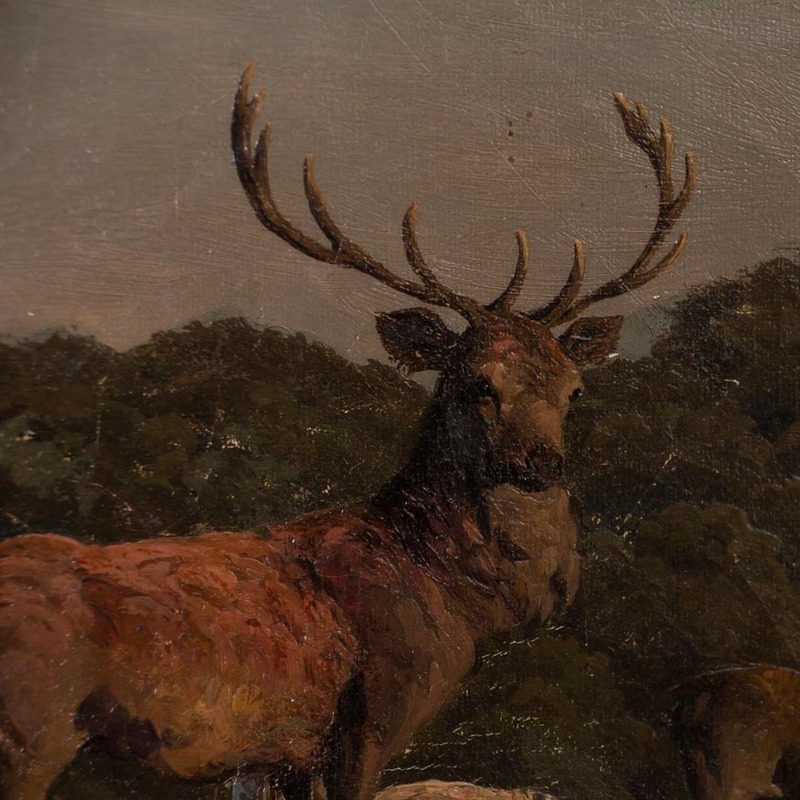 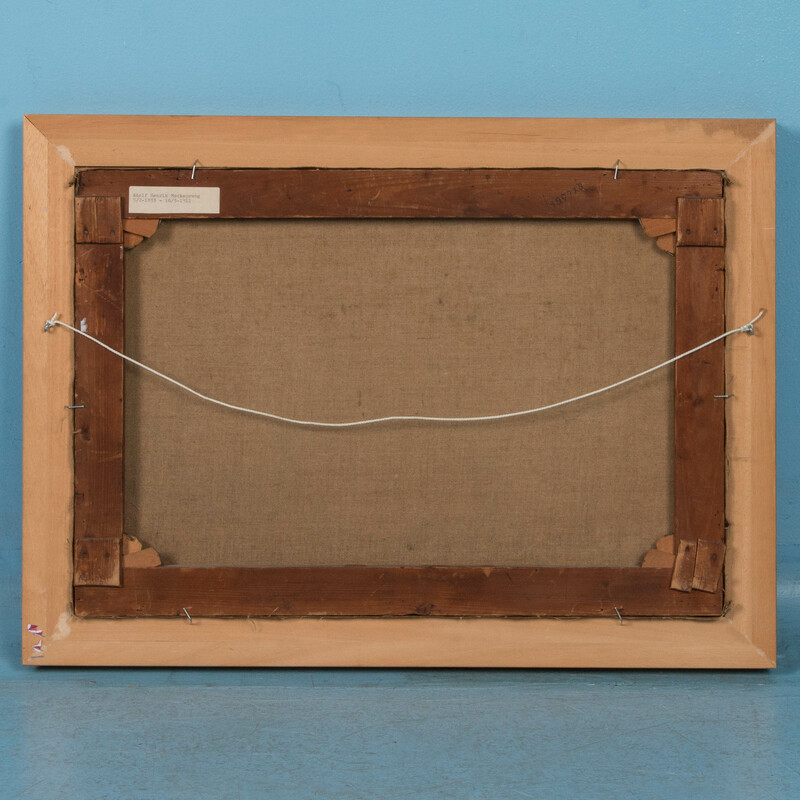 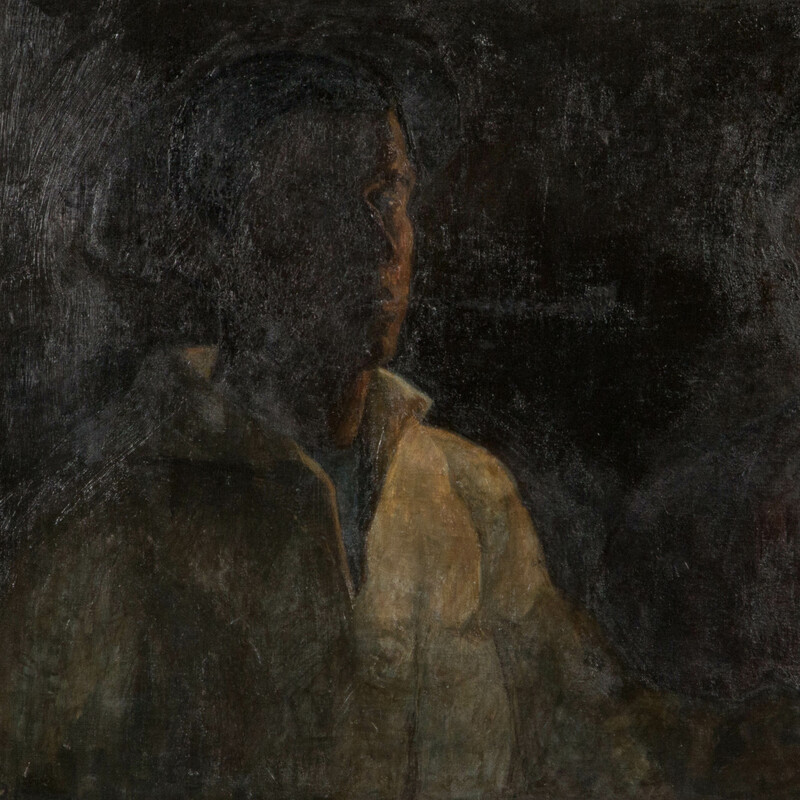 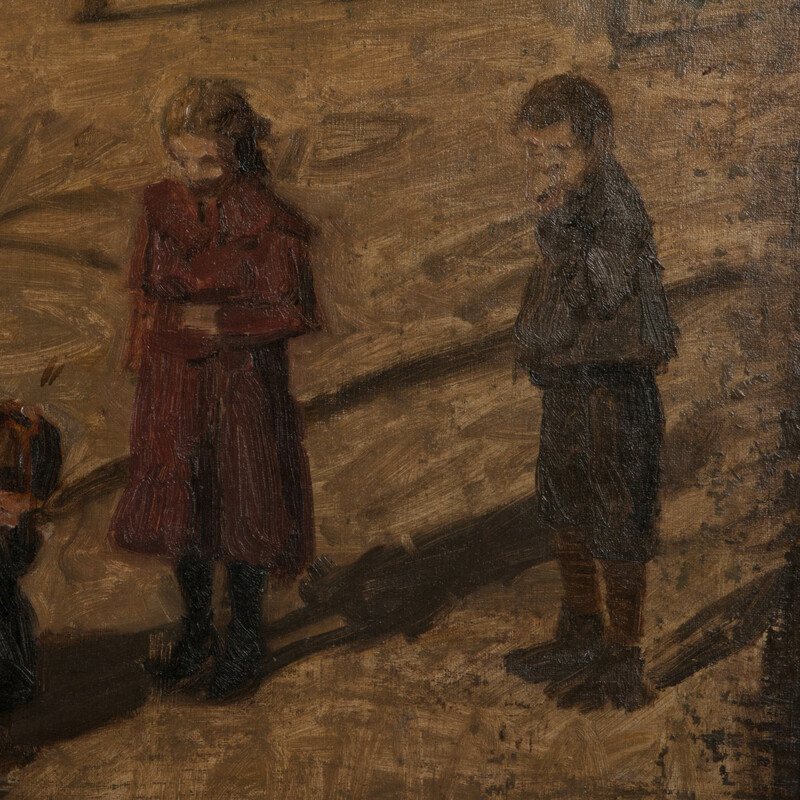 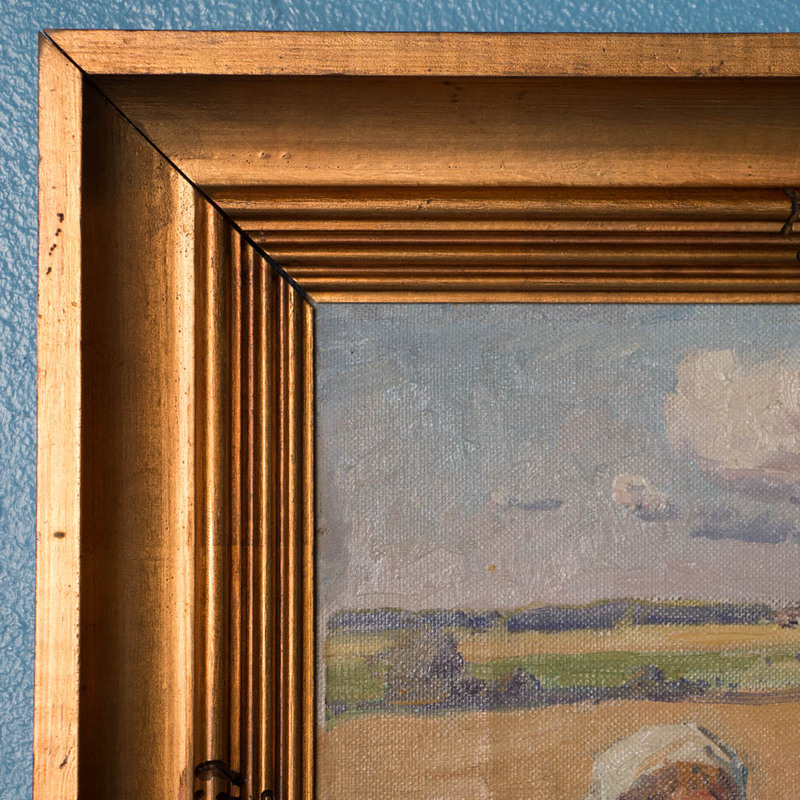 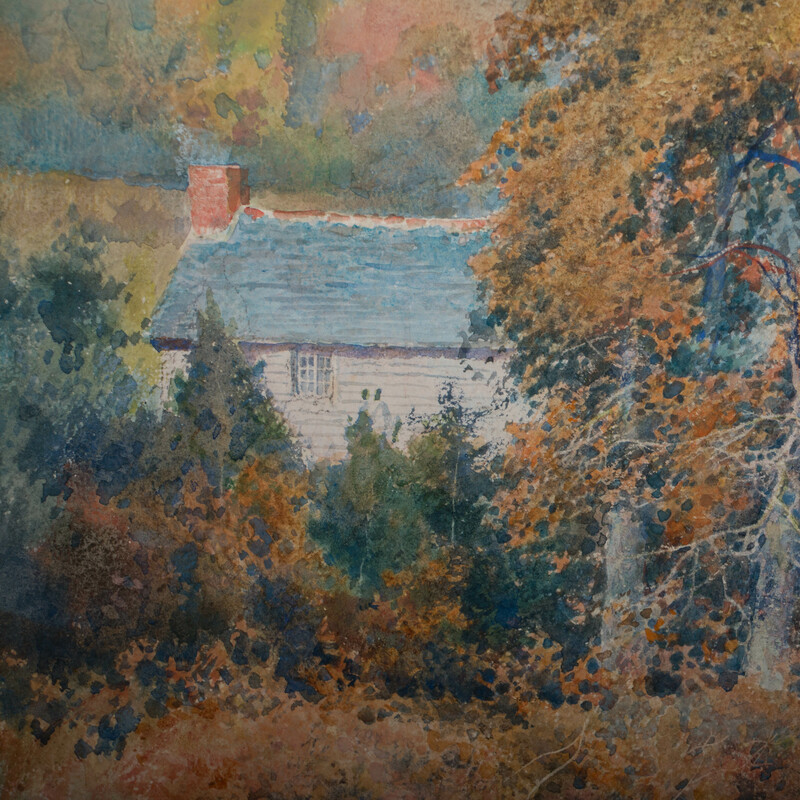 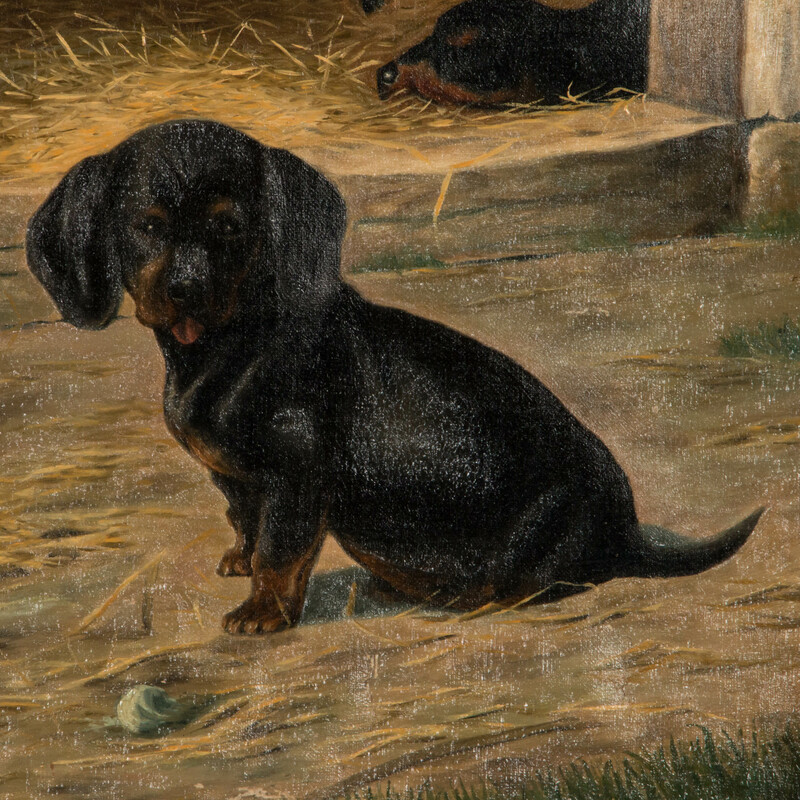 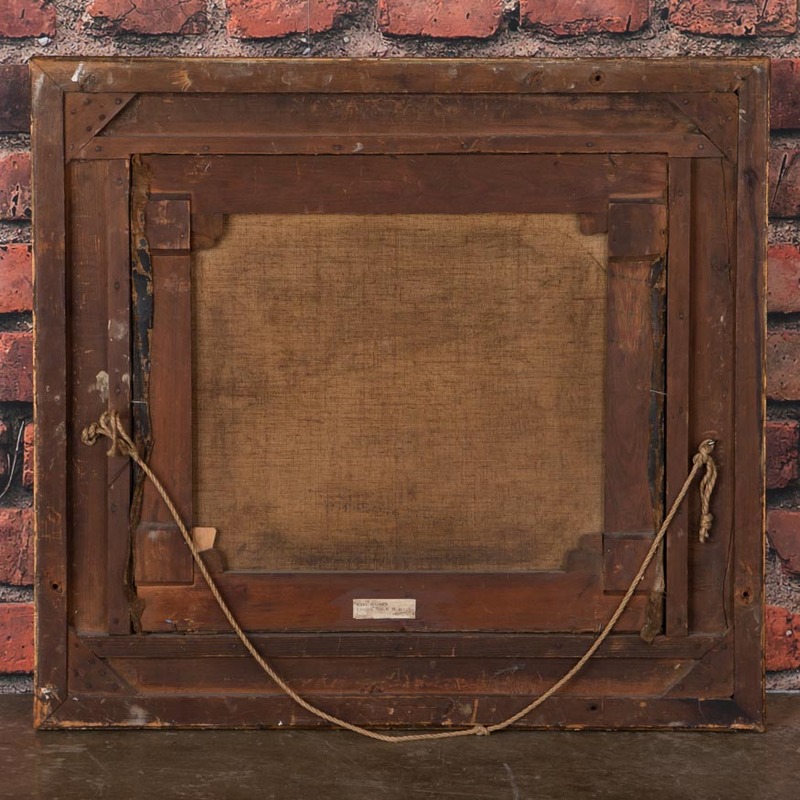 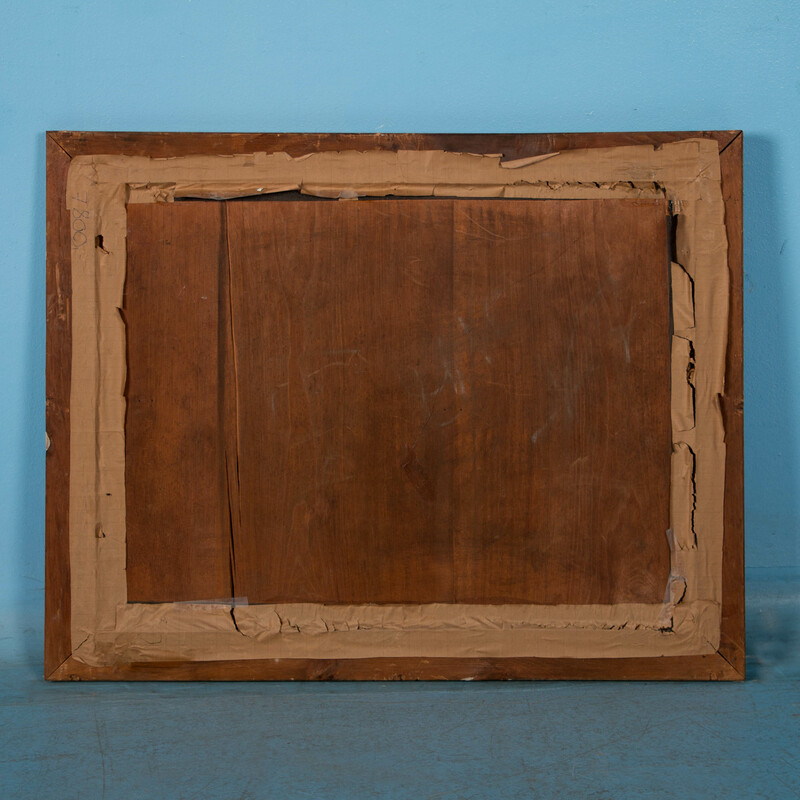 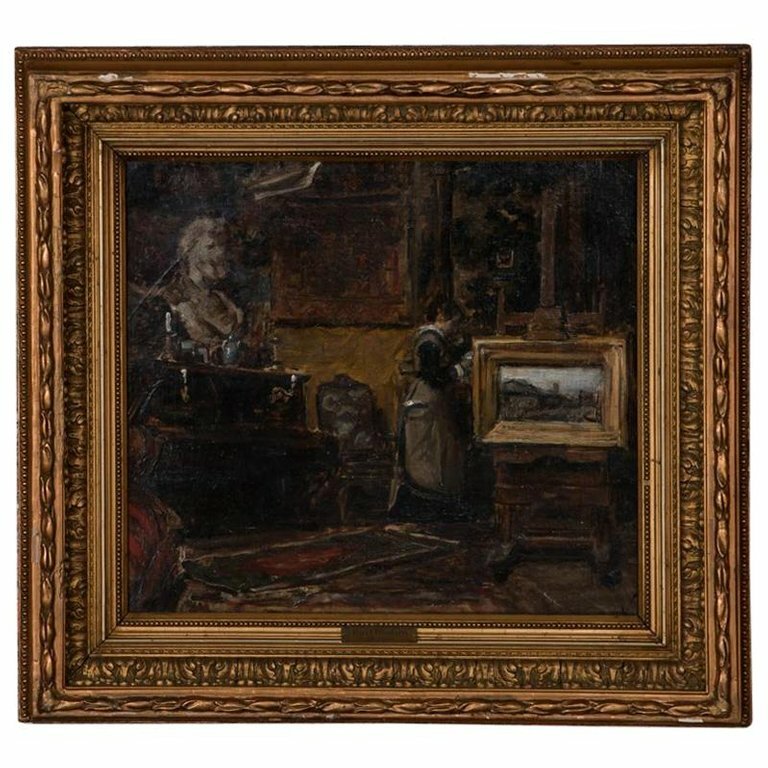 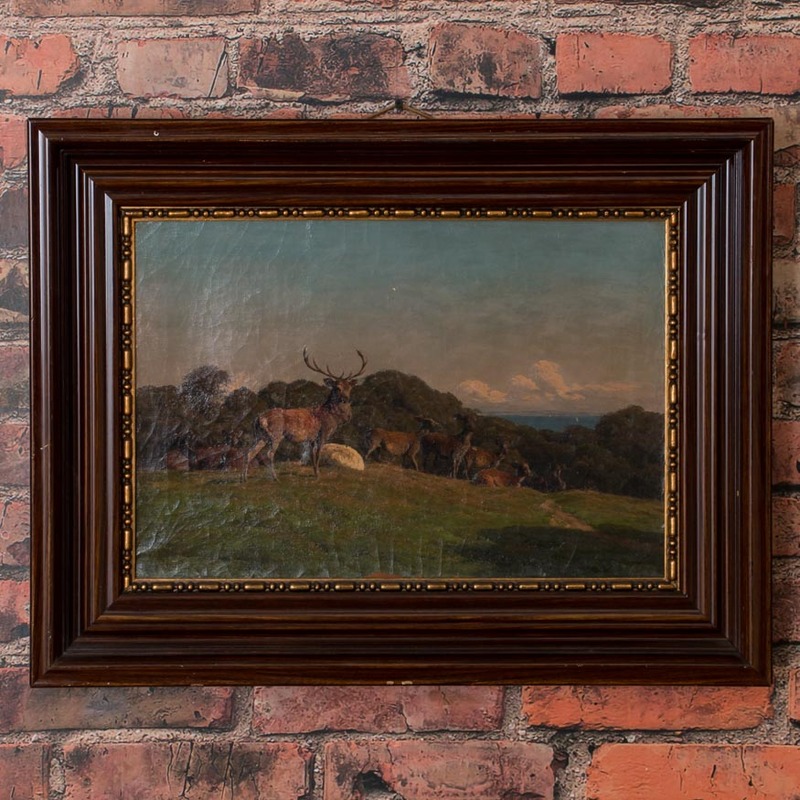 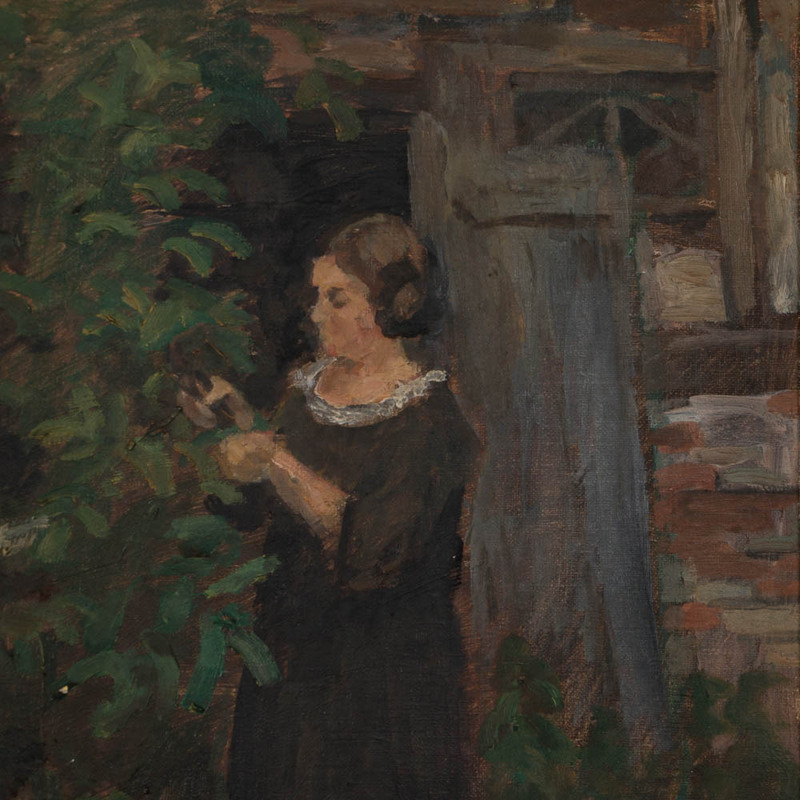 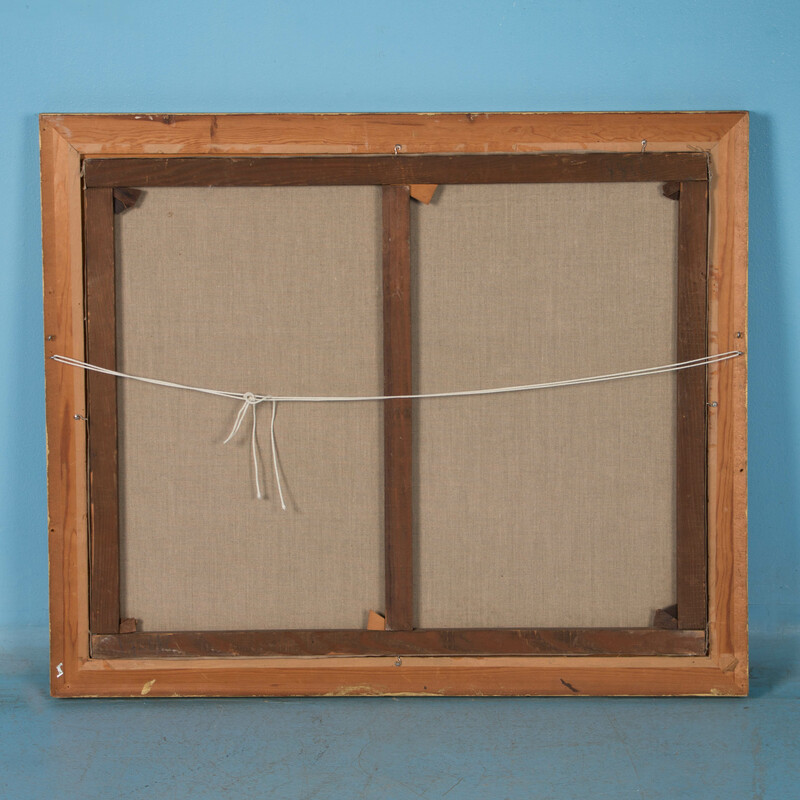 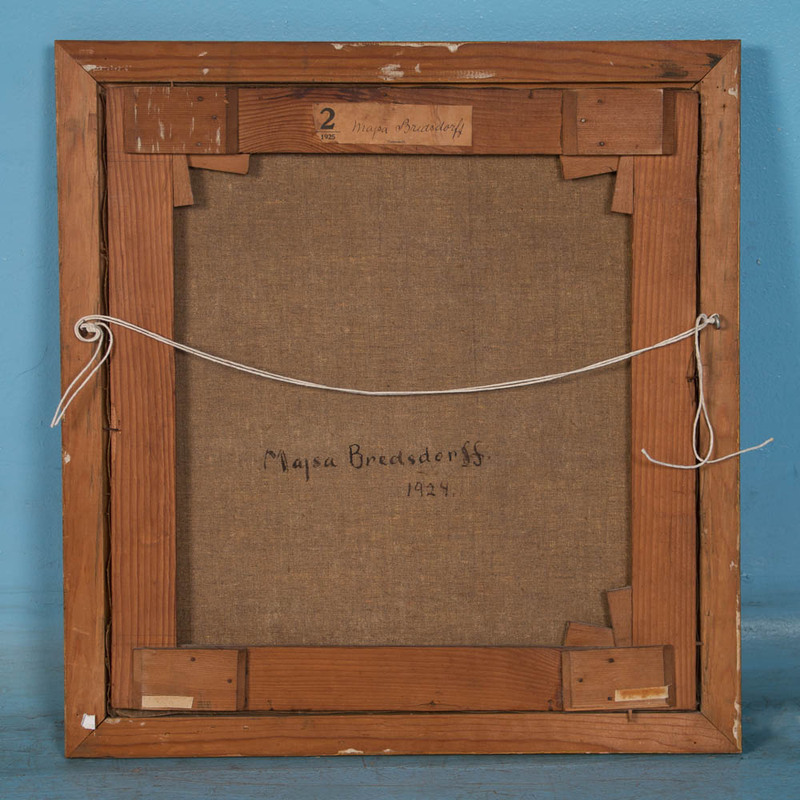 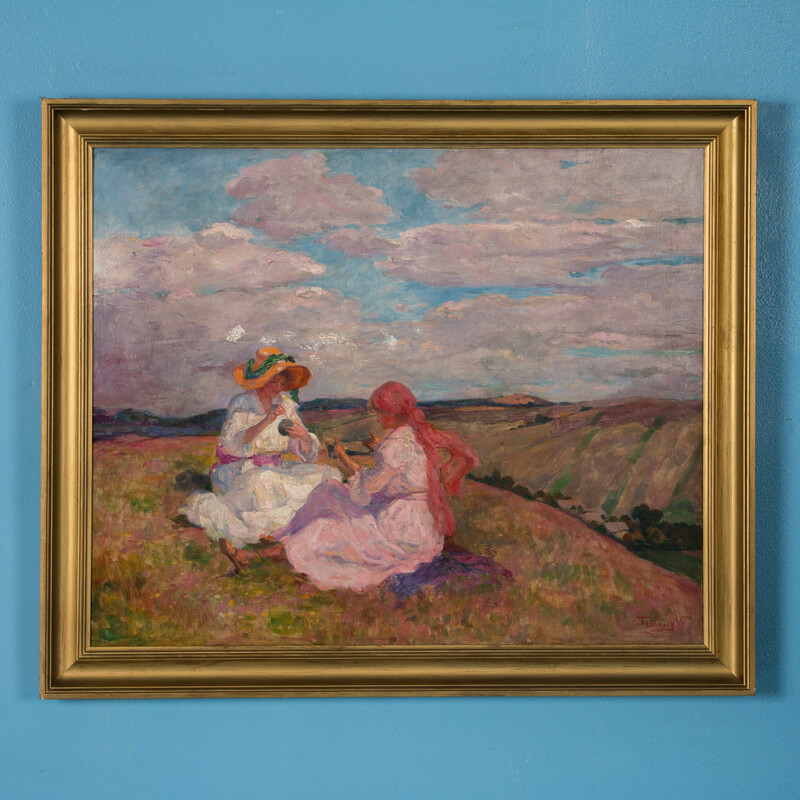 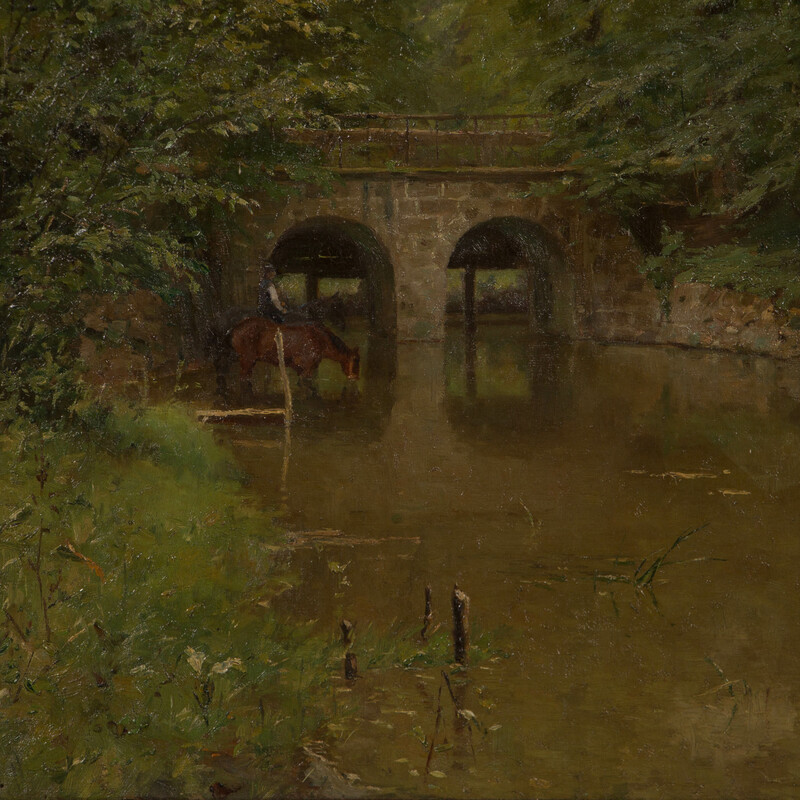 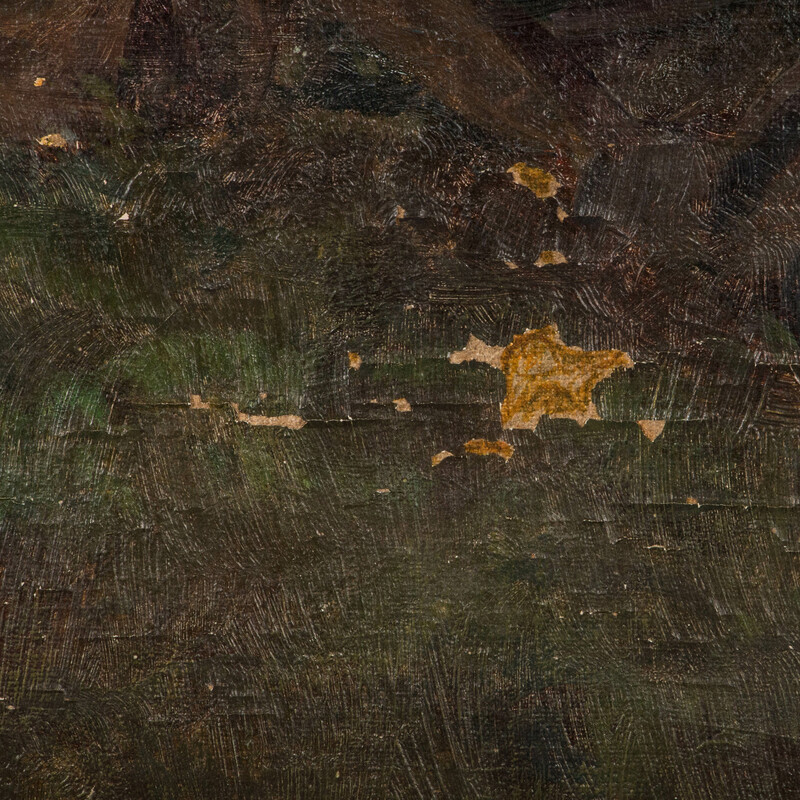 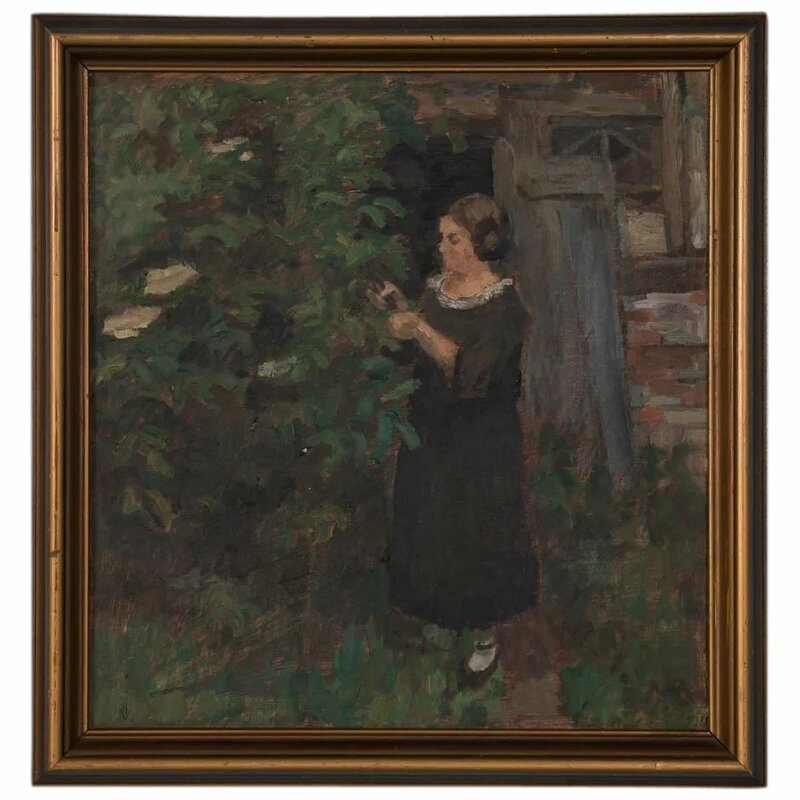 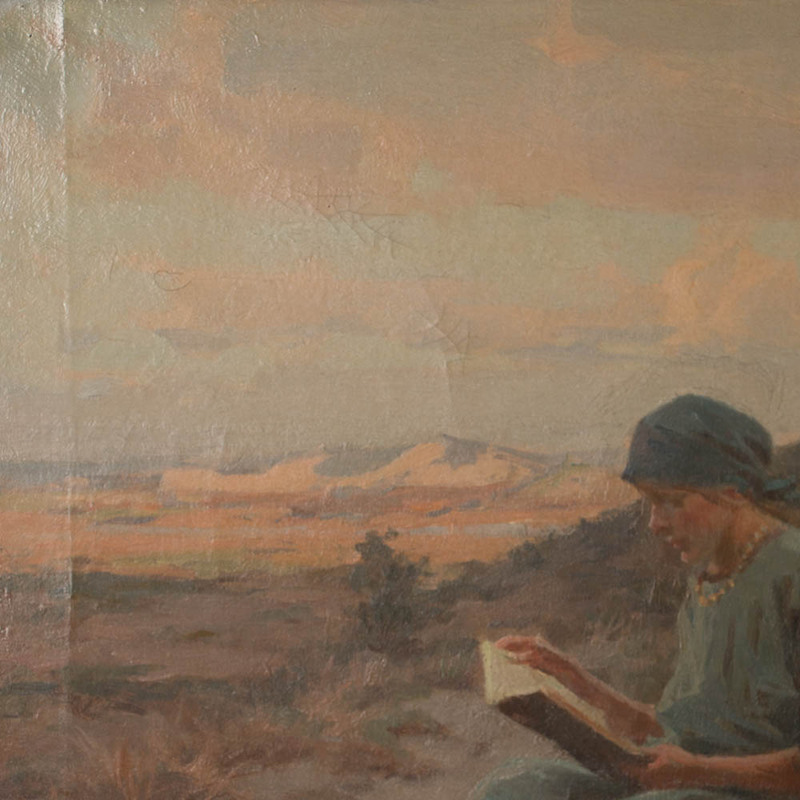 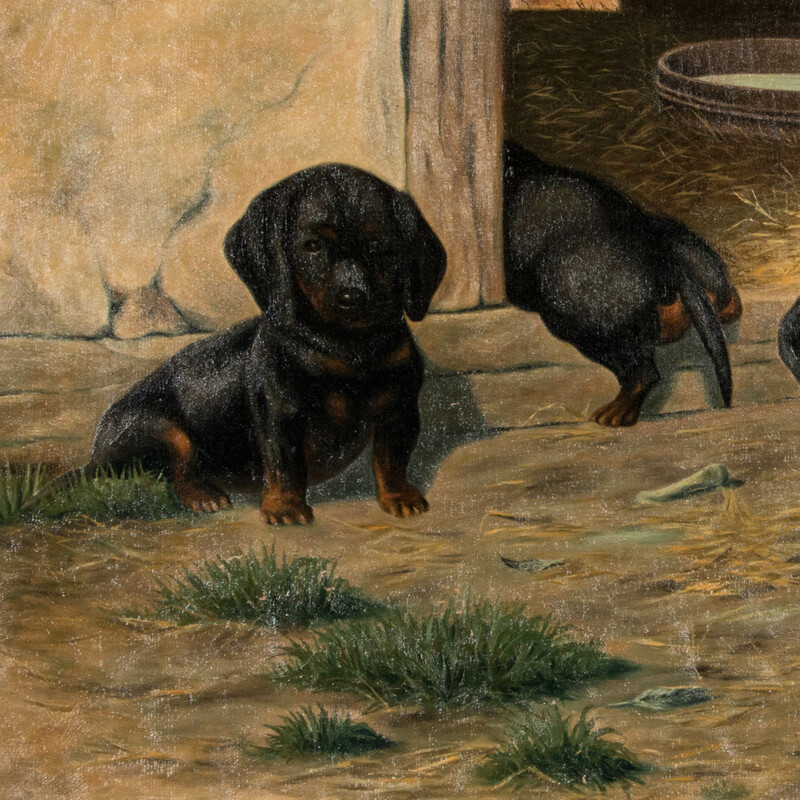 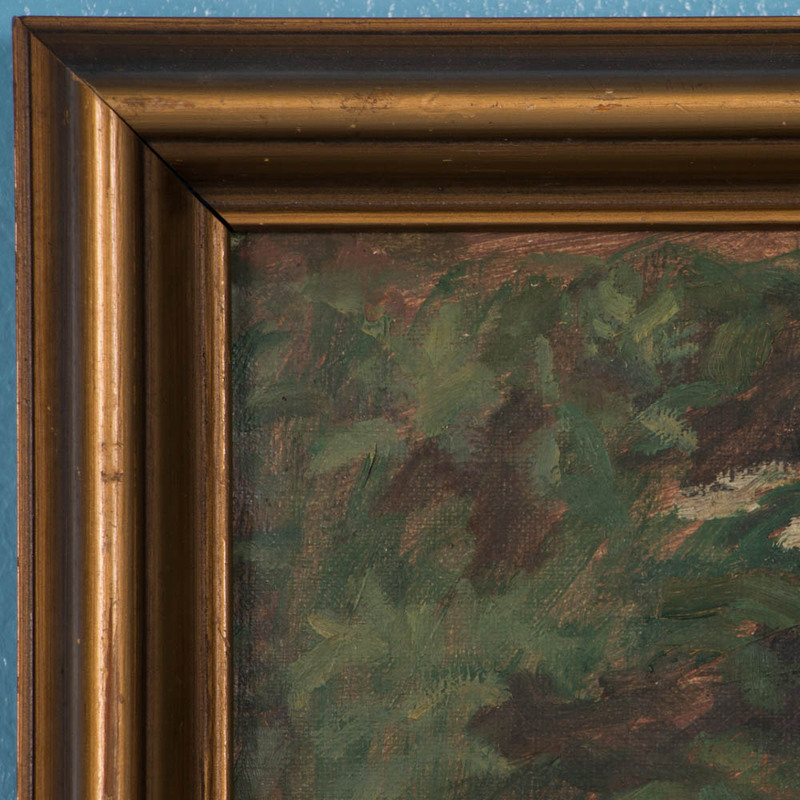 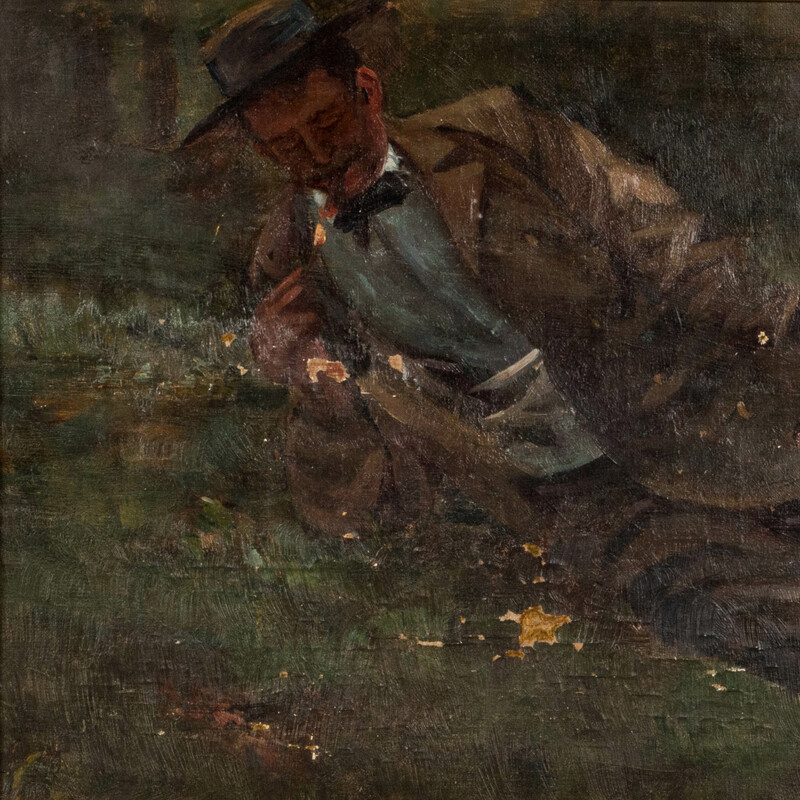 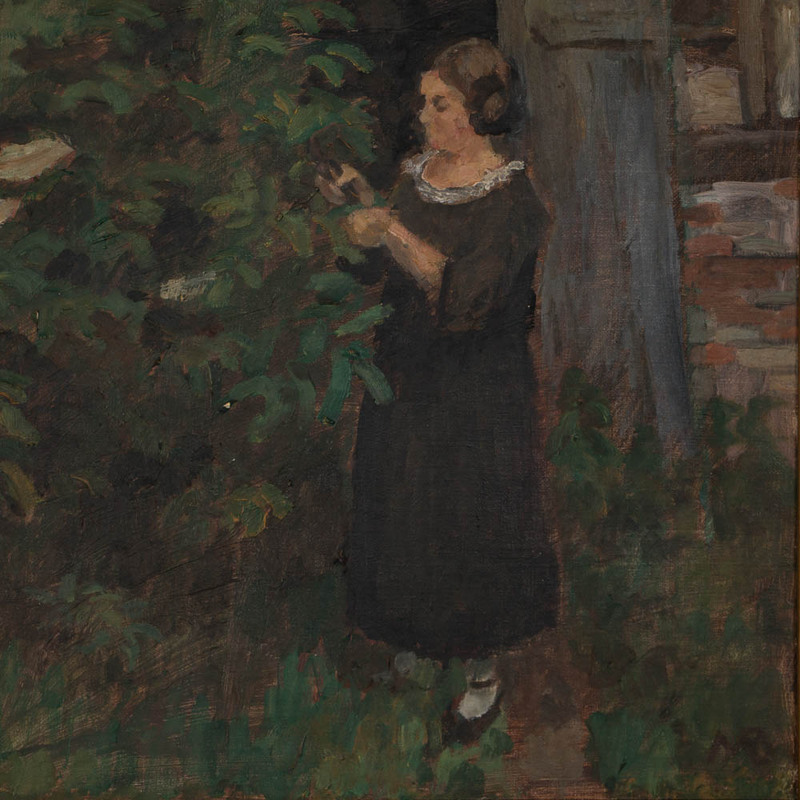 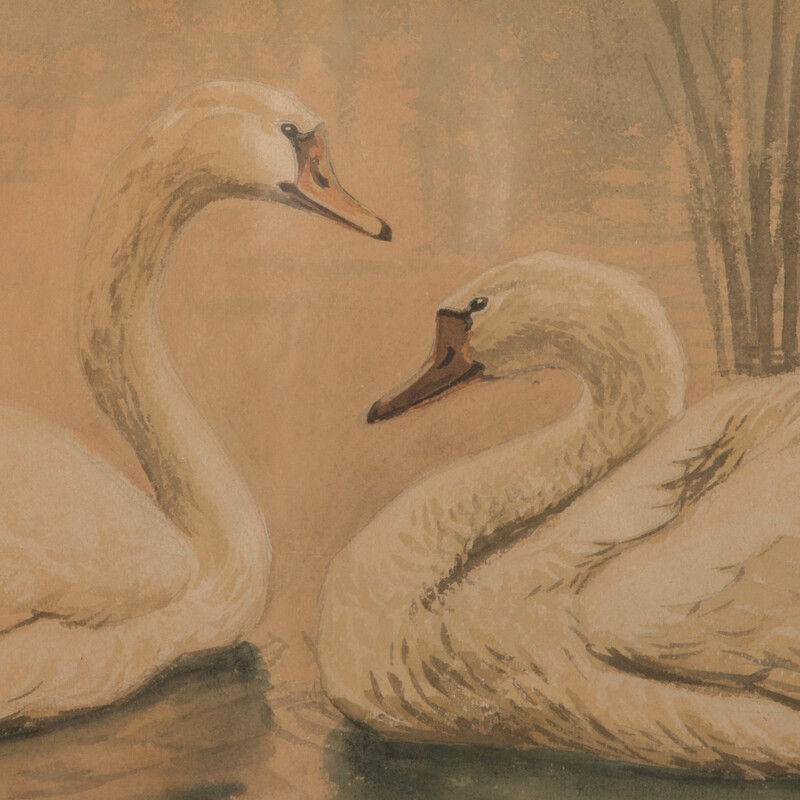 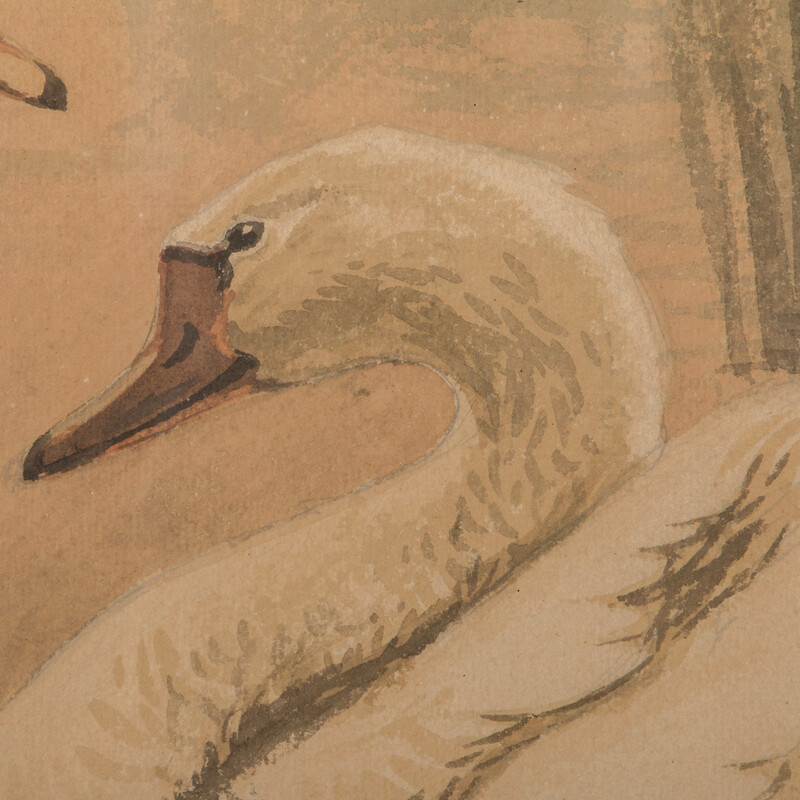 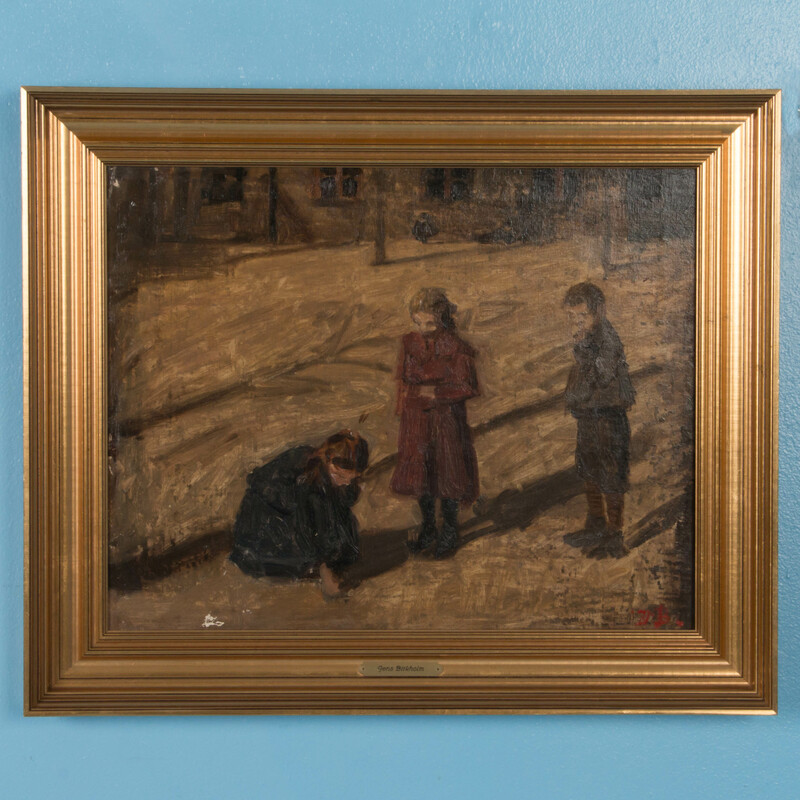 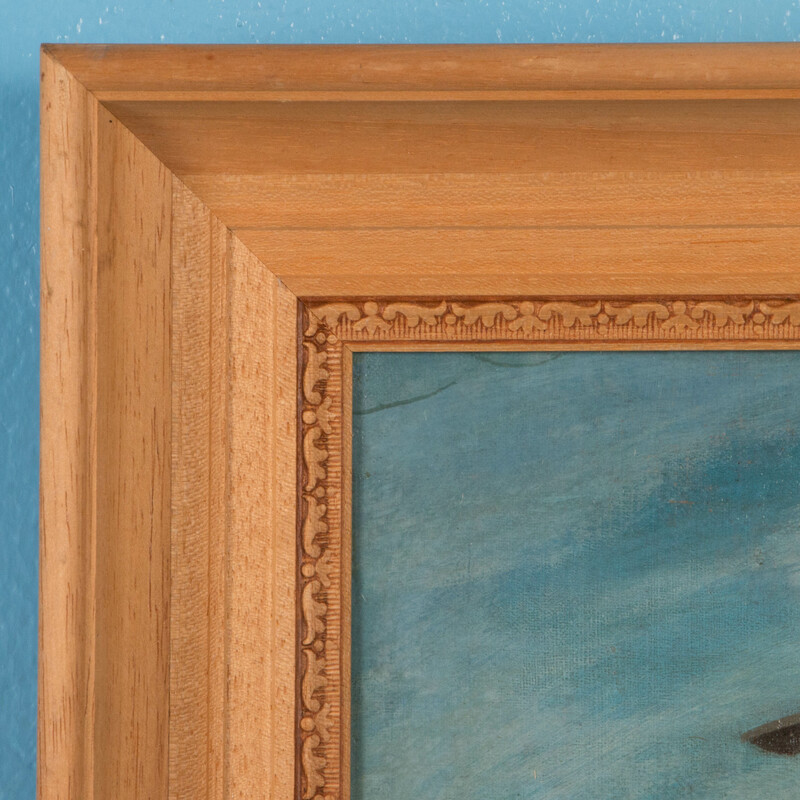 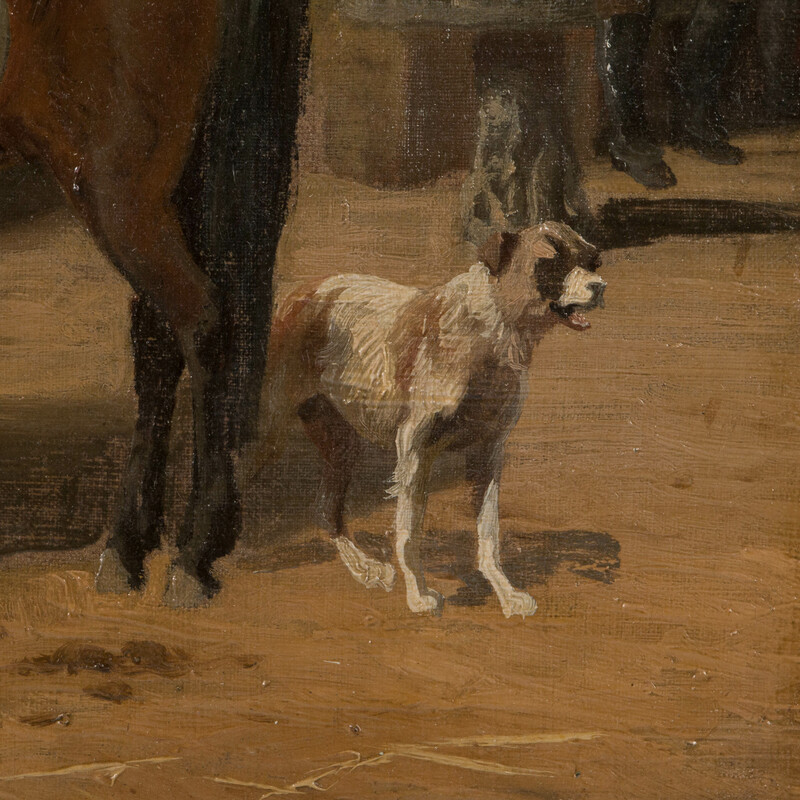 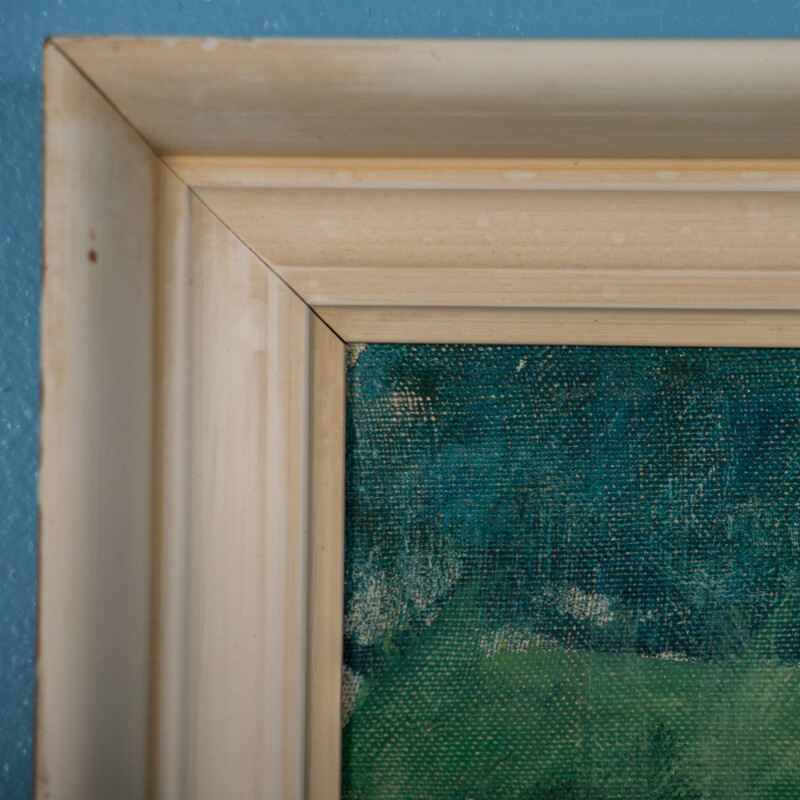 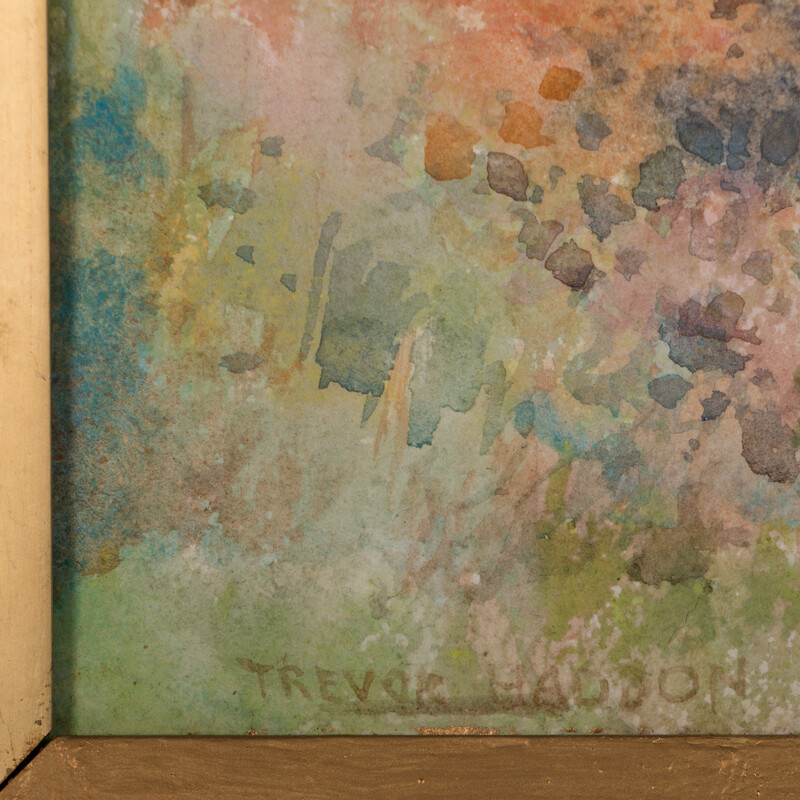 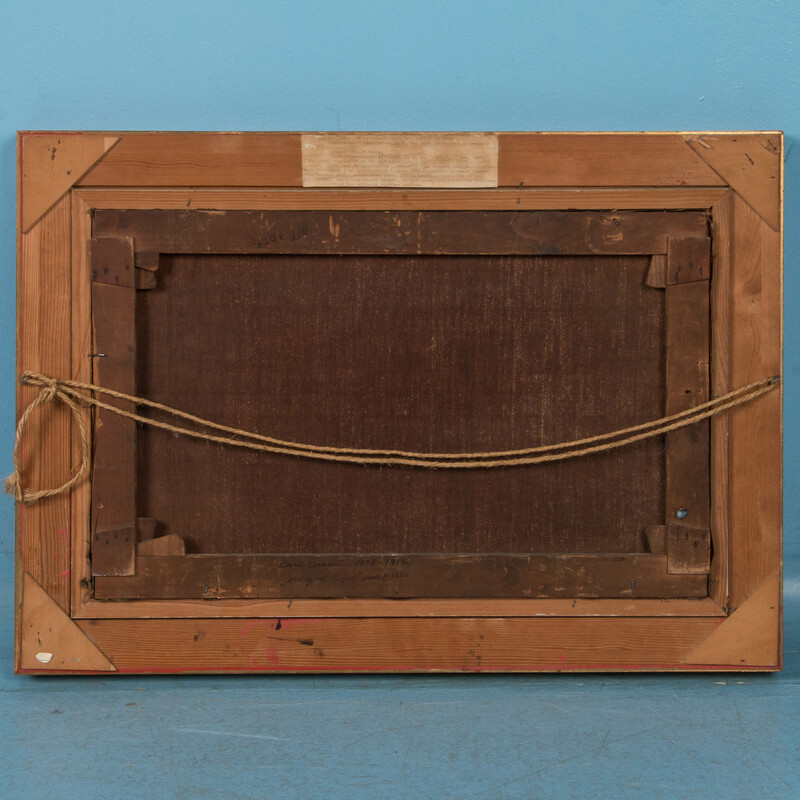 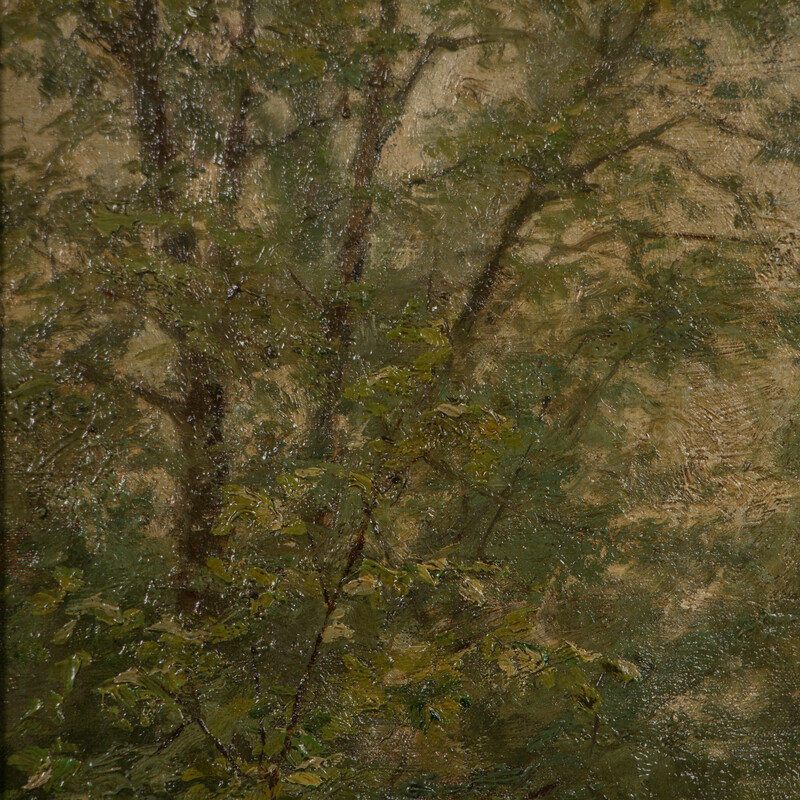 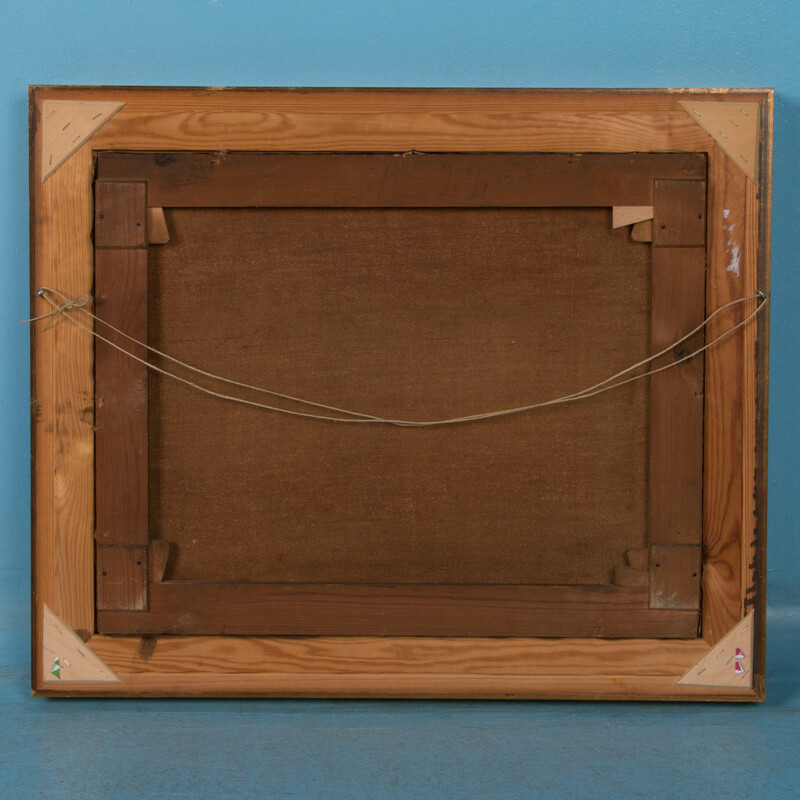 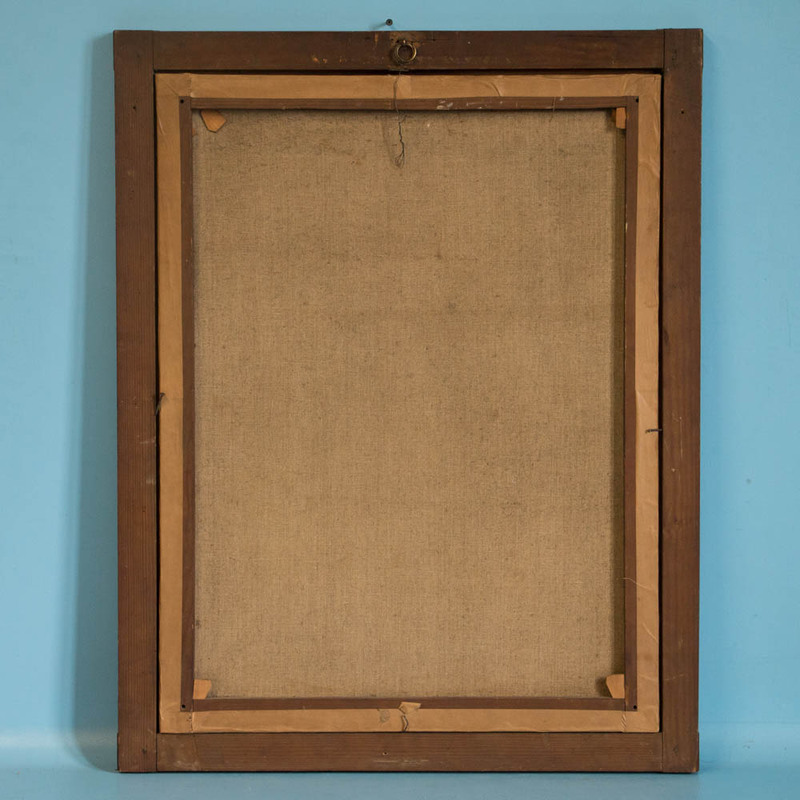 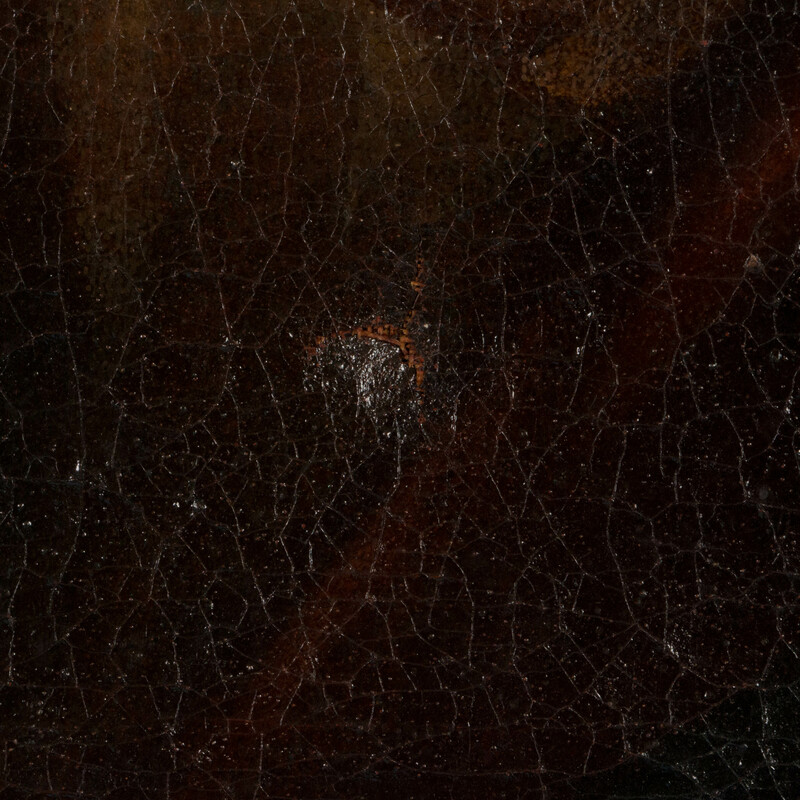 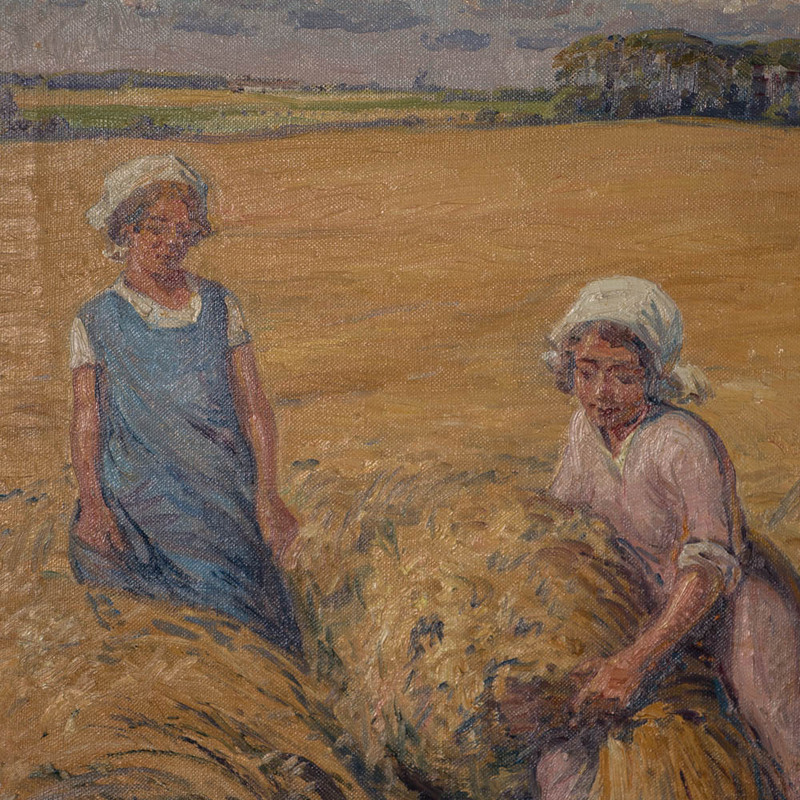 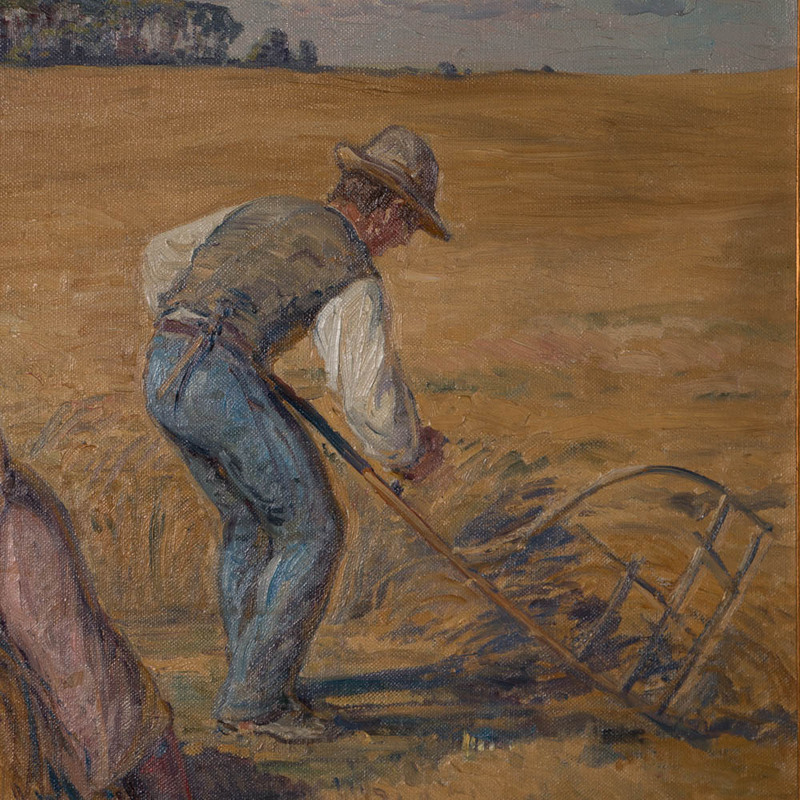 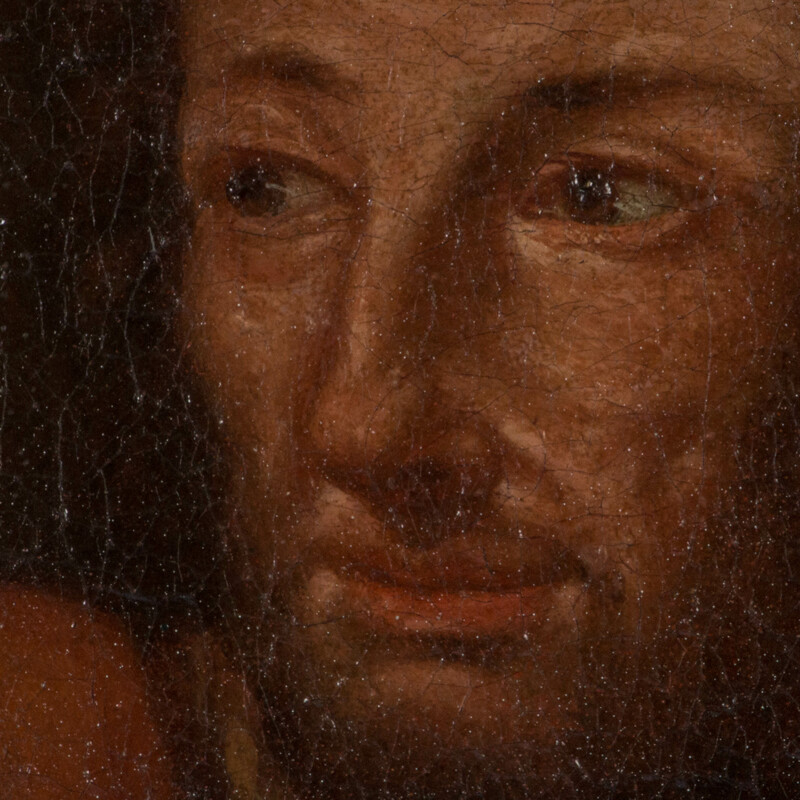 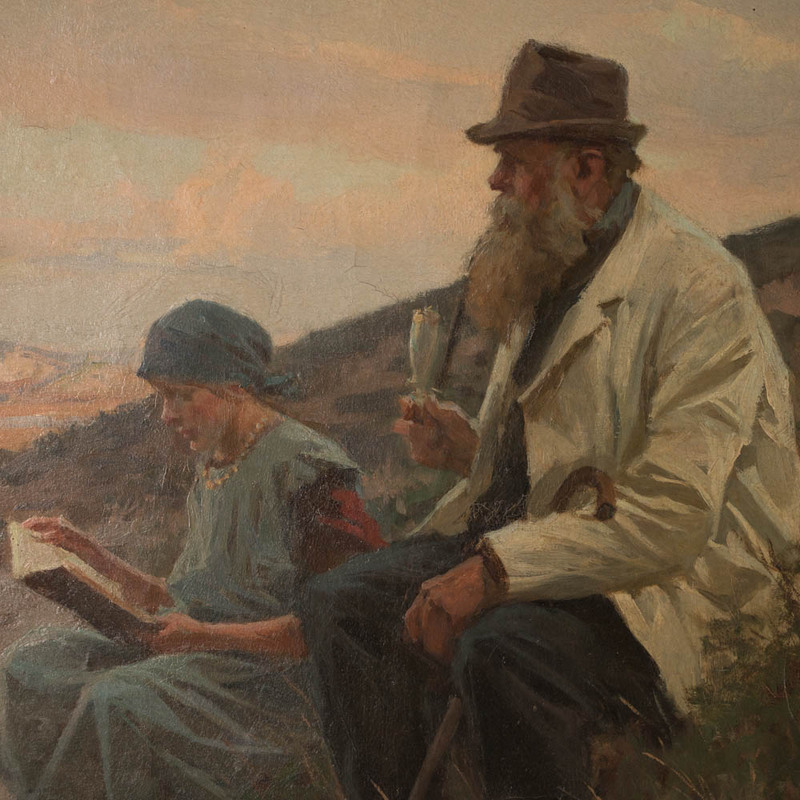 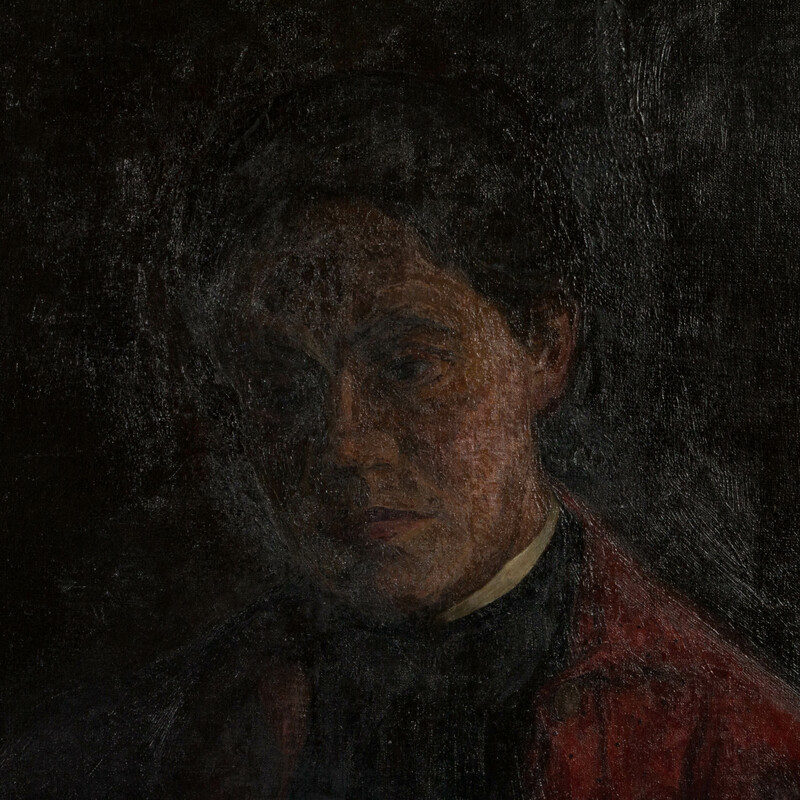 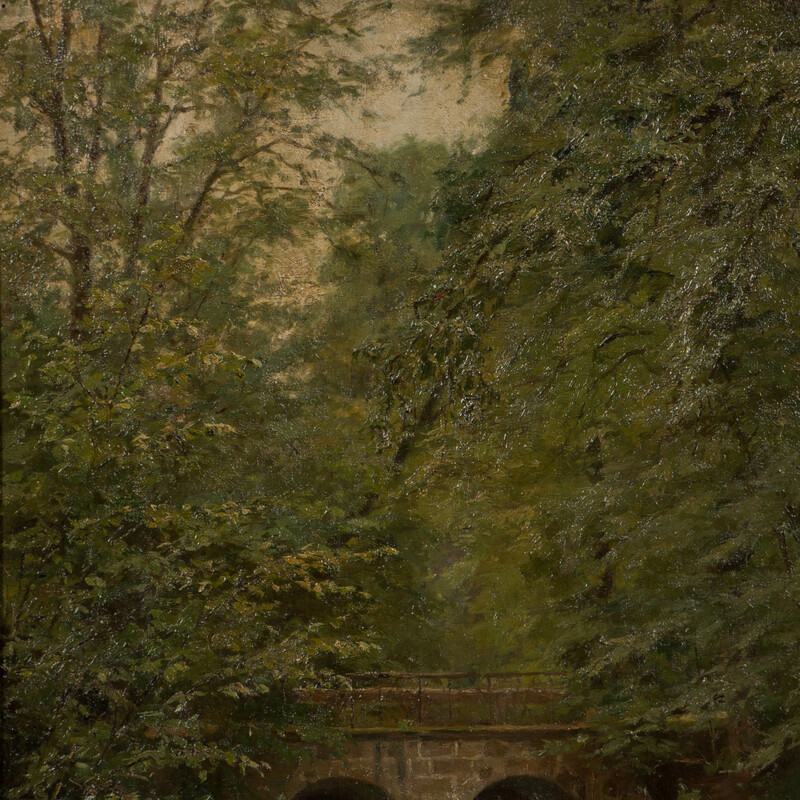 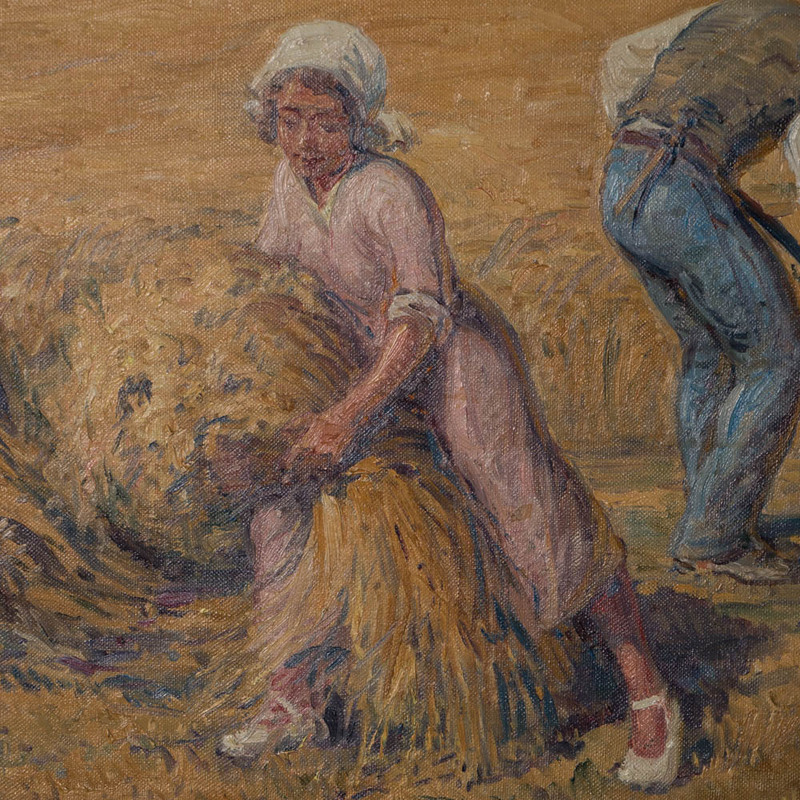 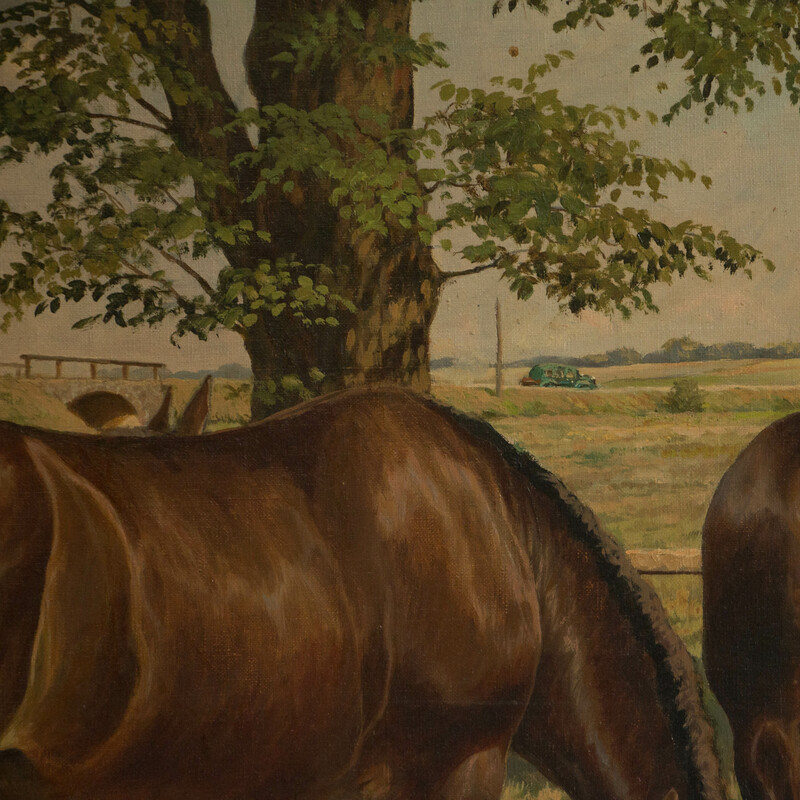 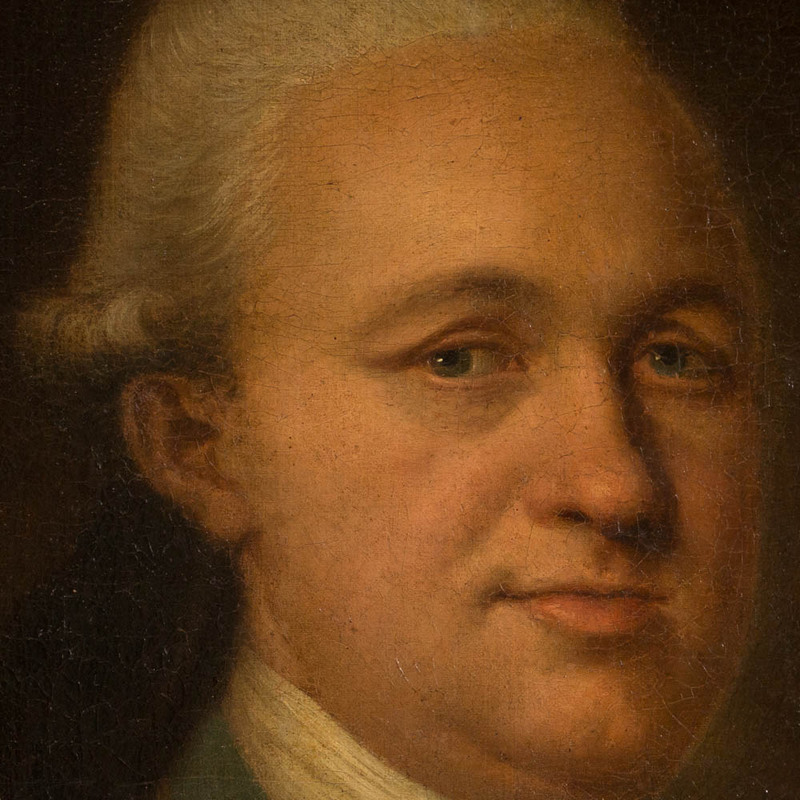 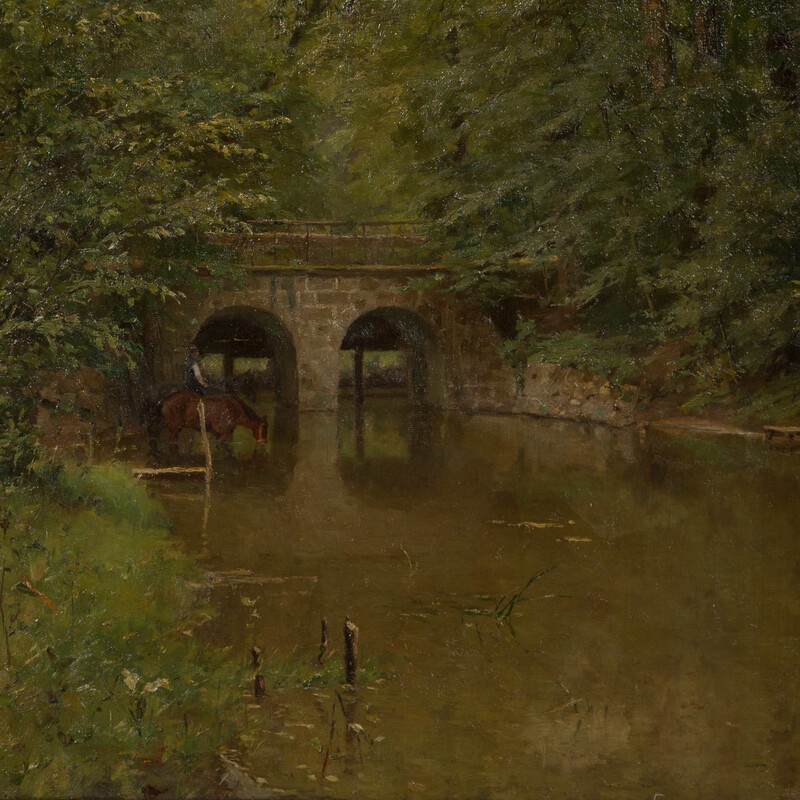 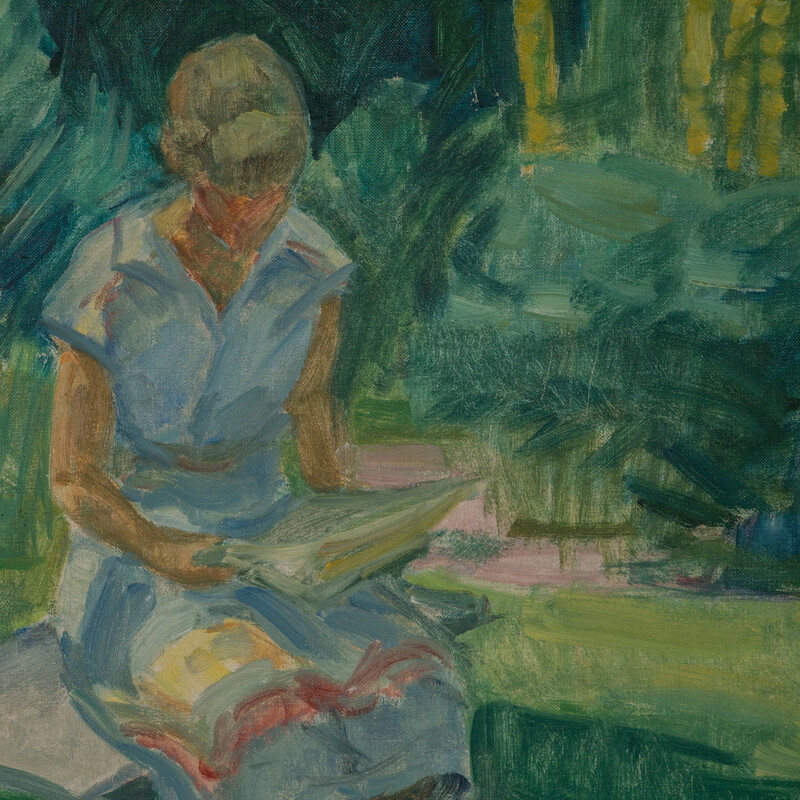 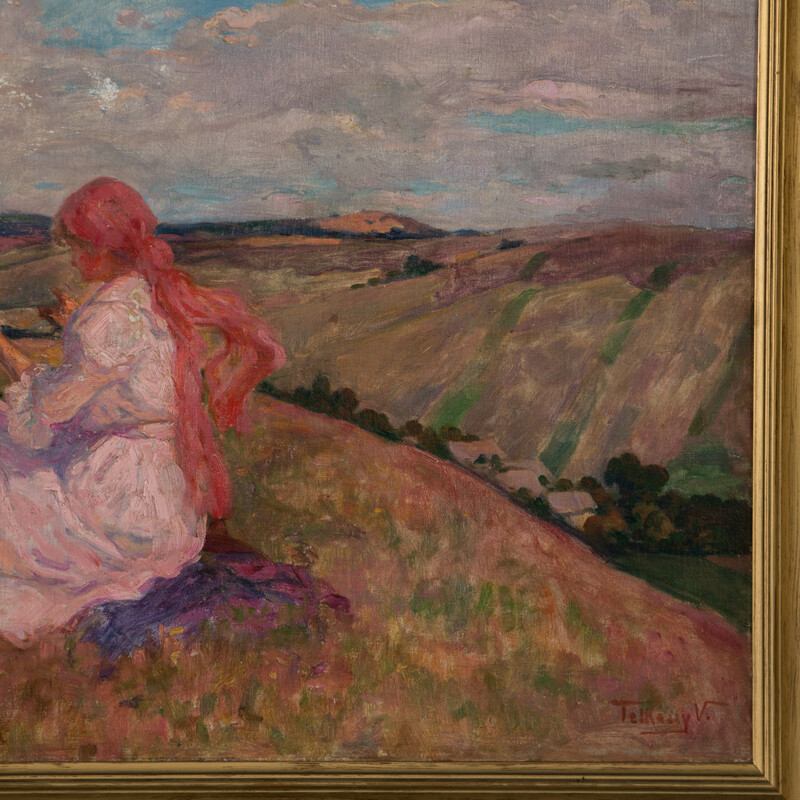 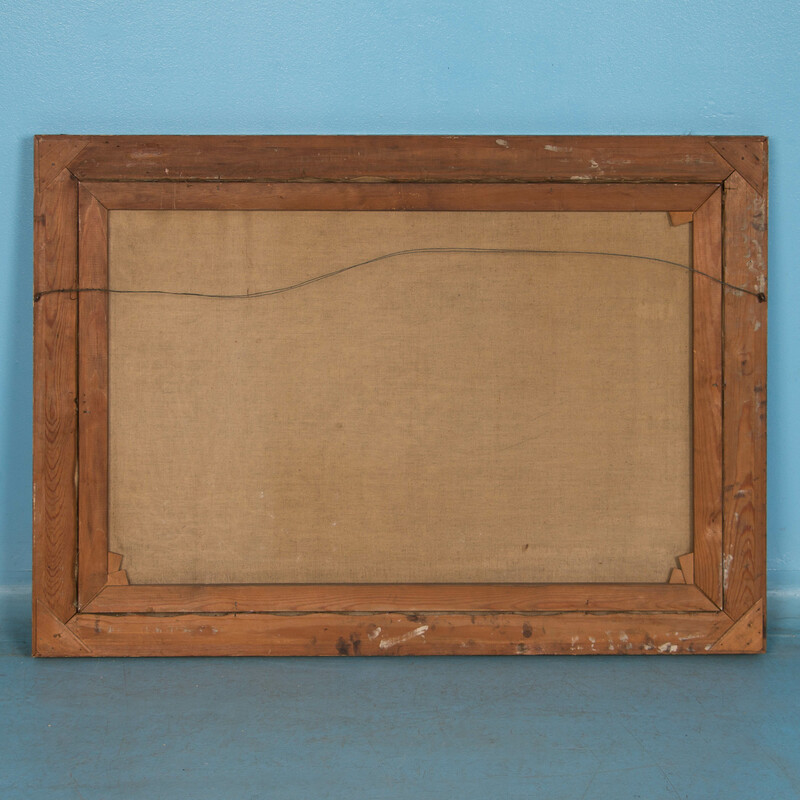 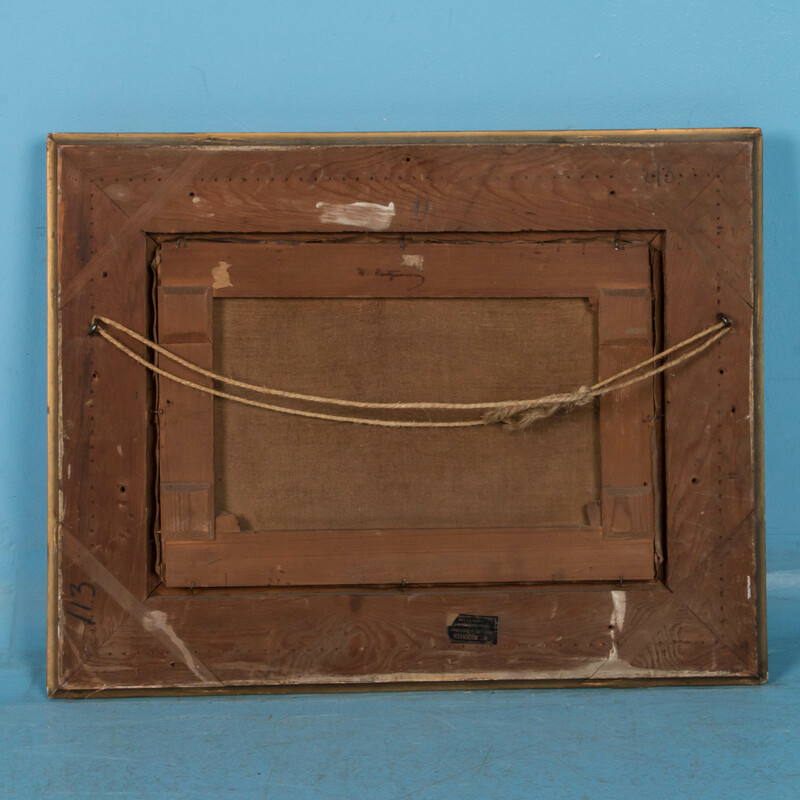 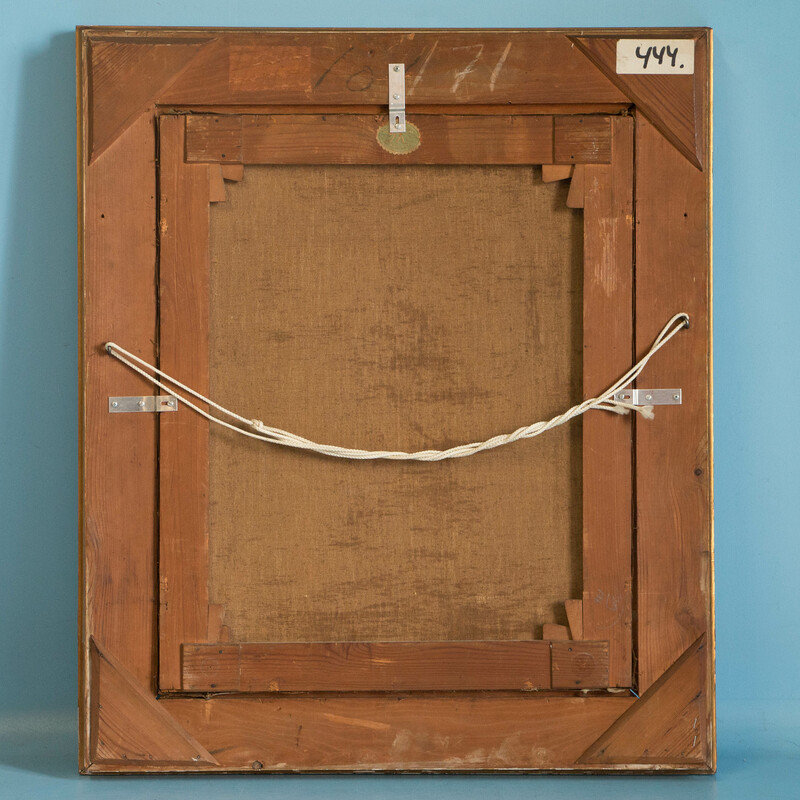 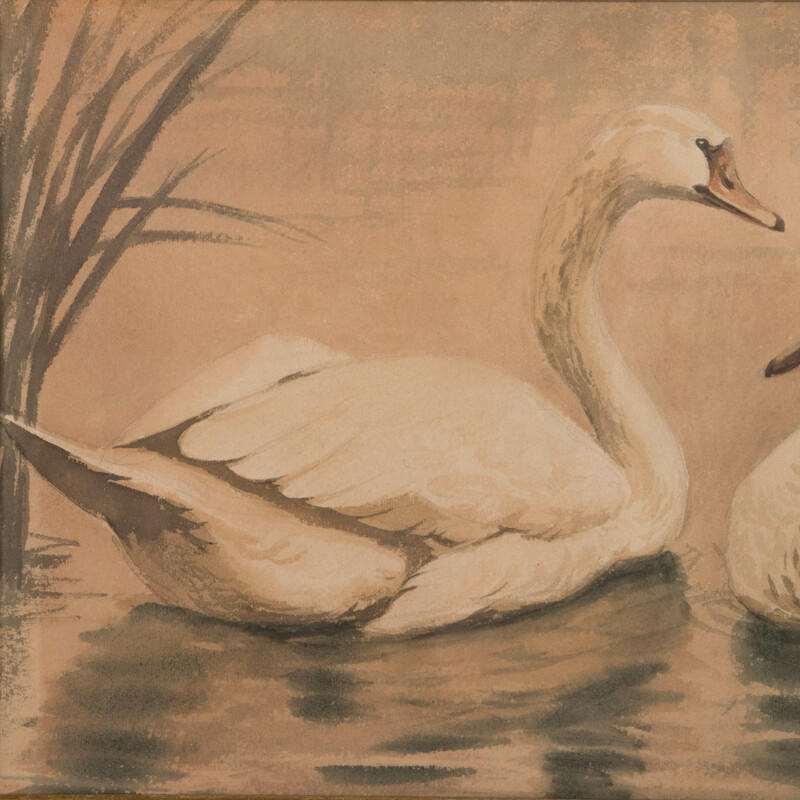 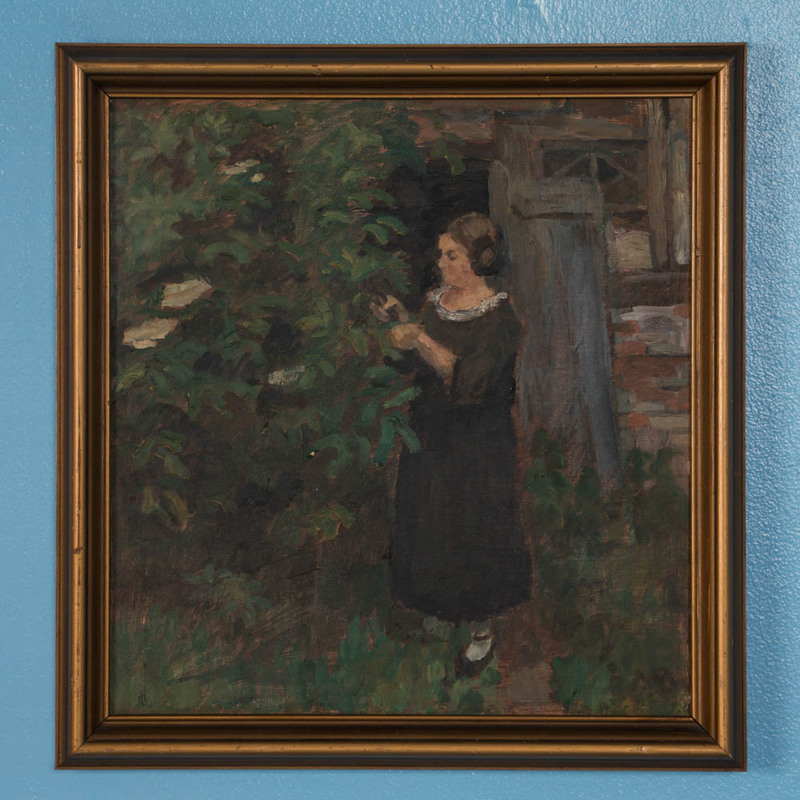 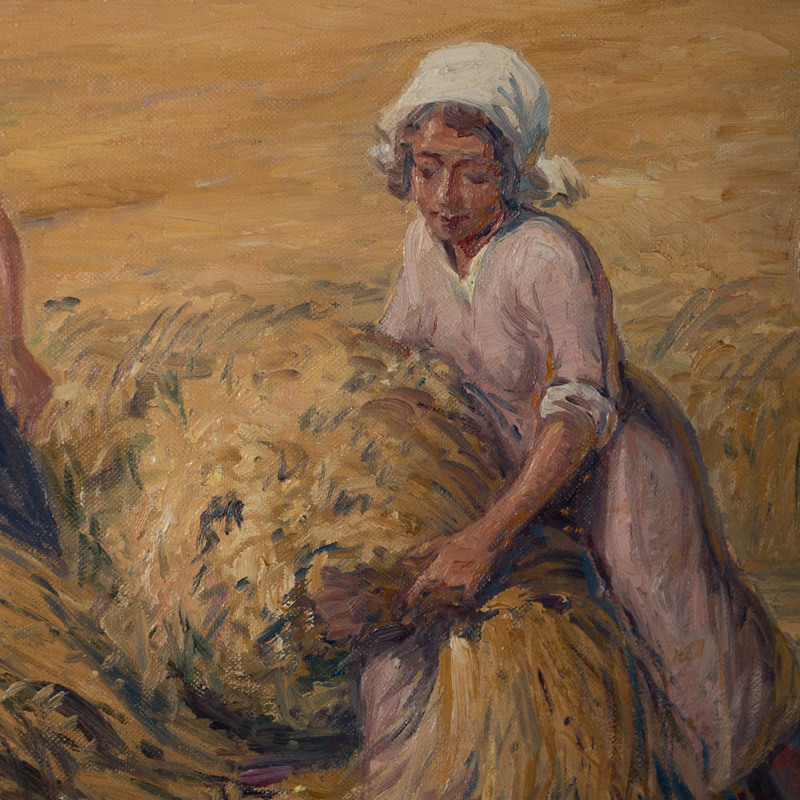 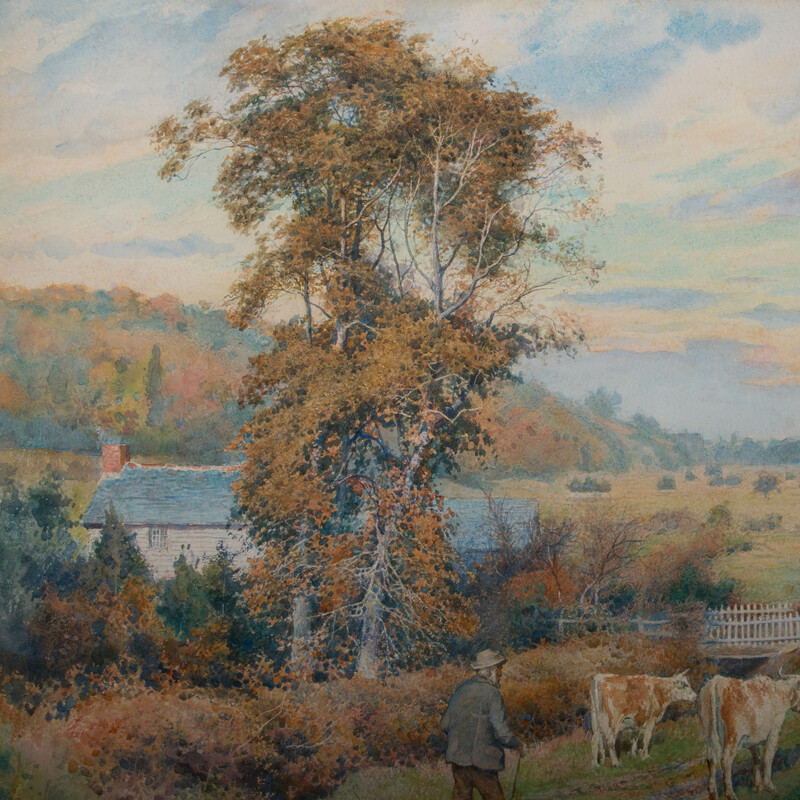 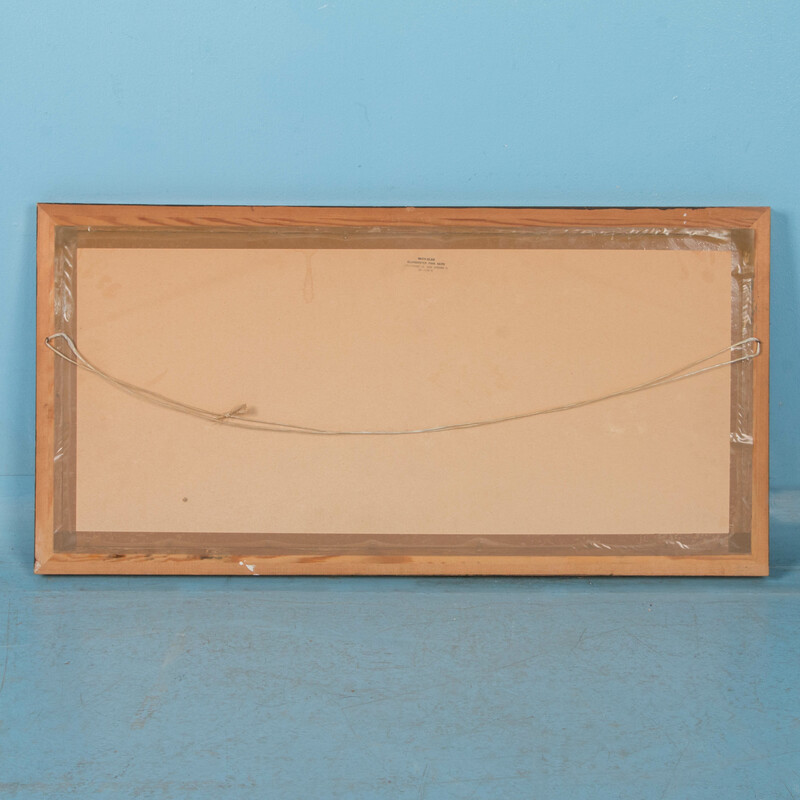 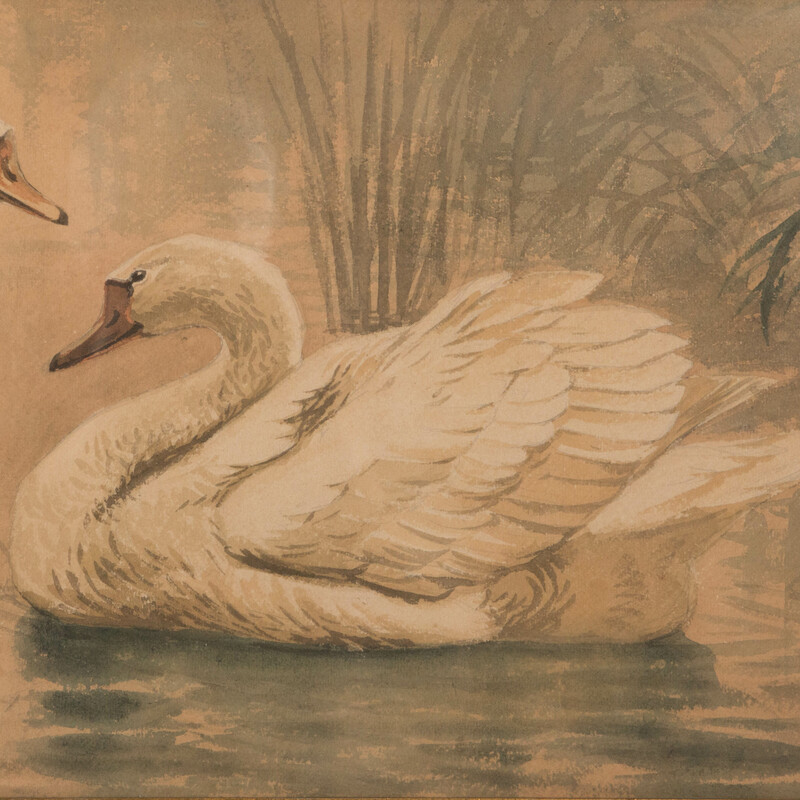 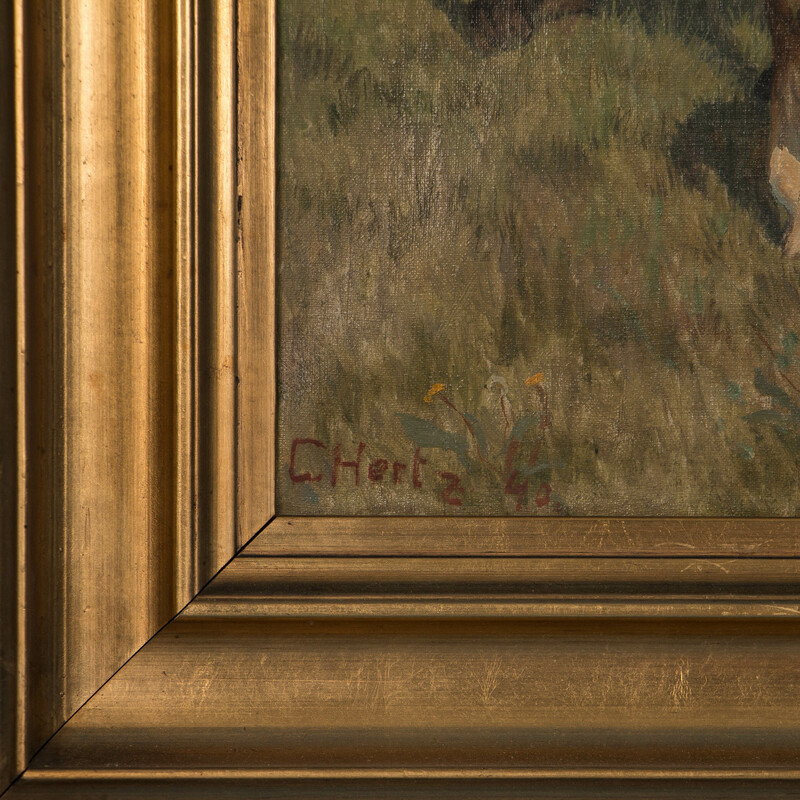 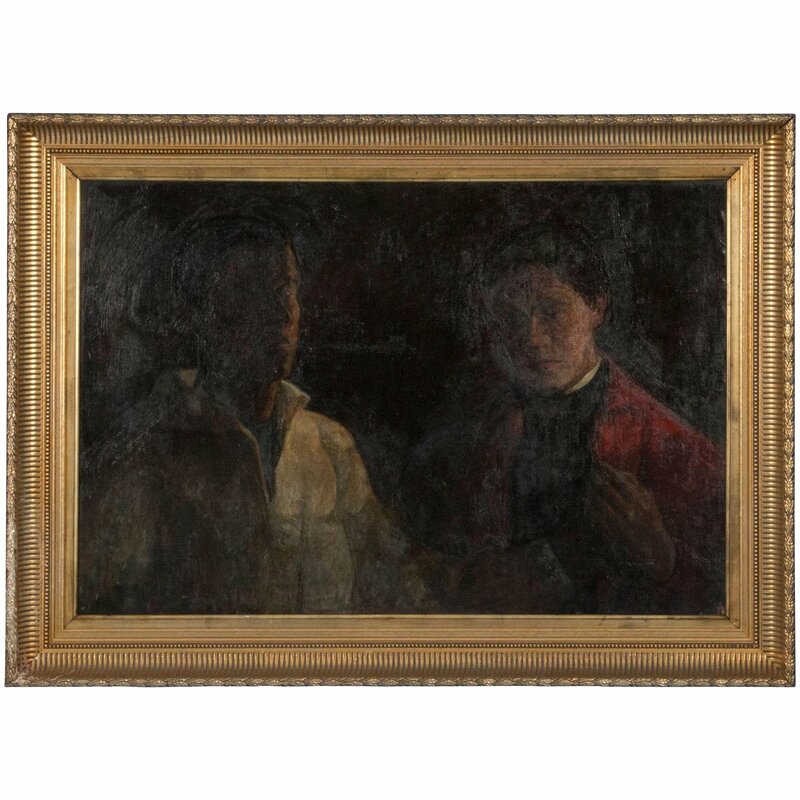 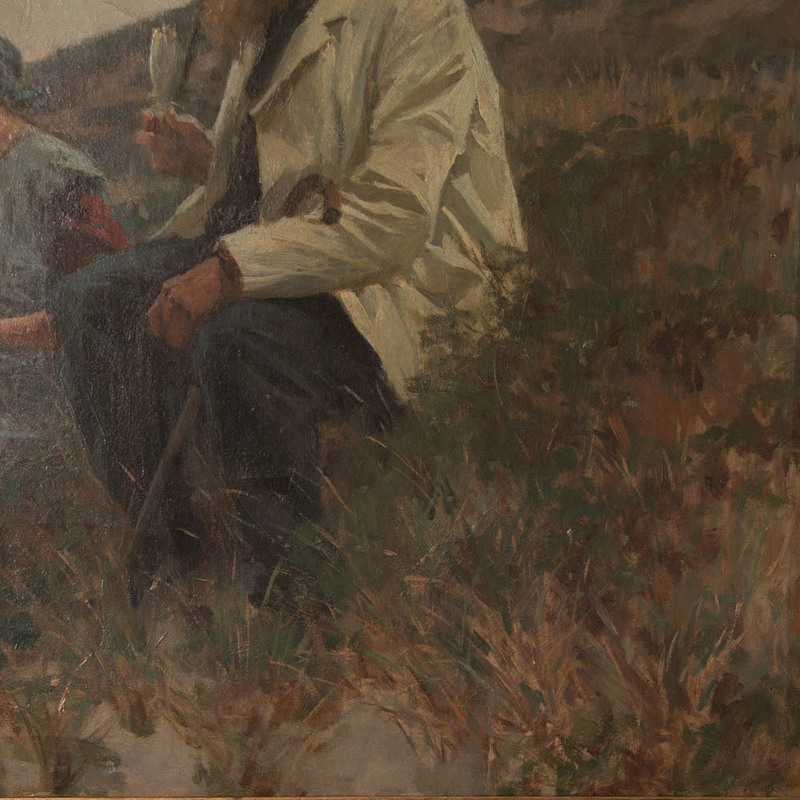 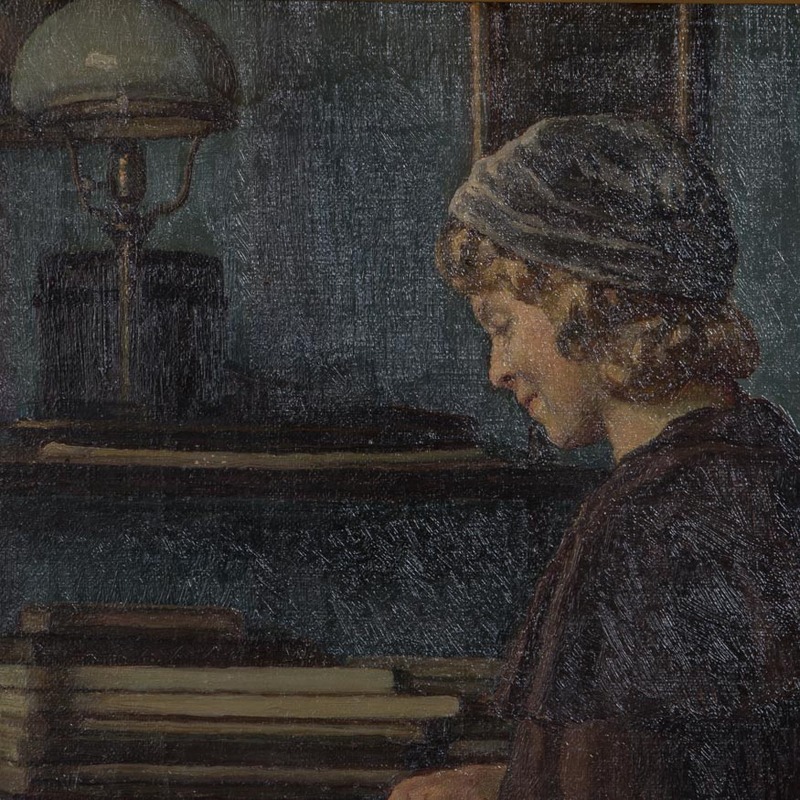 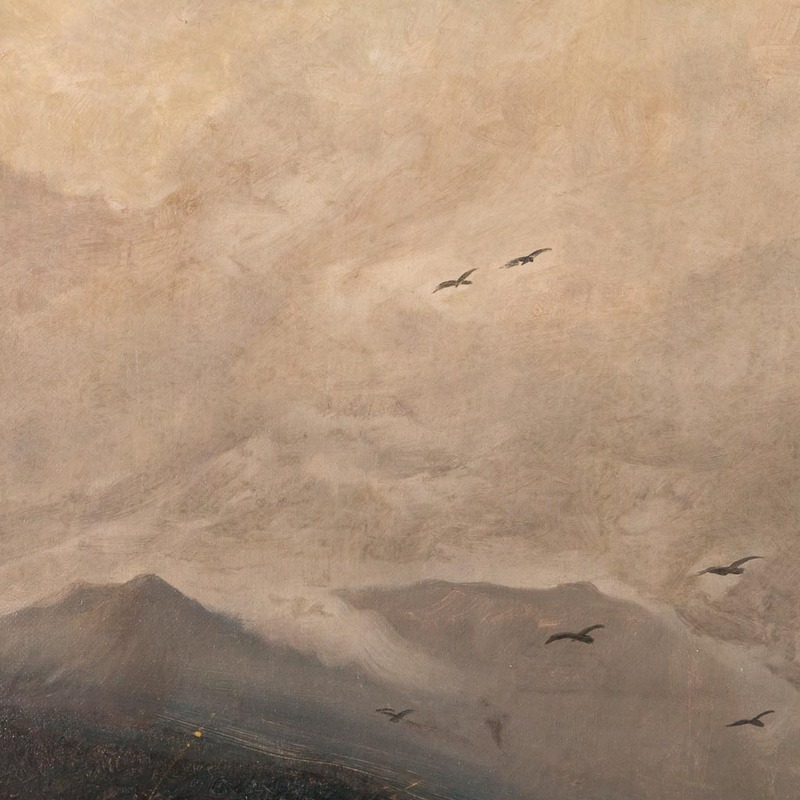 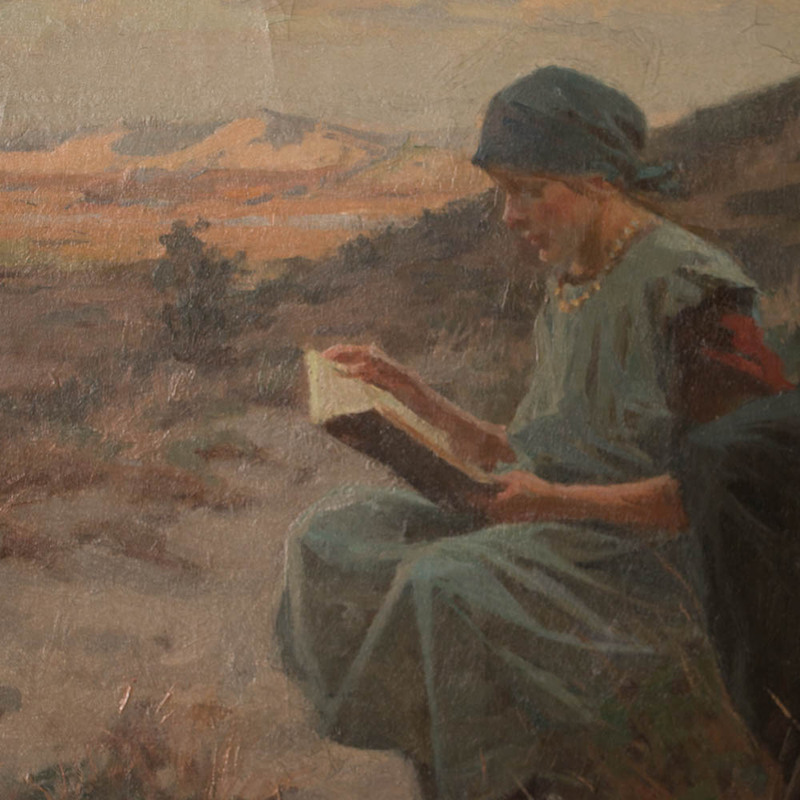 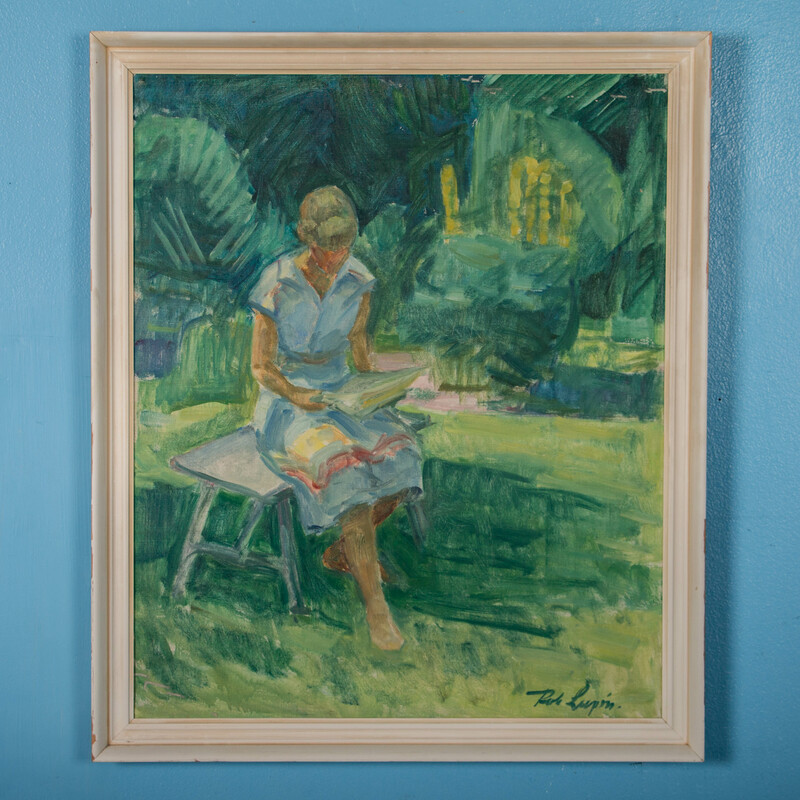 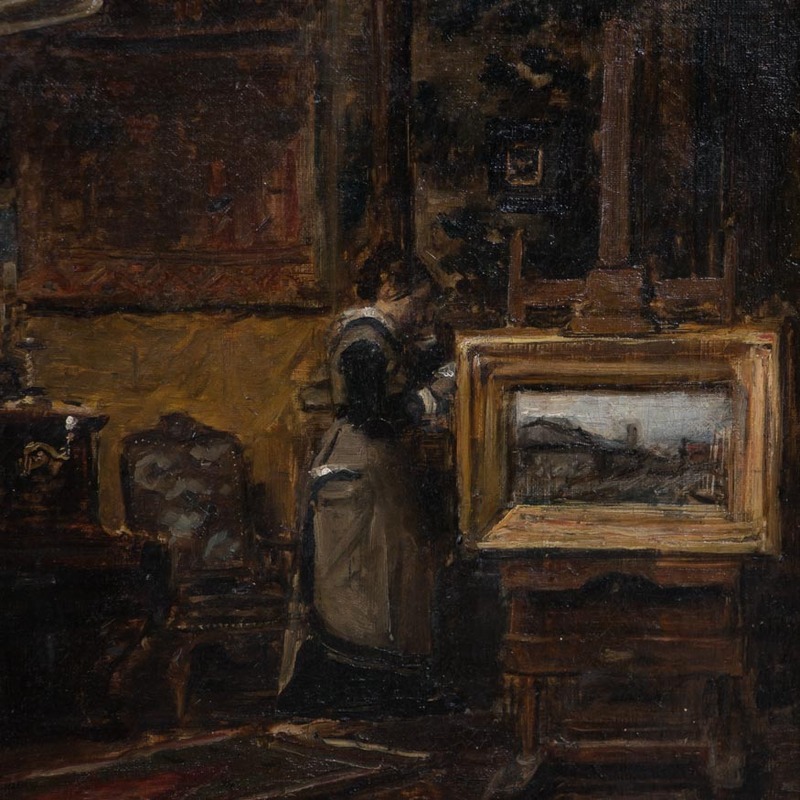 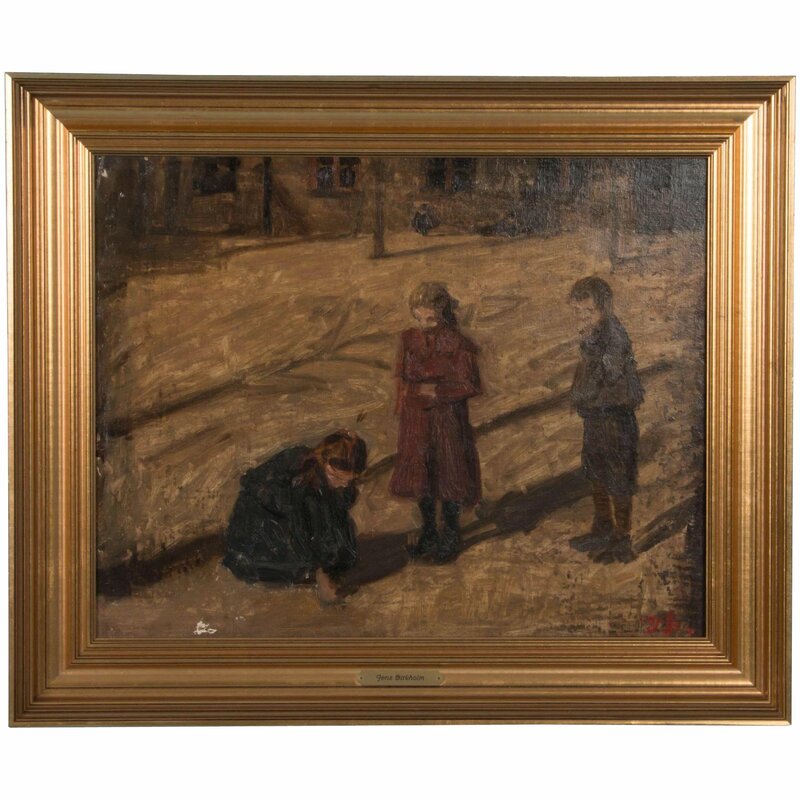 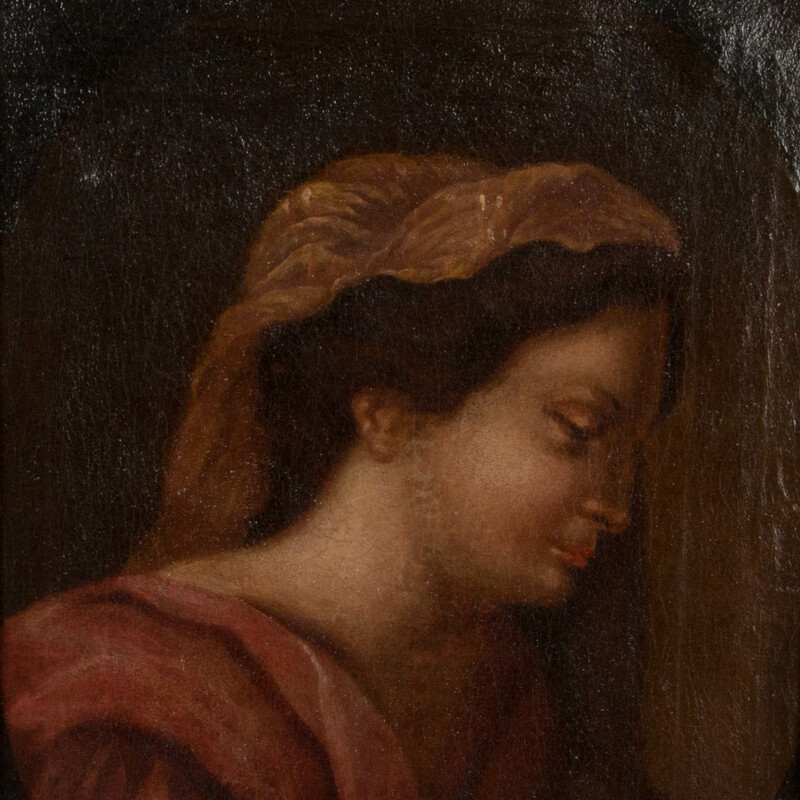 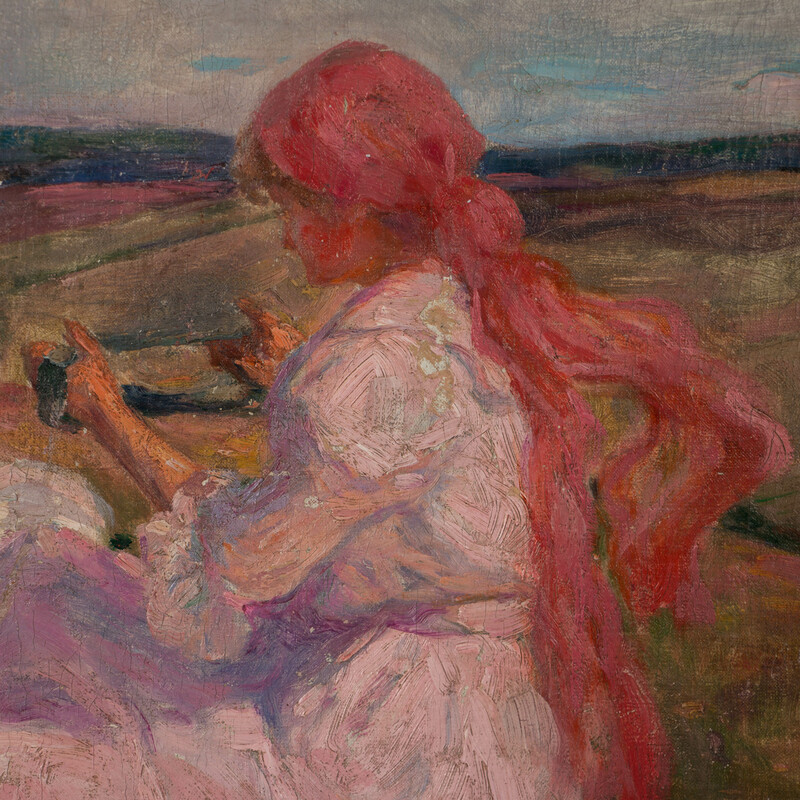 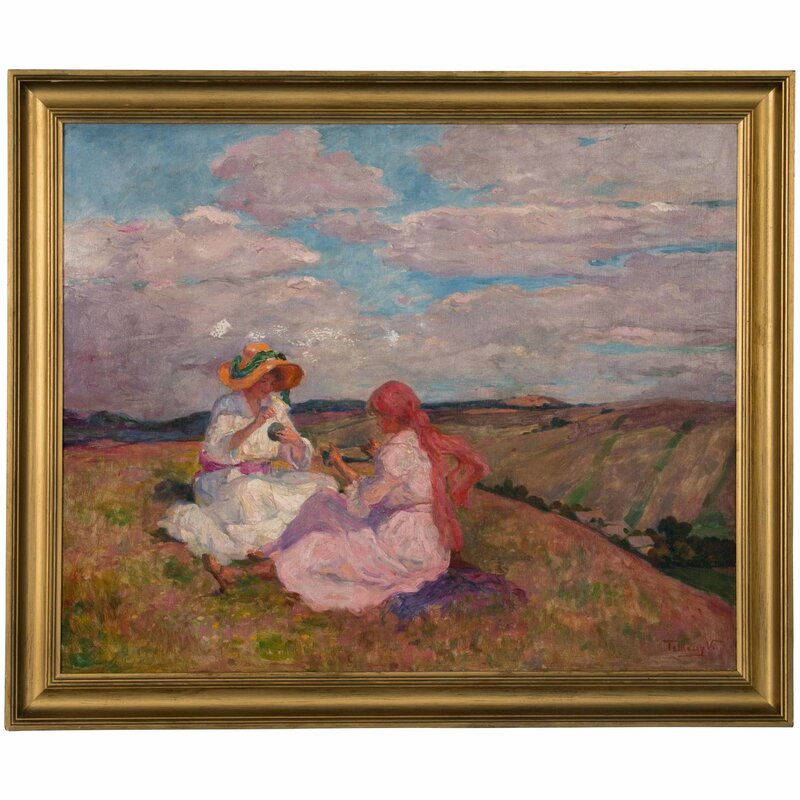 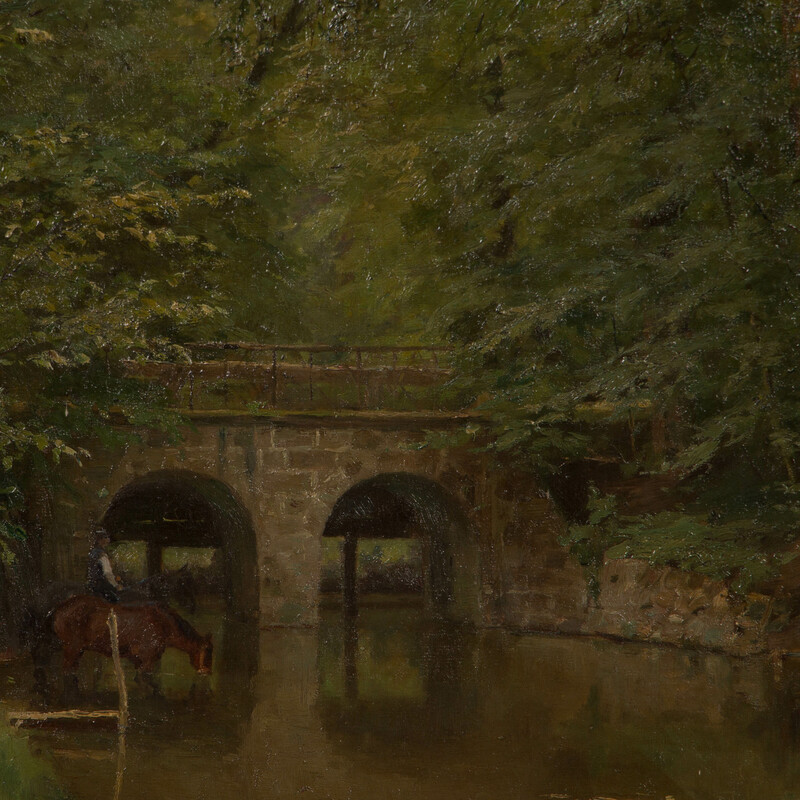 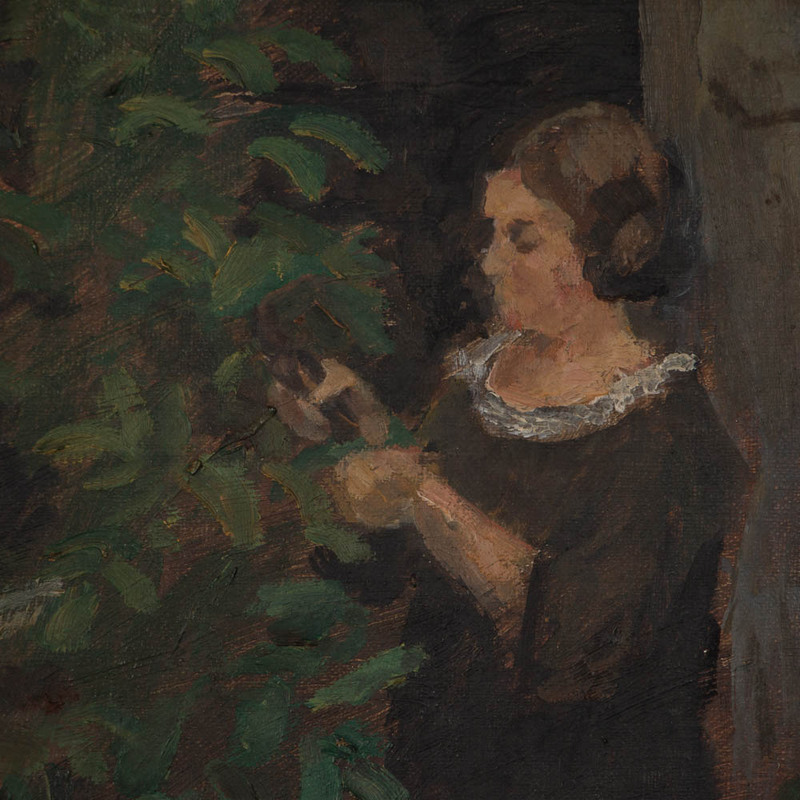 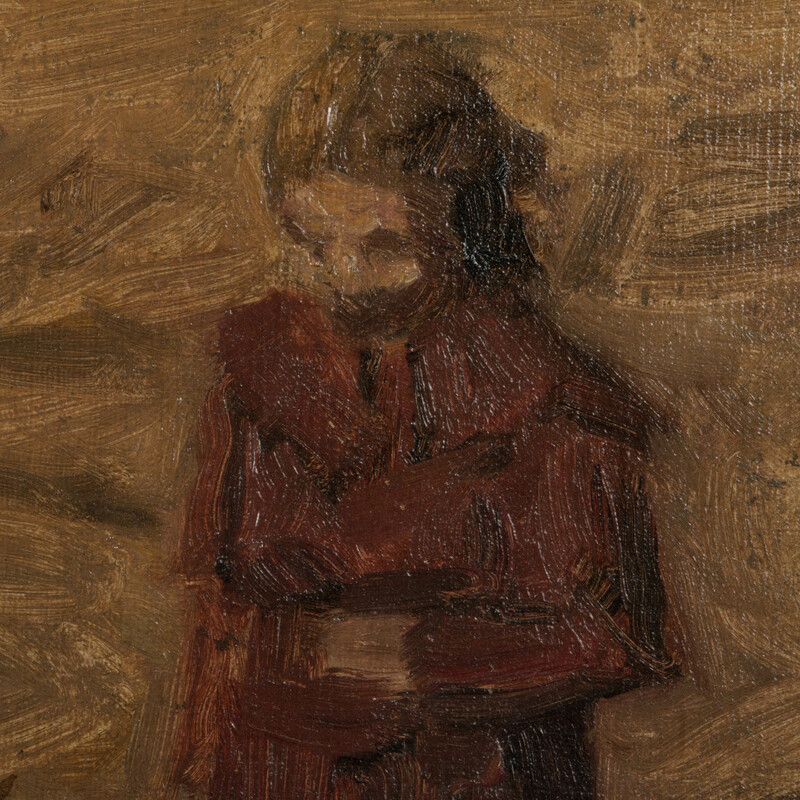 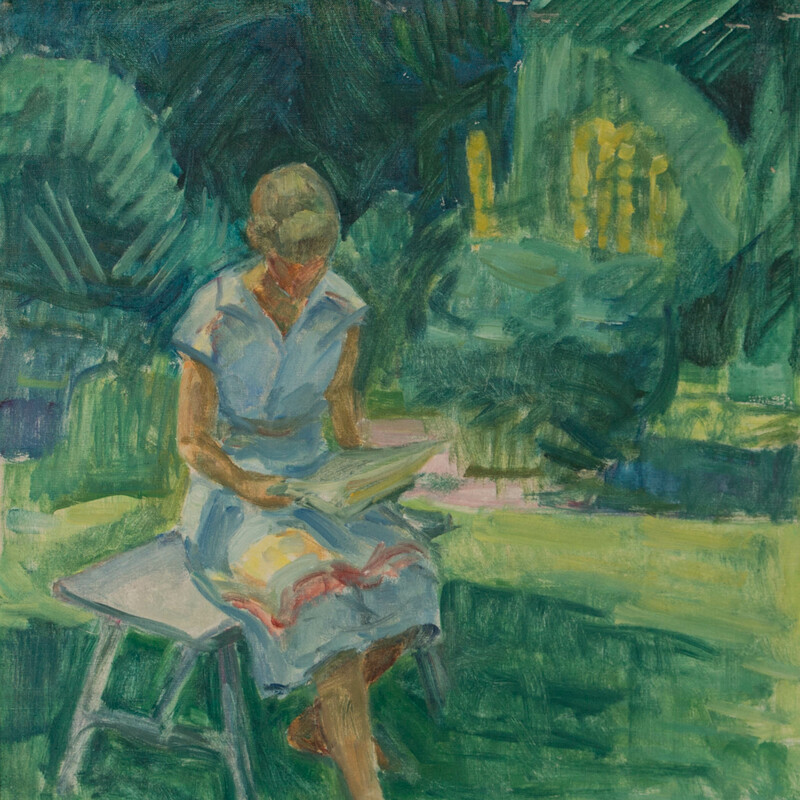 The painting is unsigned and mounted in a painted wood frame. 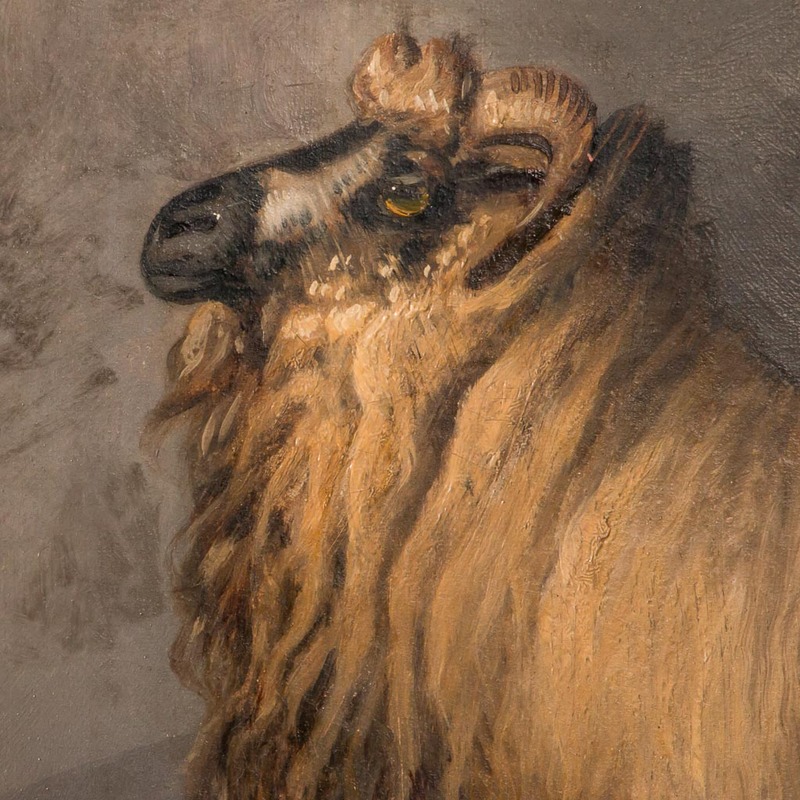 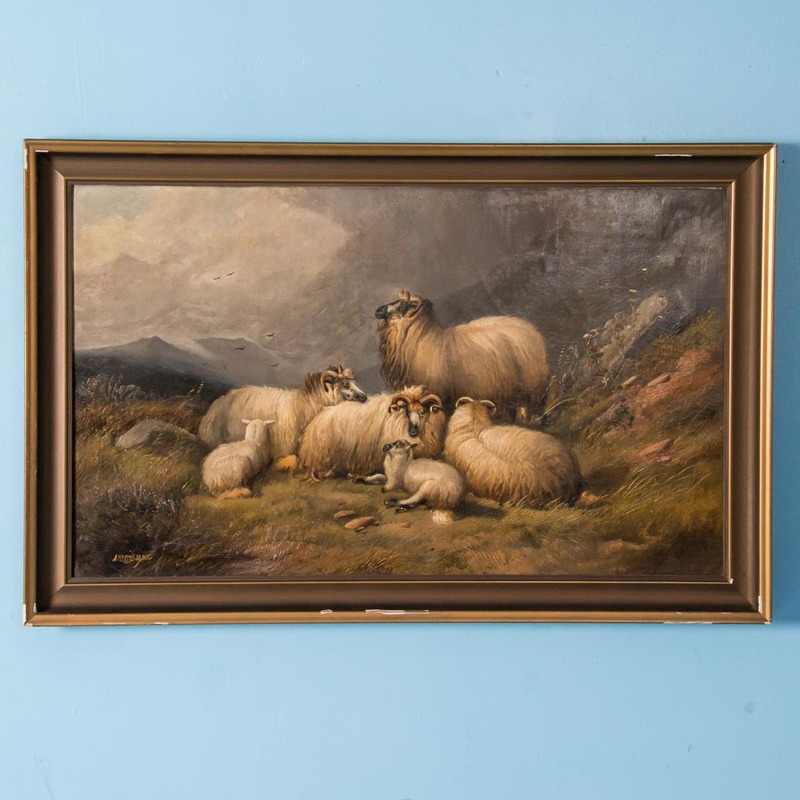 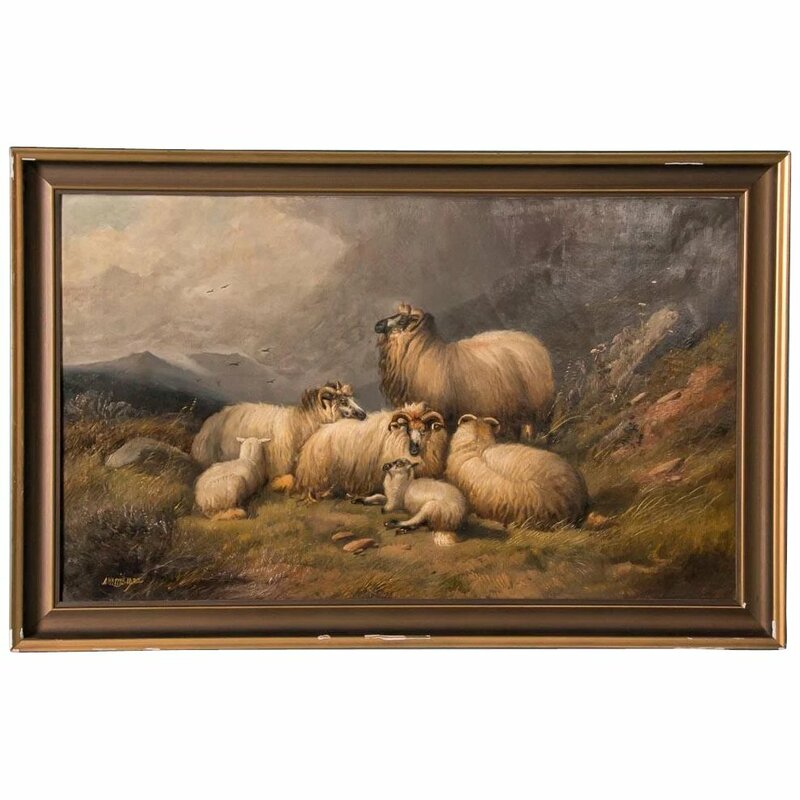 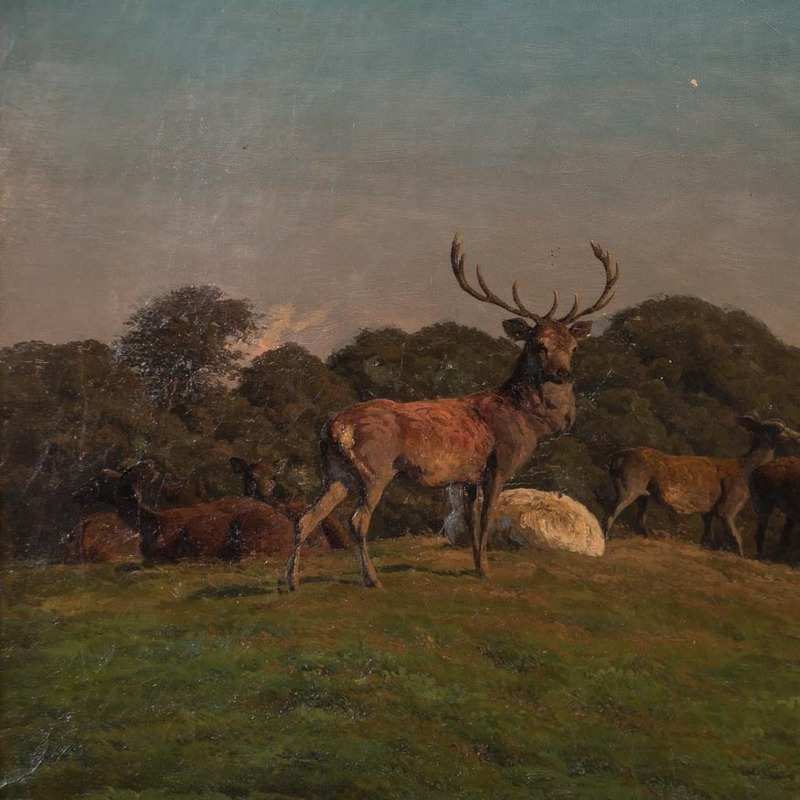 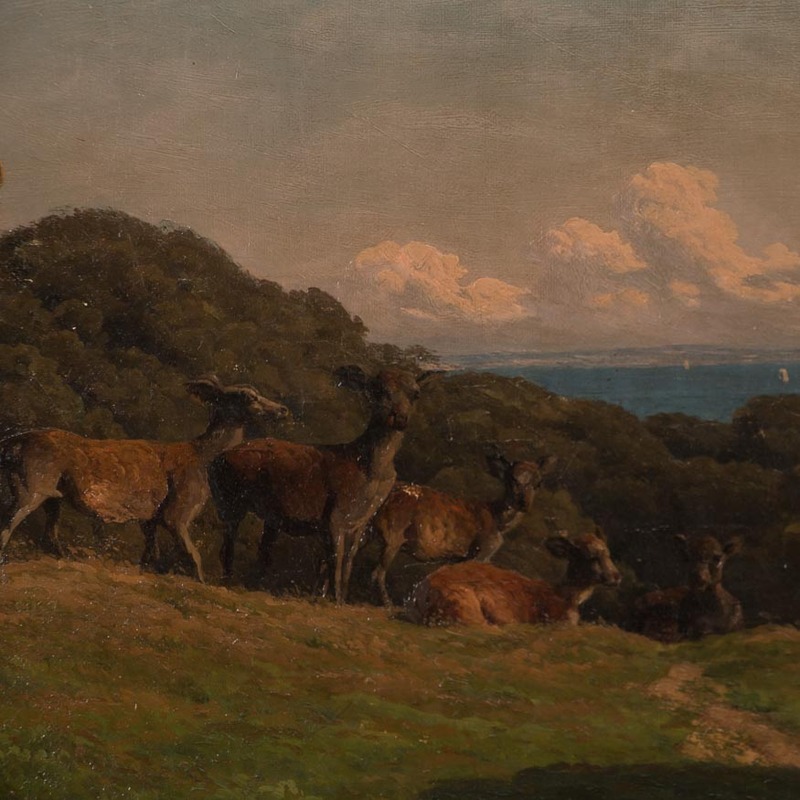 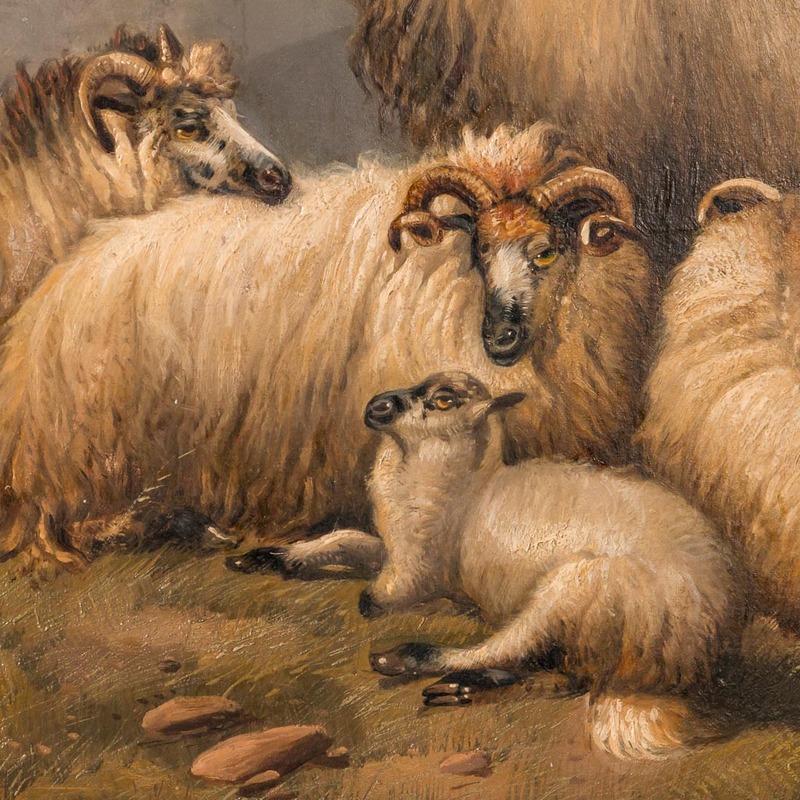 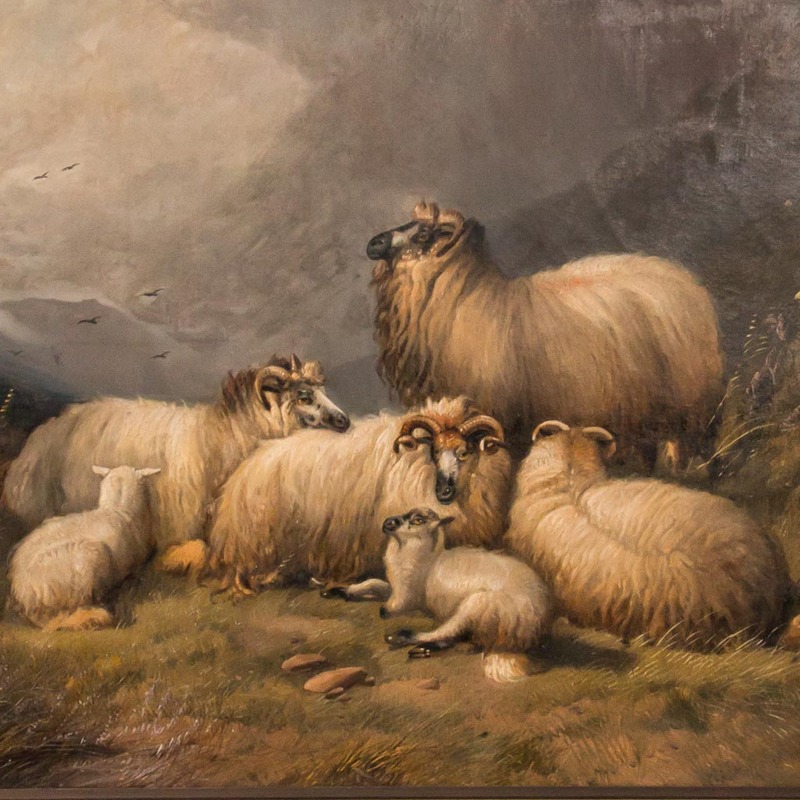 Large original English oil painting of a flock of sheep resting on a mountainside, signed and dated in the lower left A Morris 1882. 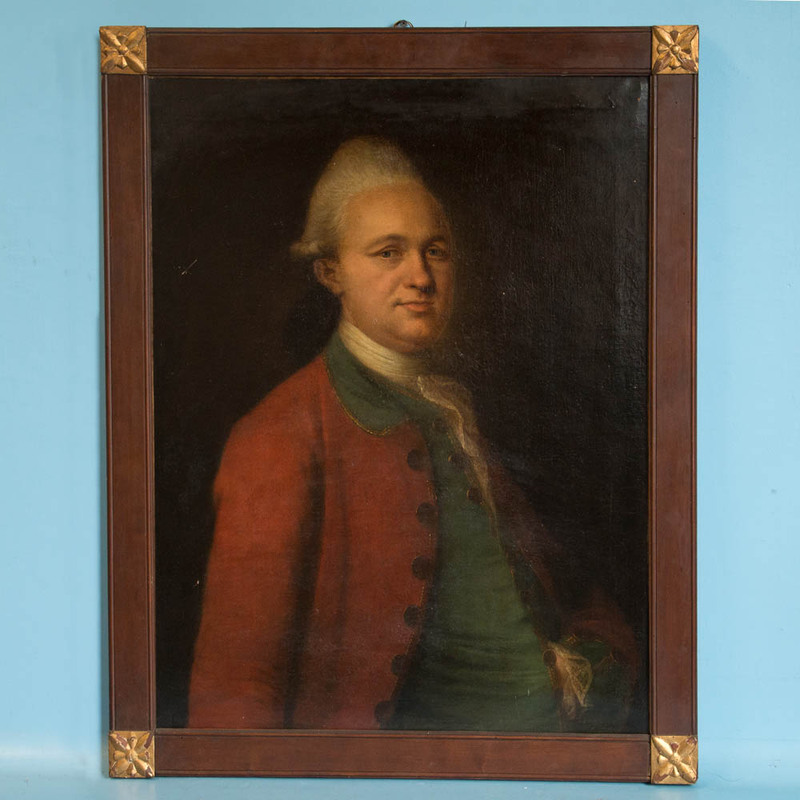 Mounted in a gilt wood frame. 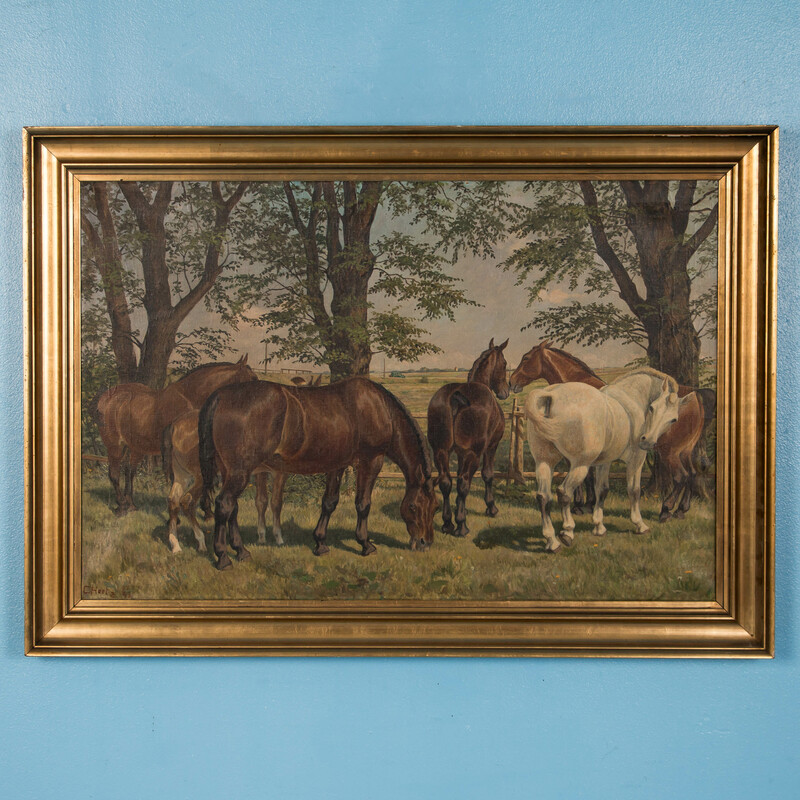 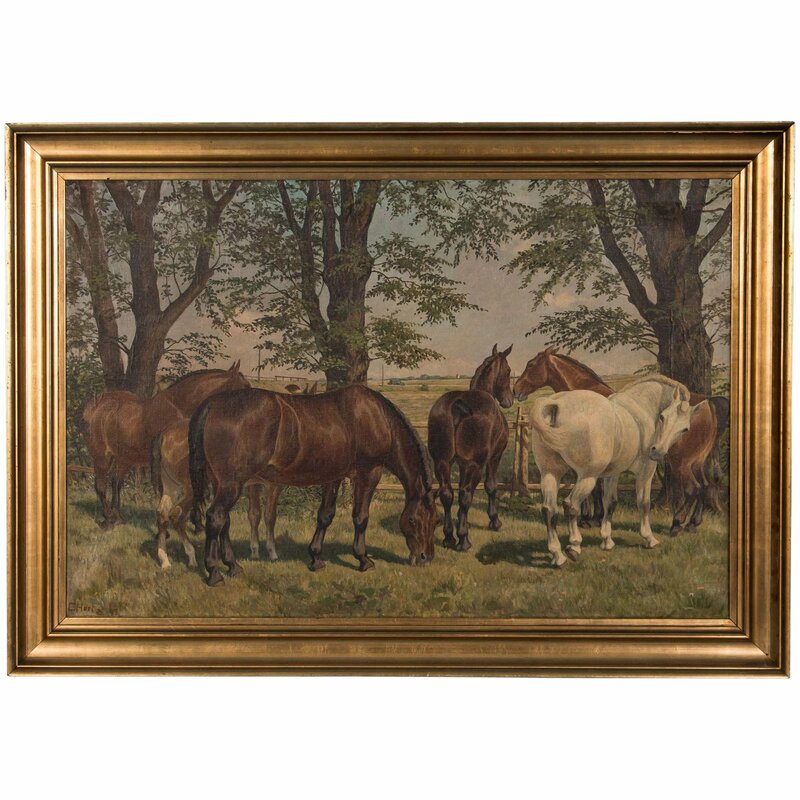 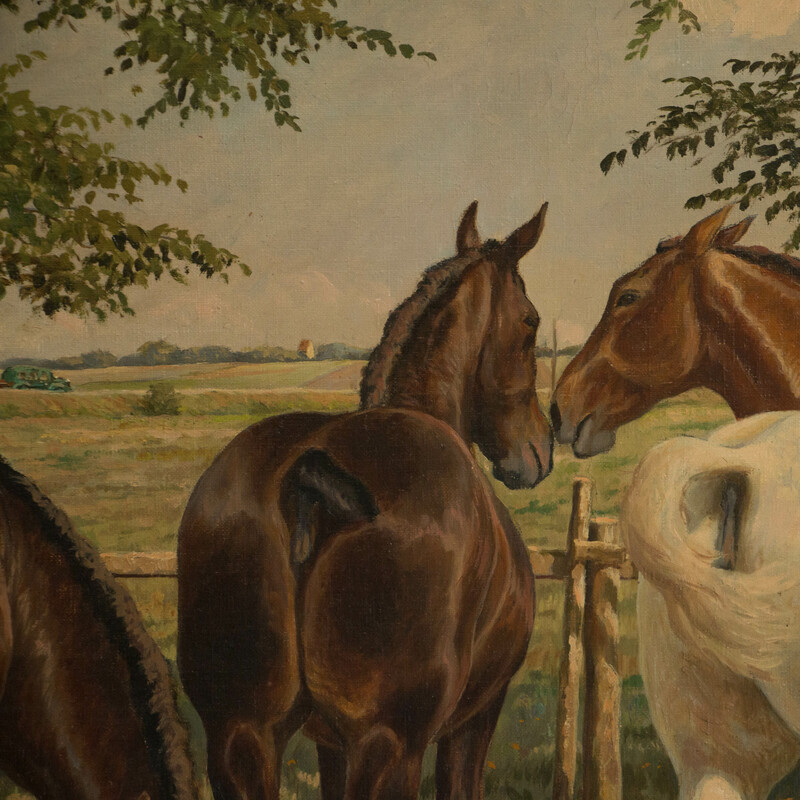 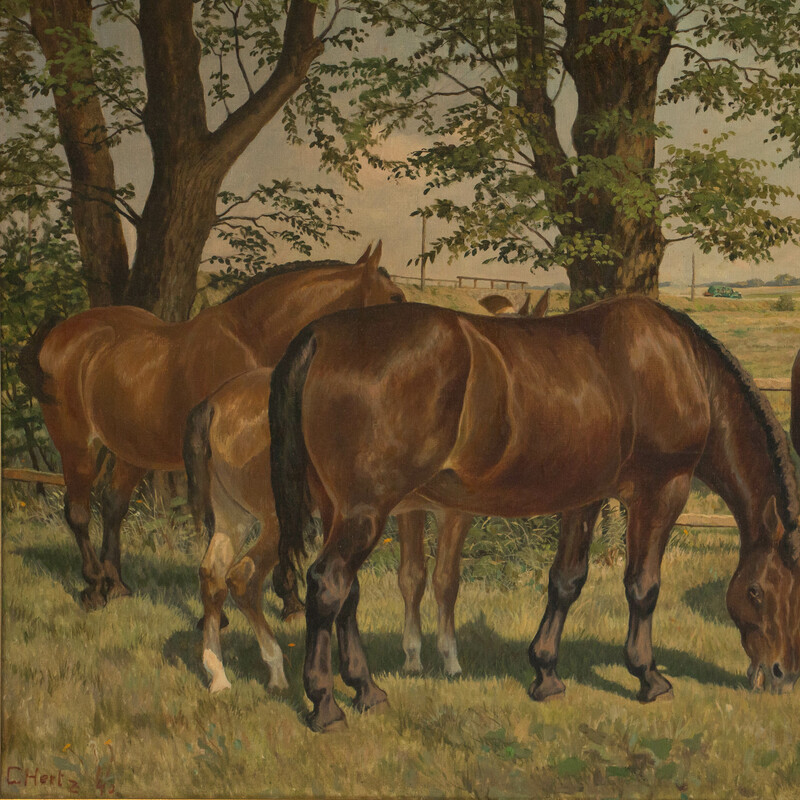 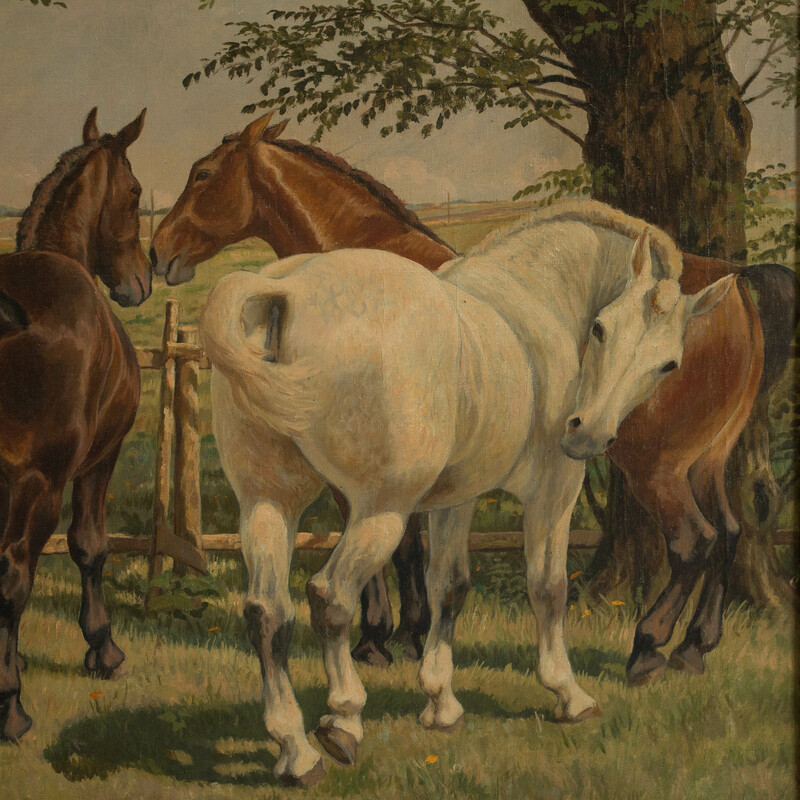 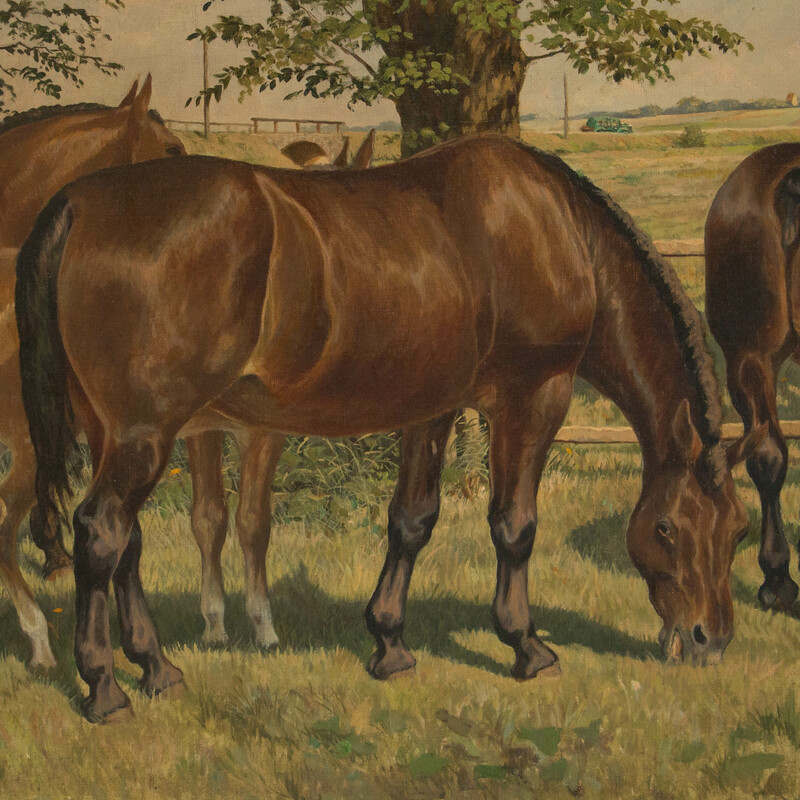 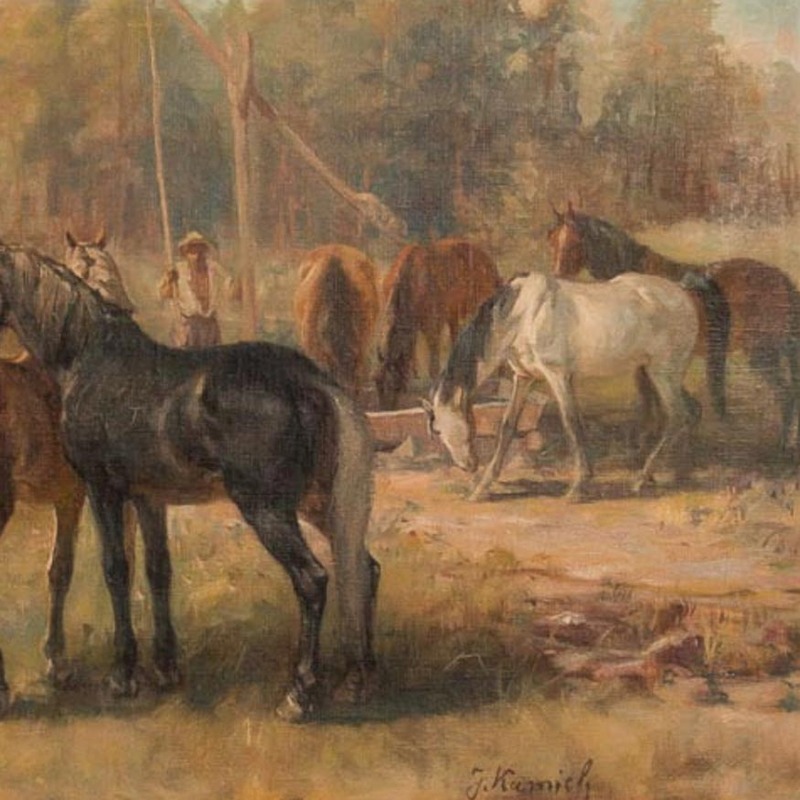 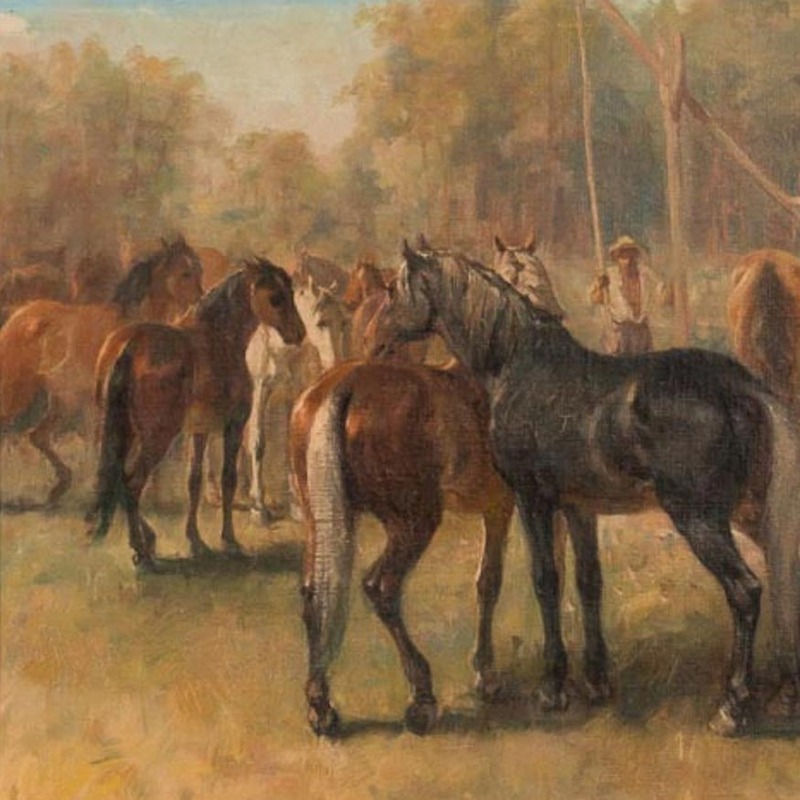 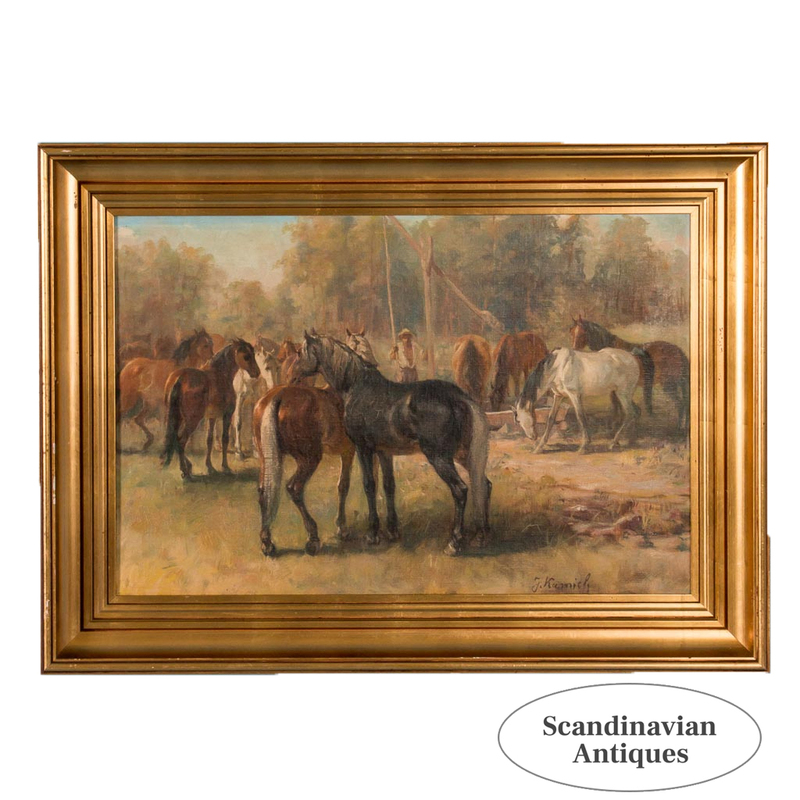 Original signed oil painting of a herd of horses. 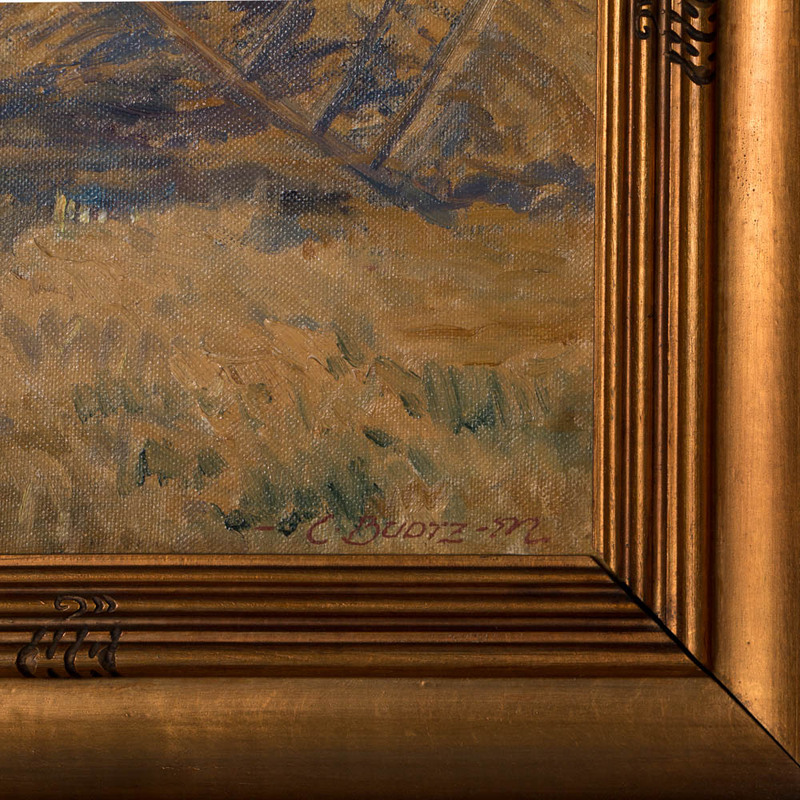 The painting is signed in the lower right and mounted in a gold painted frame. 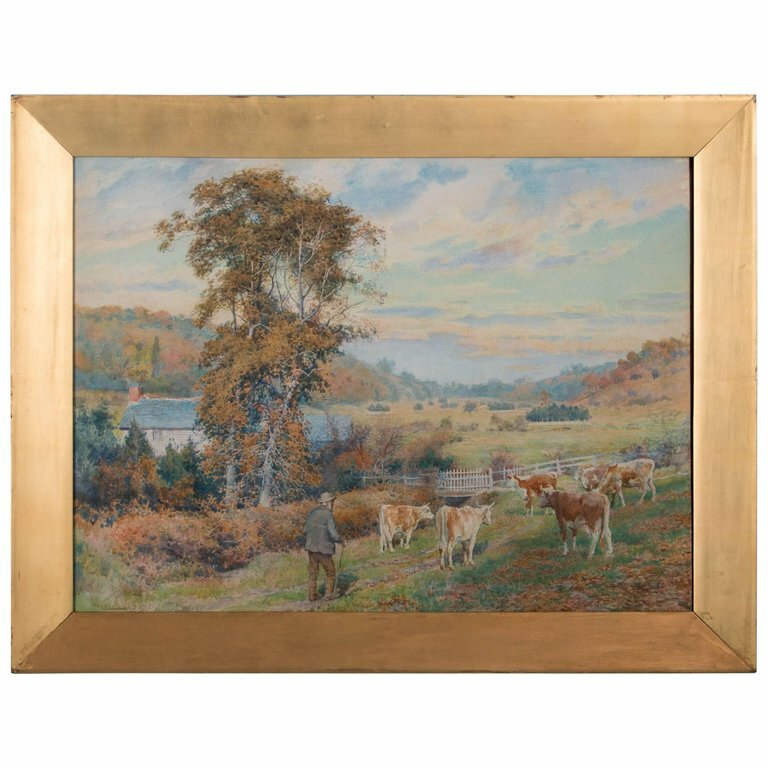 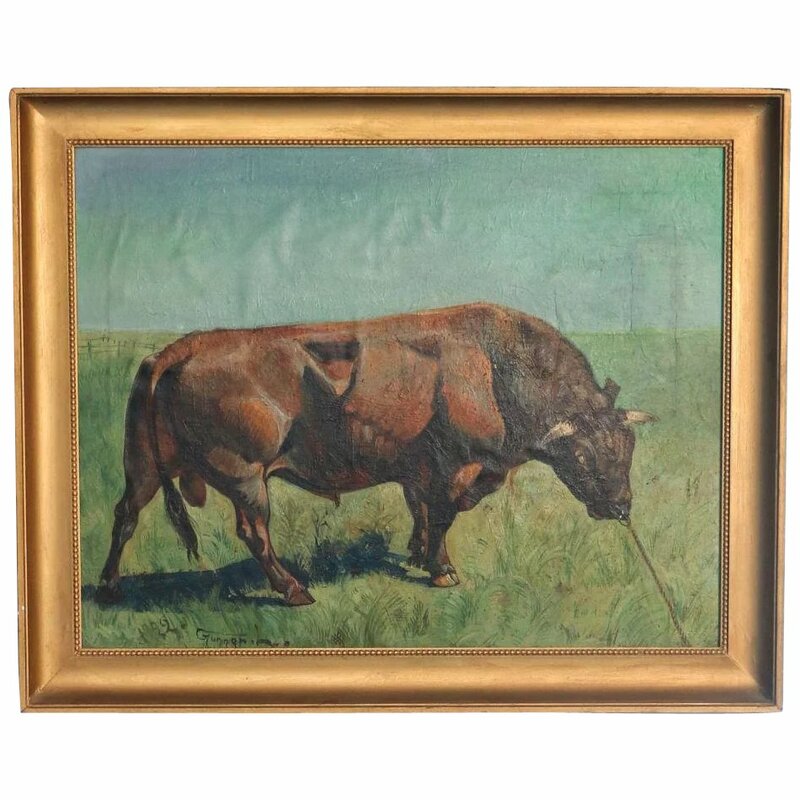 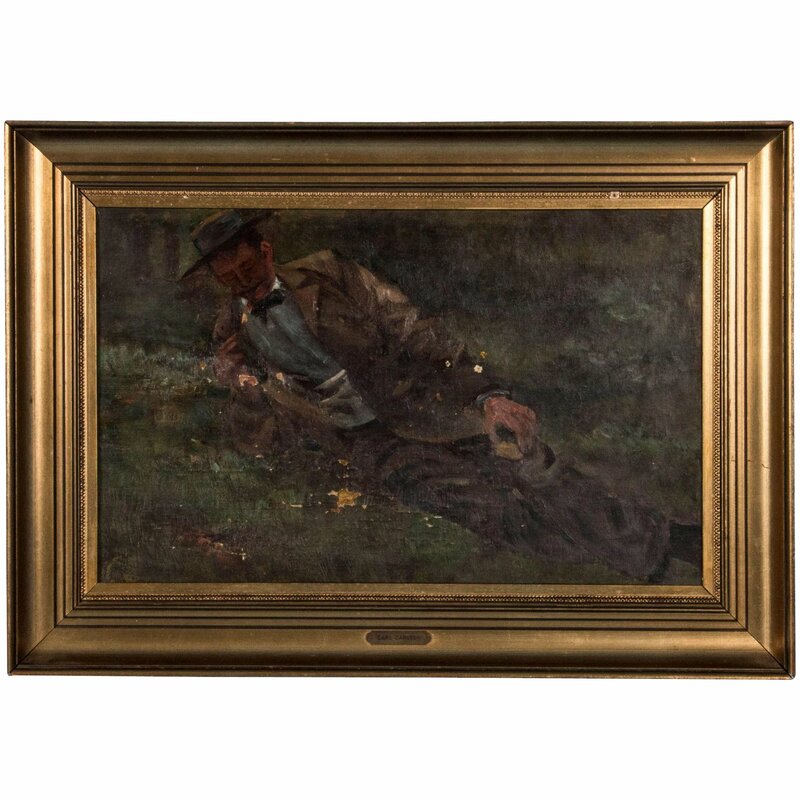 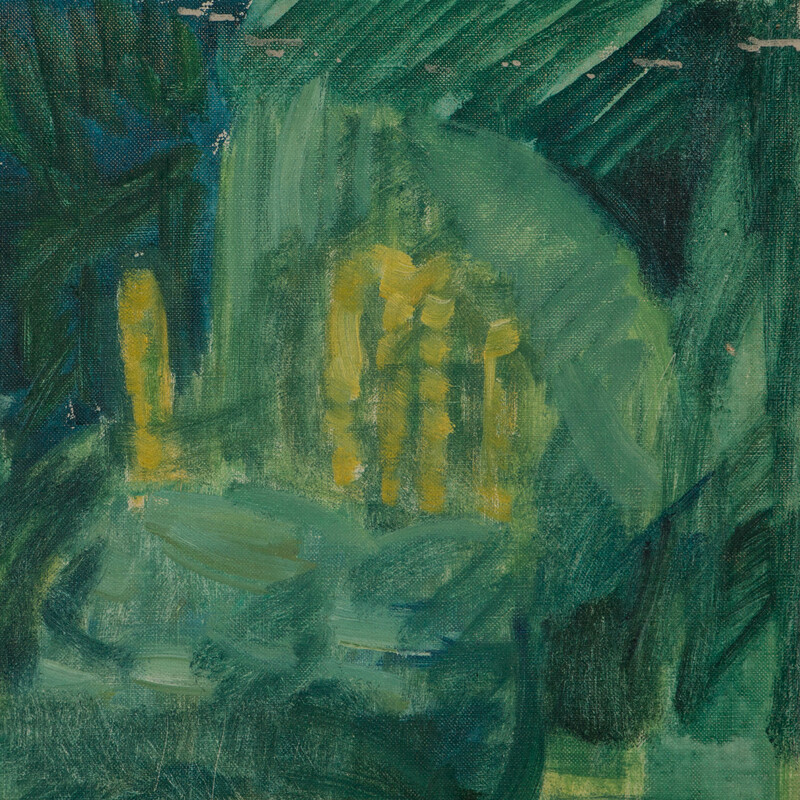 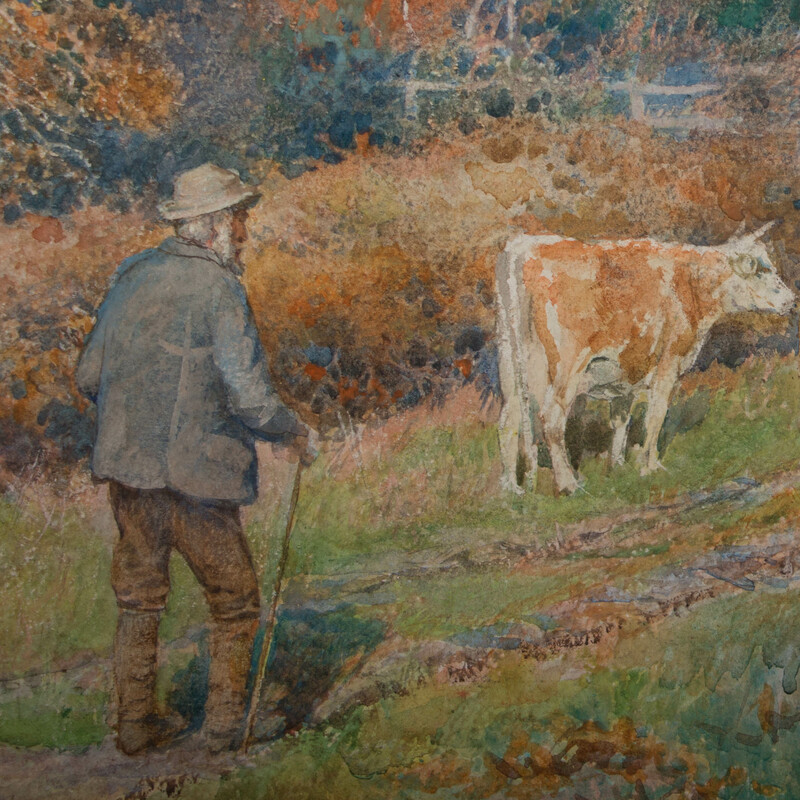 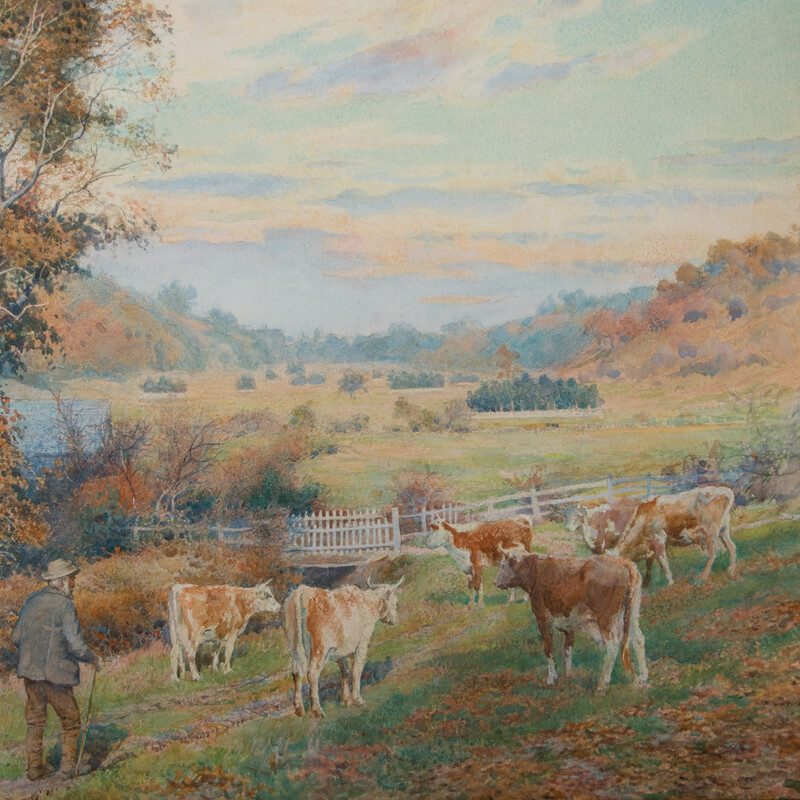 Original Oil on Canvas Painting of Bull in Field, signed Gunnar L., dated 1922. 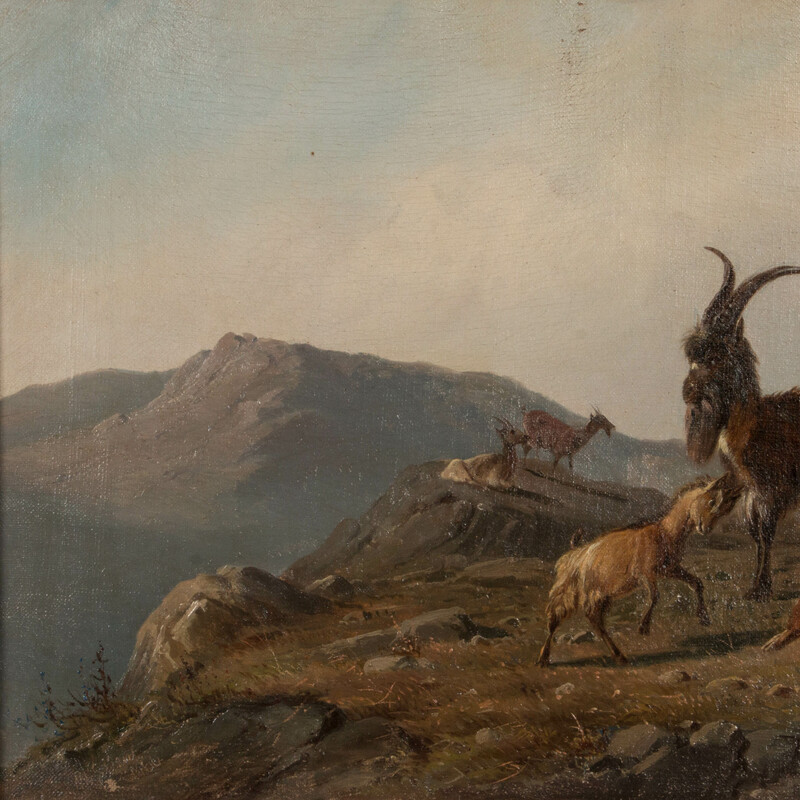 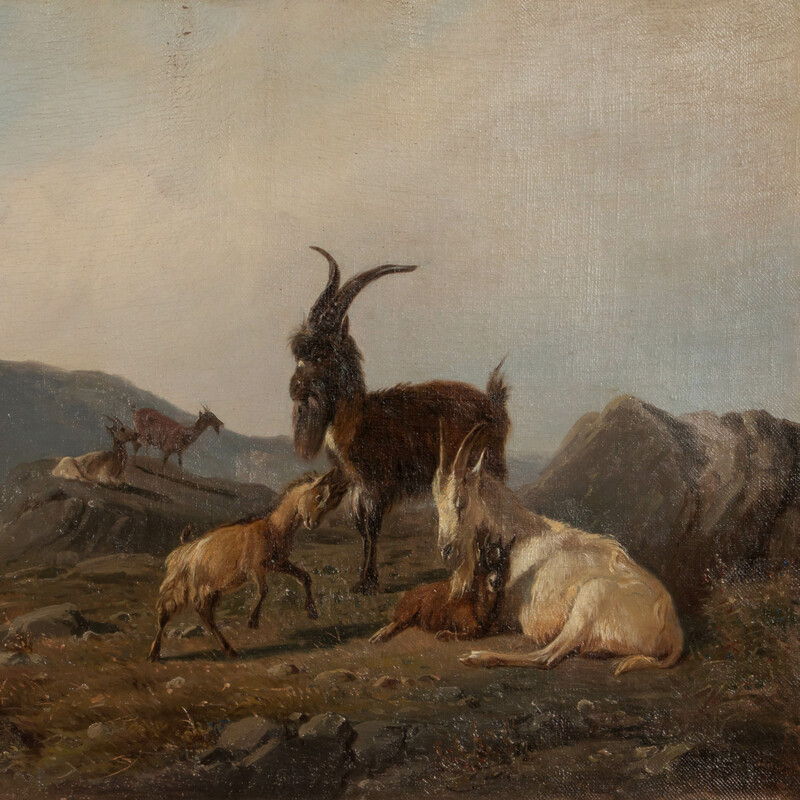 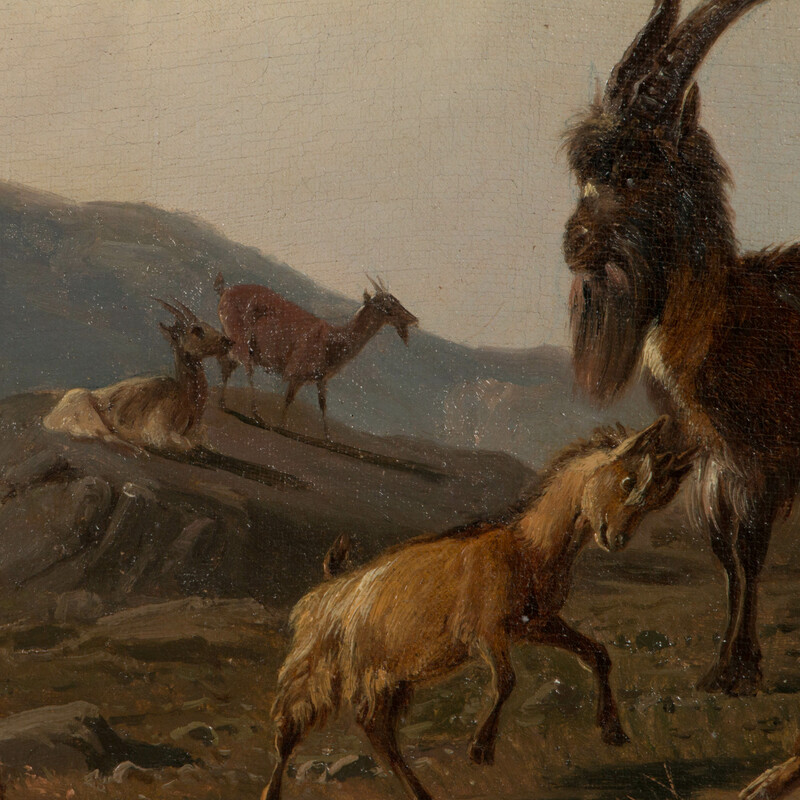 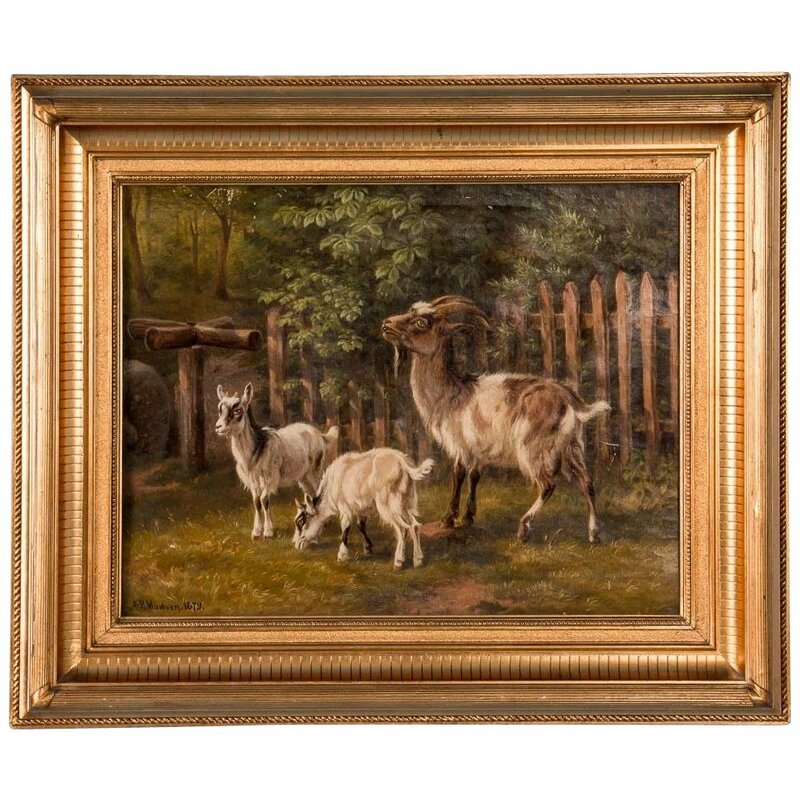 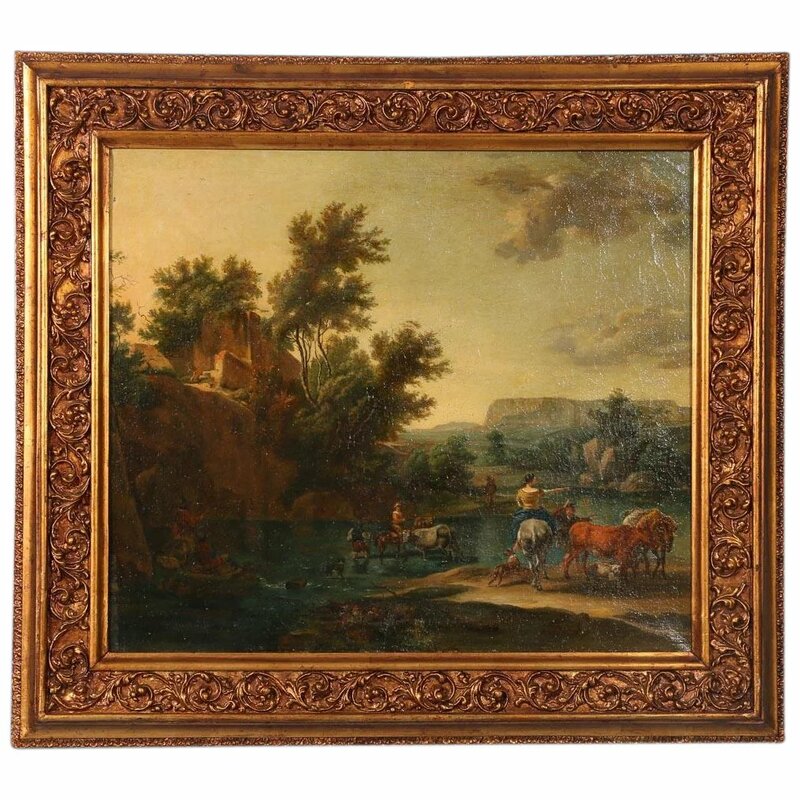 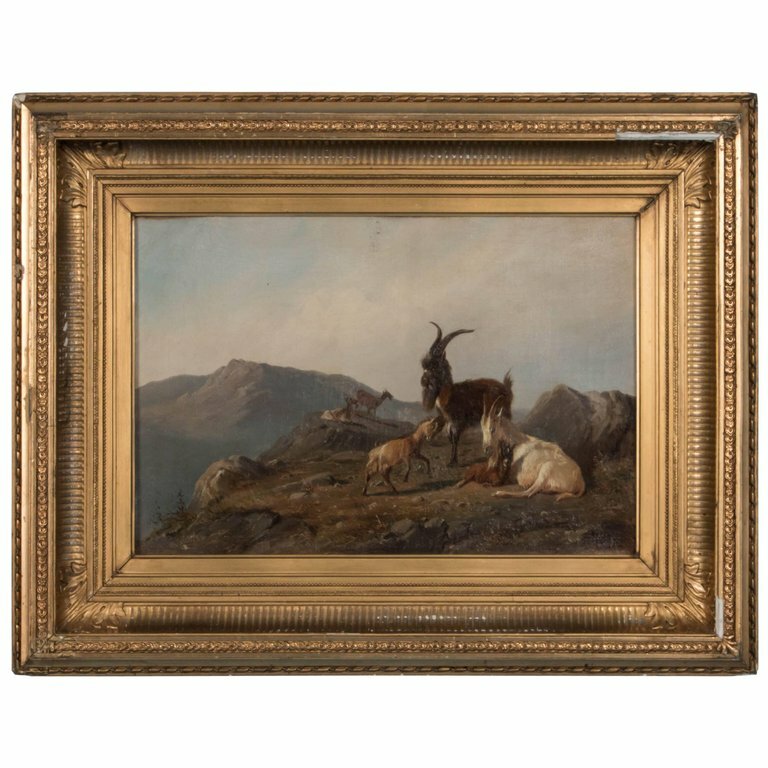 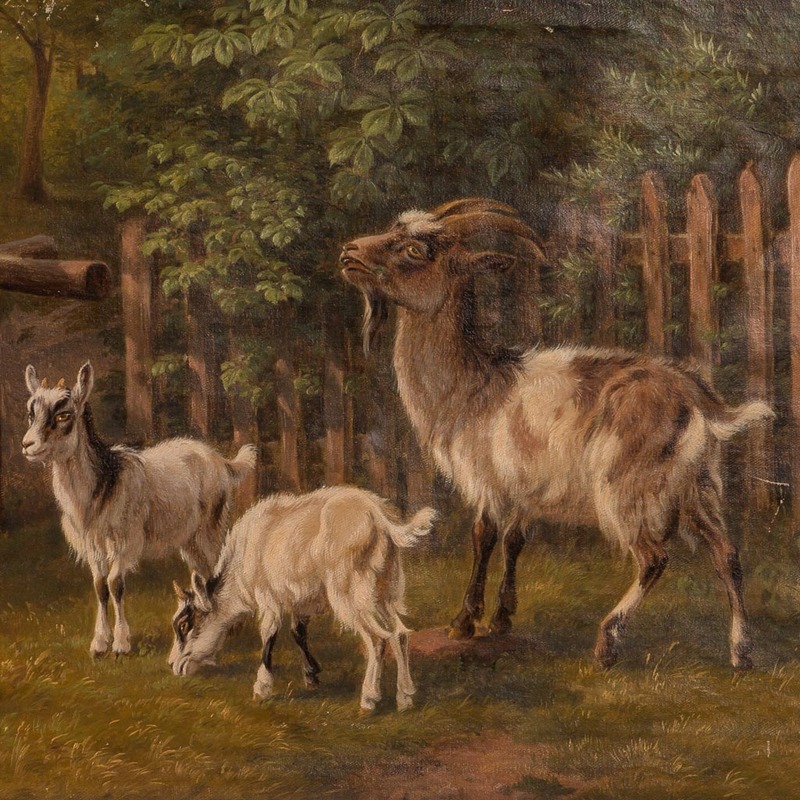 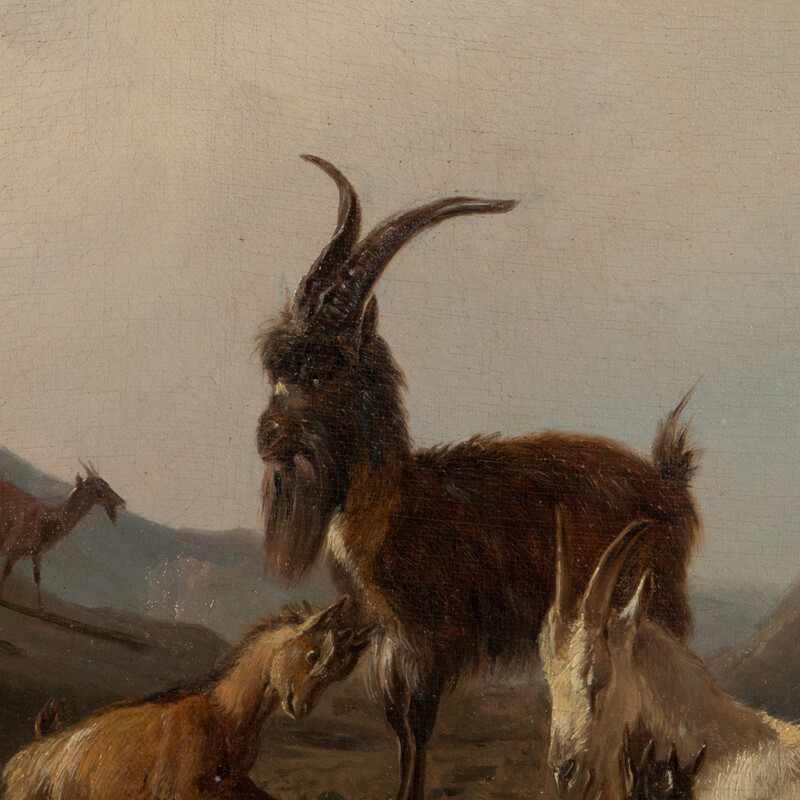 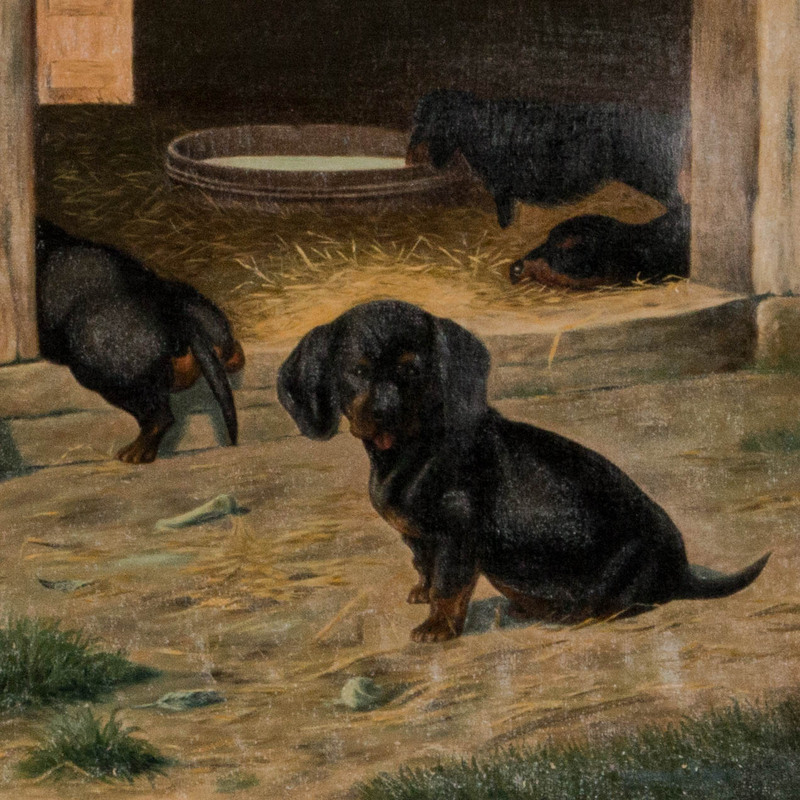 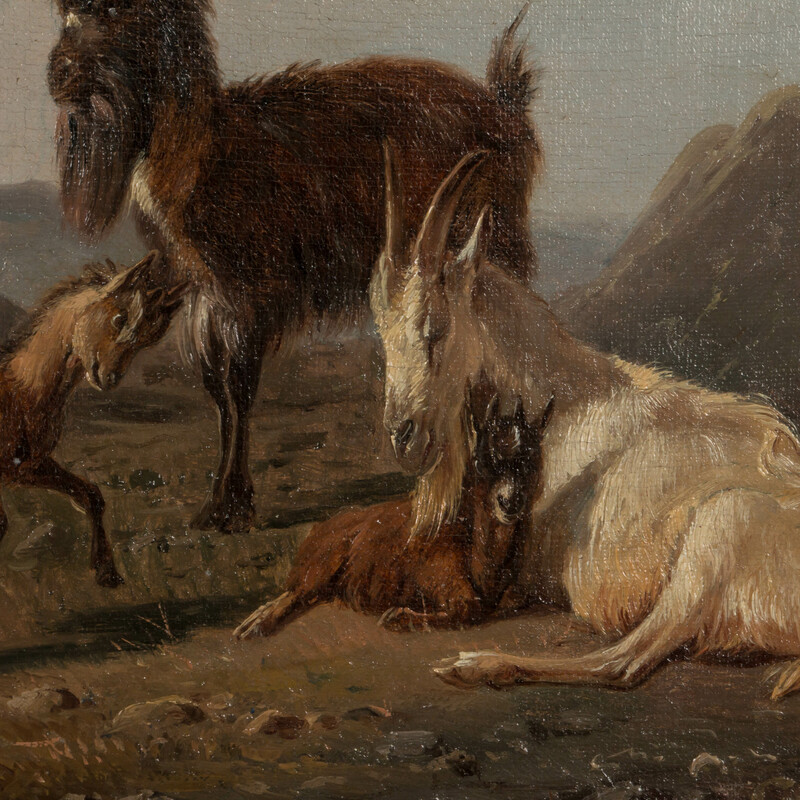 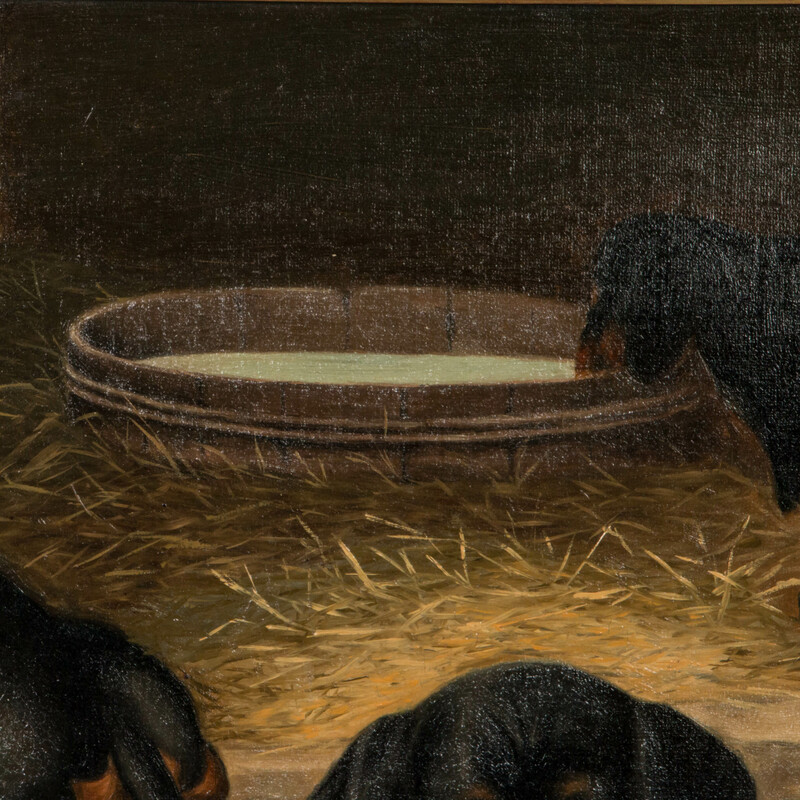 Danish 19th century original oil painting of a barnyard scene with three goats, mounted in a gilt wood frame. 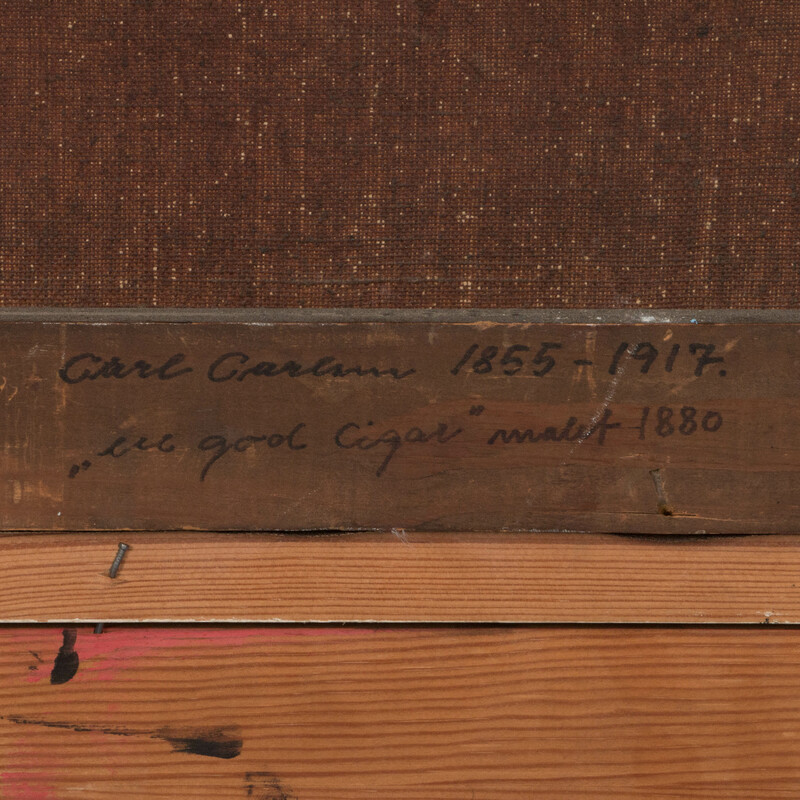 Signed and dated in the lower left, A.P. 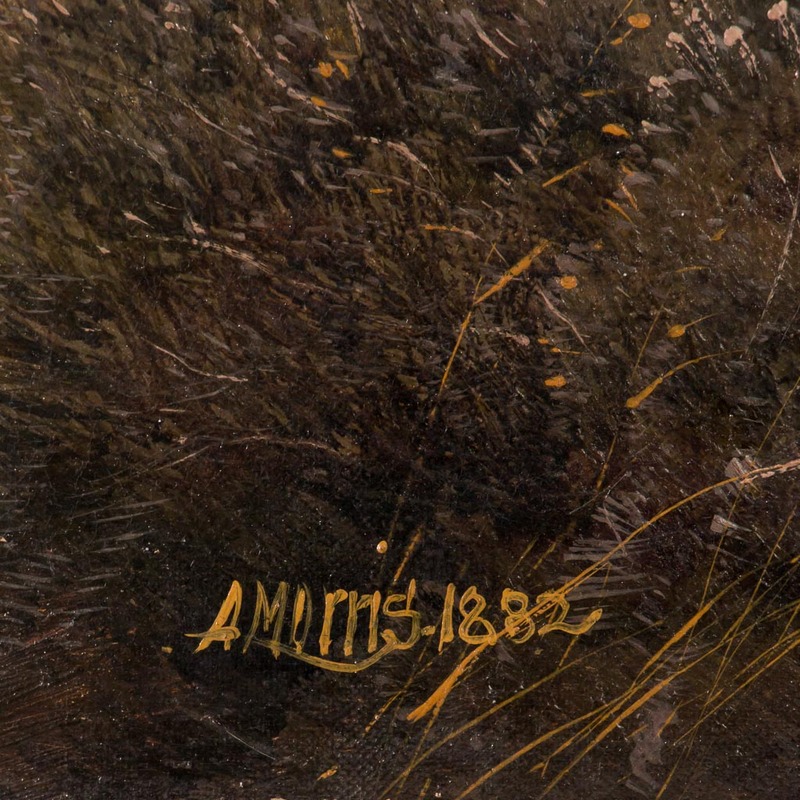 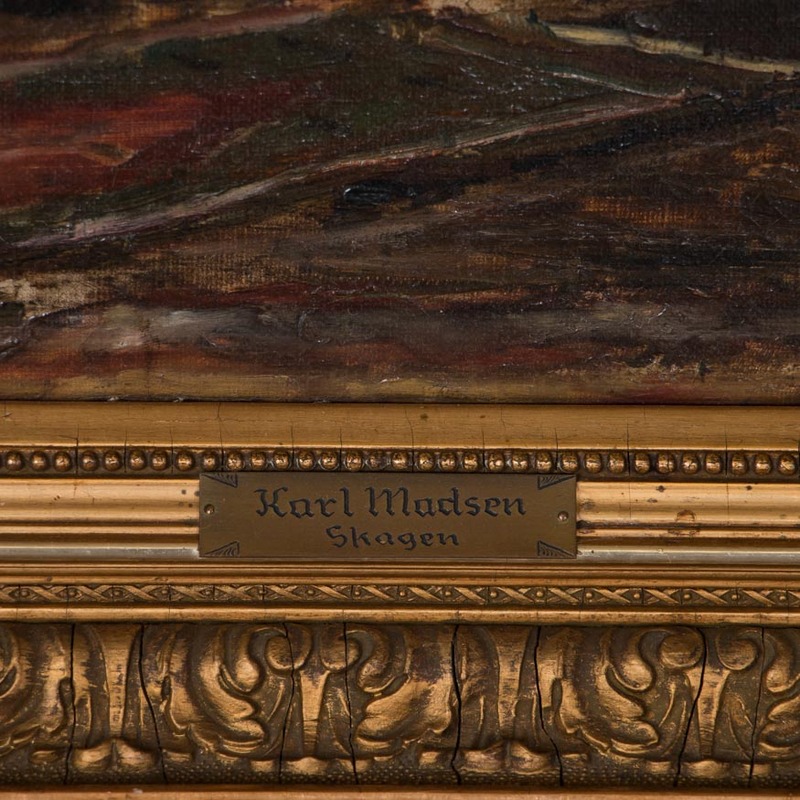 Madsen 1879. 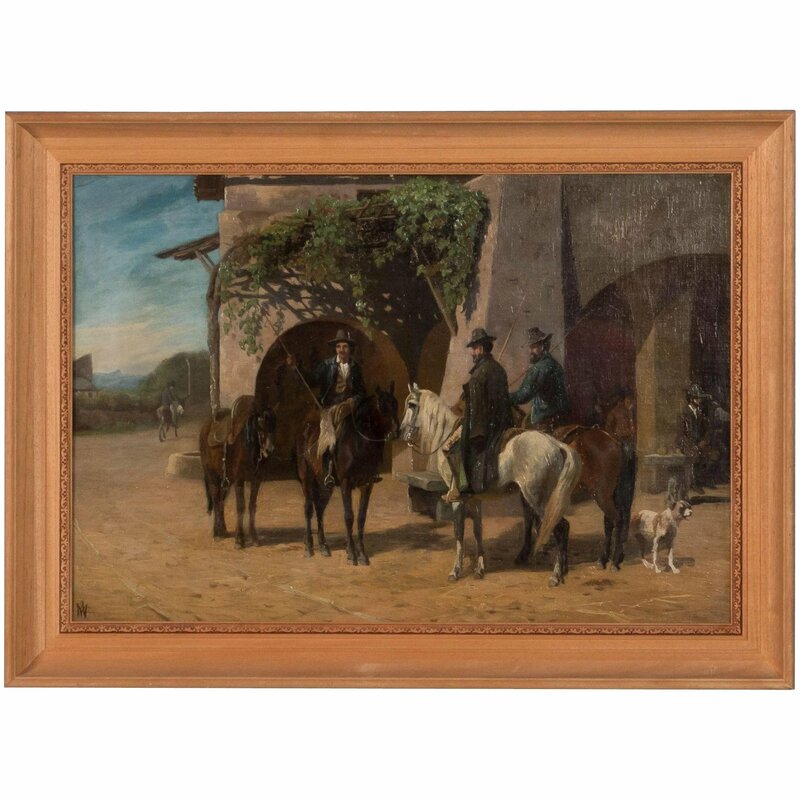 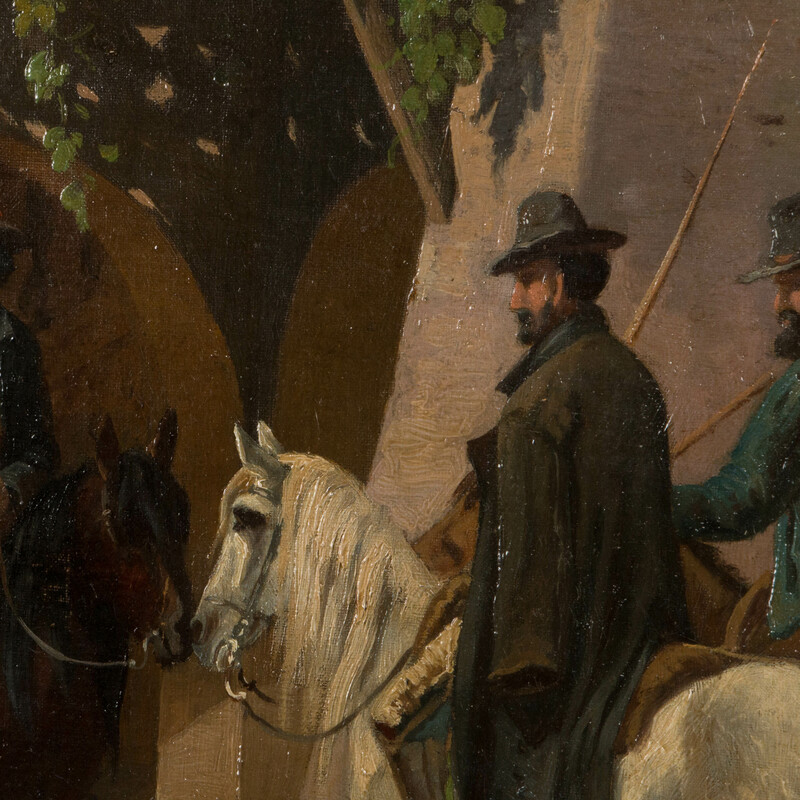 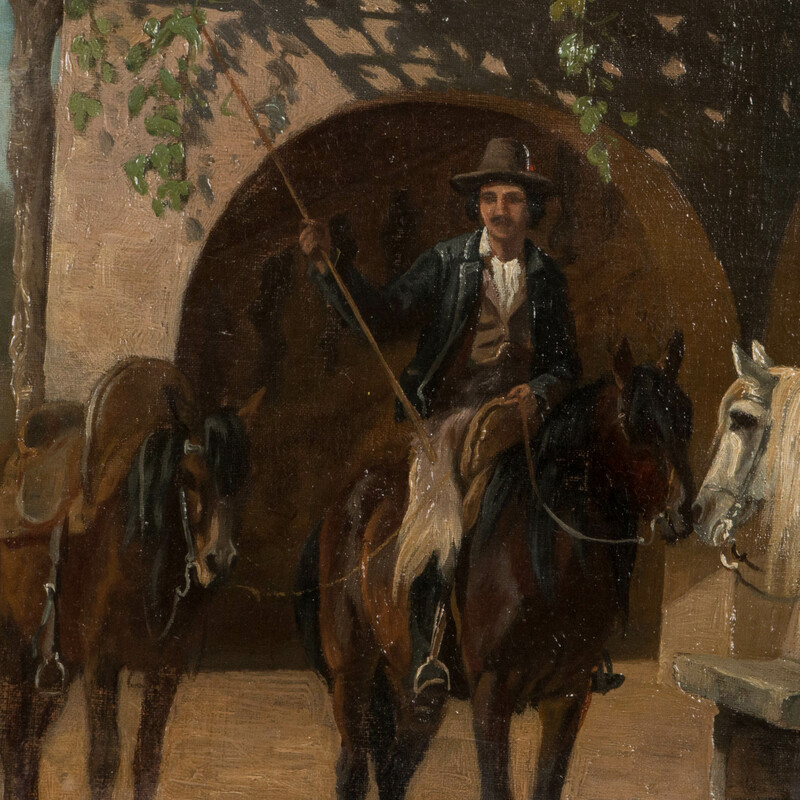 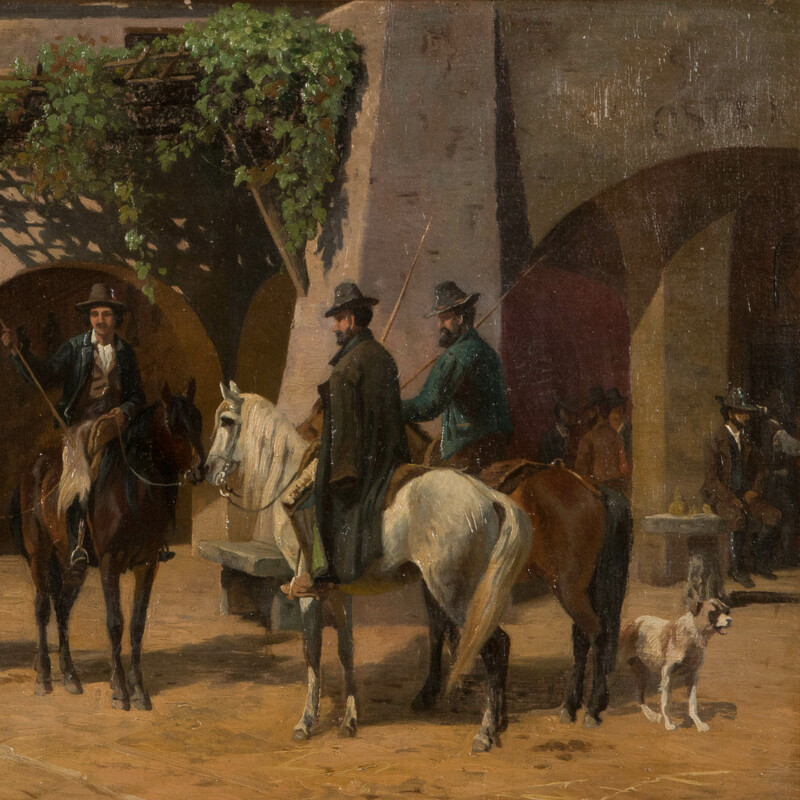 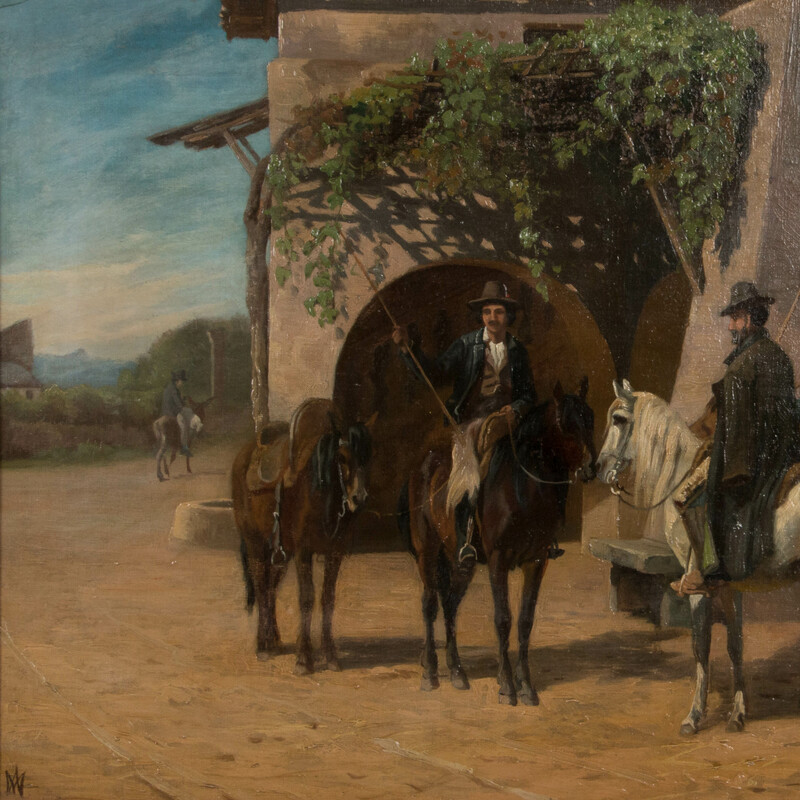 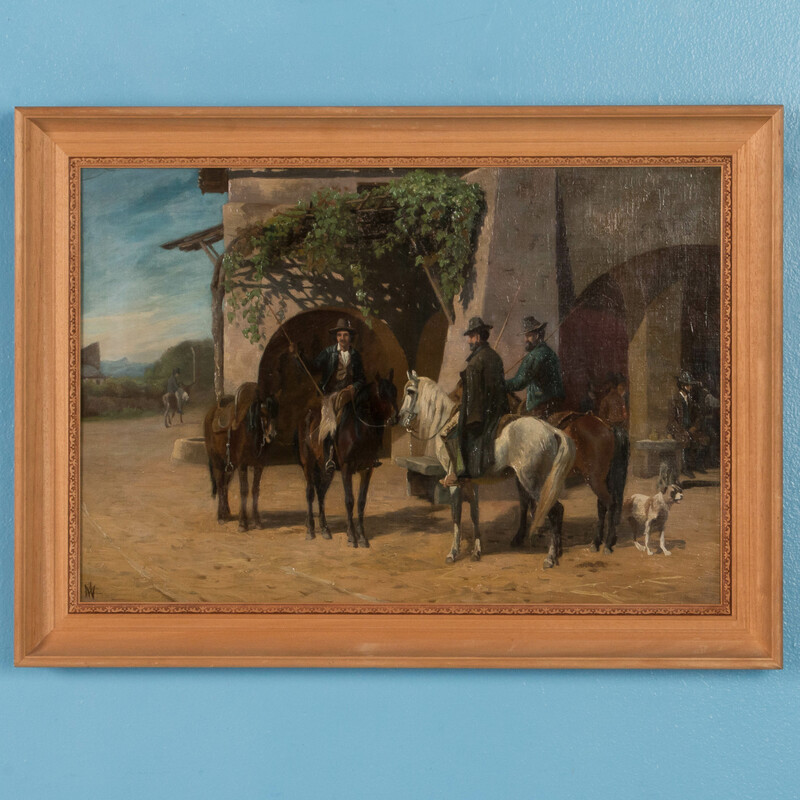 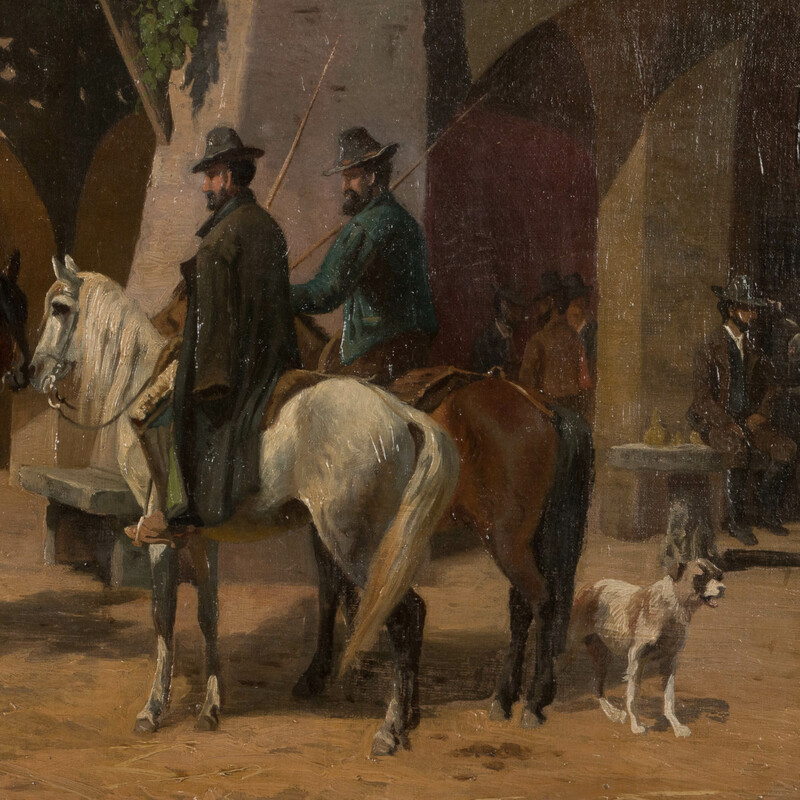 Original oil on canvas of three men on horseback talking on a village street, by Danish artist Adolf Henrik Mackeprang (1833-1911). 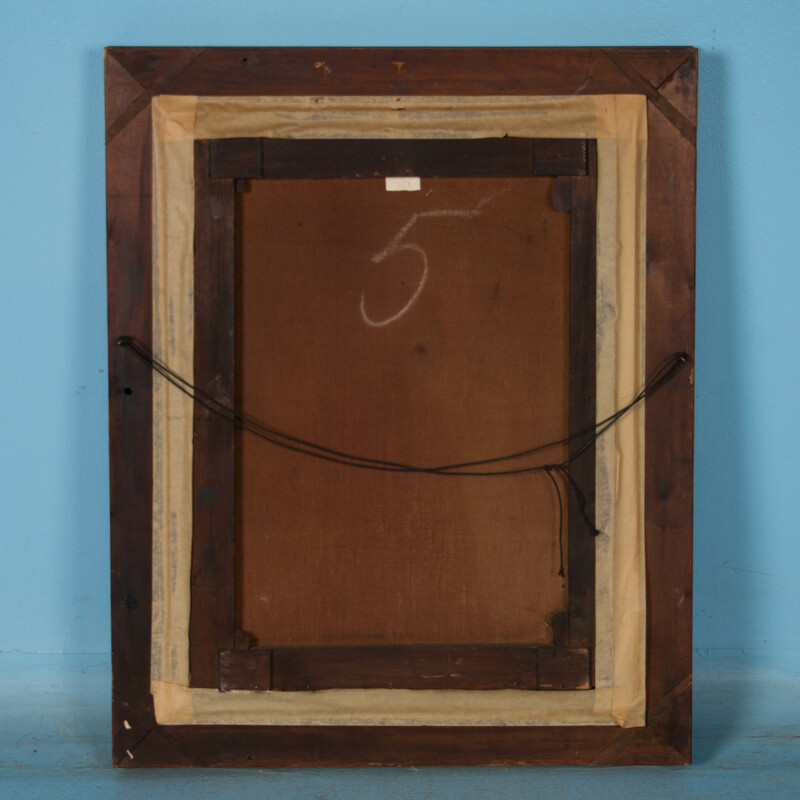 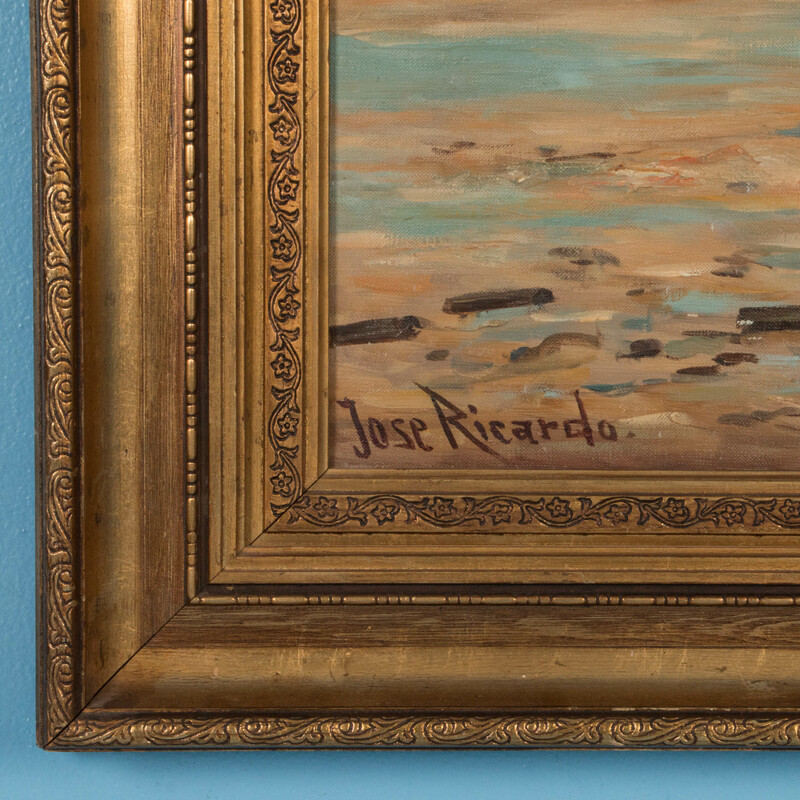 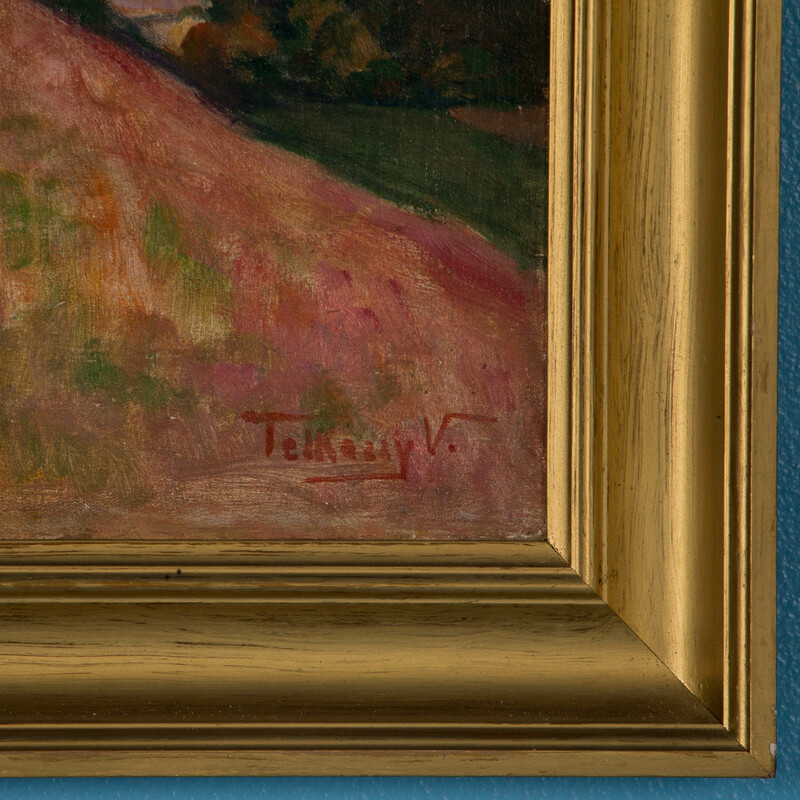 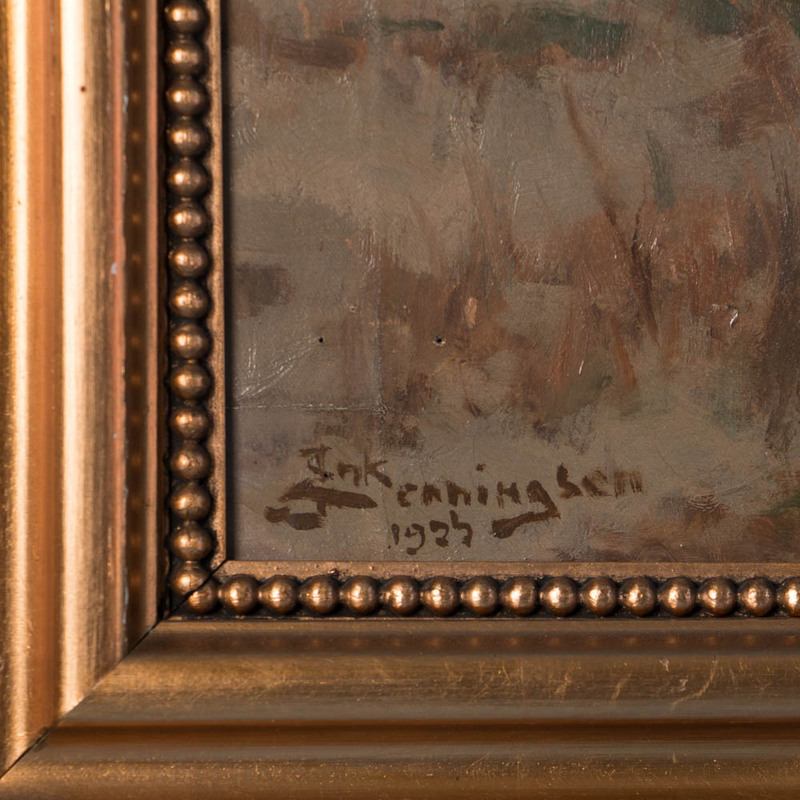 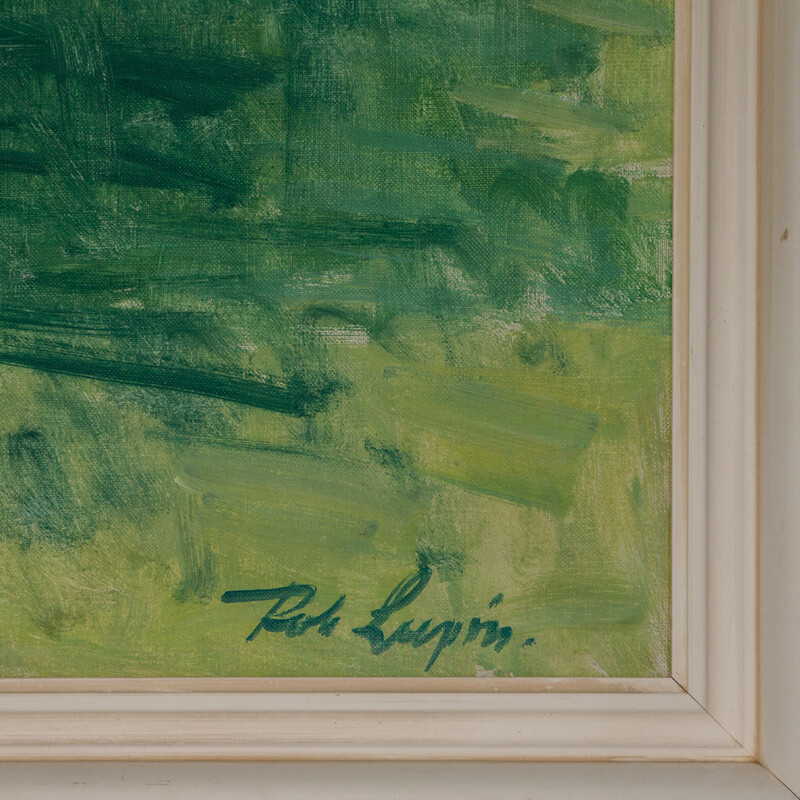 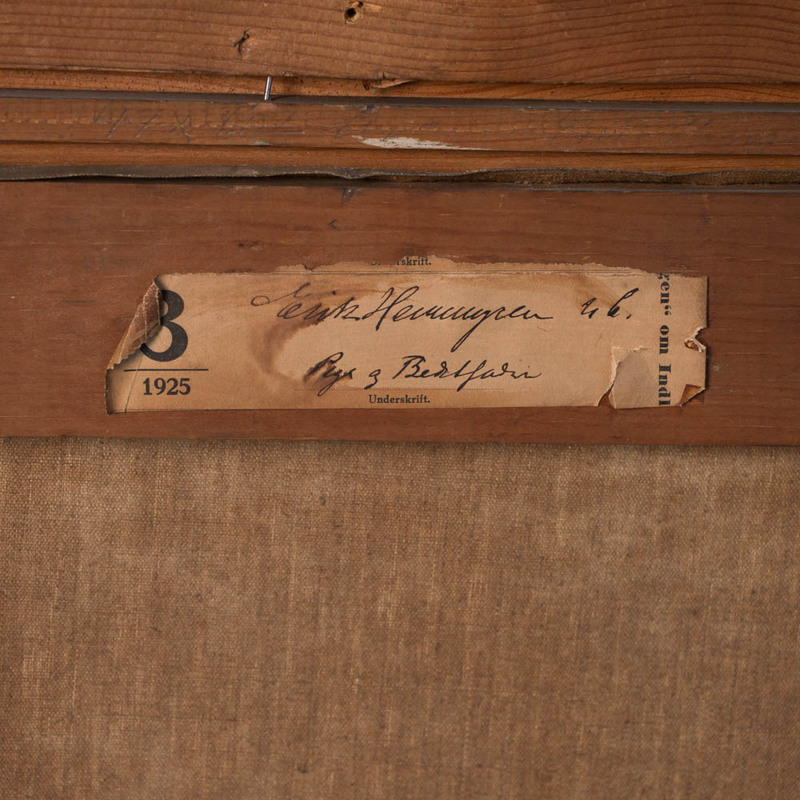 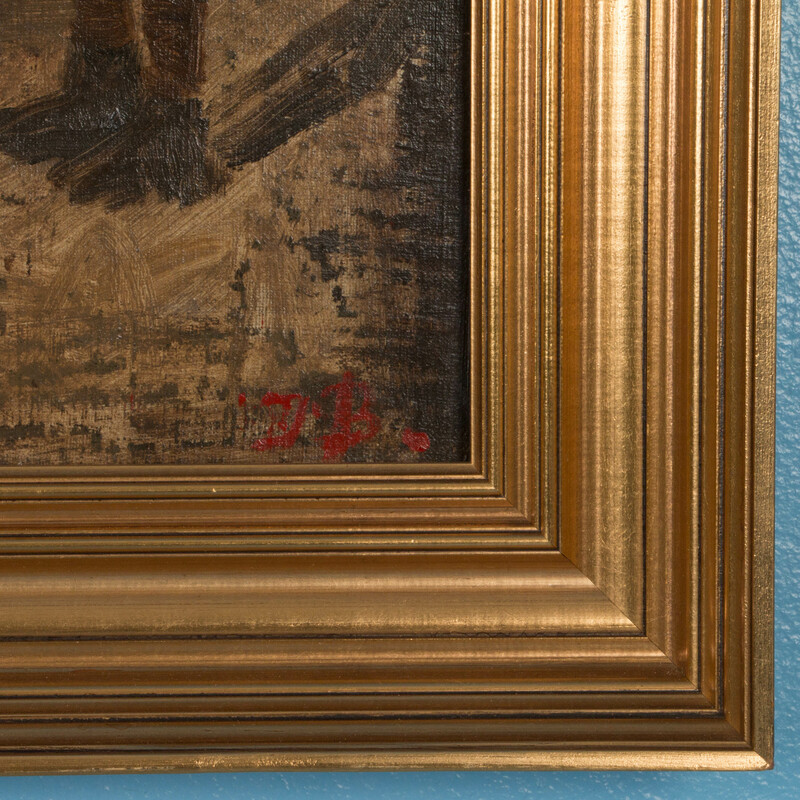 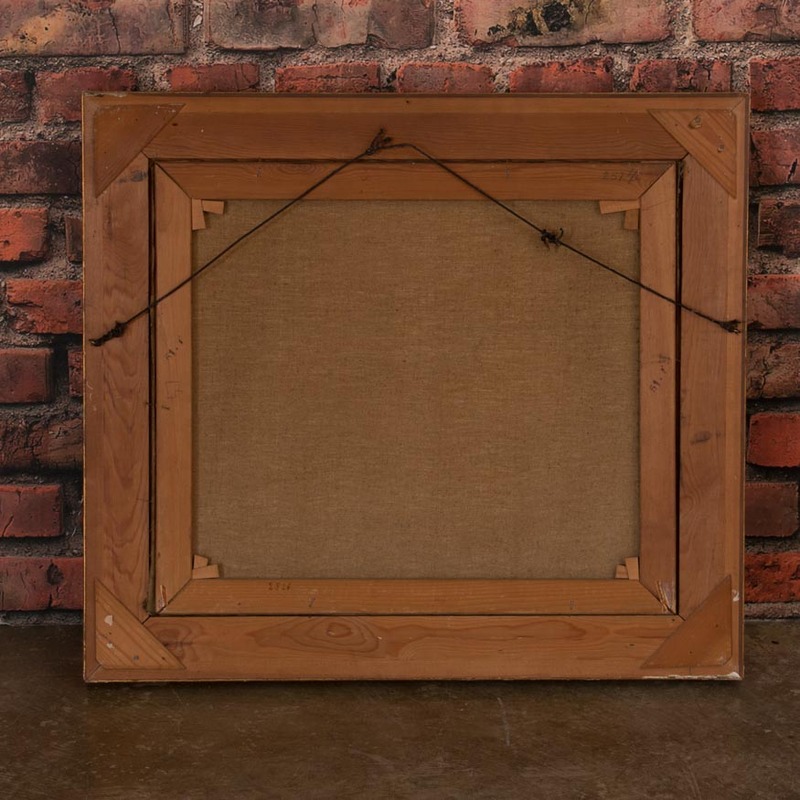 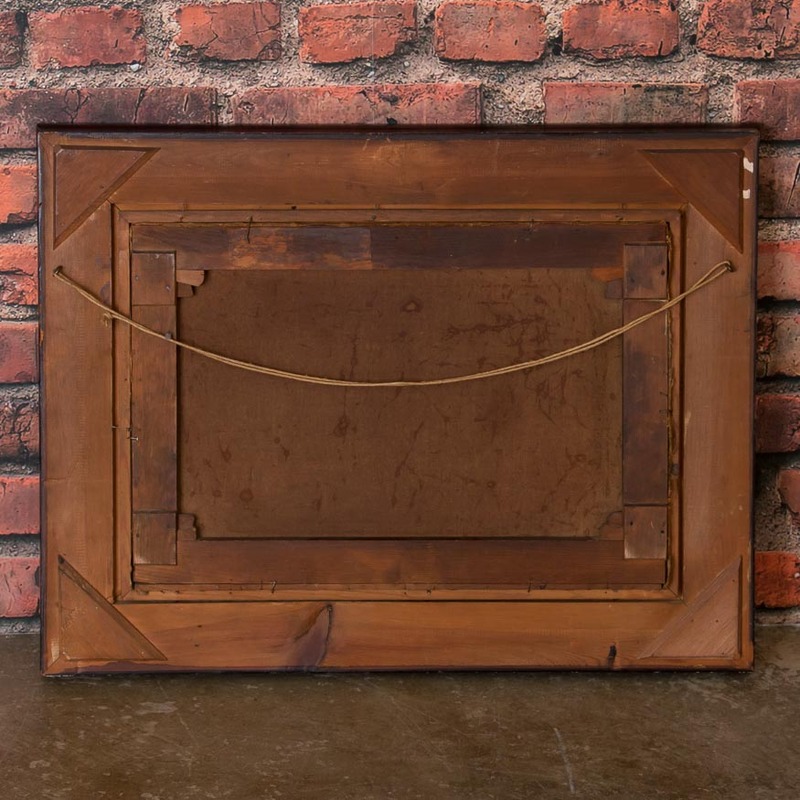 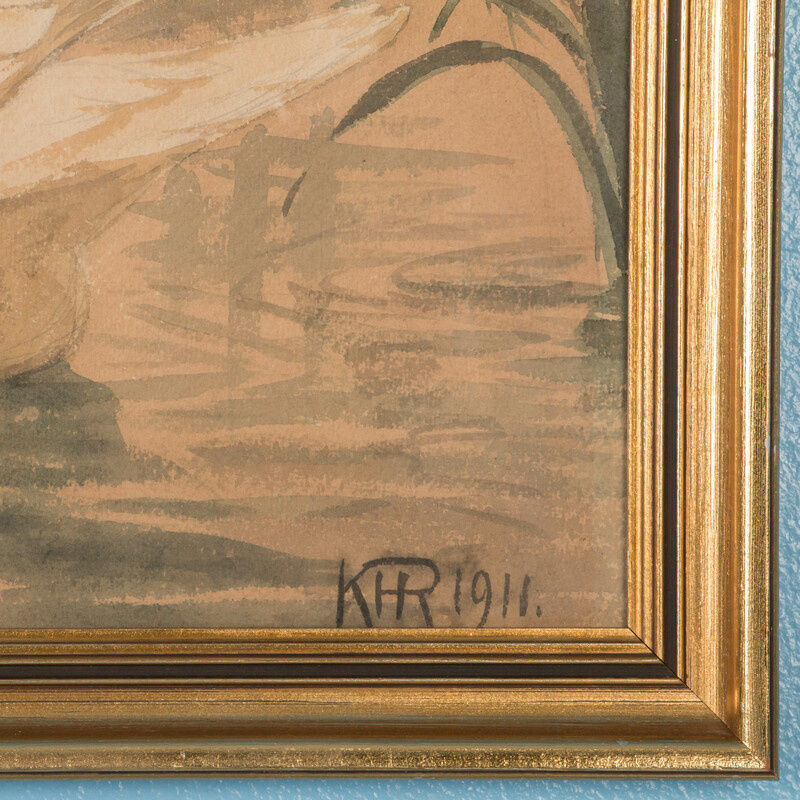 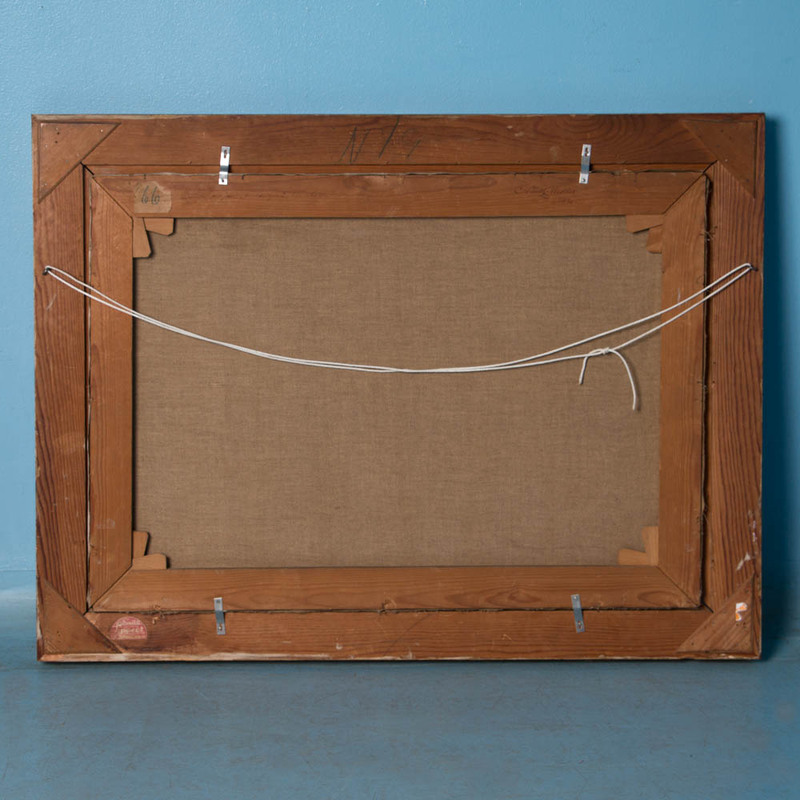 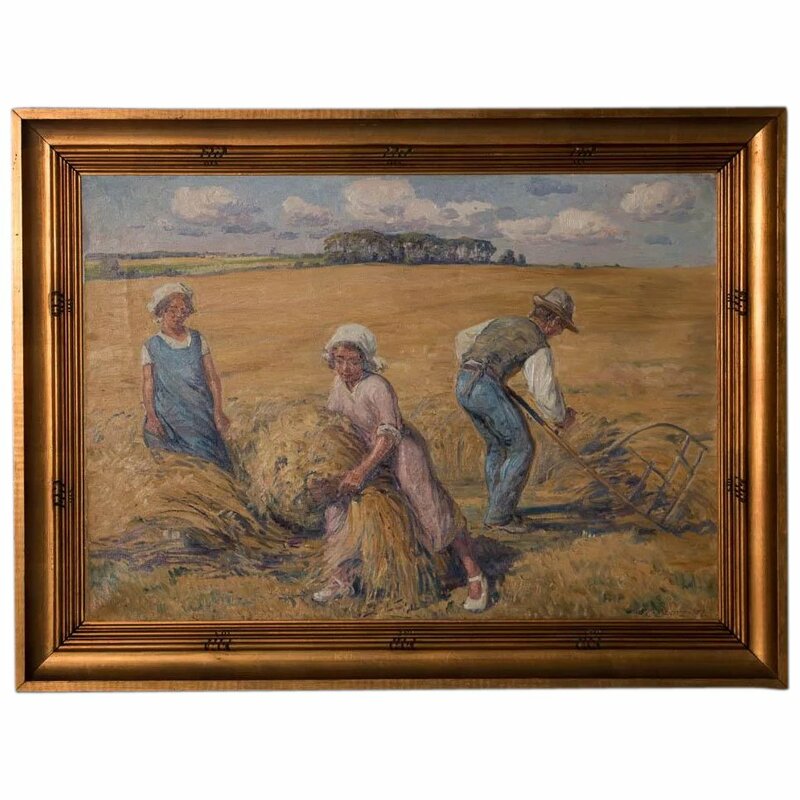 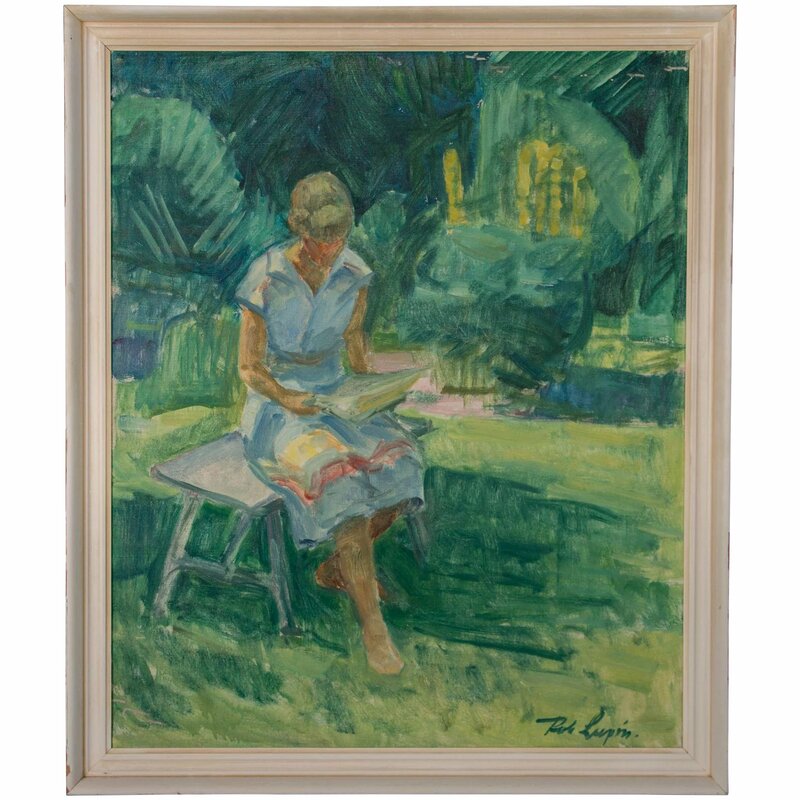 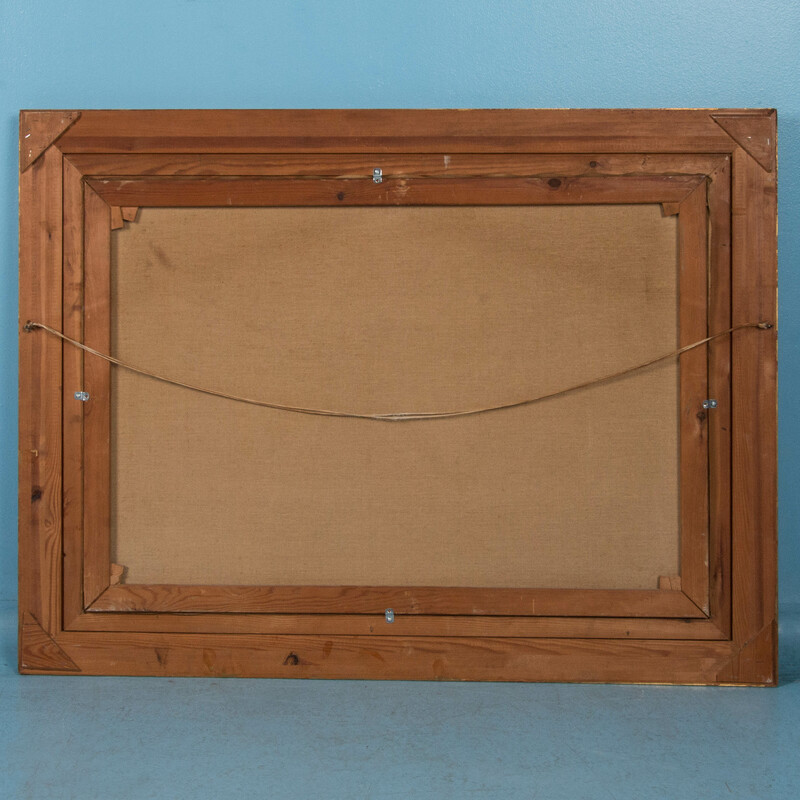 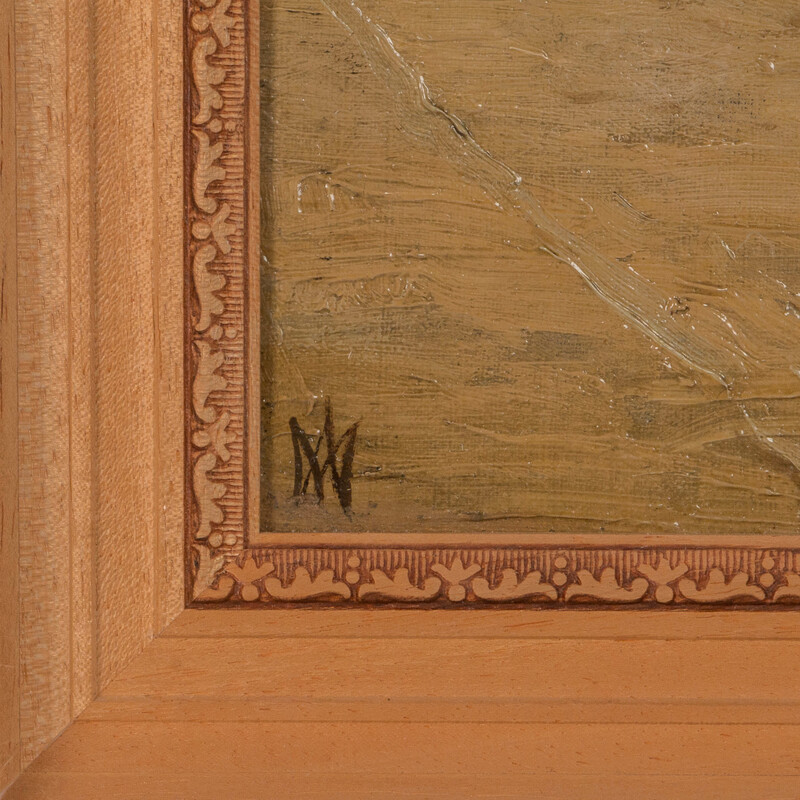 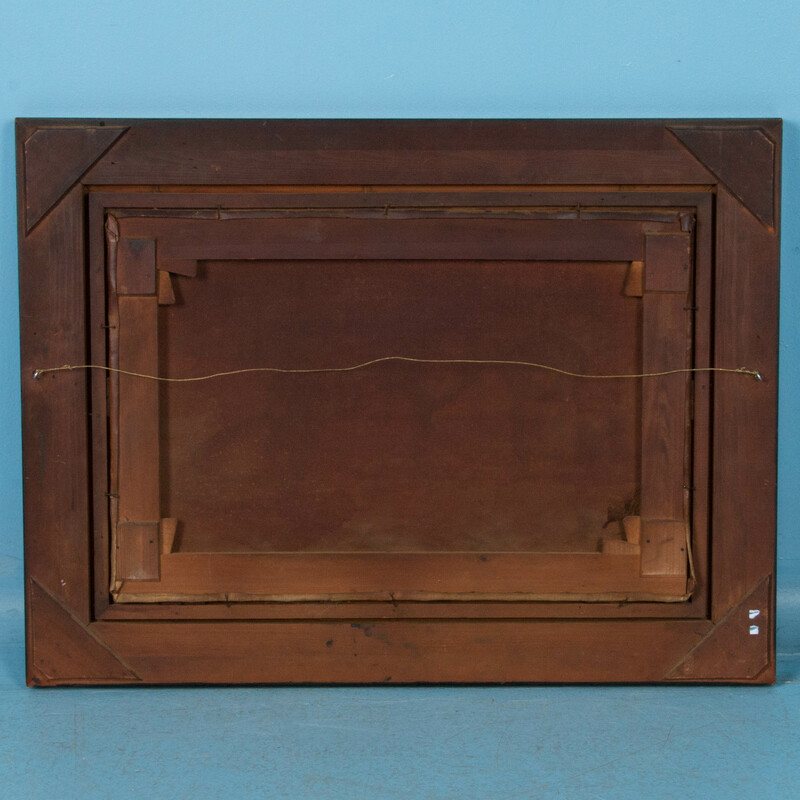 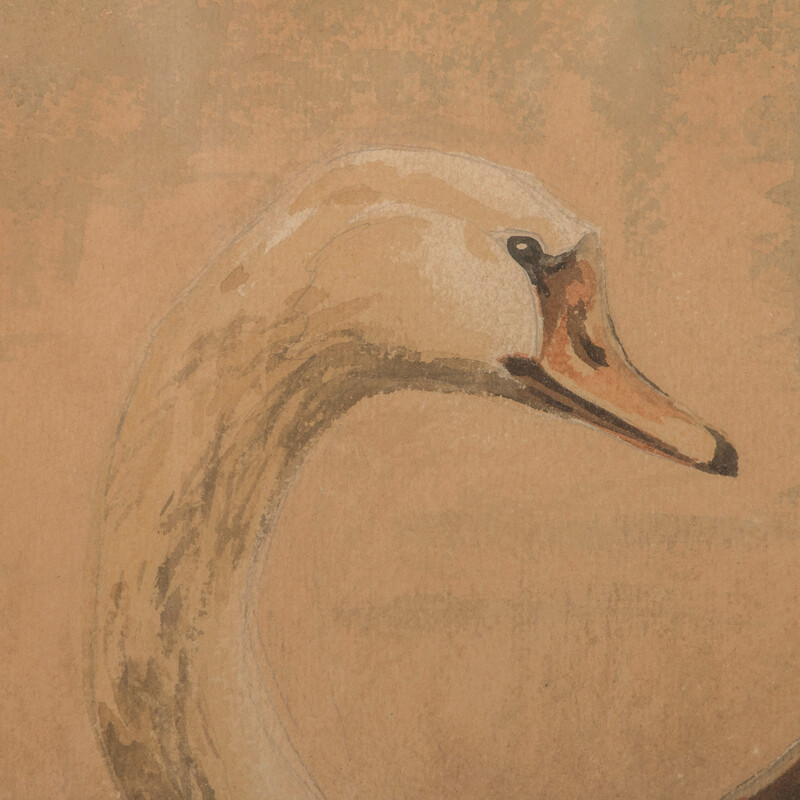 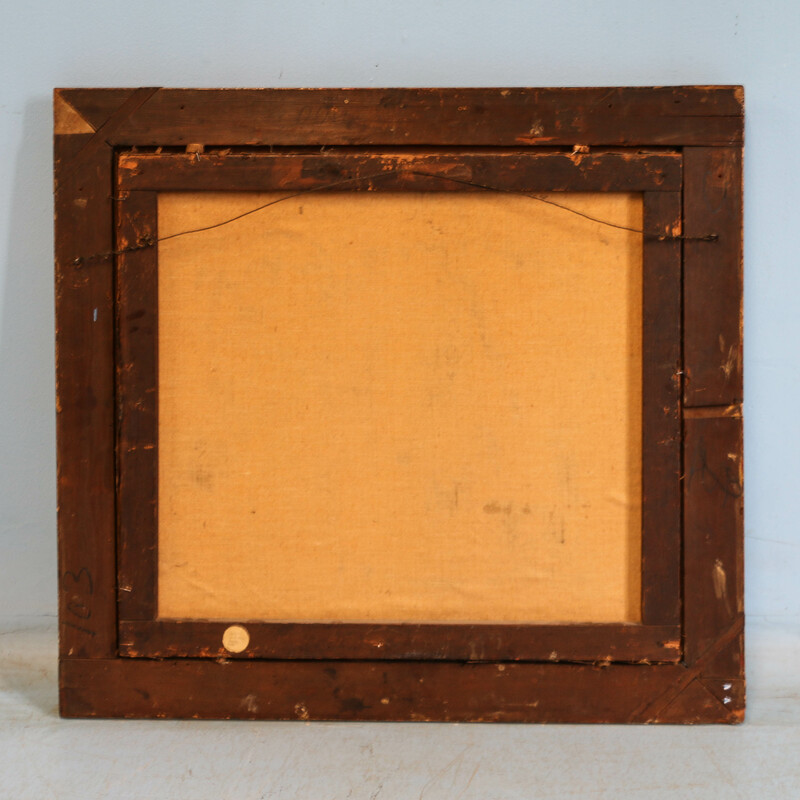 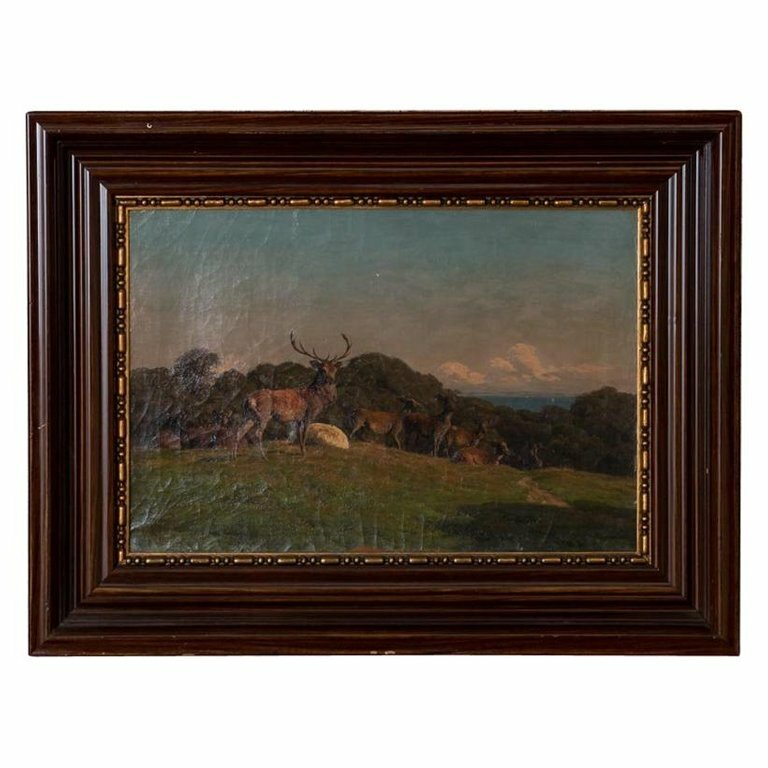 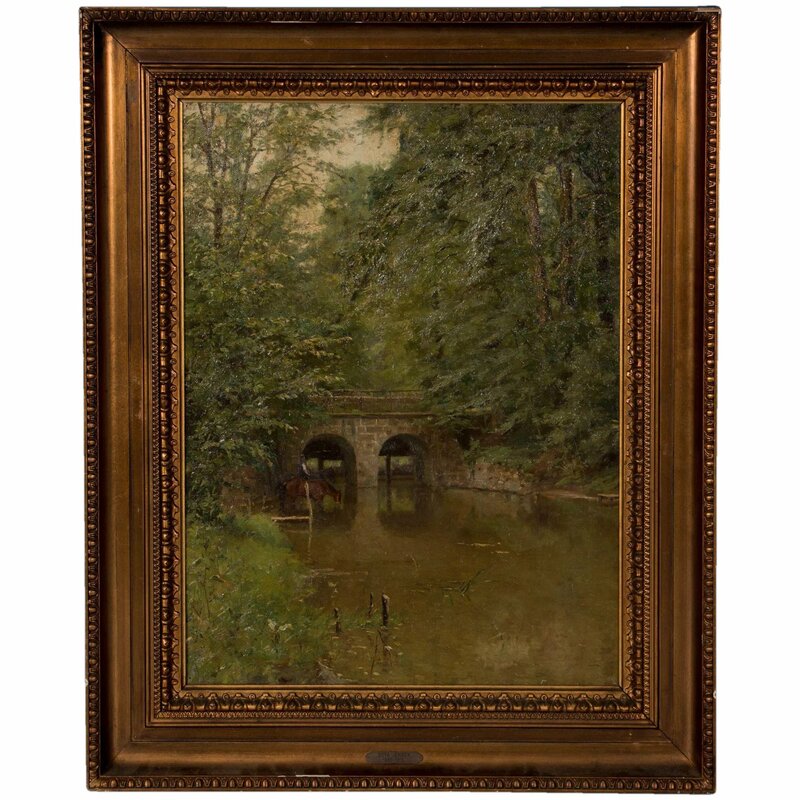 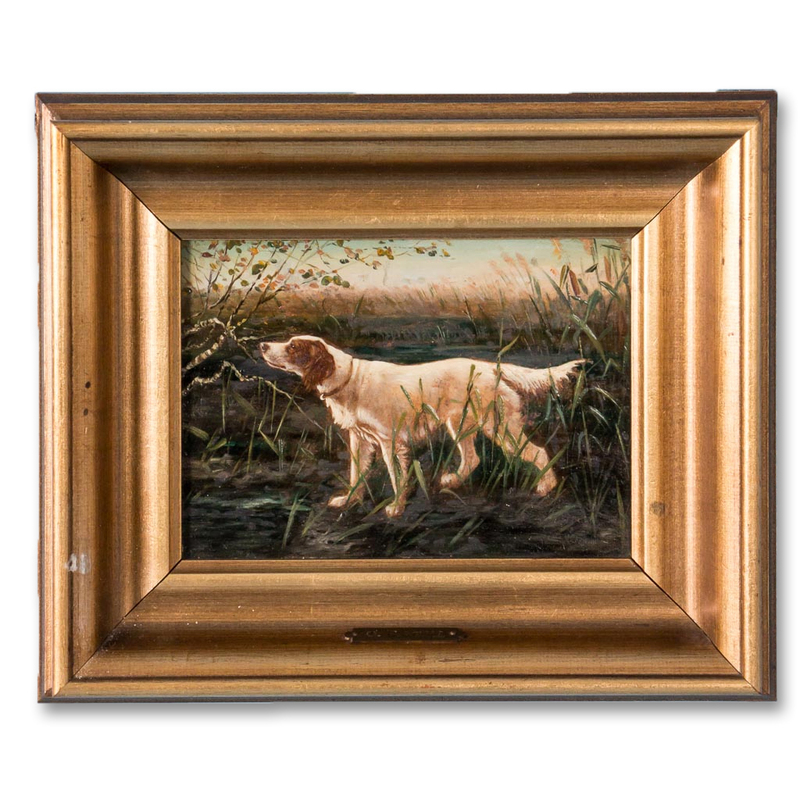 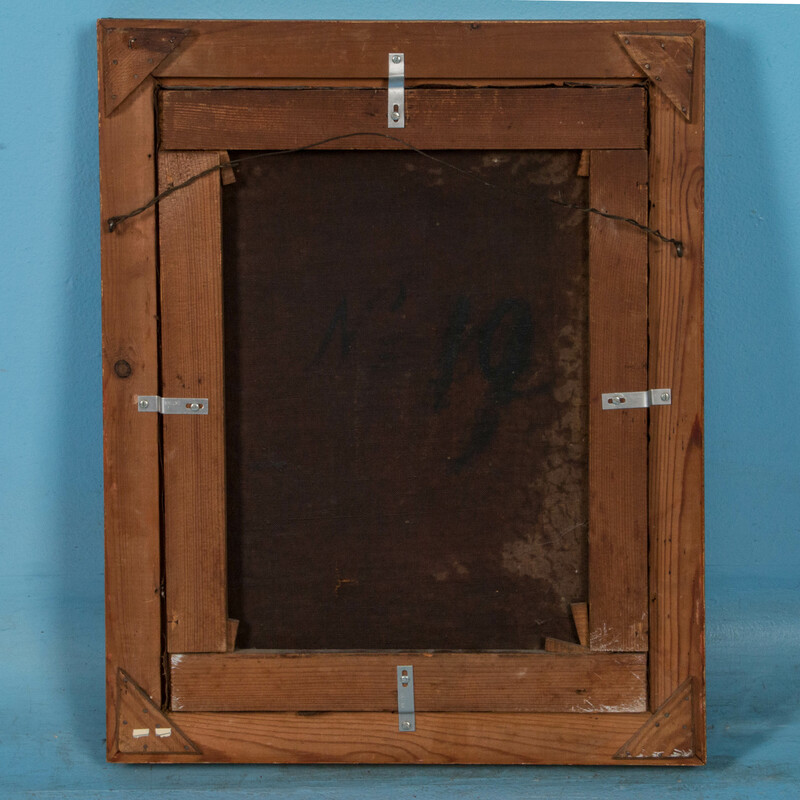 The painting is signed with a monogram AM and mounted in a natural wood frame.